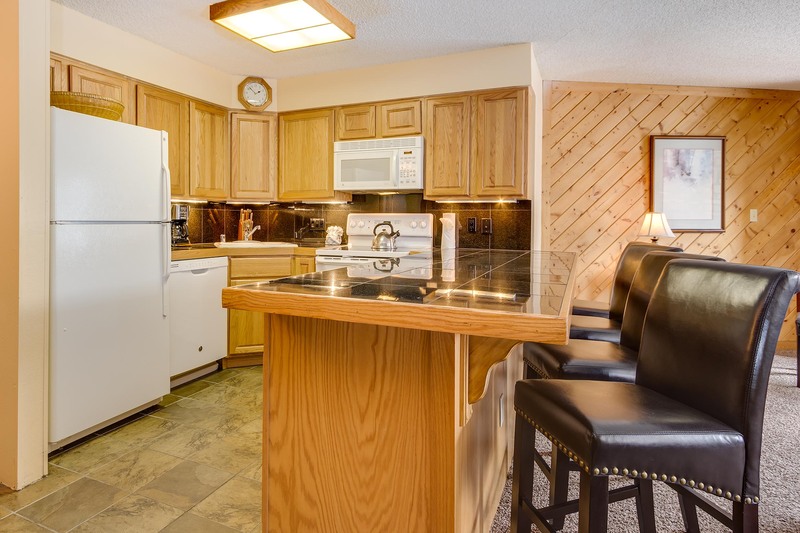 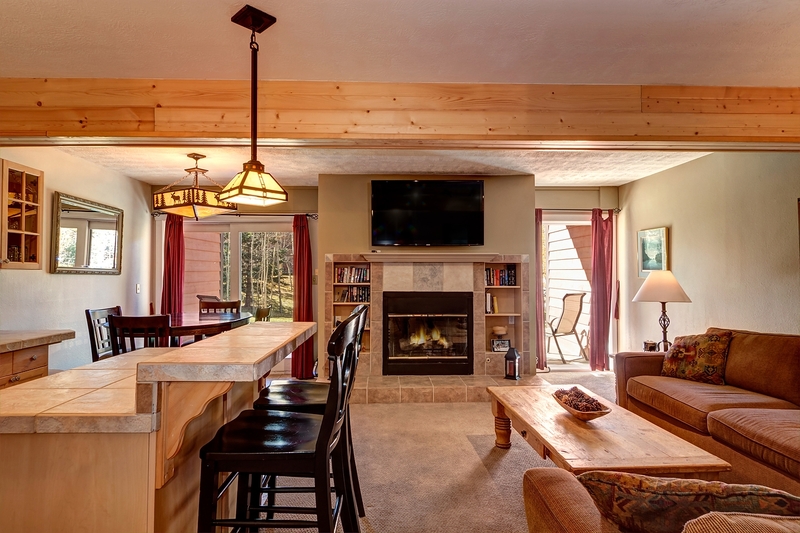 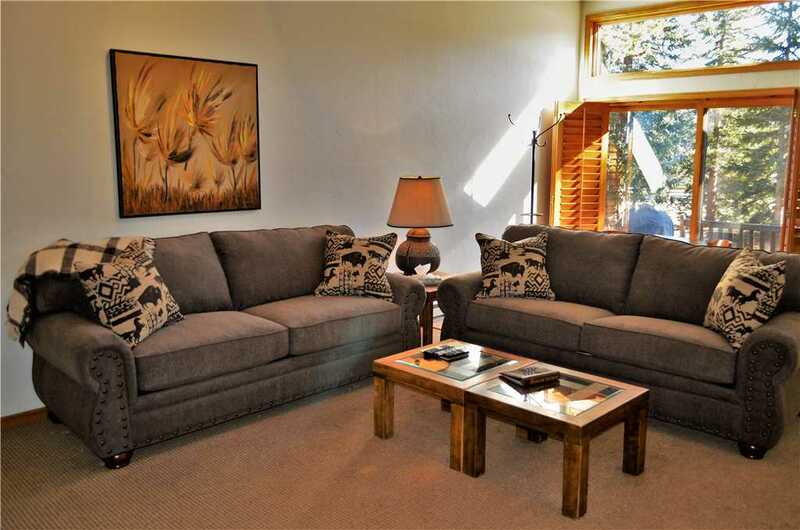 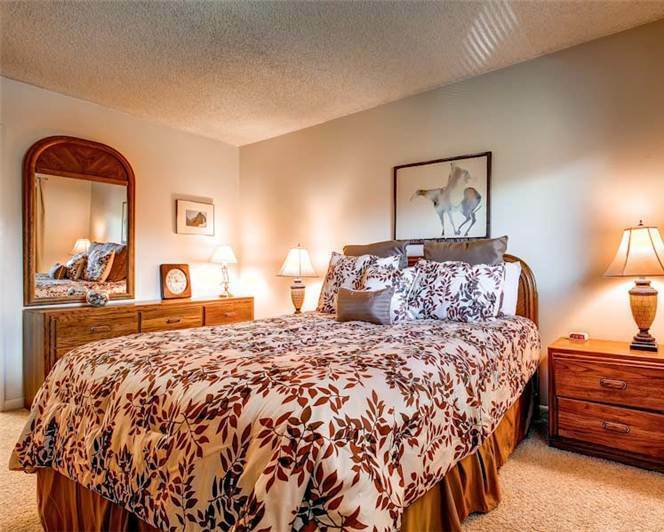 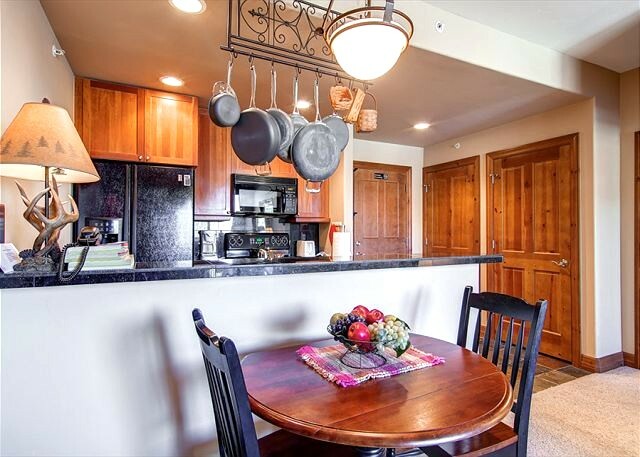 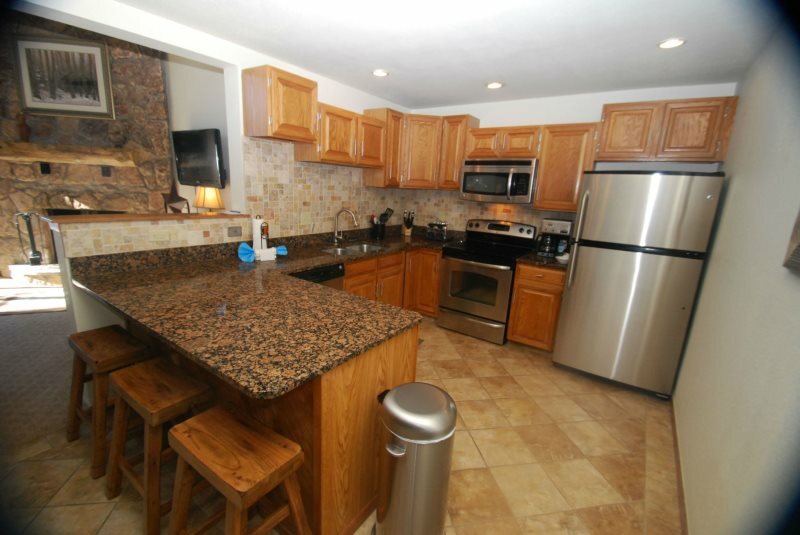 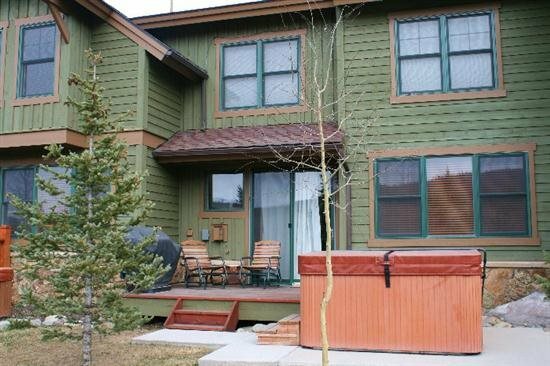 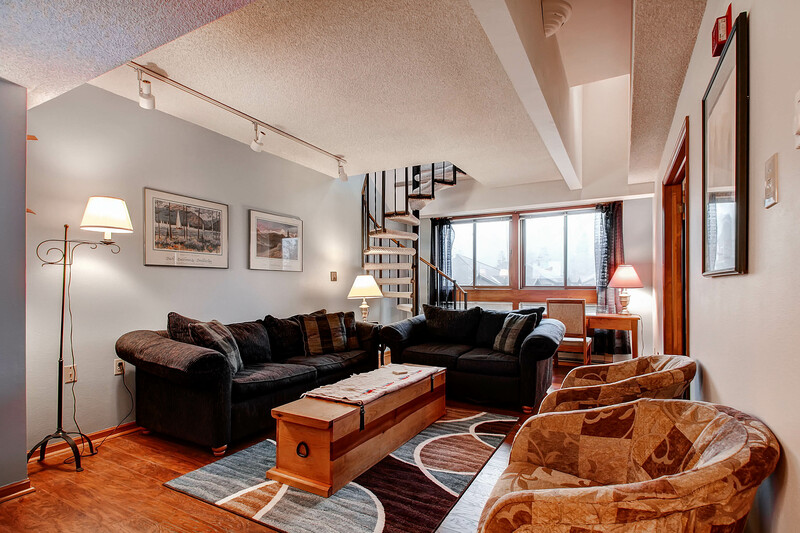 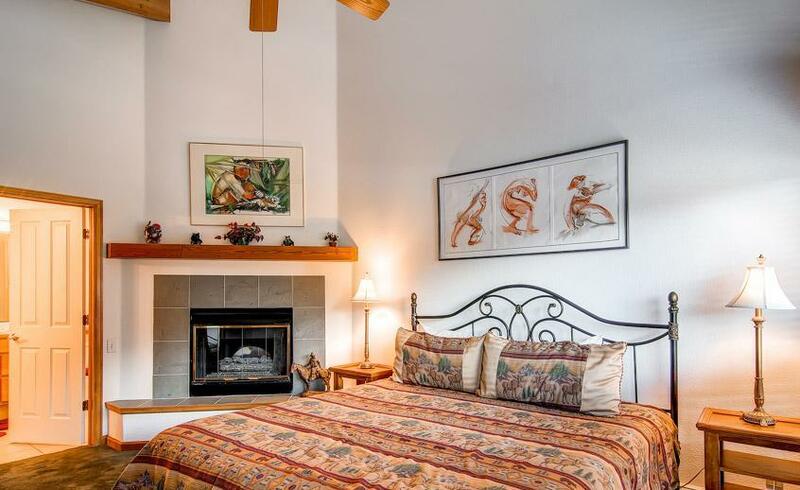 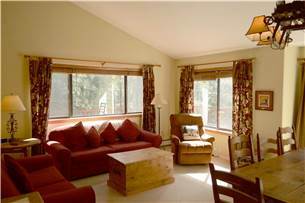 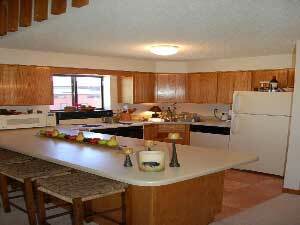 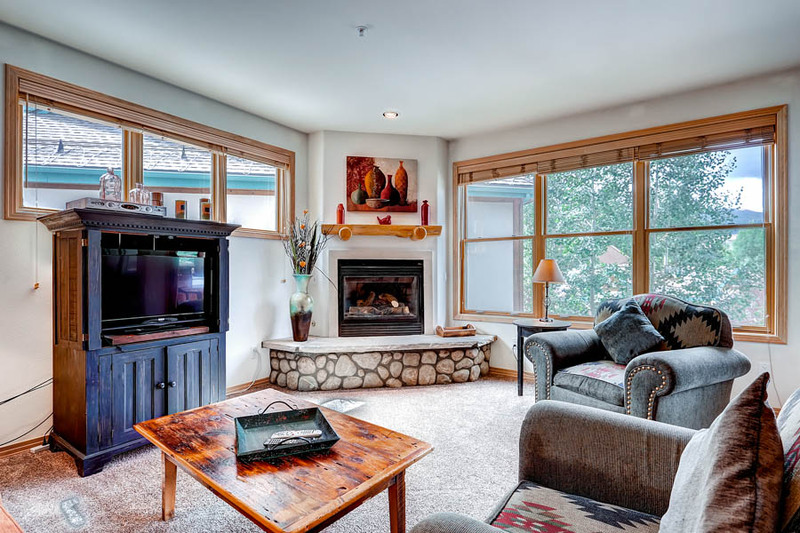 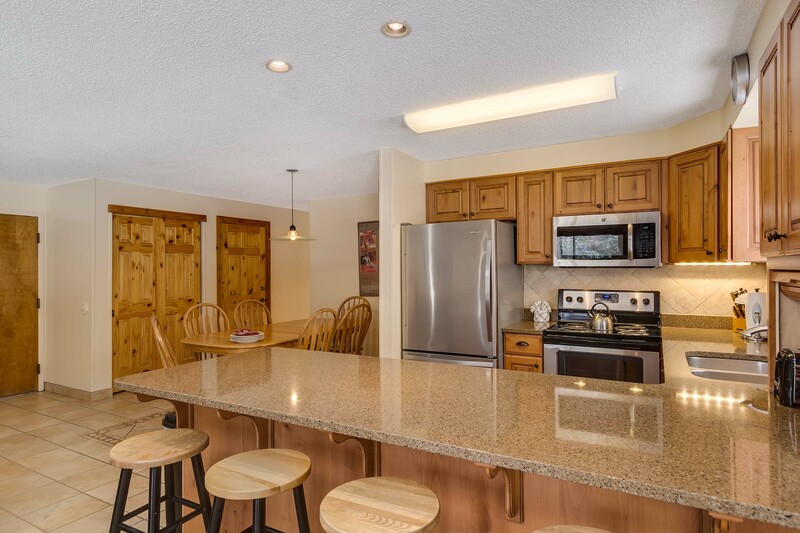 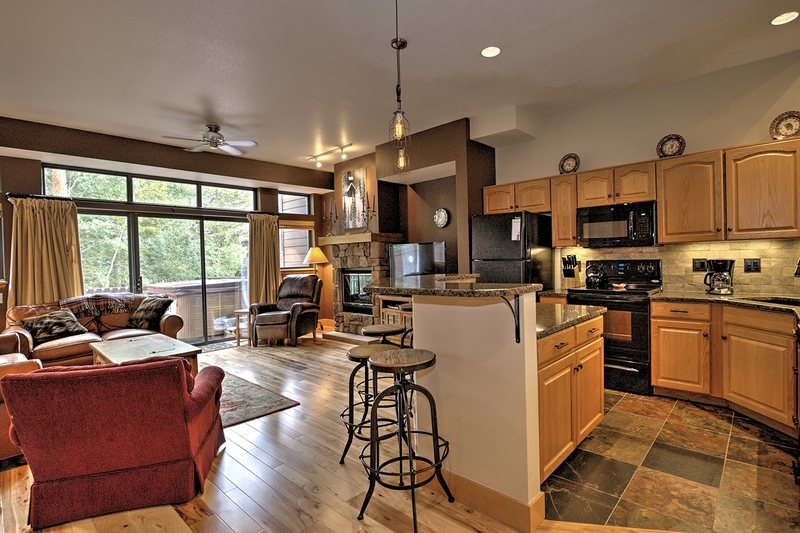 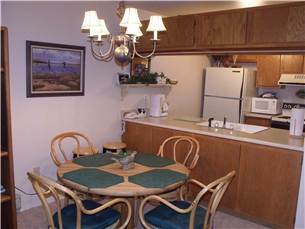 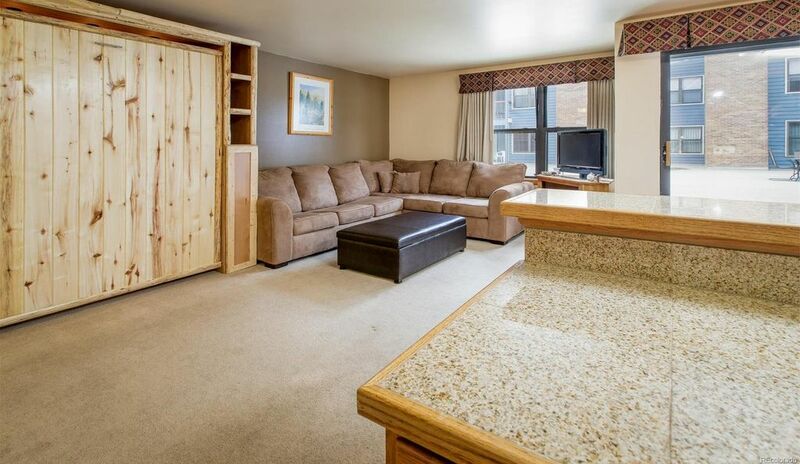 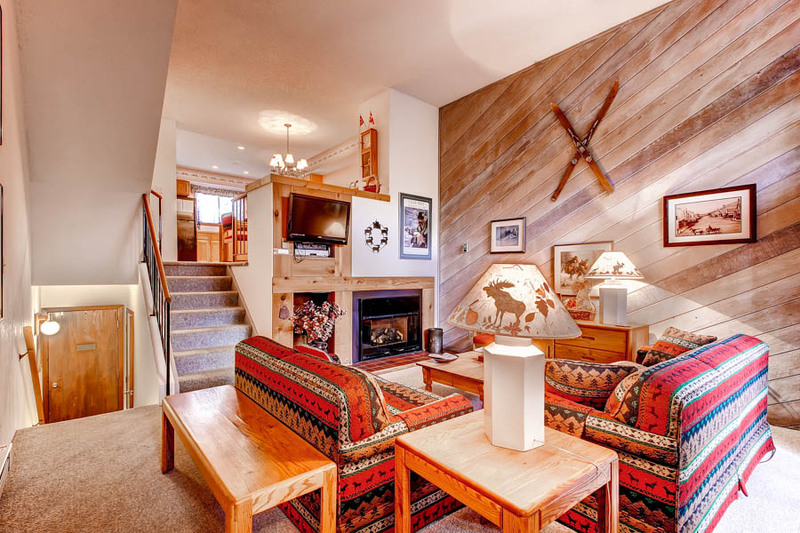 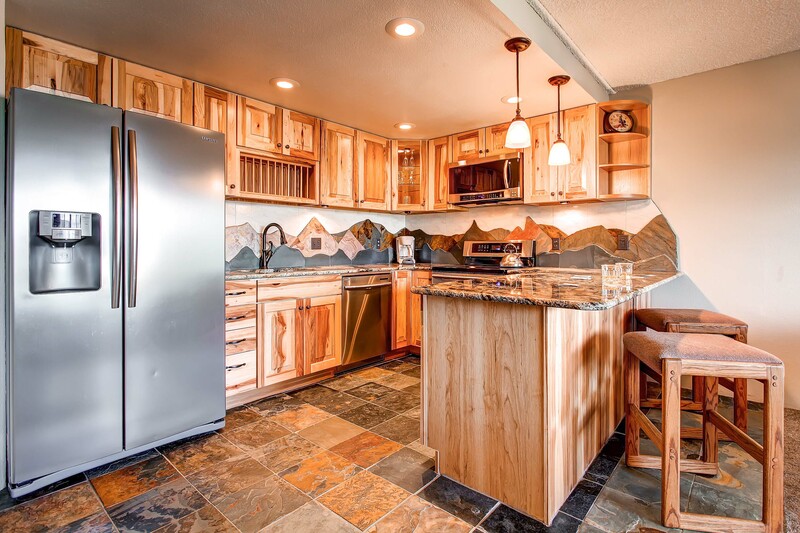 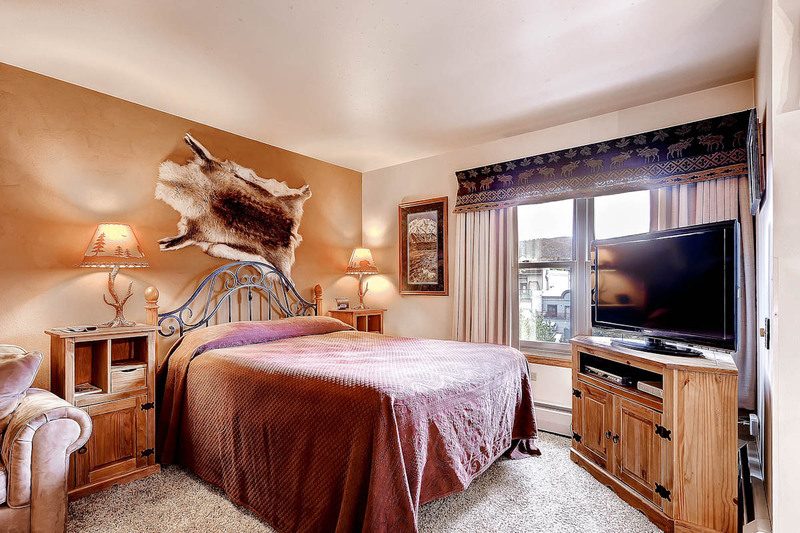 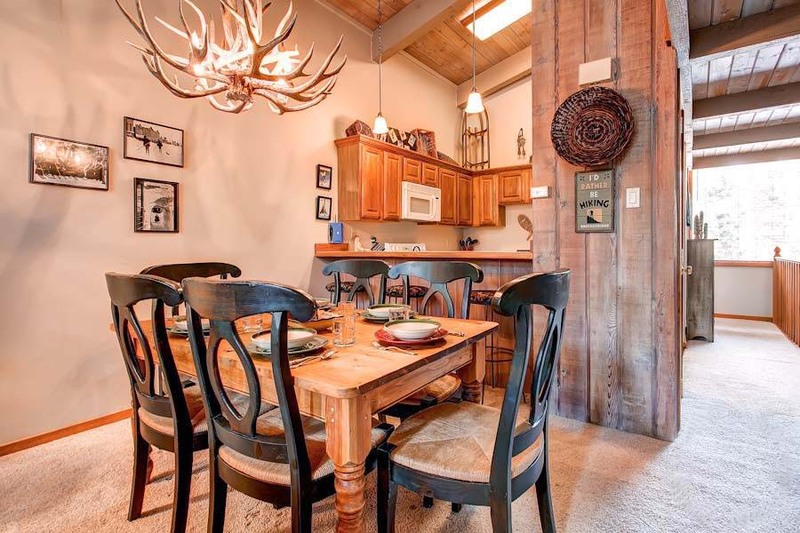 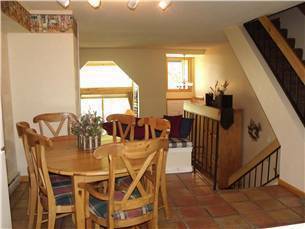 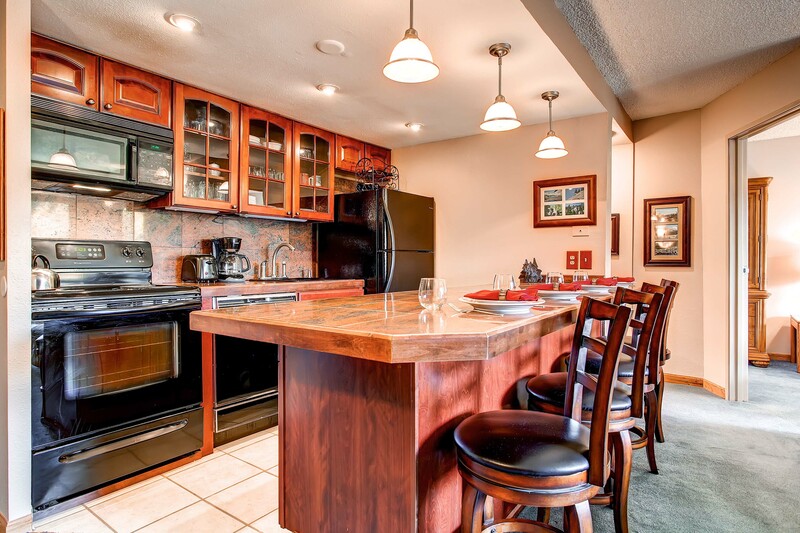 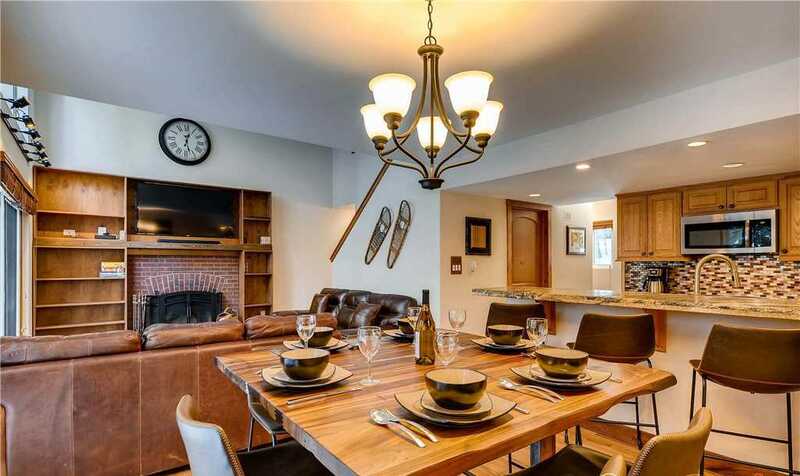 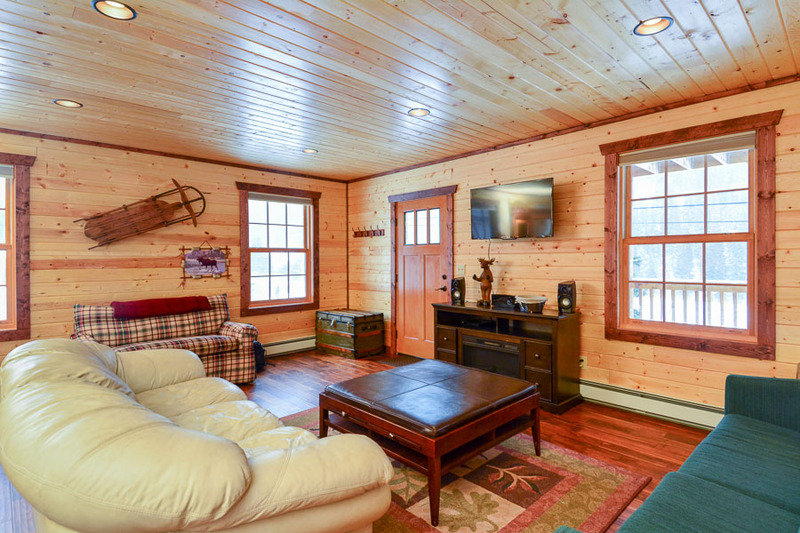 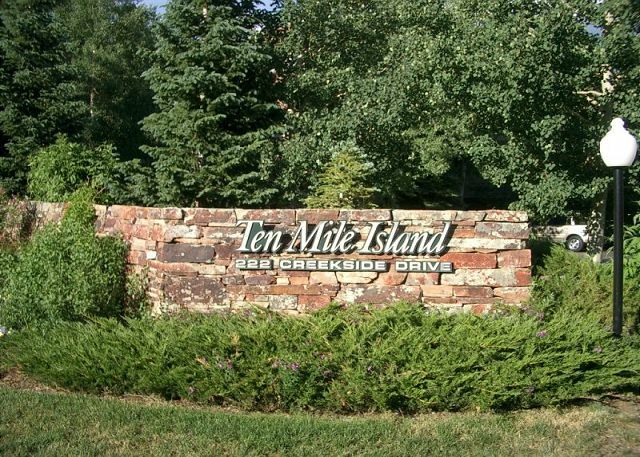 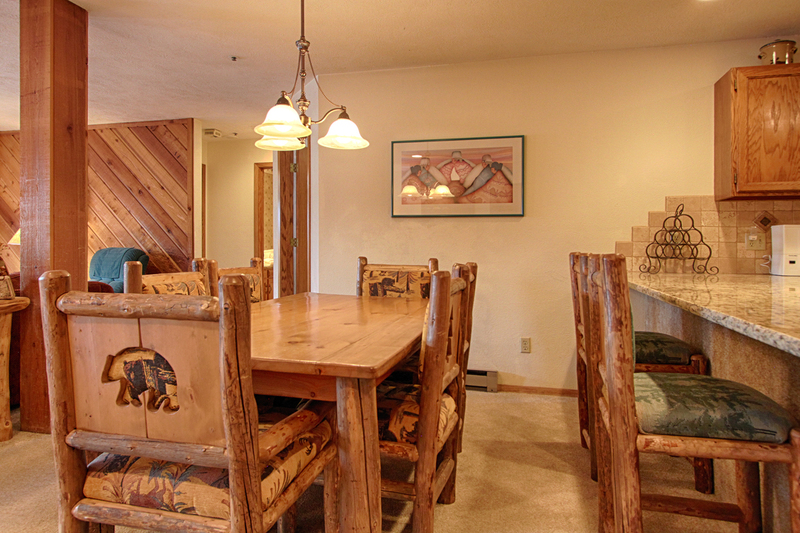 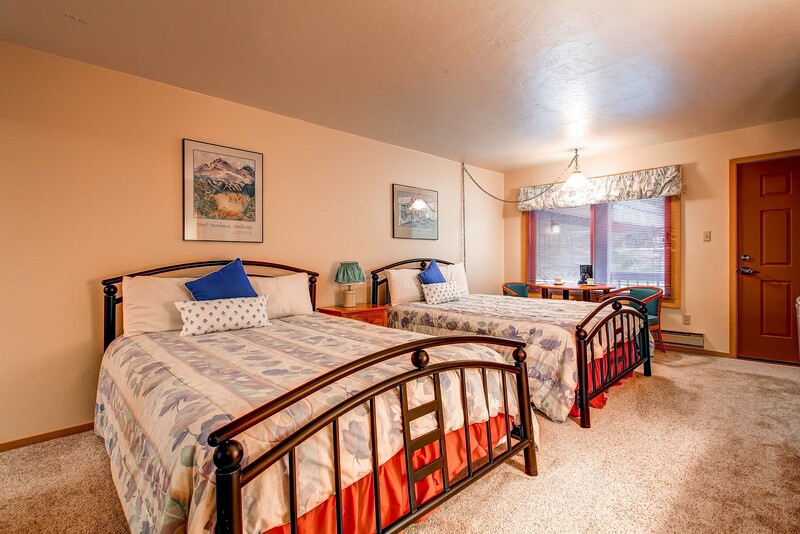 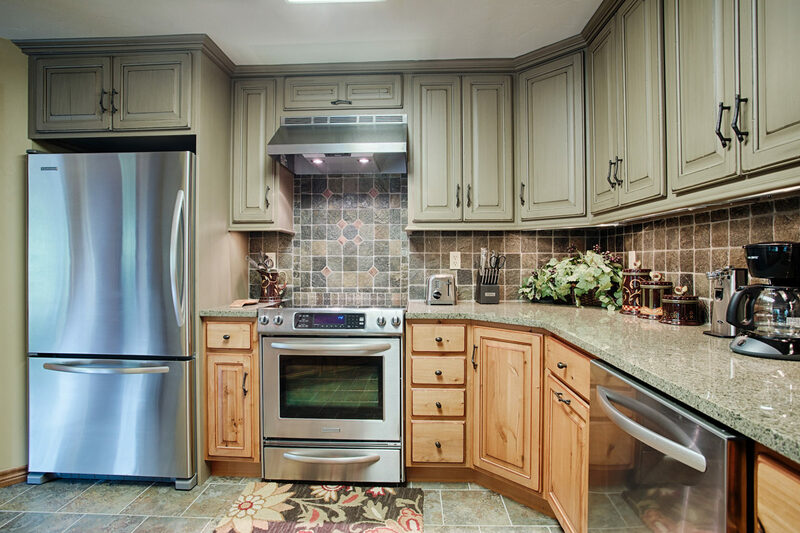 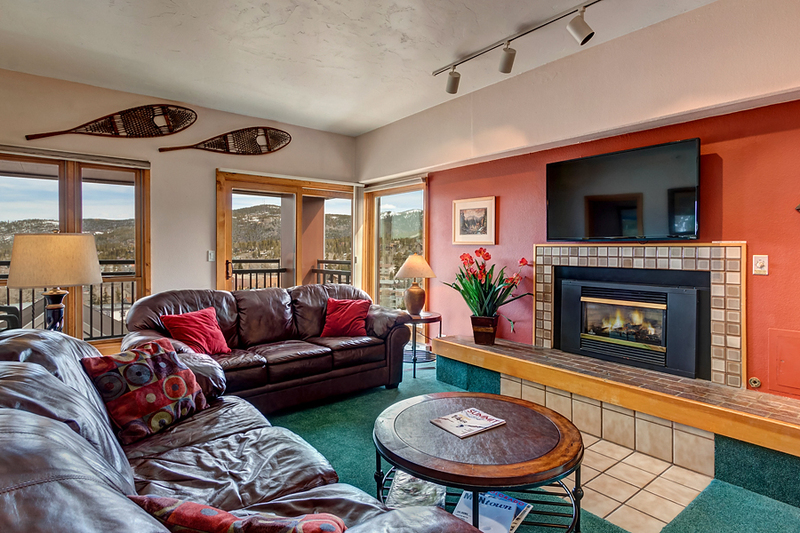 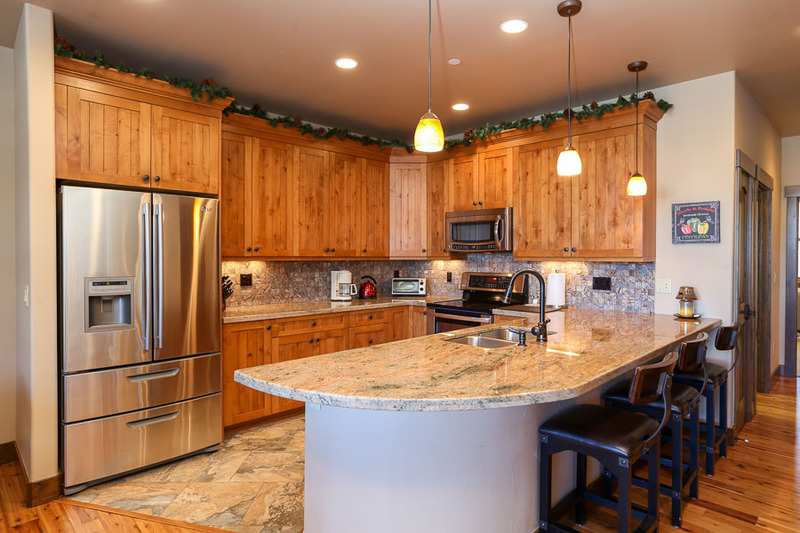 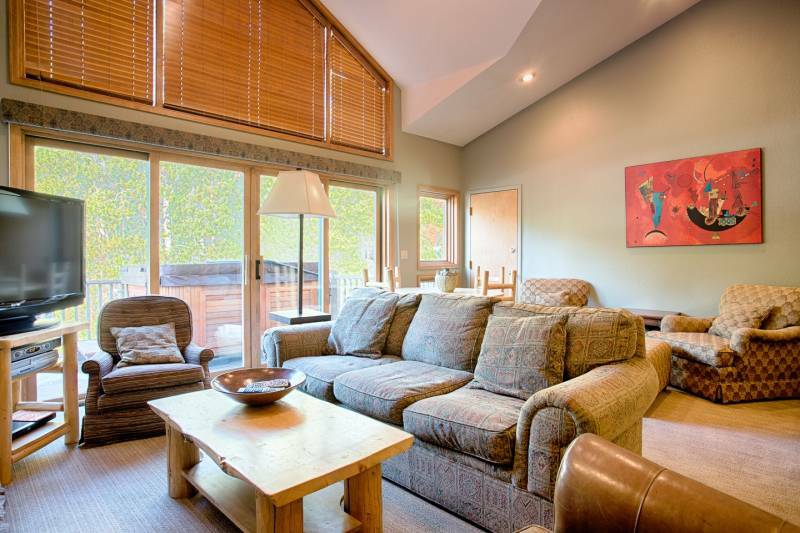 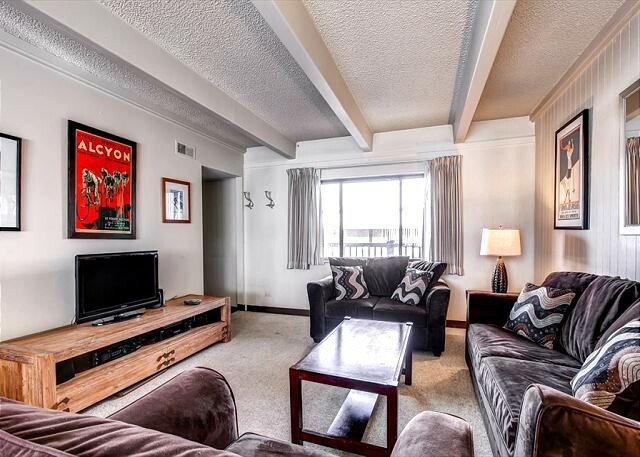 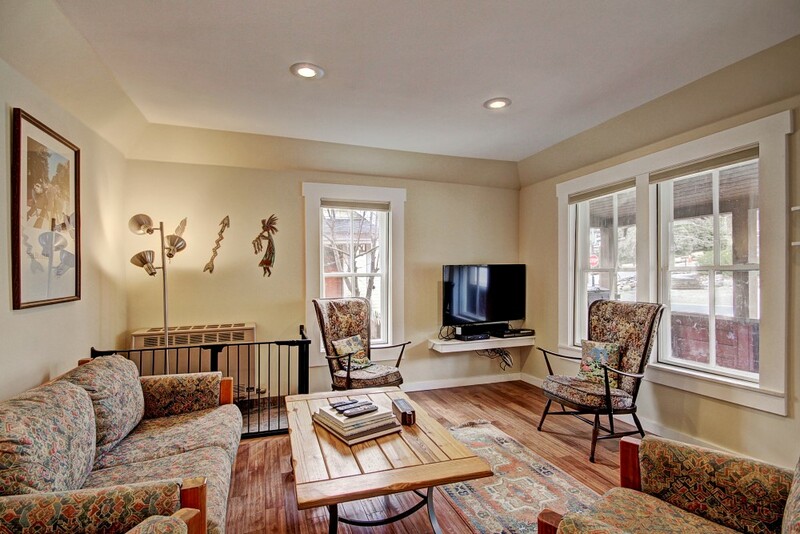 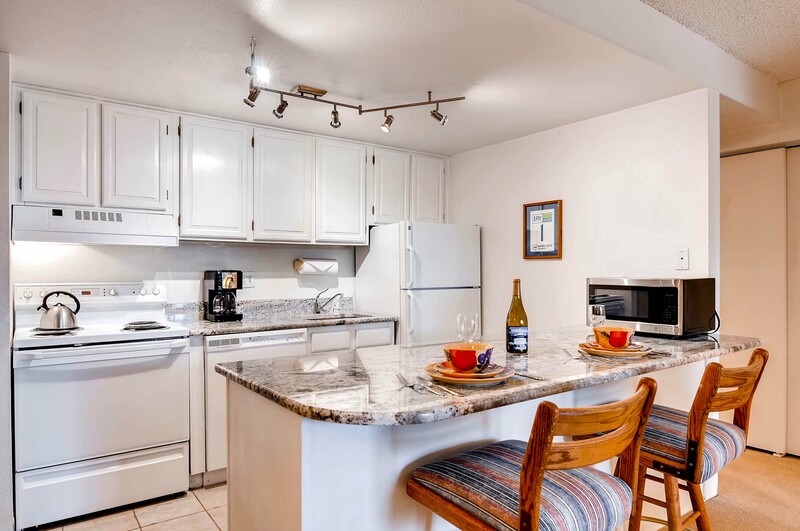 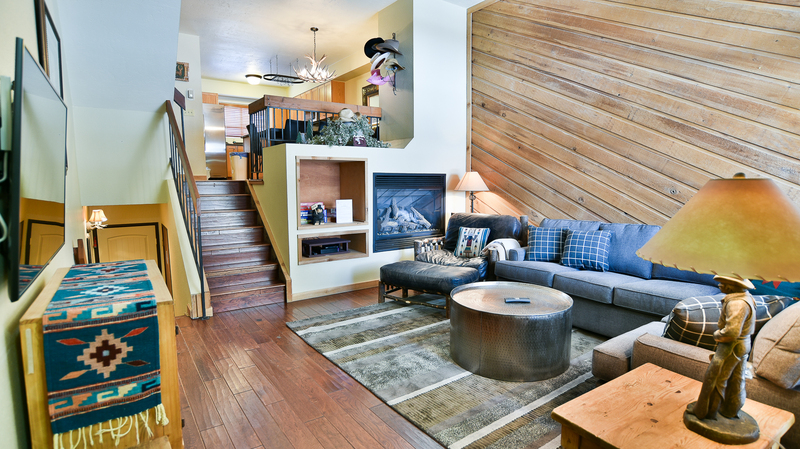 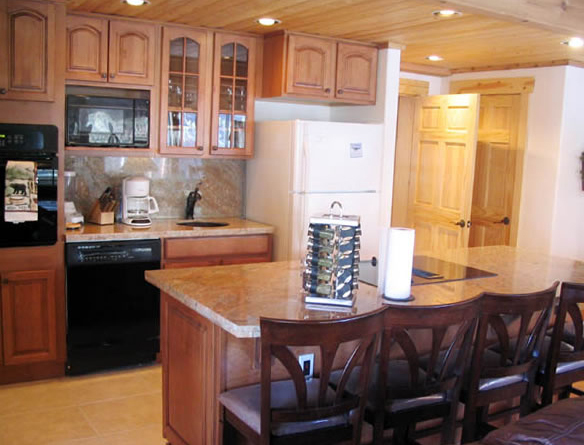 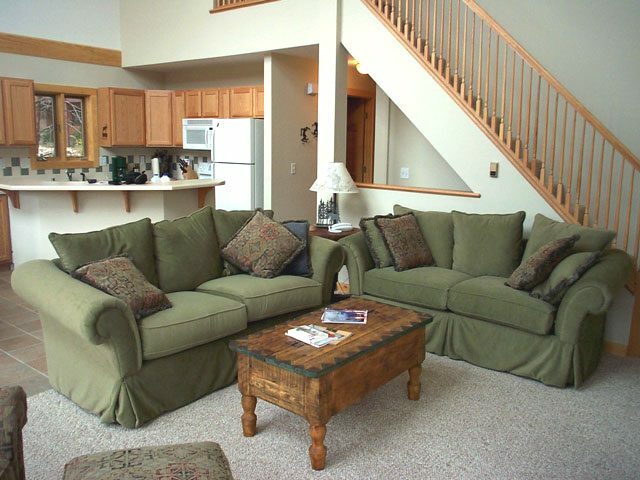 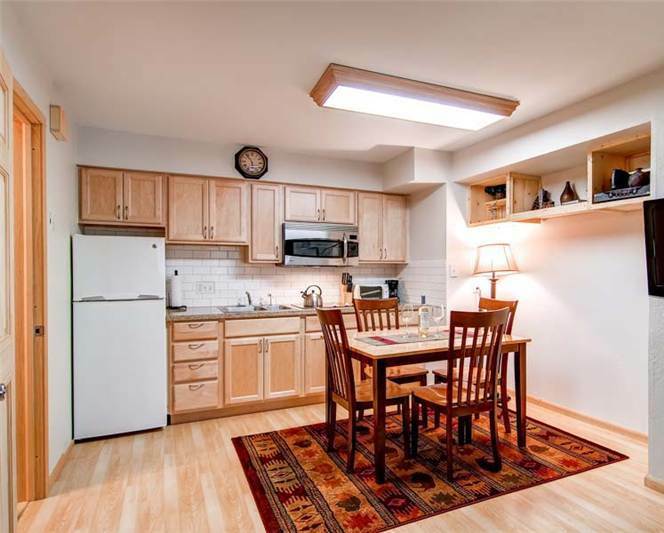 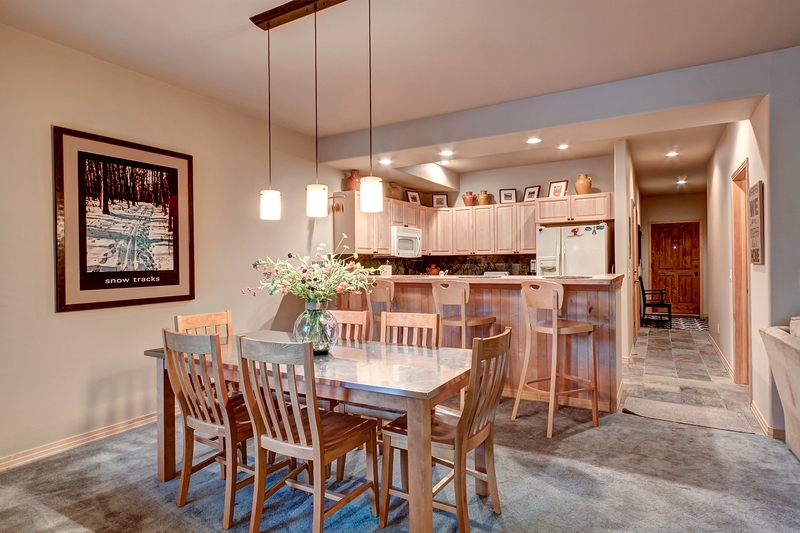 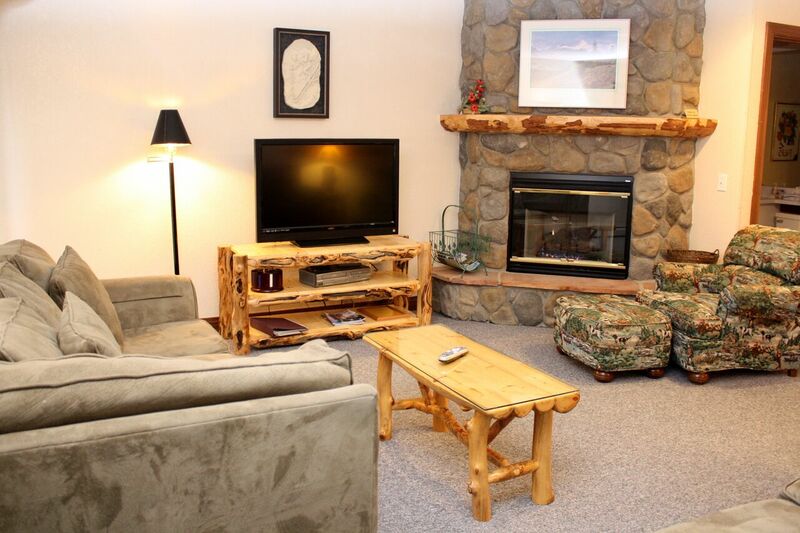 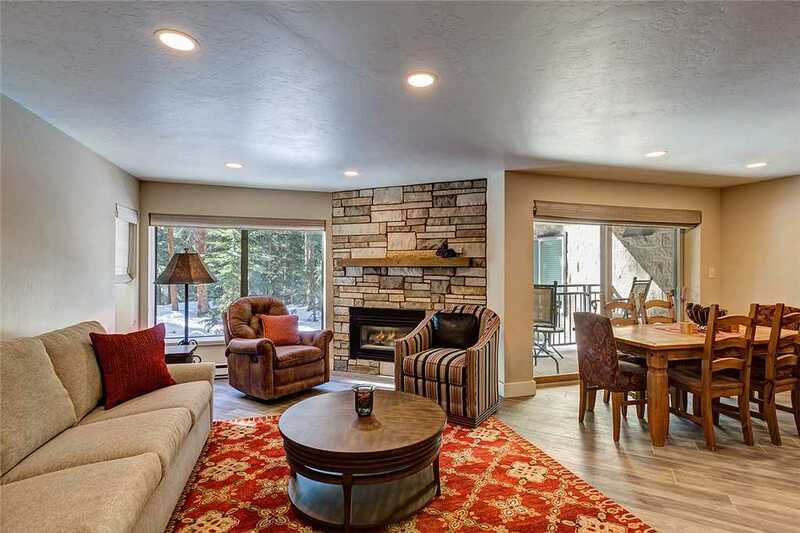 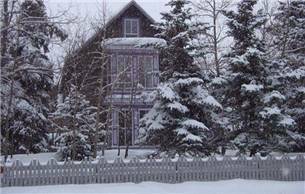 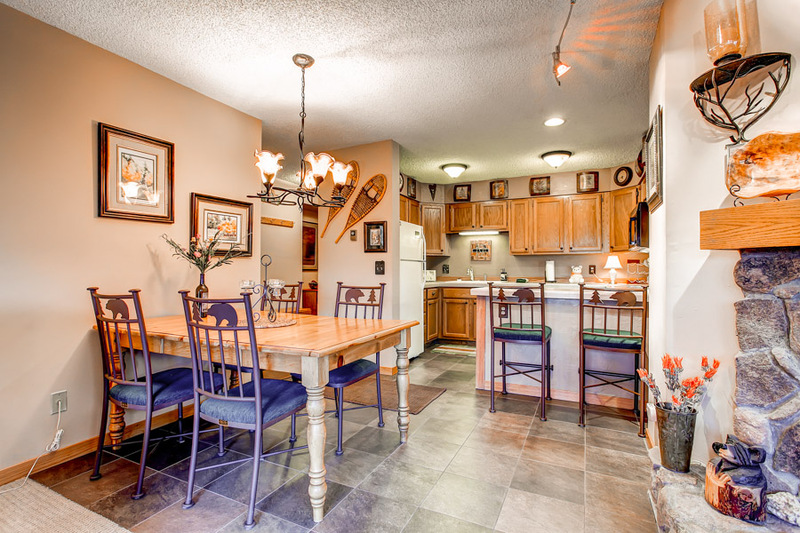 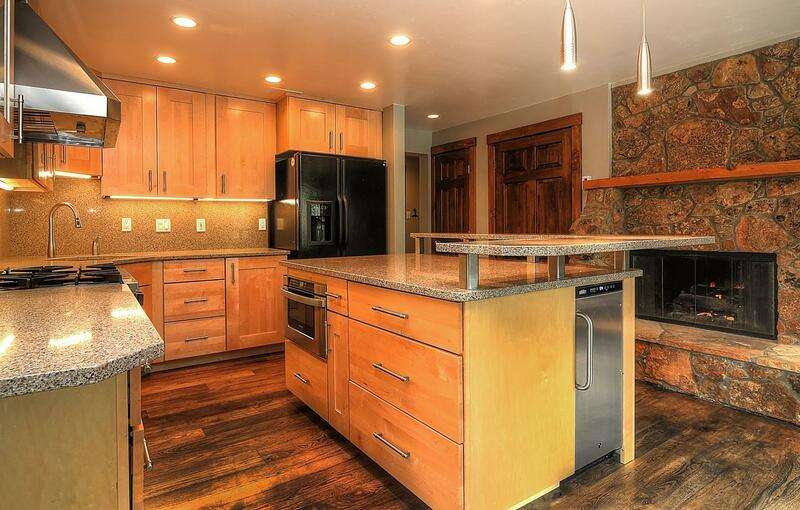 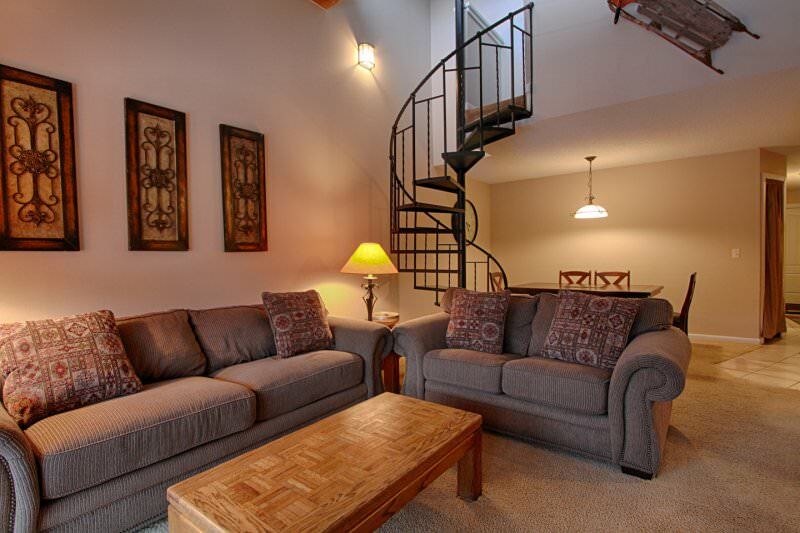 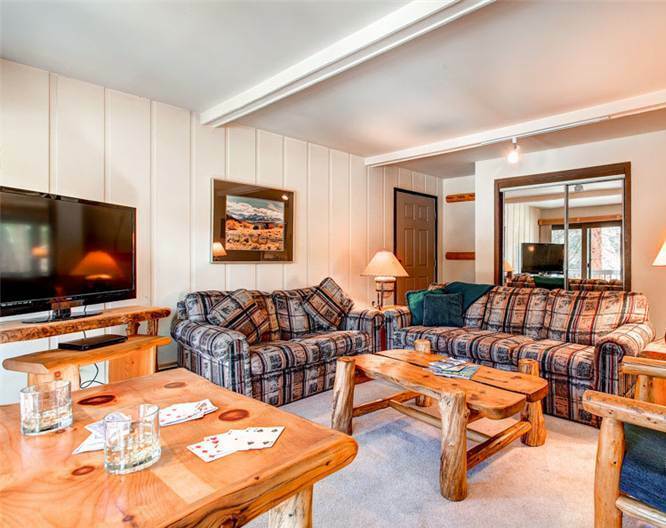 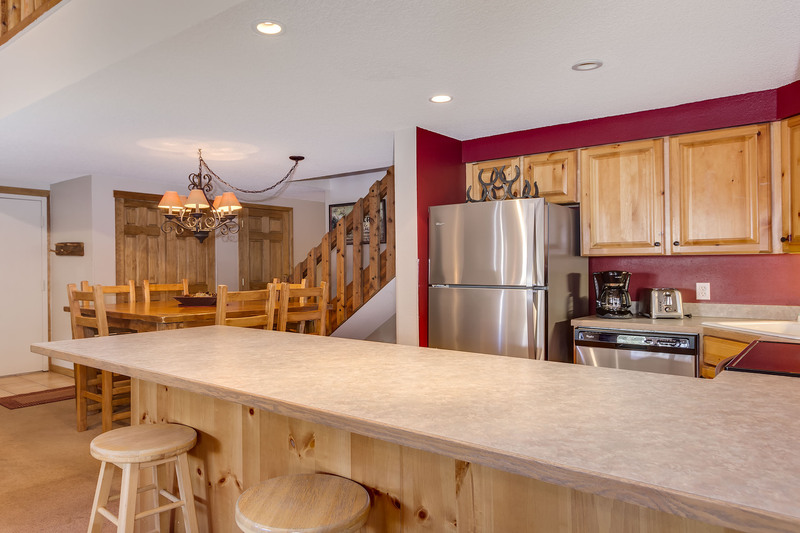 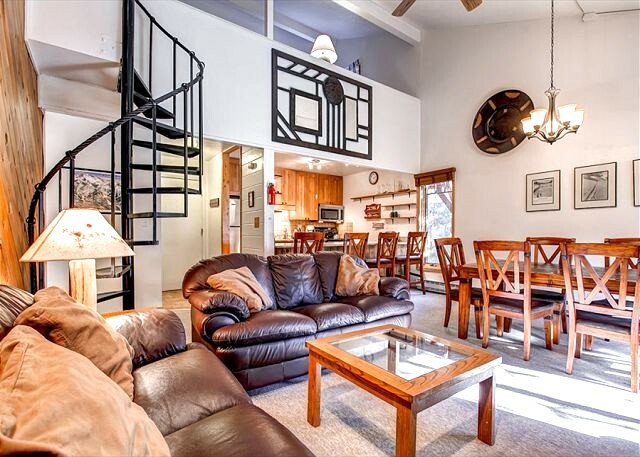 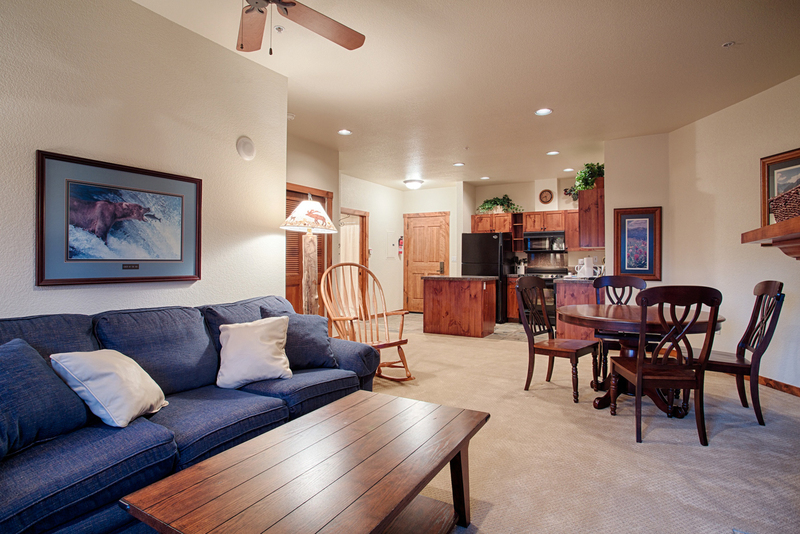 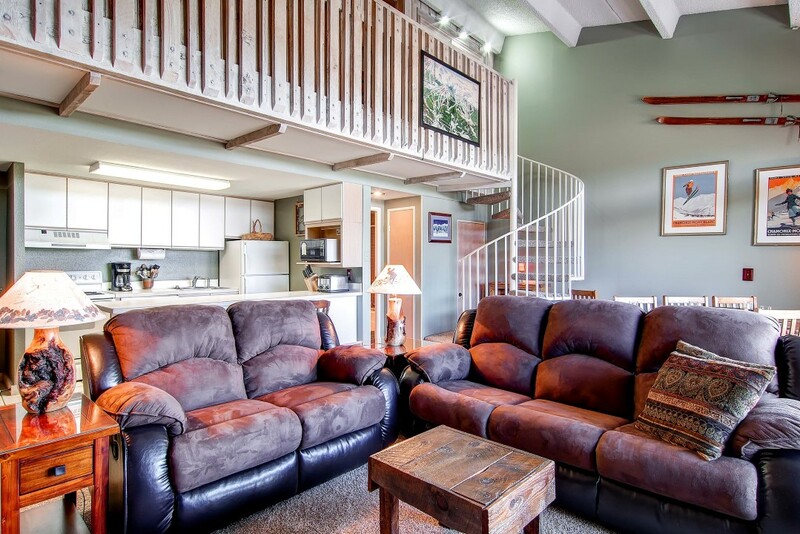 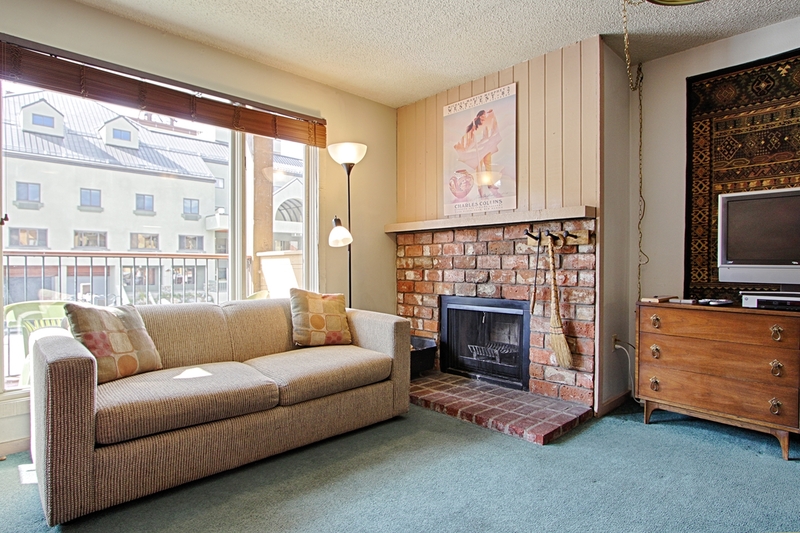 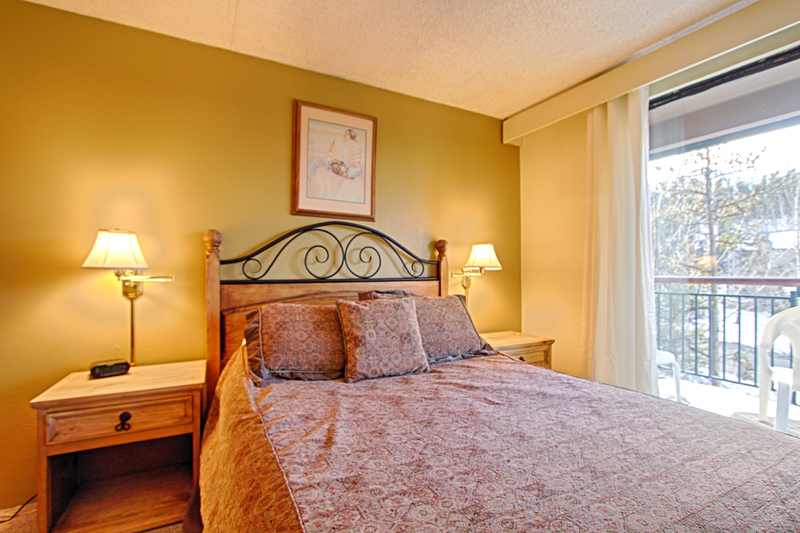 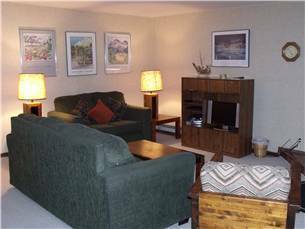 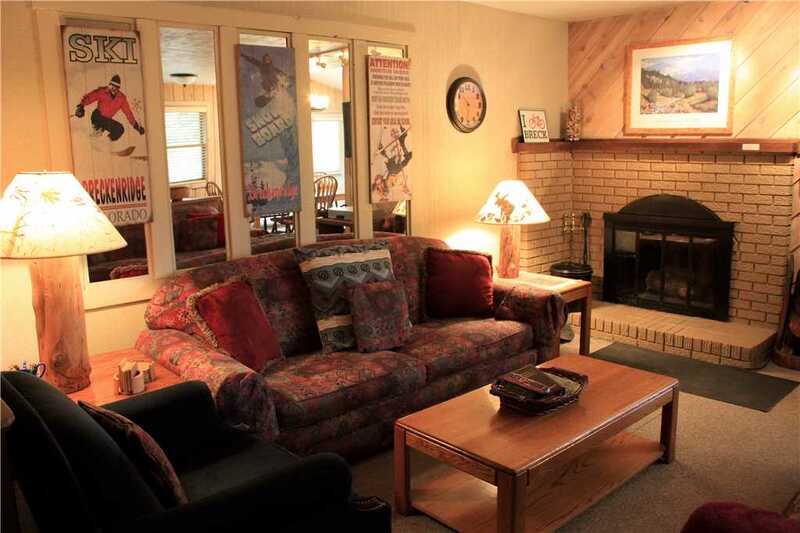 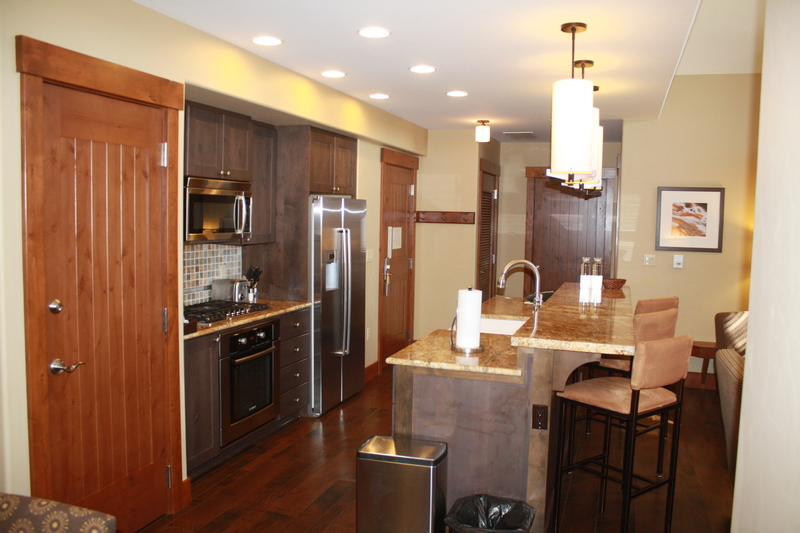 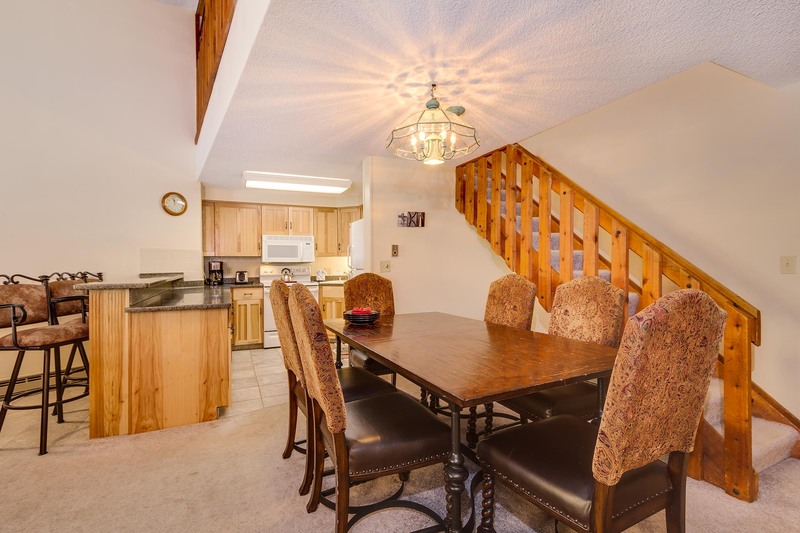 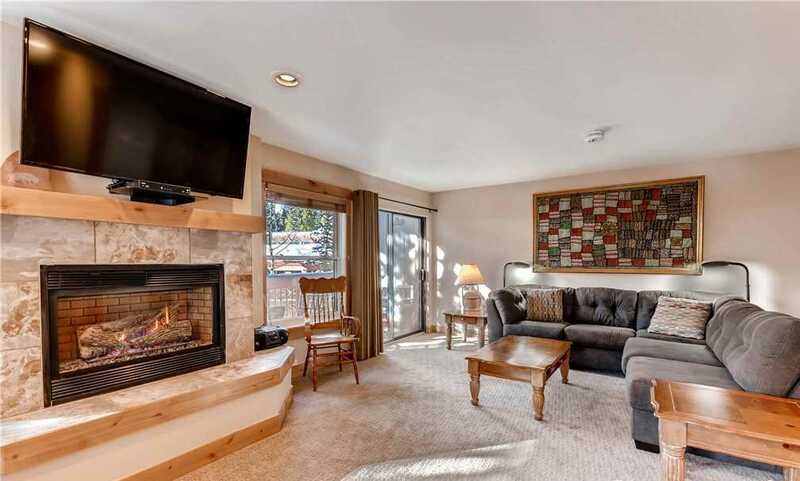 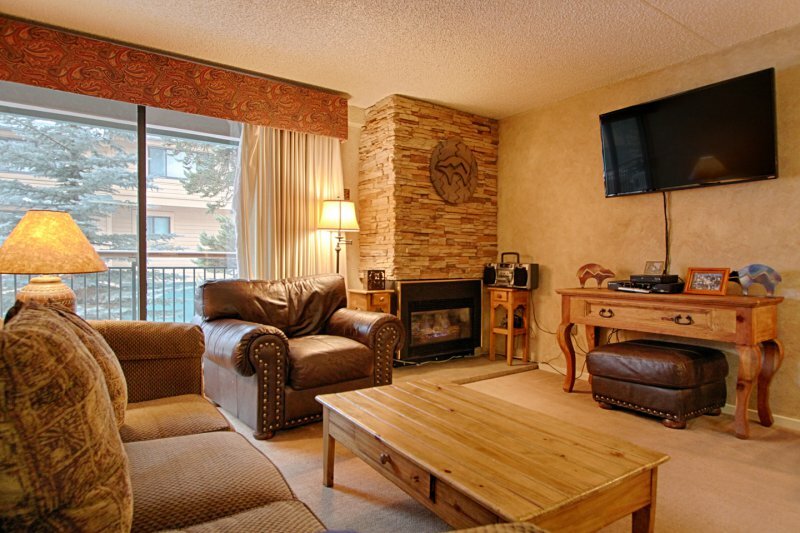 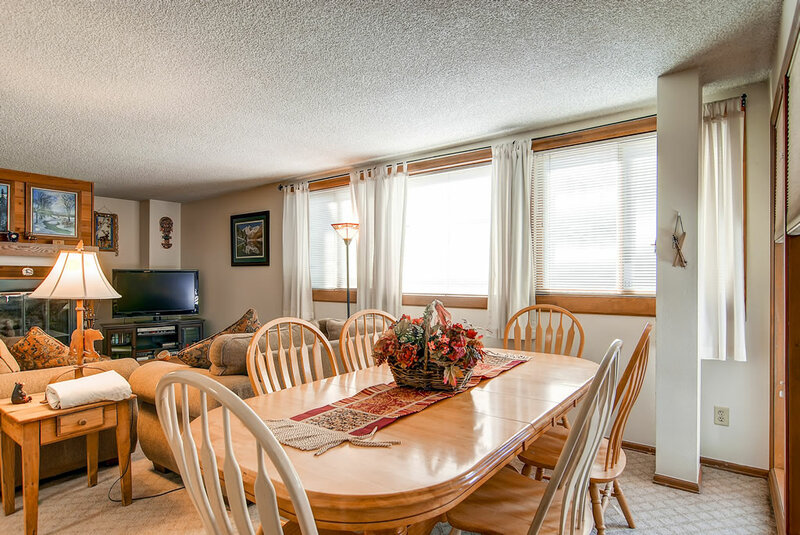 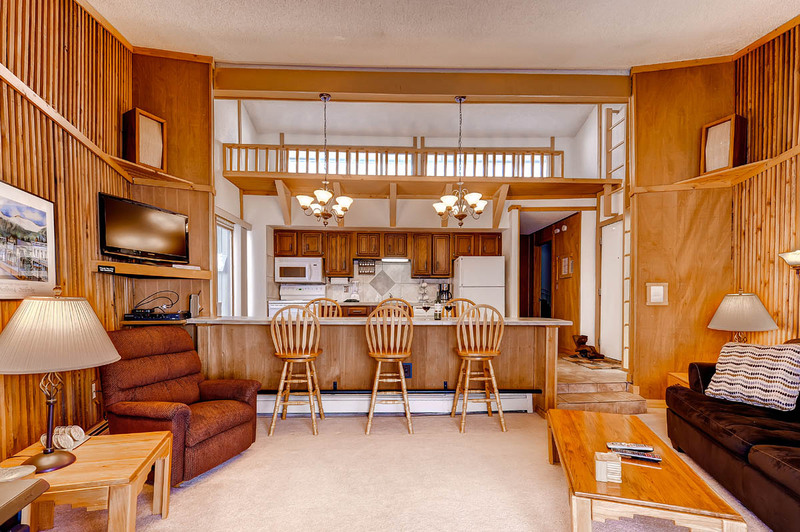 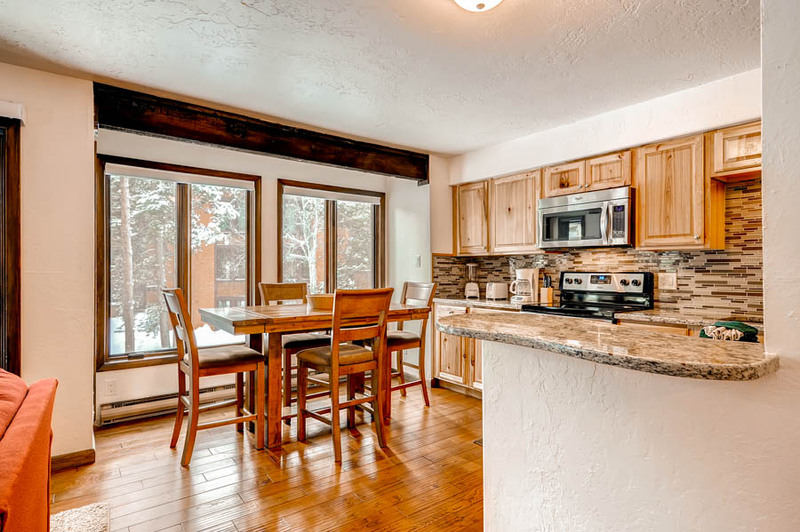 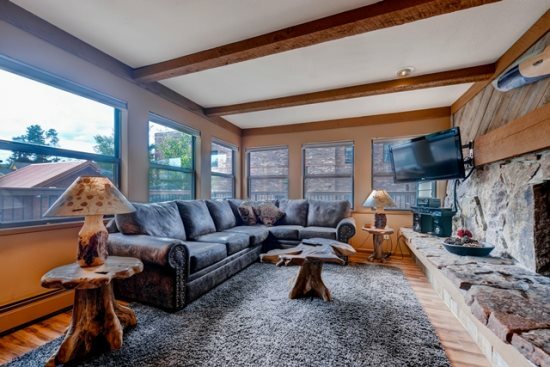 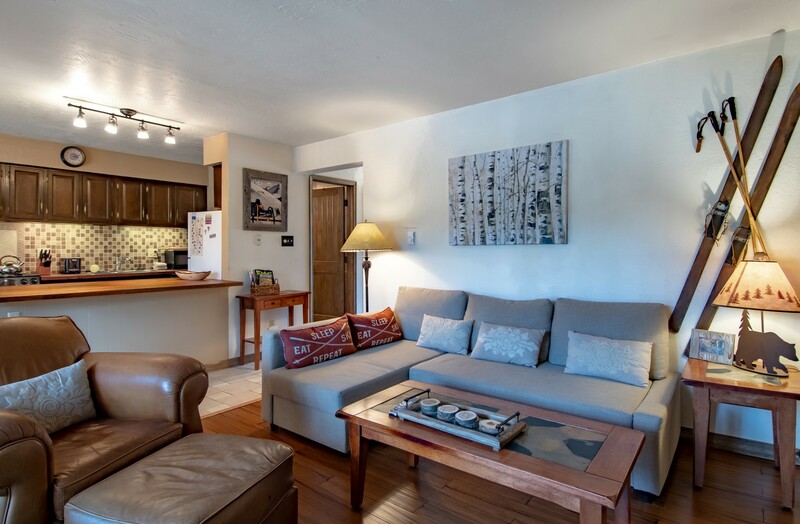 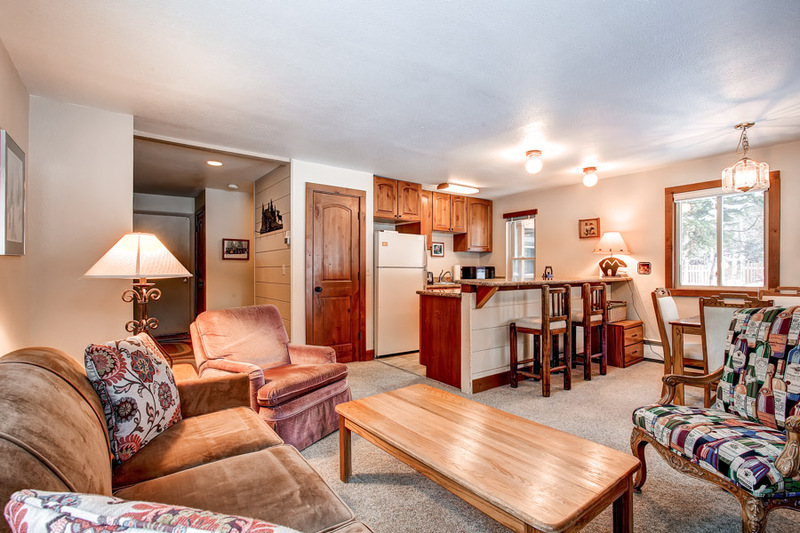 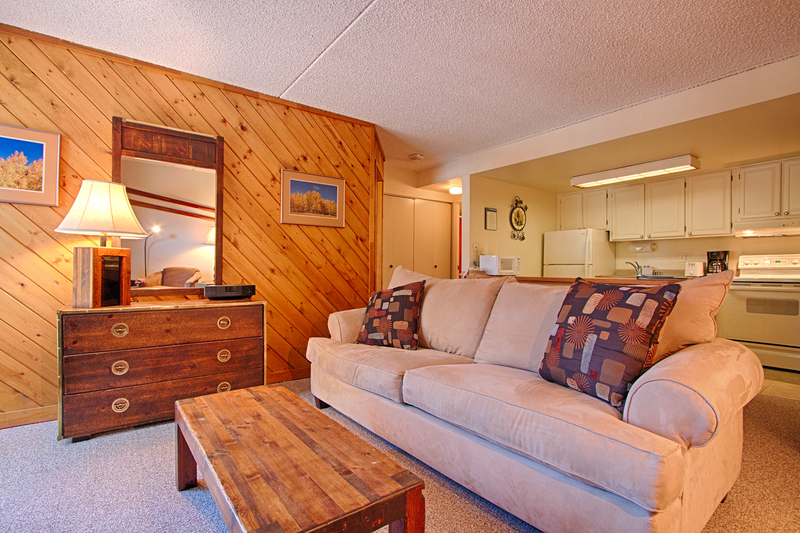 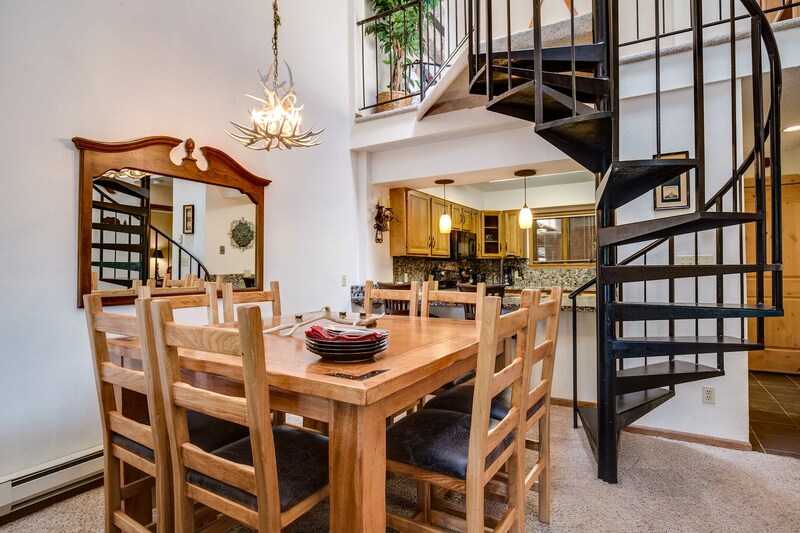 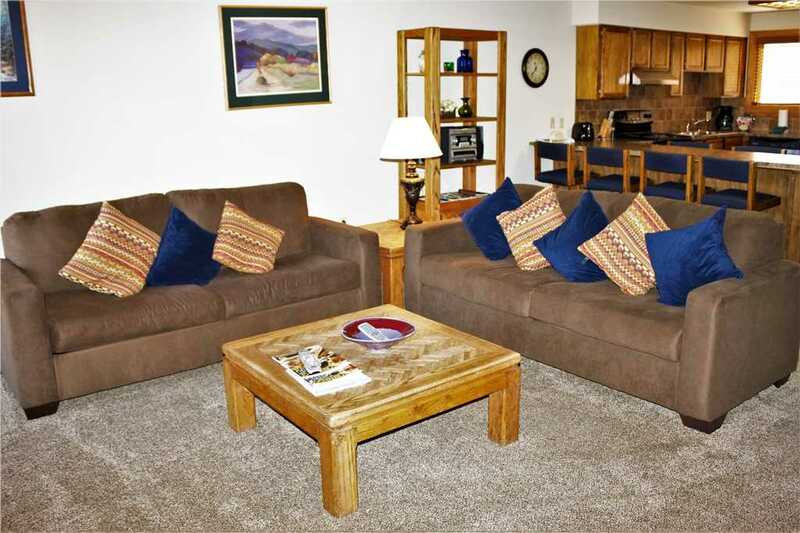 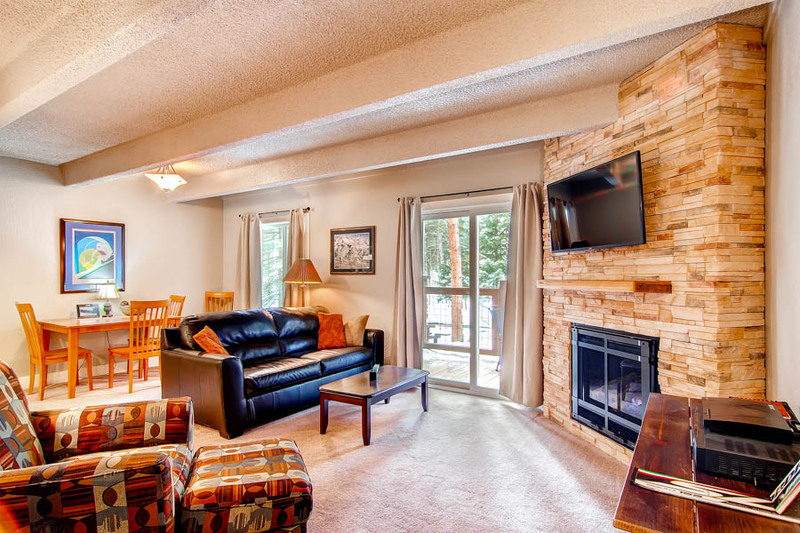 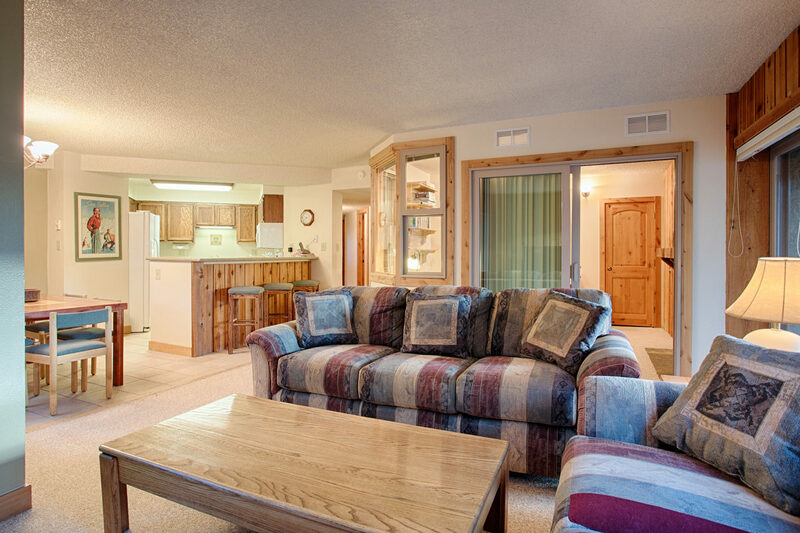 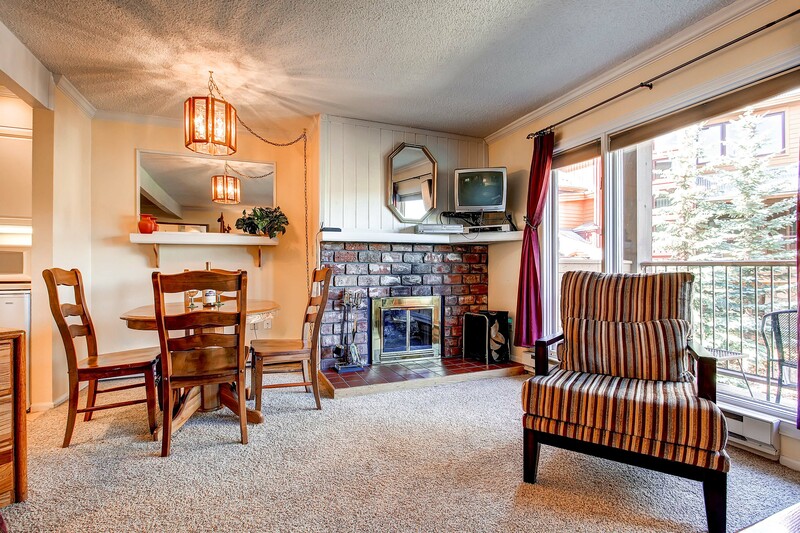 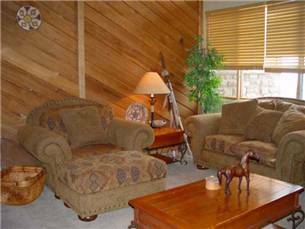 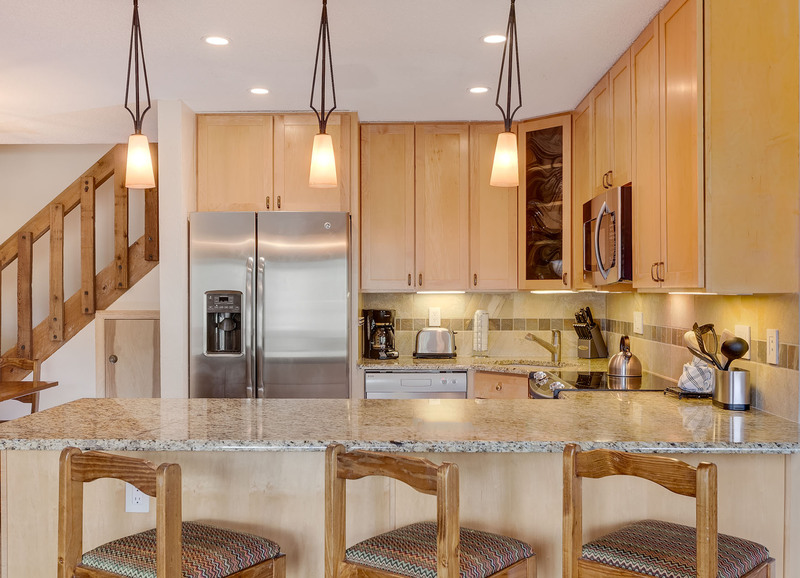 This comfortable moderate condo is a perfect getaway for families or groups of up to five. 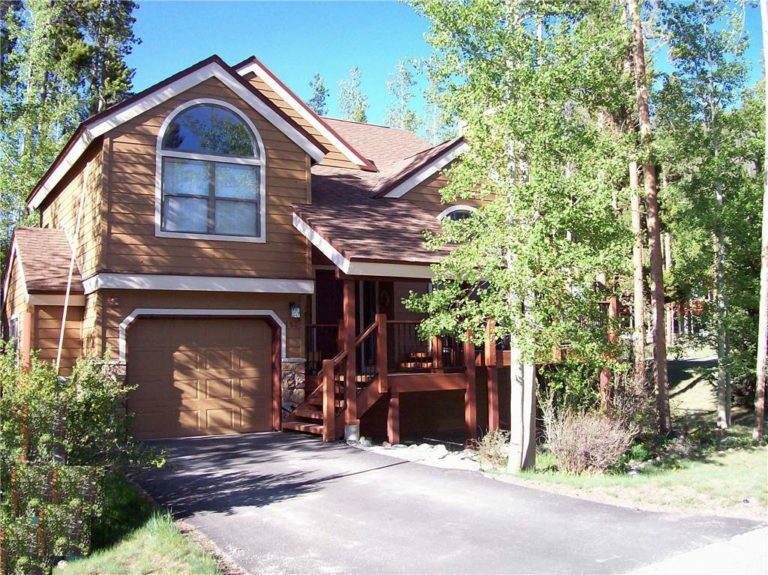 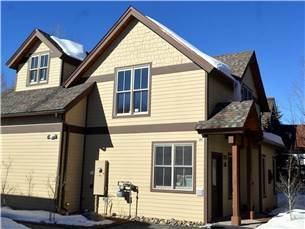 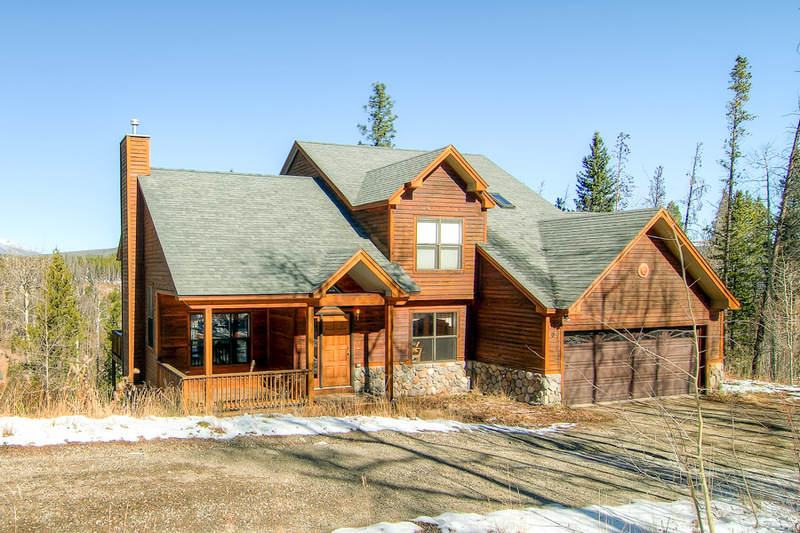 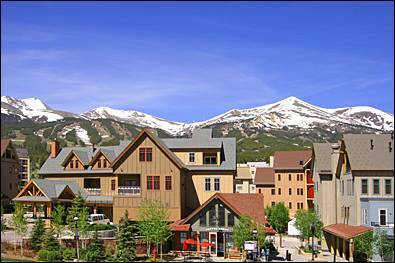 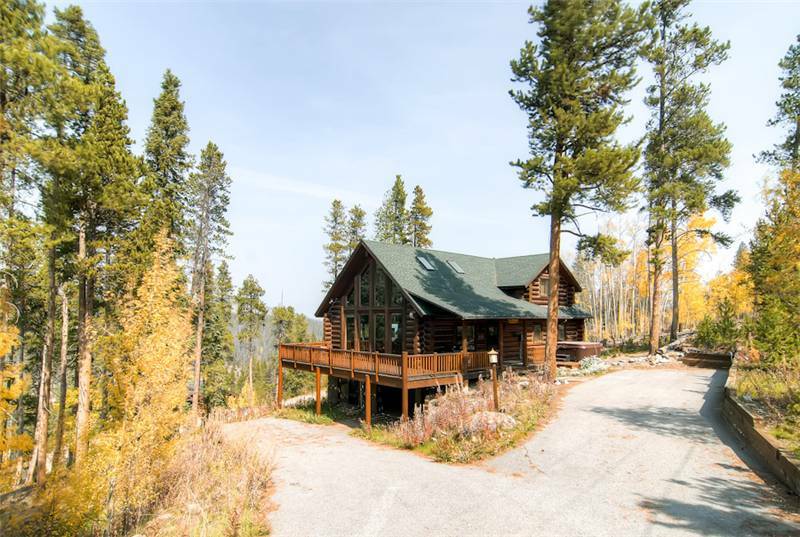 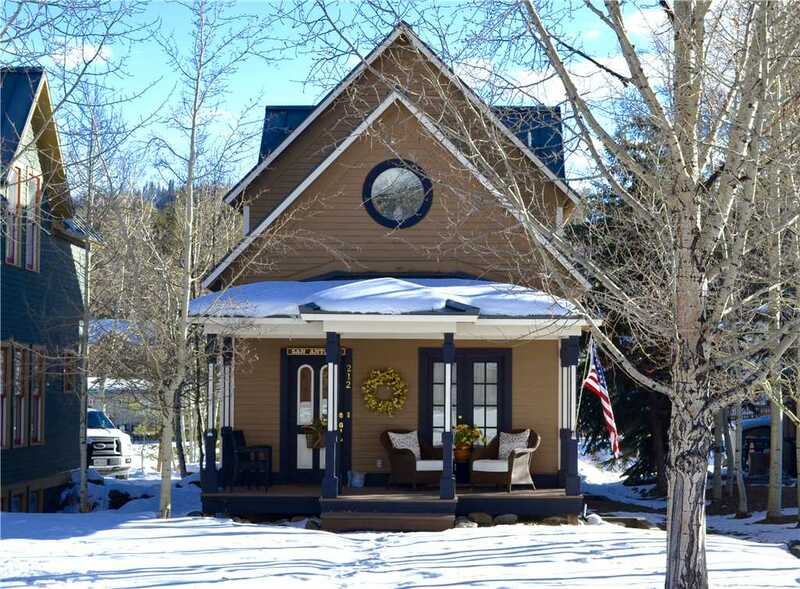 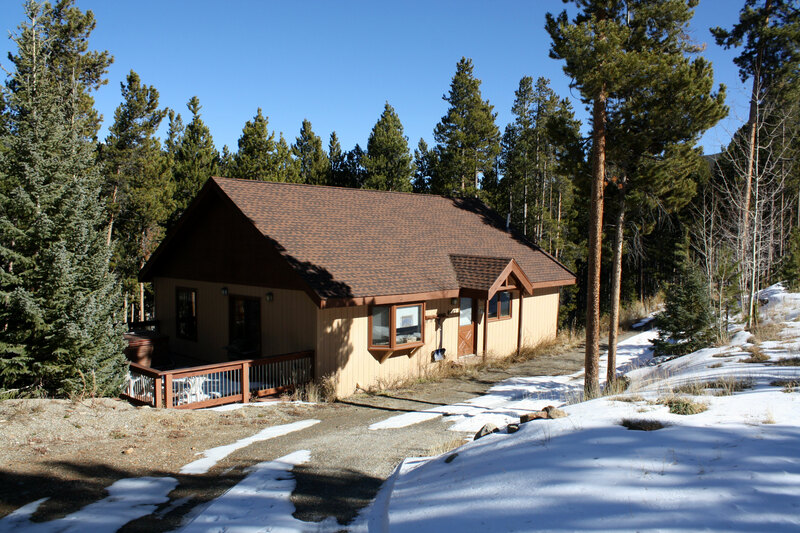 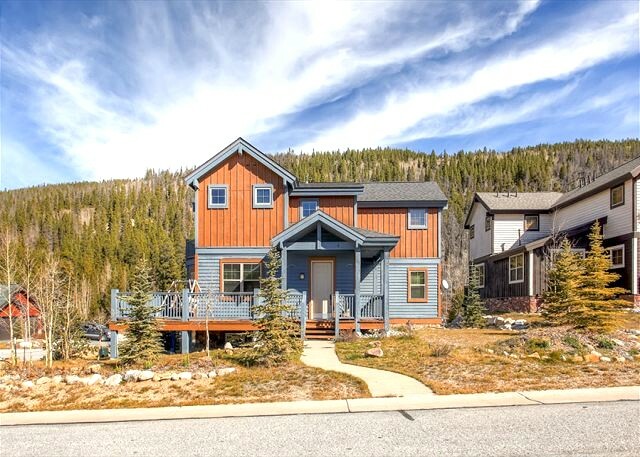 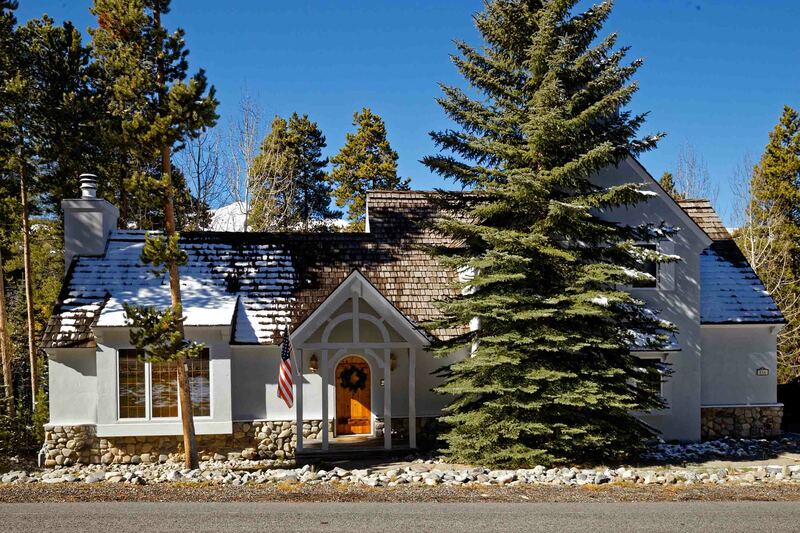 It’s located near the south end of Breckenridge on Highway 9 with a seasonal Breckenridge Free Ride bus stop right at the complex entrance! 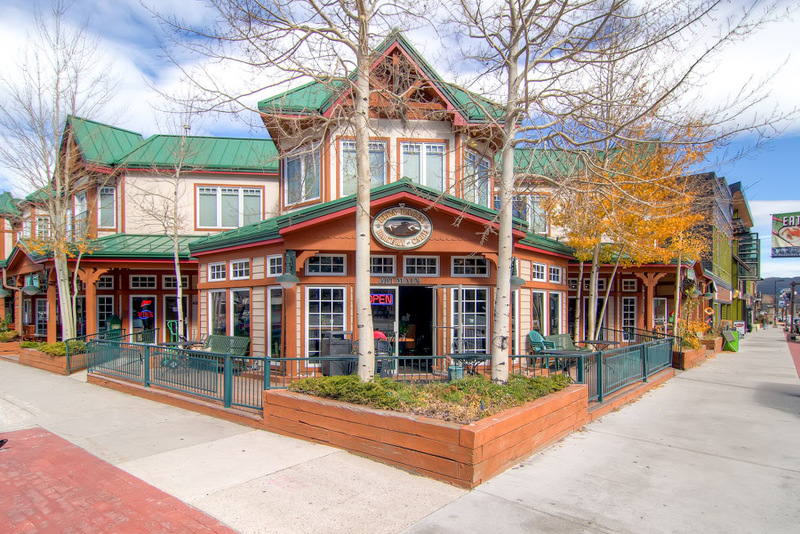 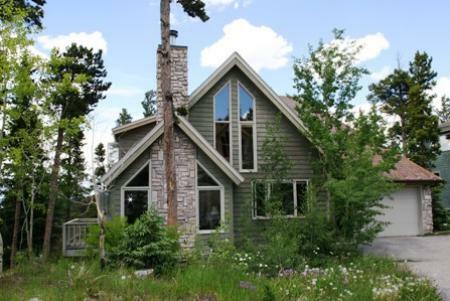 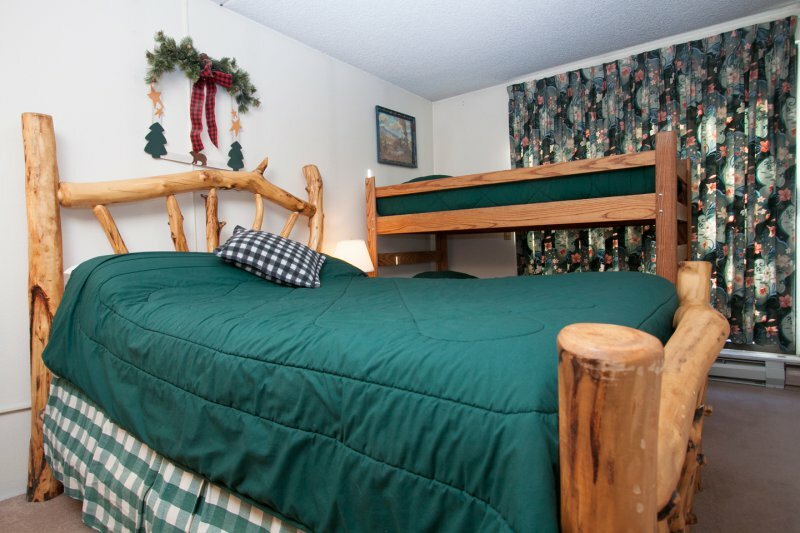 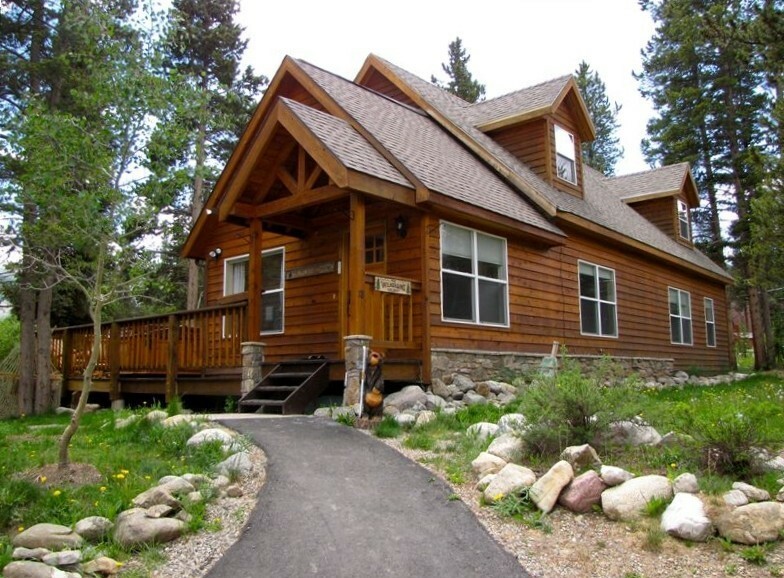 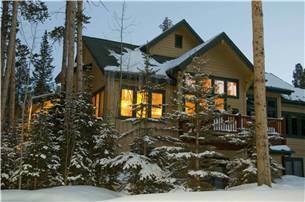 It’s also near the Breckenridge Ice Rink, a great choice for a fun family outing. 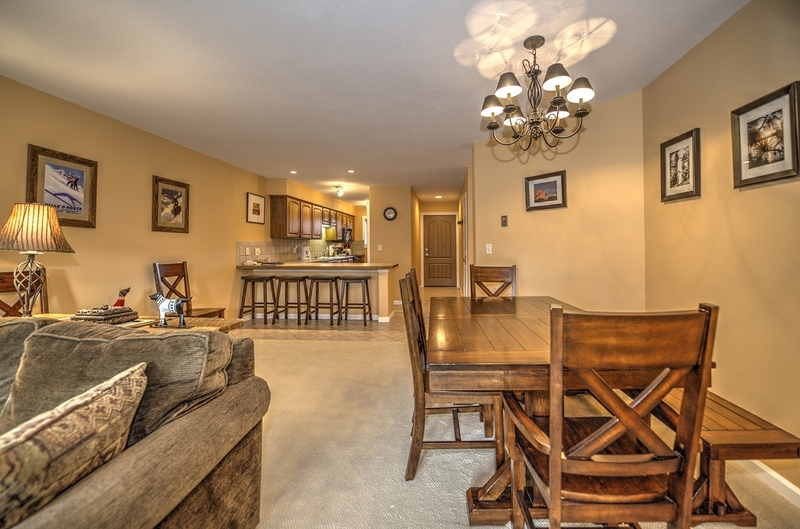 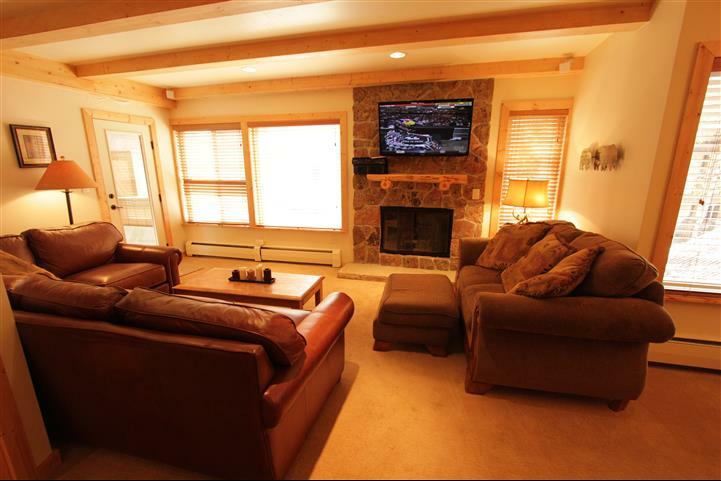 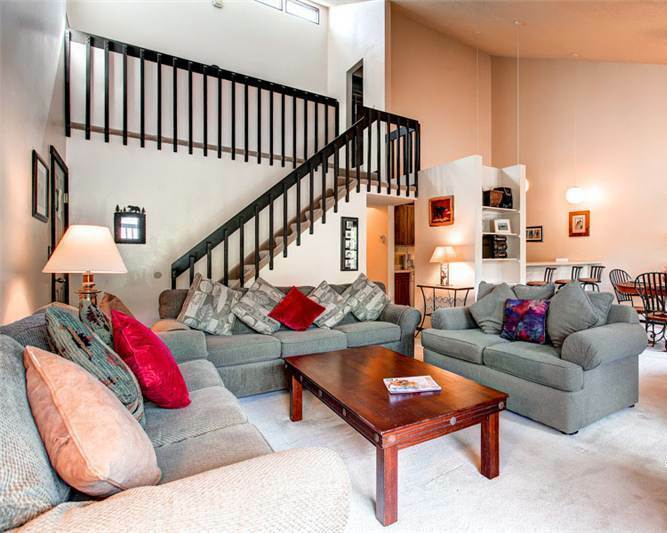 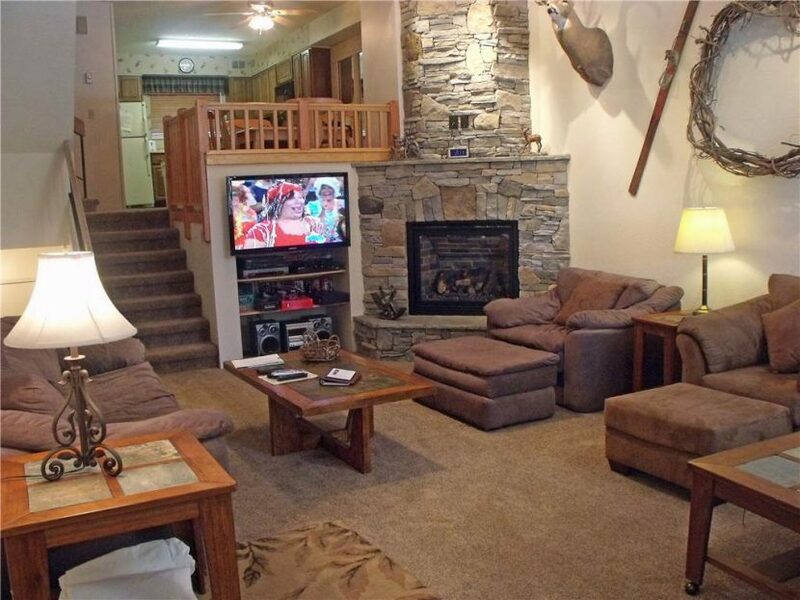 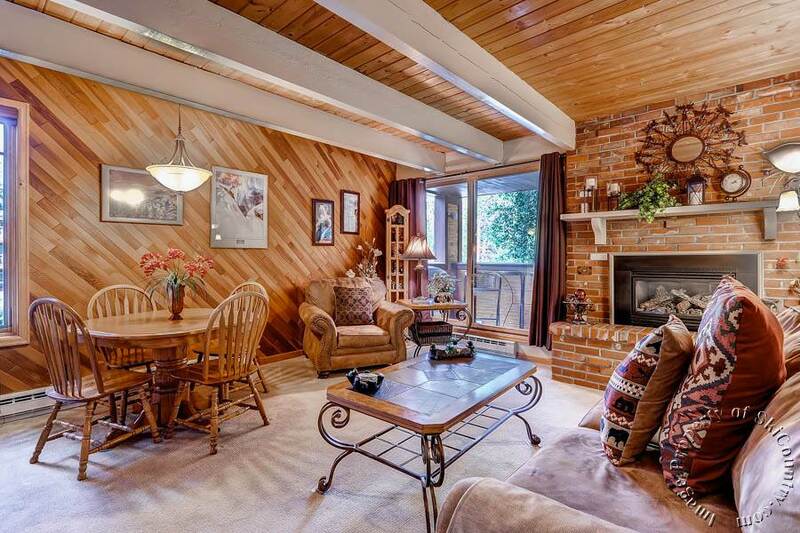 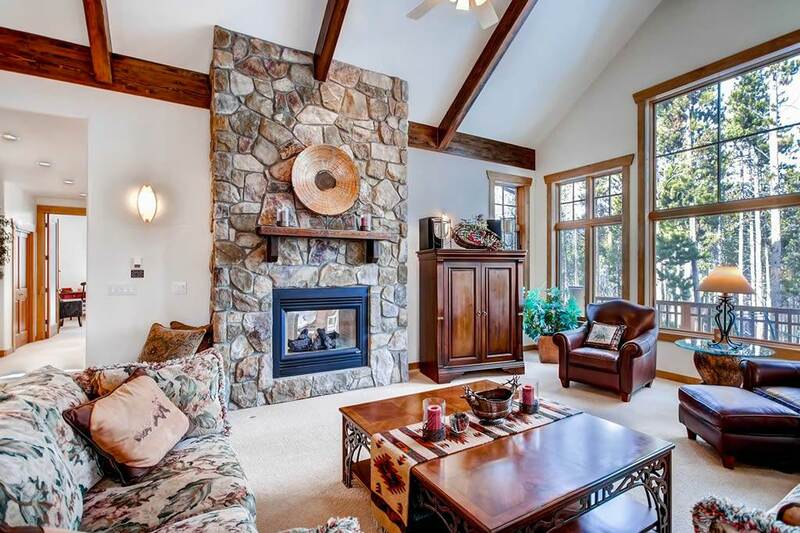 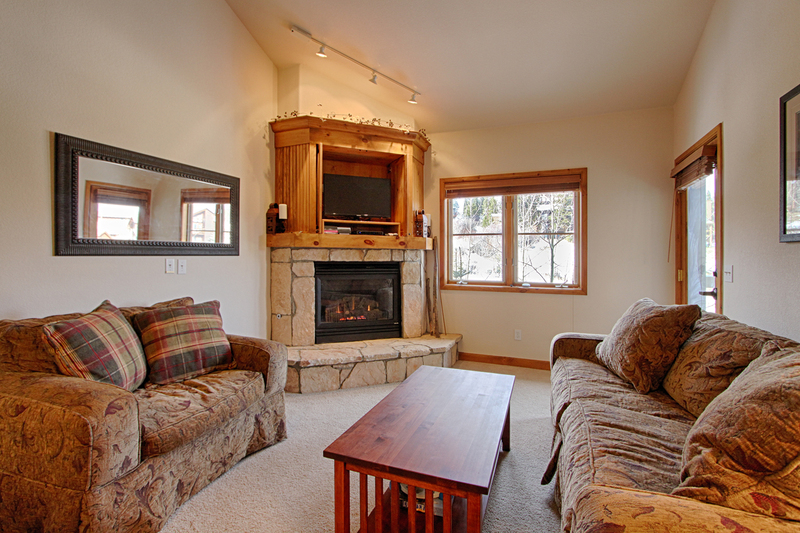 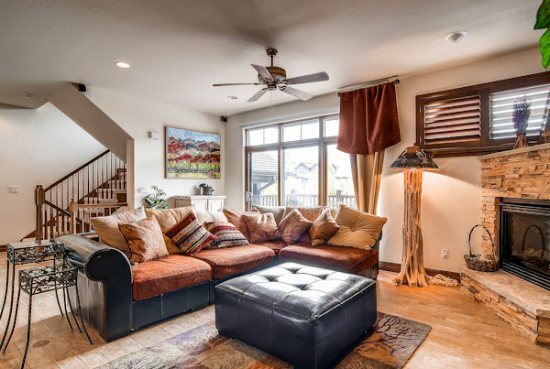 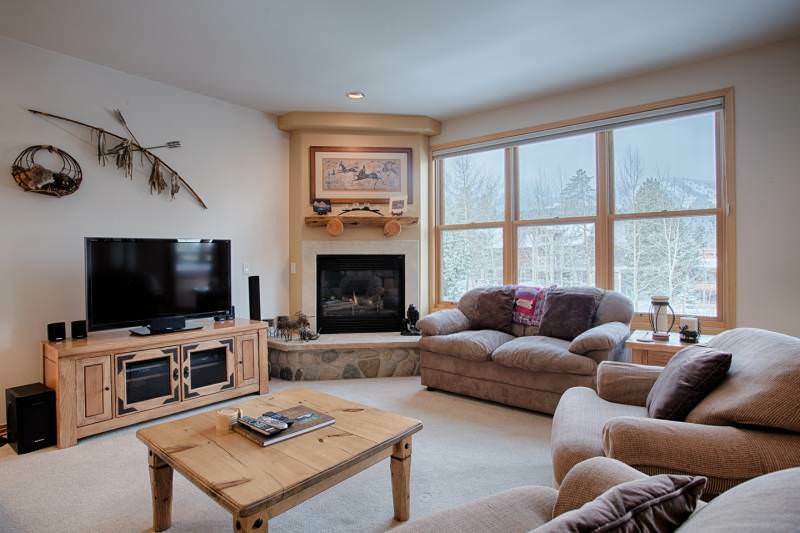 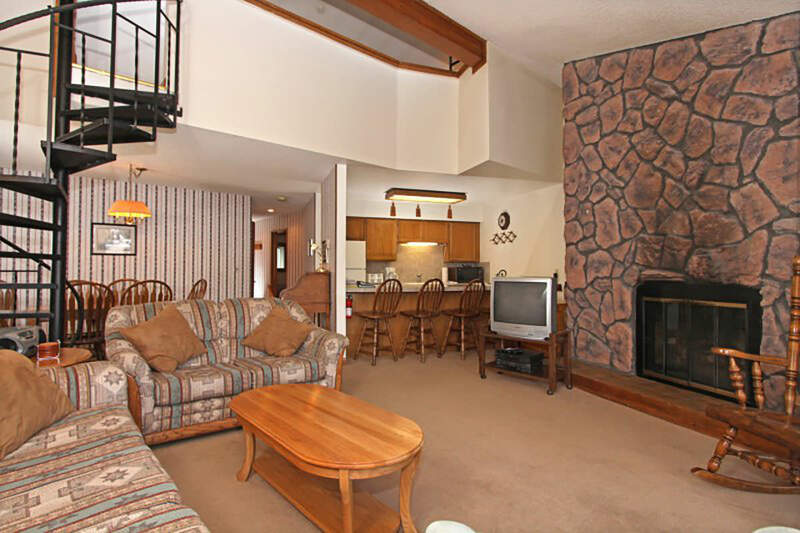 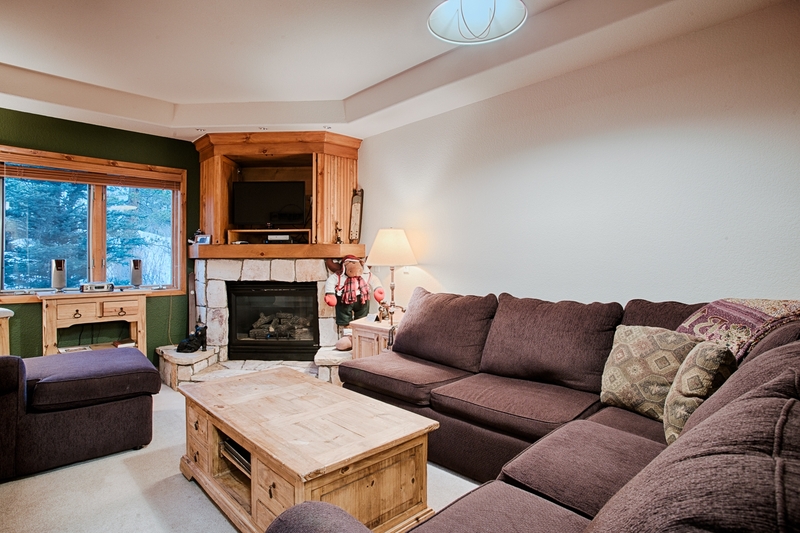 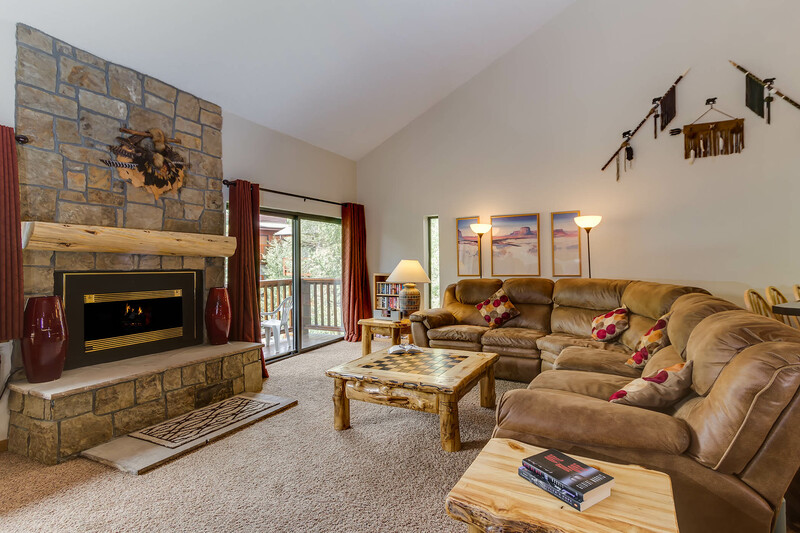 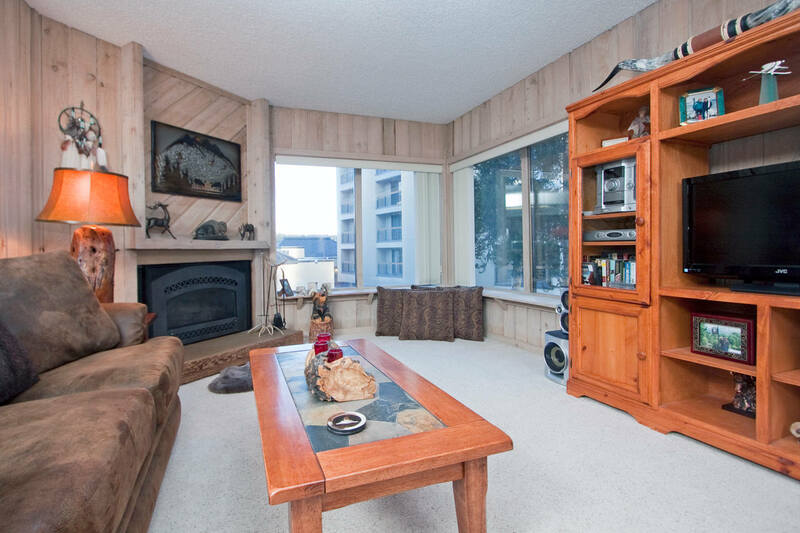 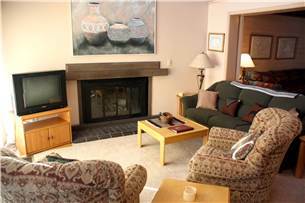 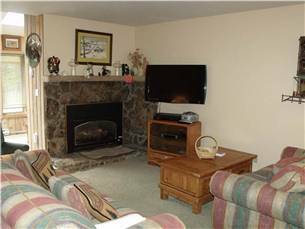 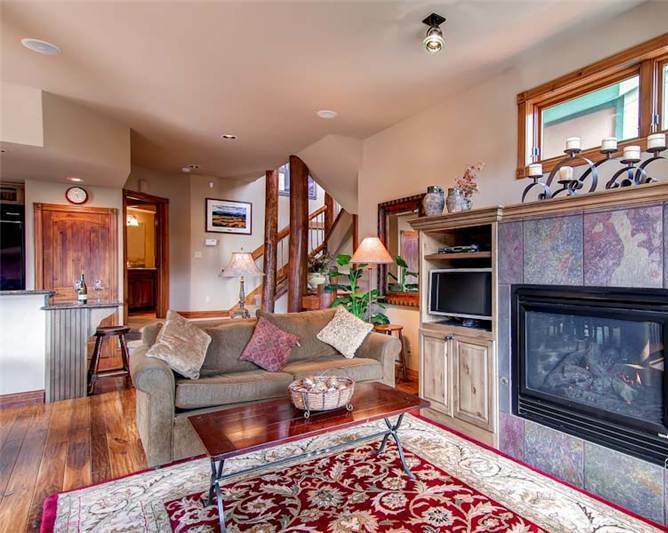 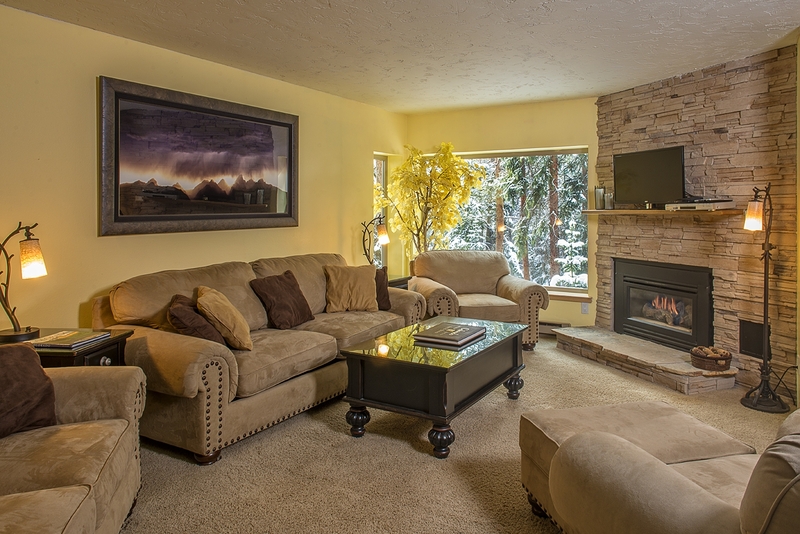 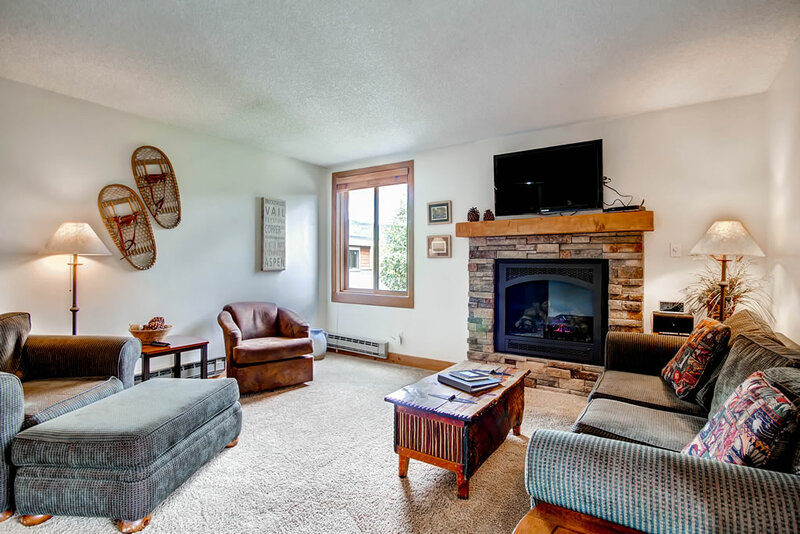 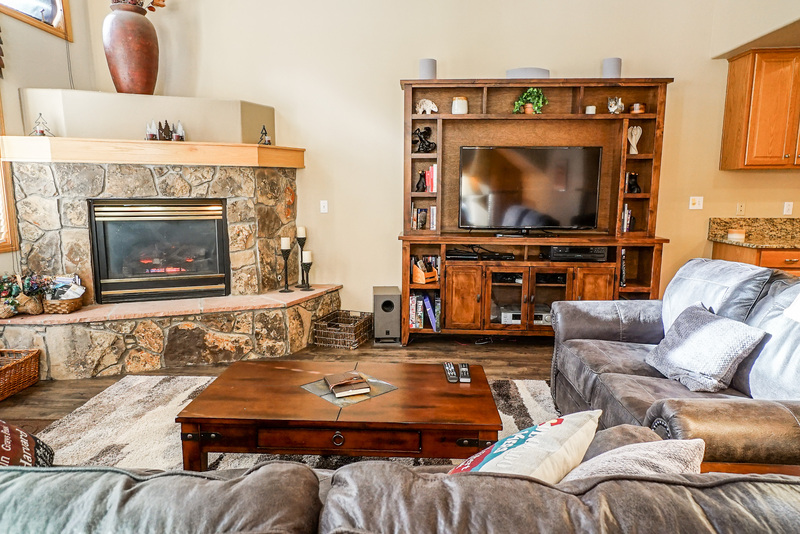 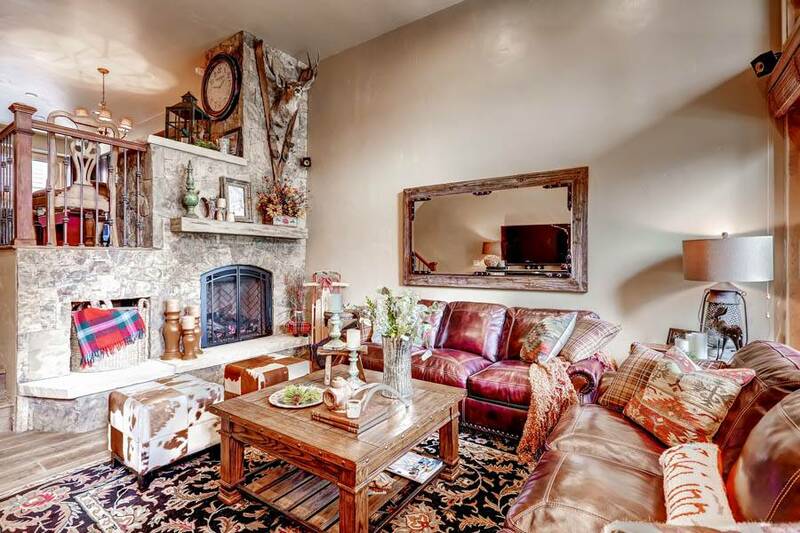 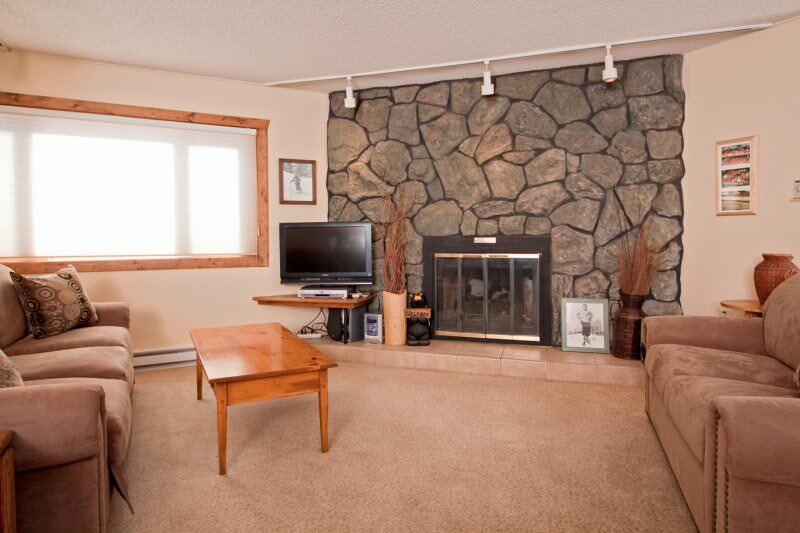 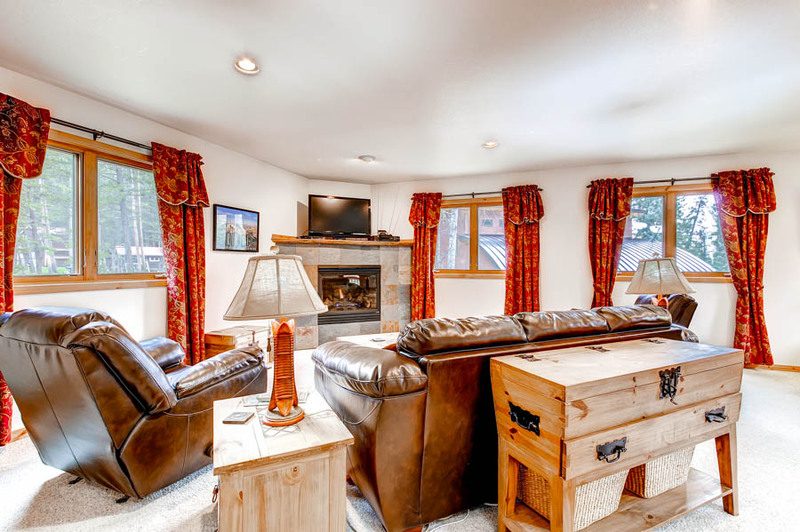 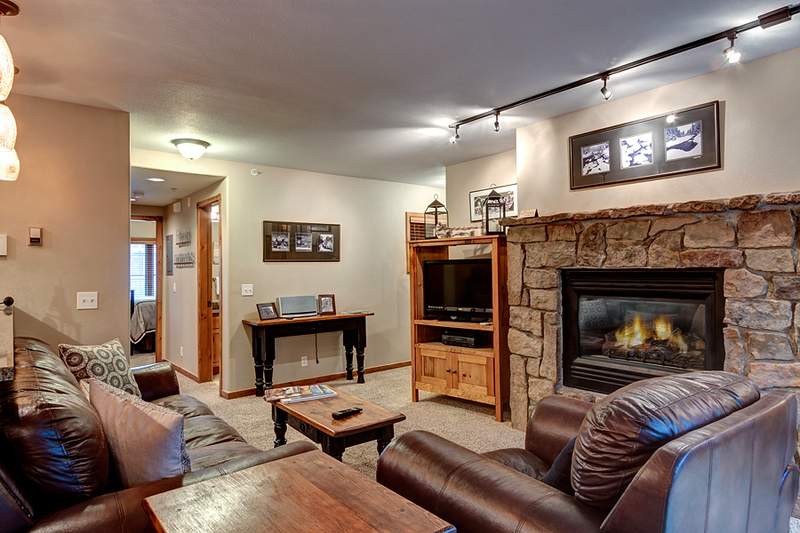 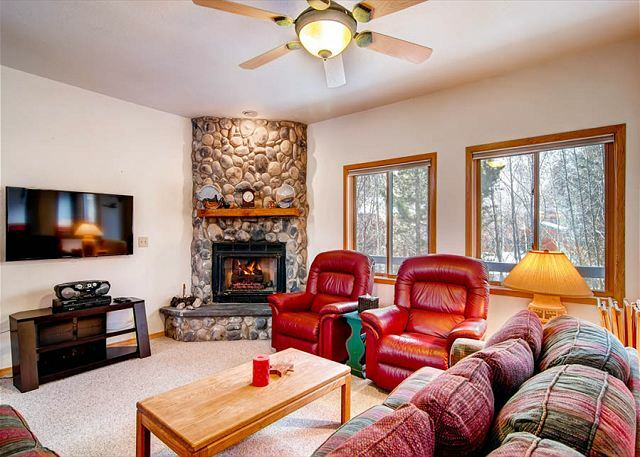 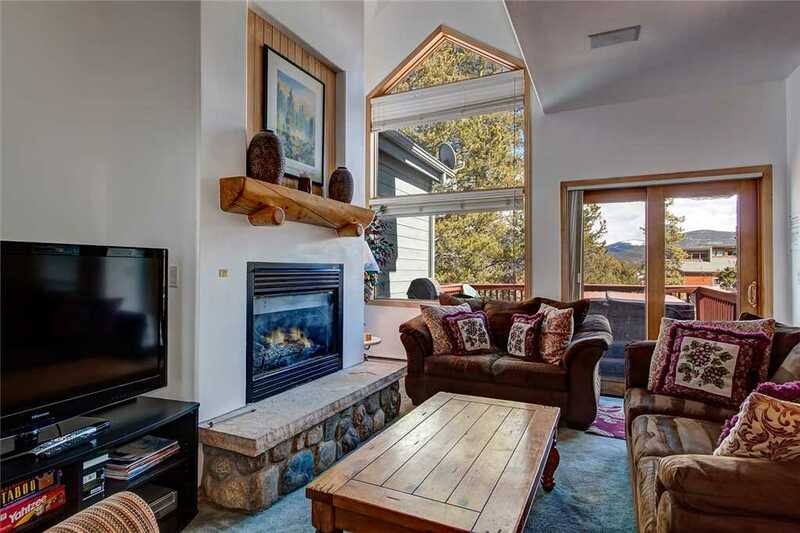 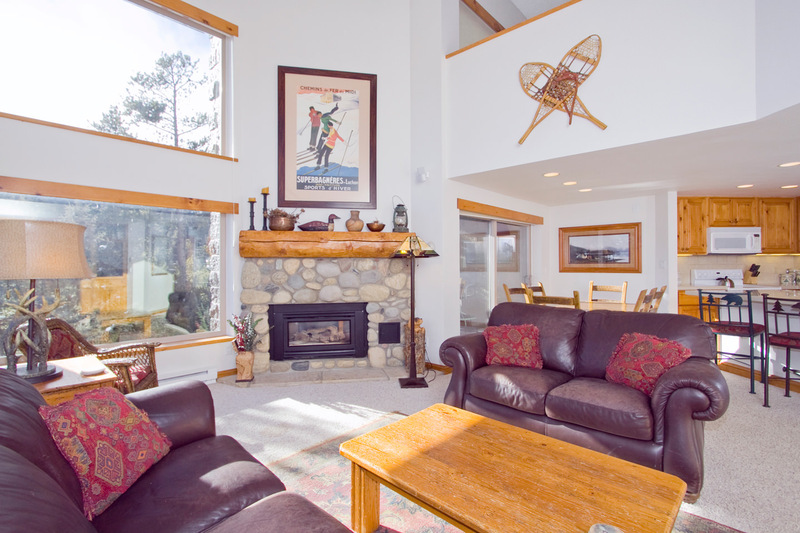 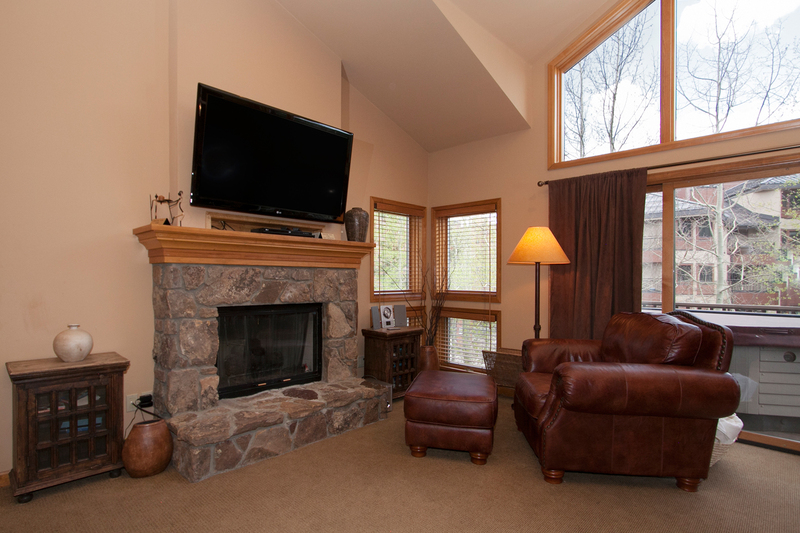 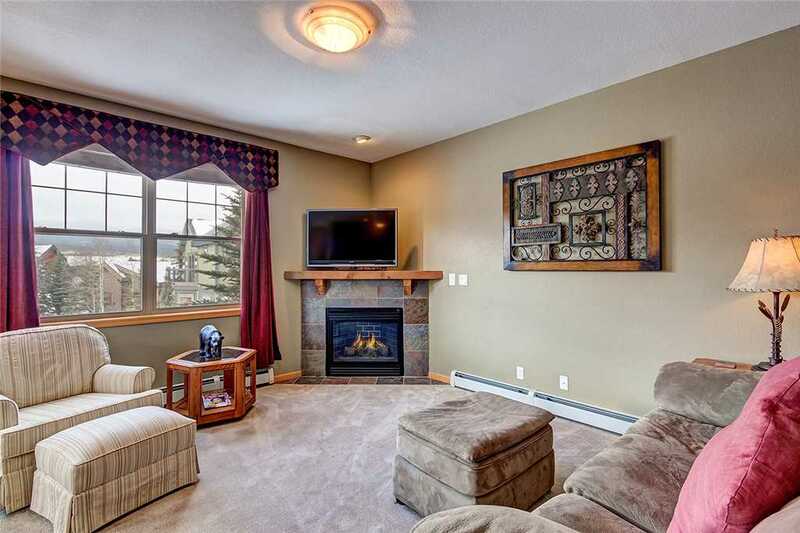 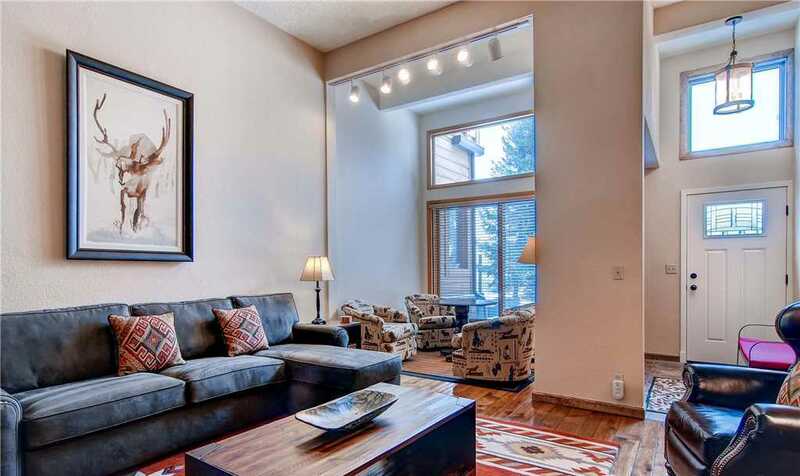 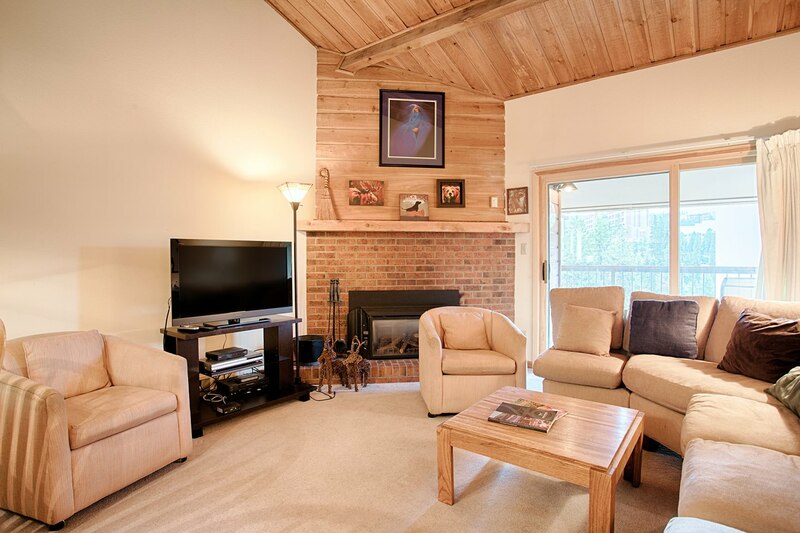 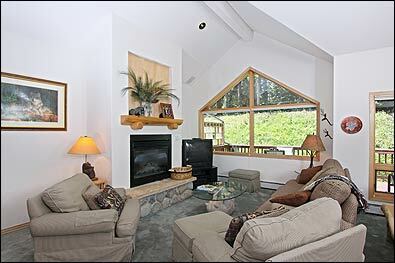 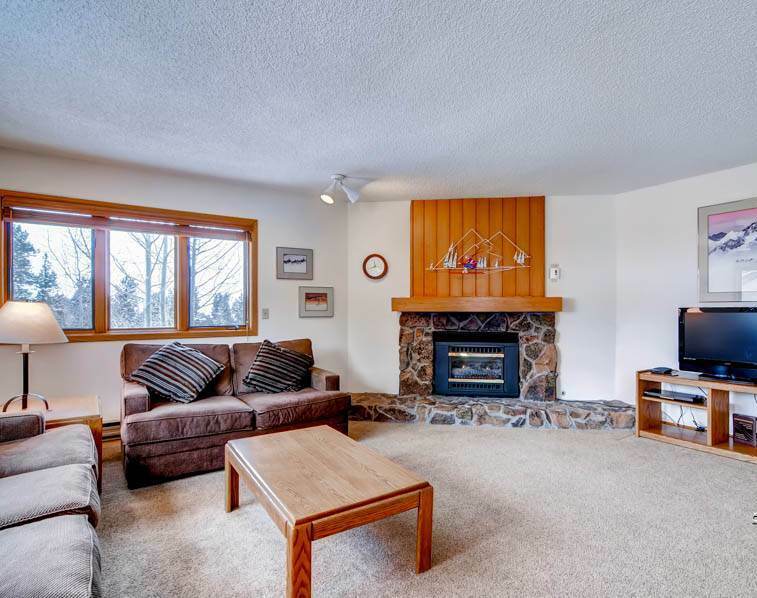 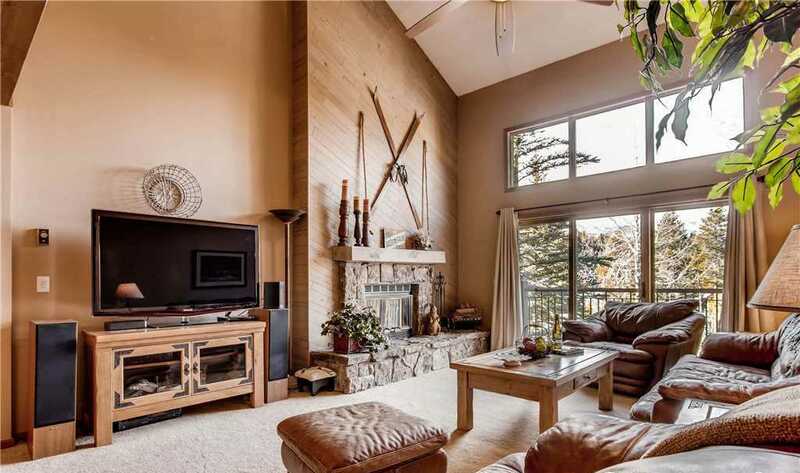 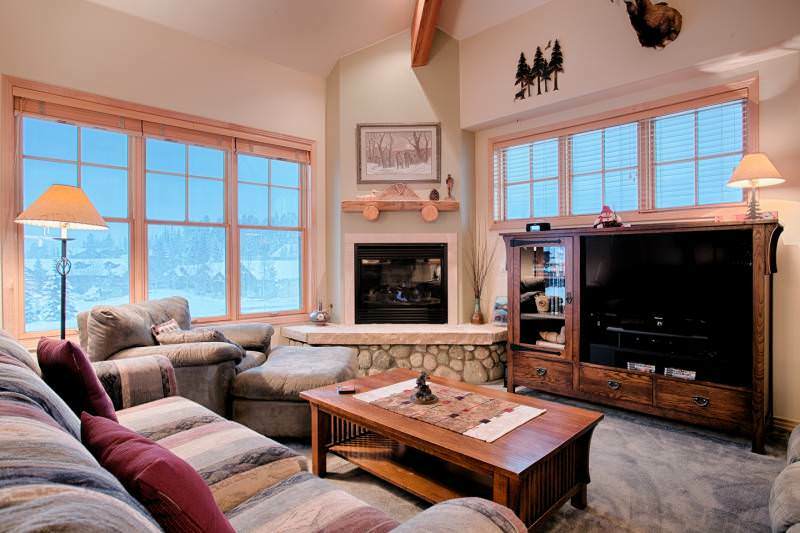 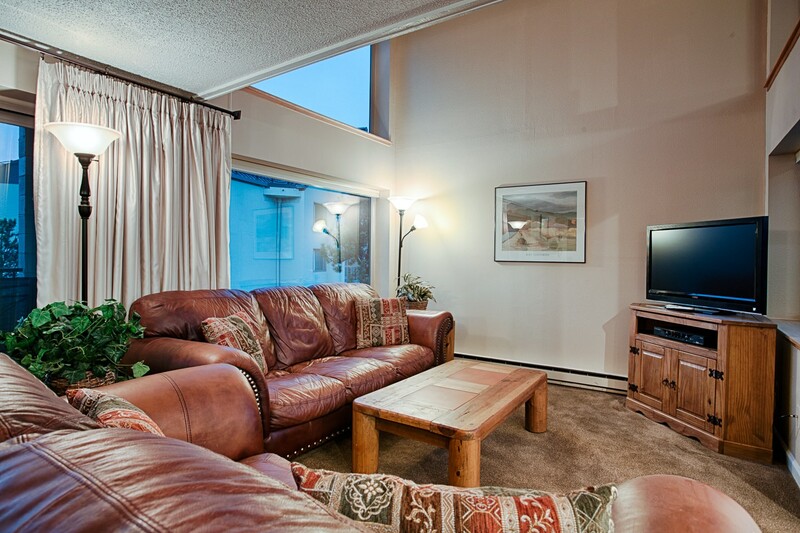 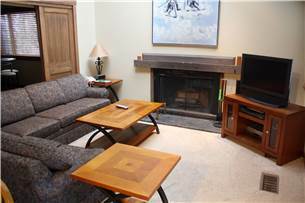 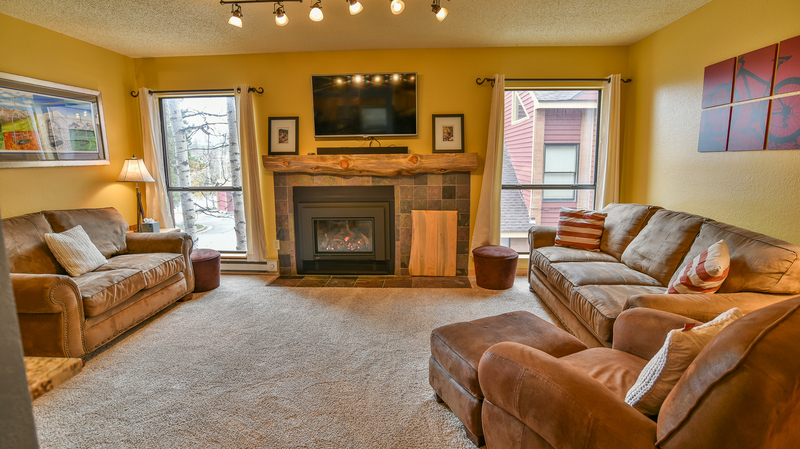 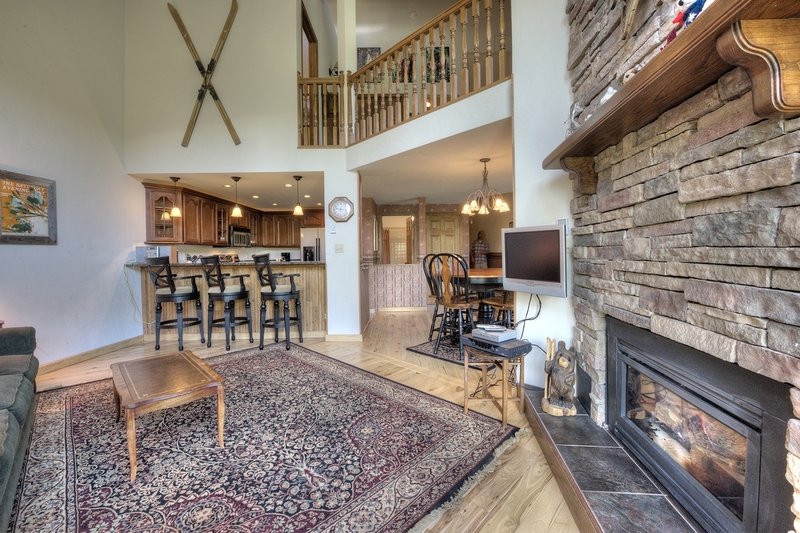 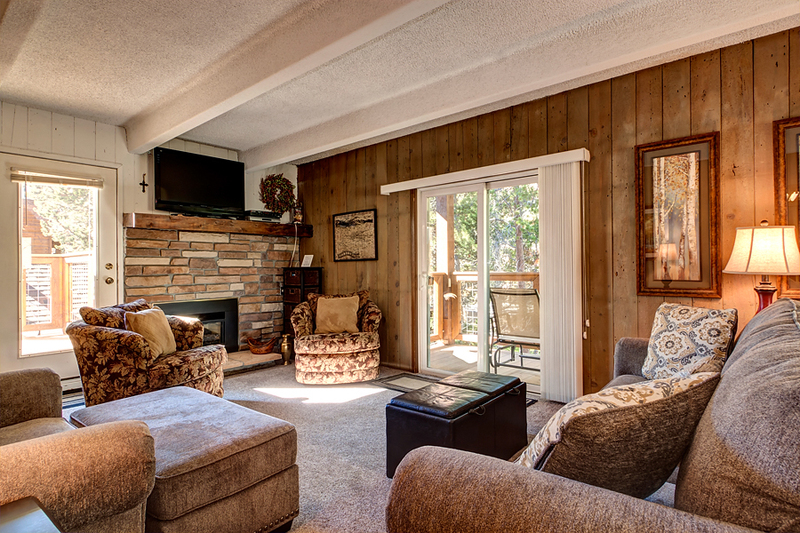 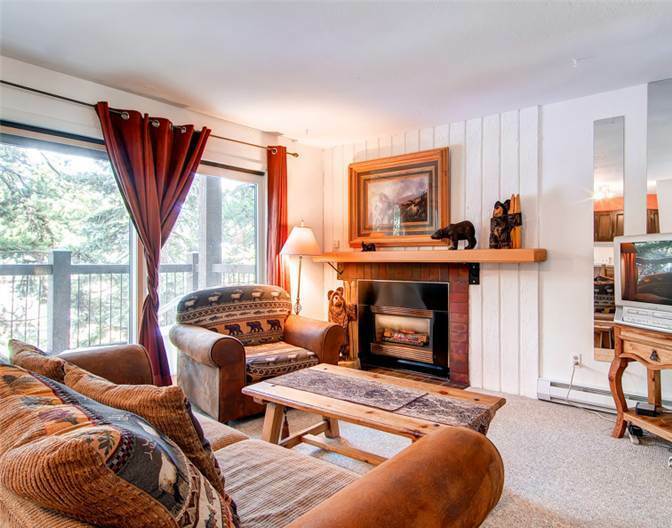 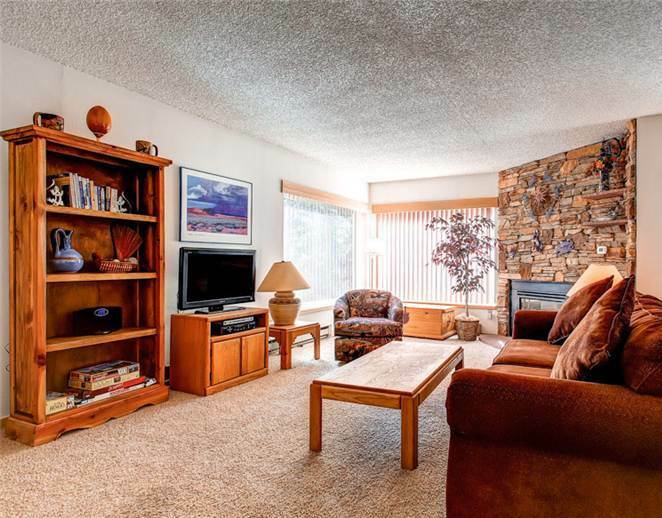 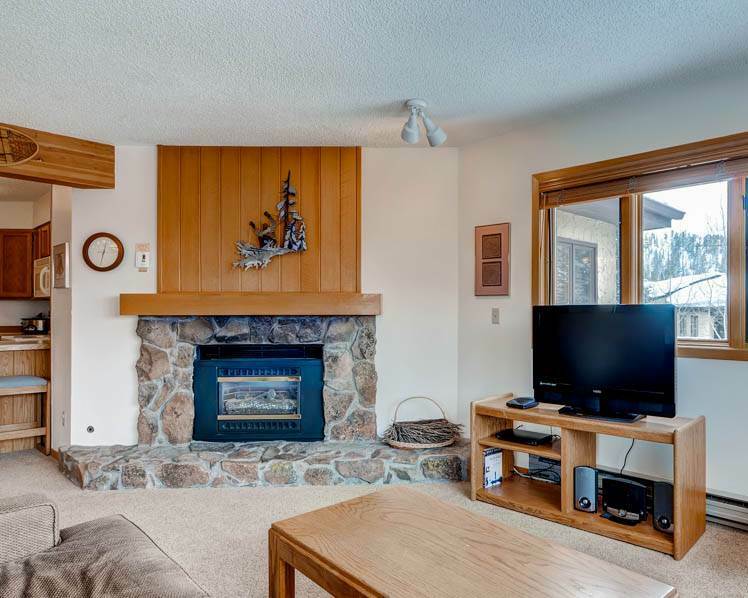 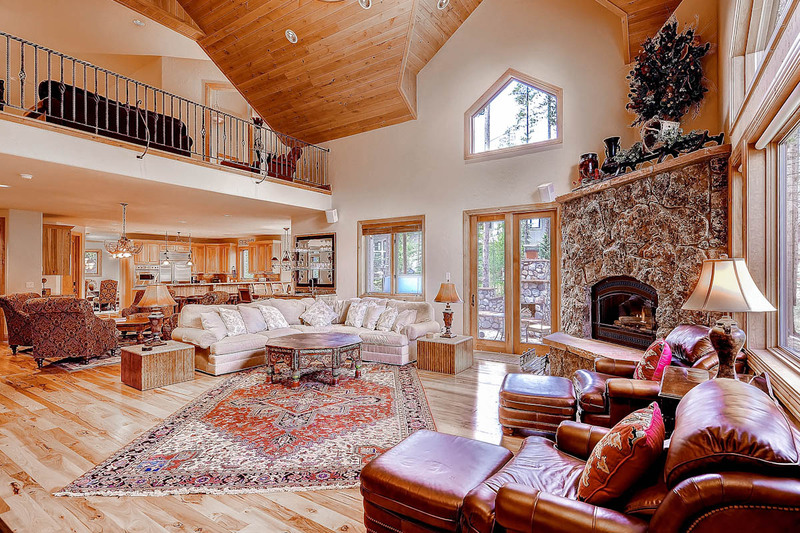 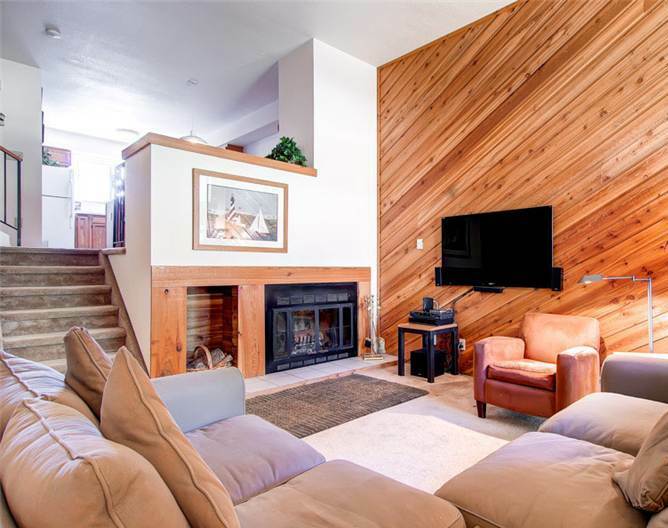 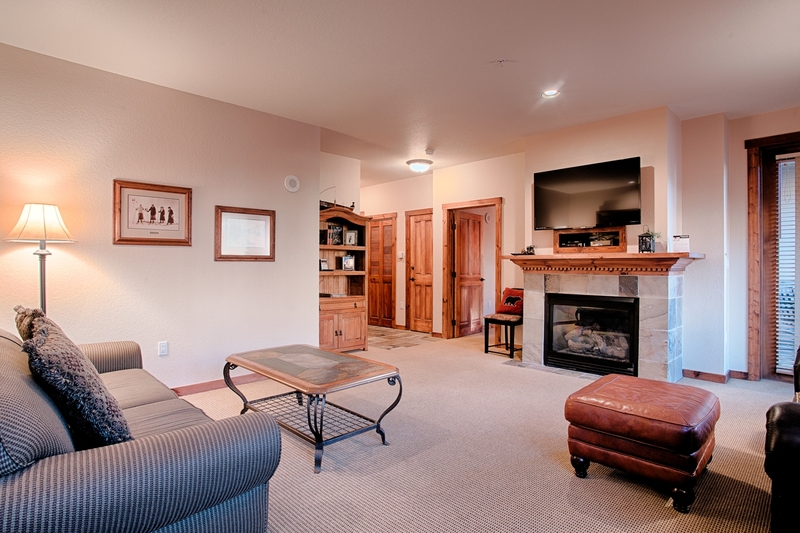 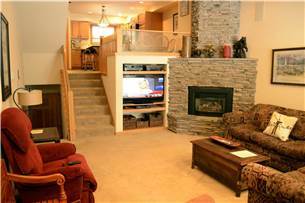 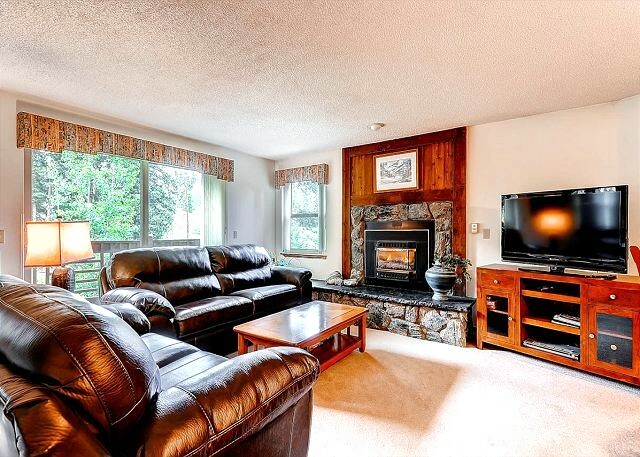 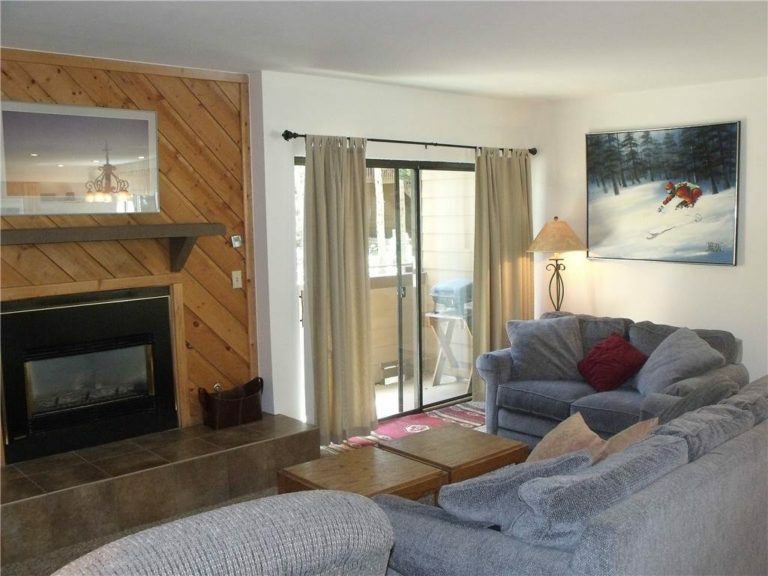 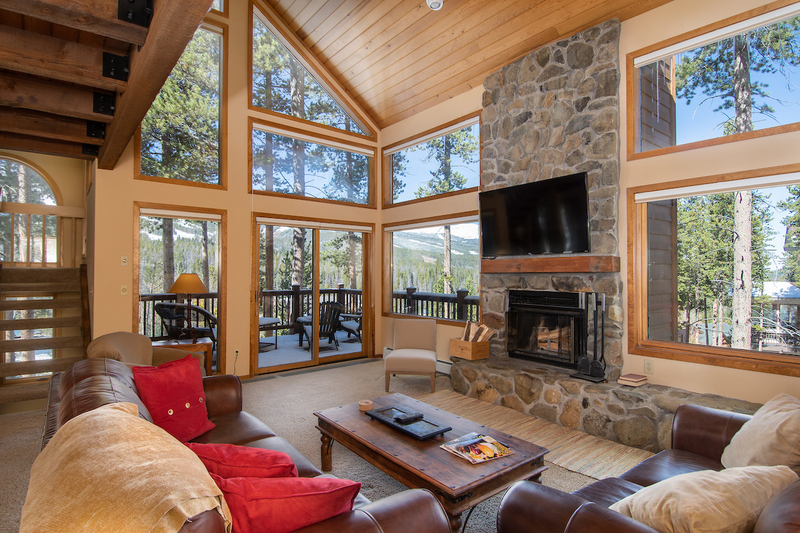 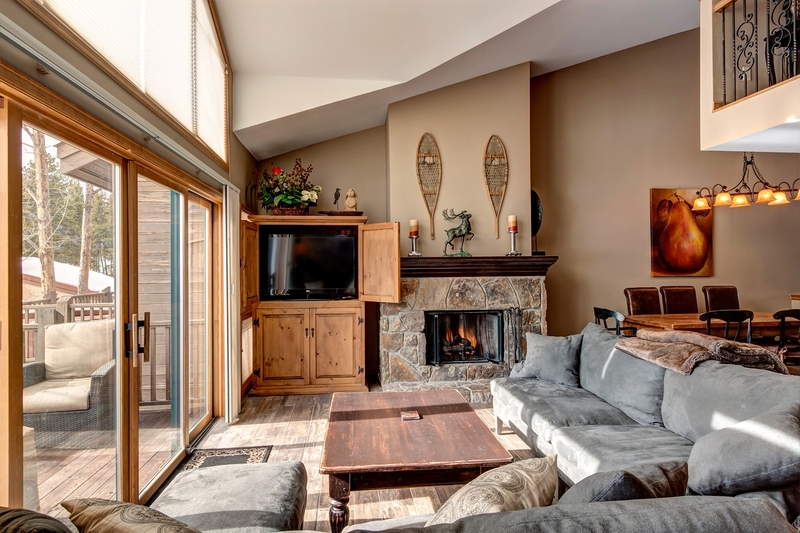 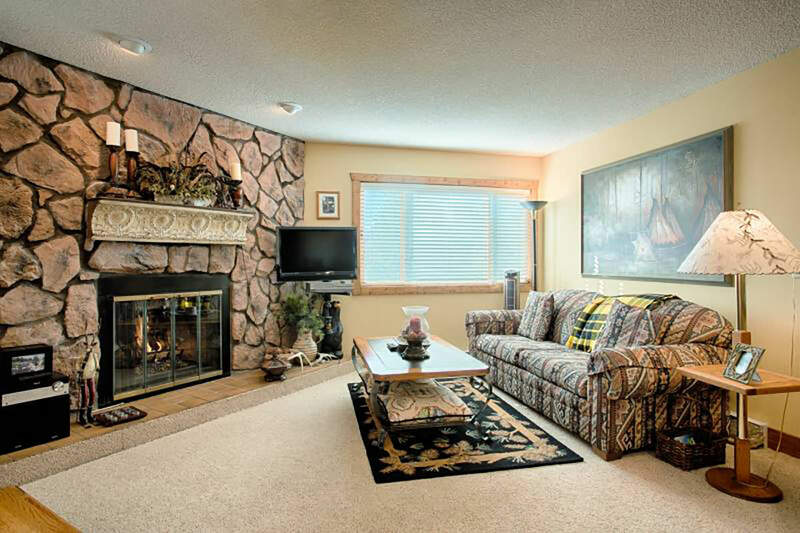 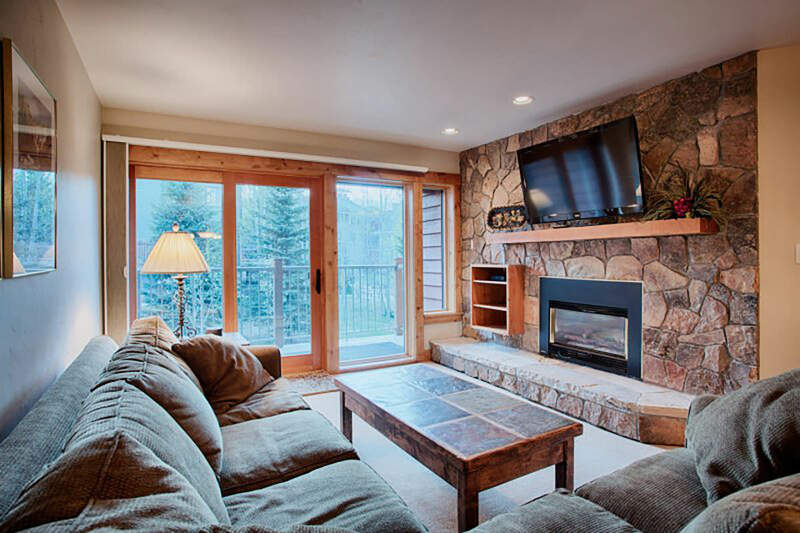 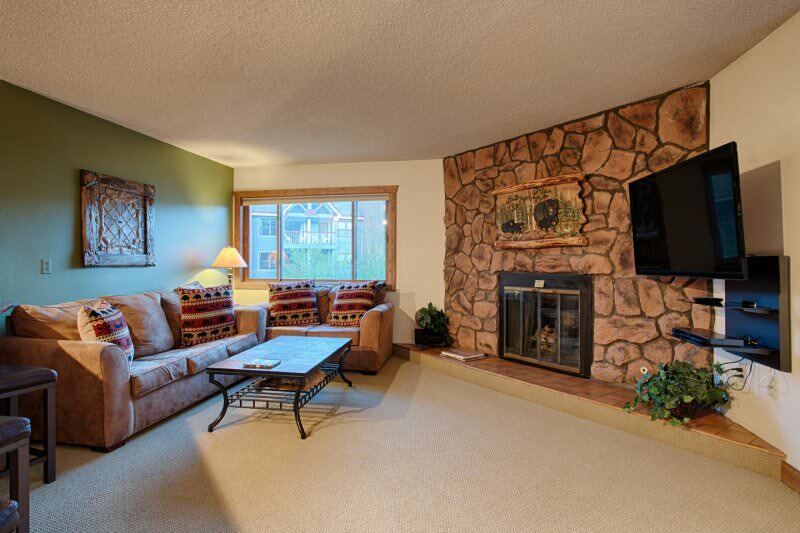 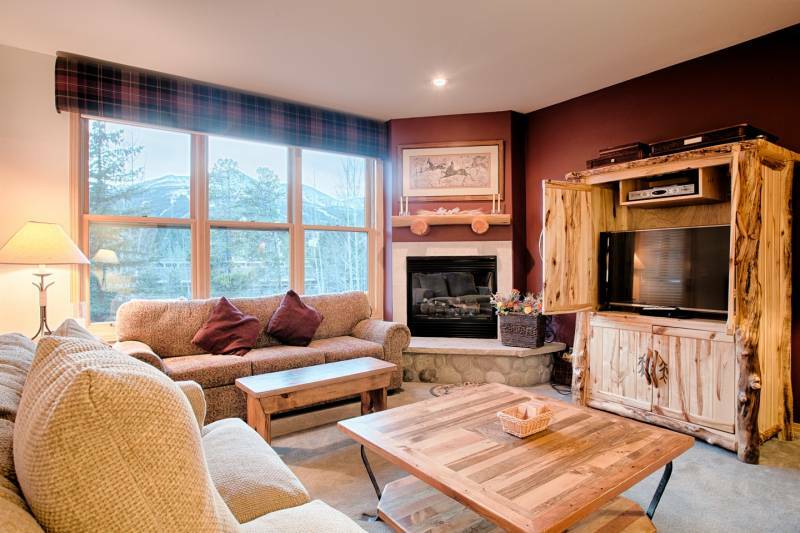 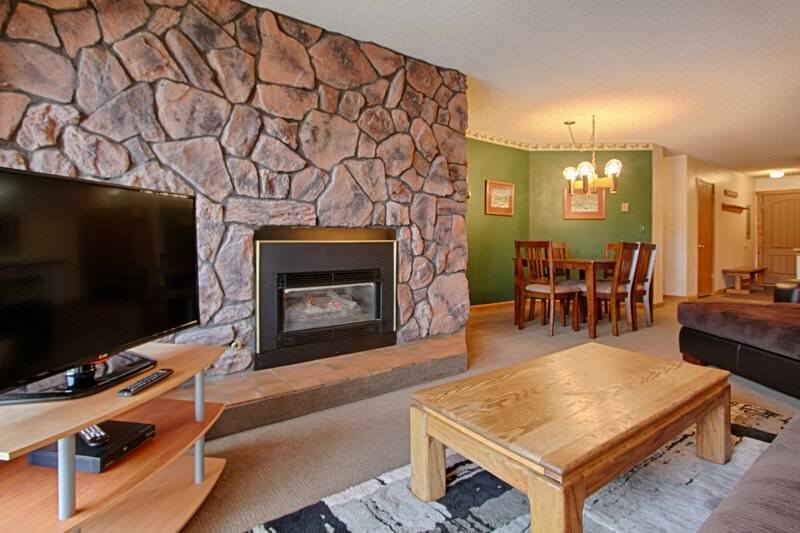 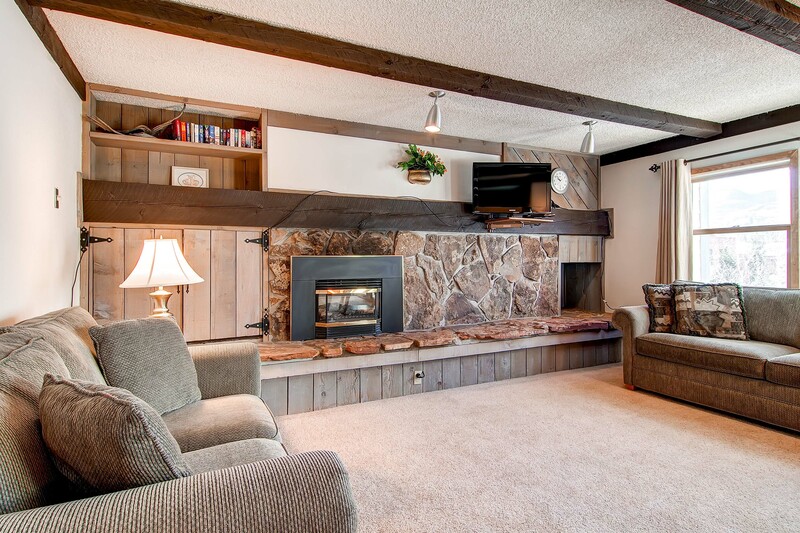 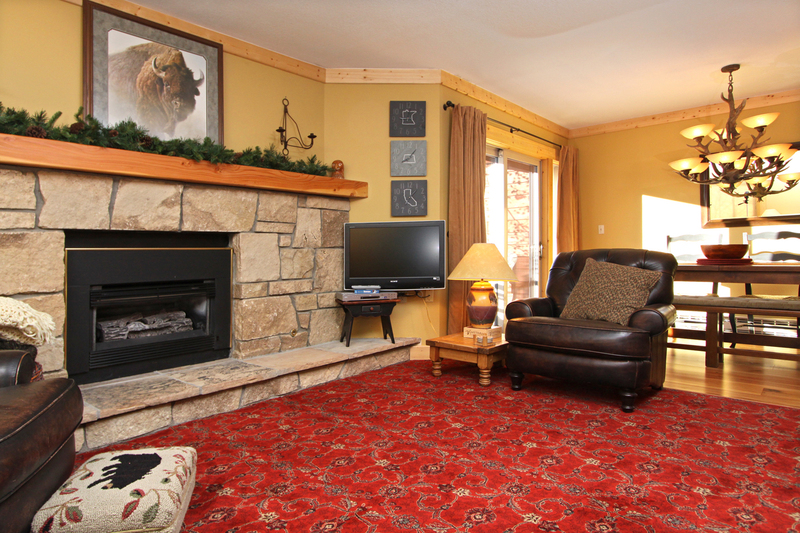 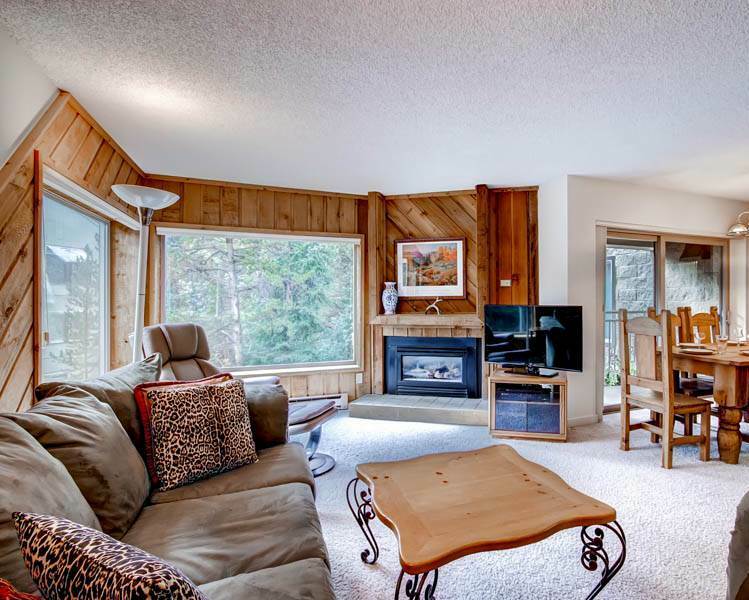 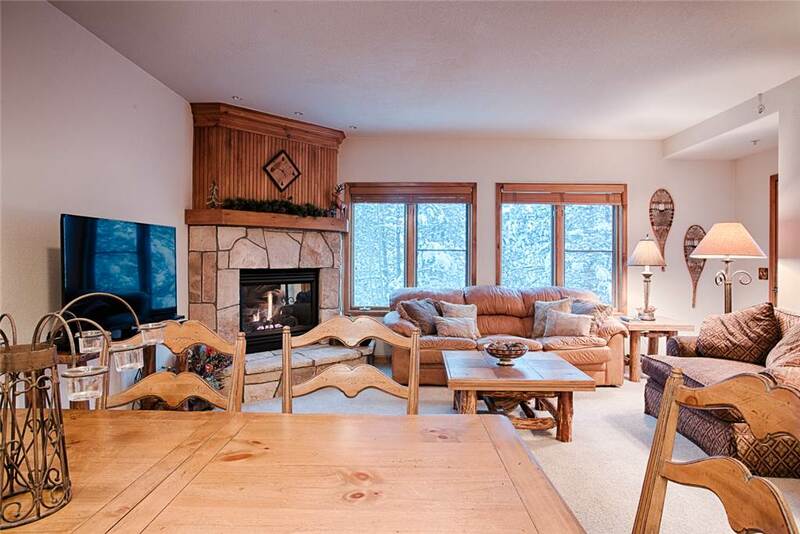 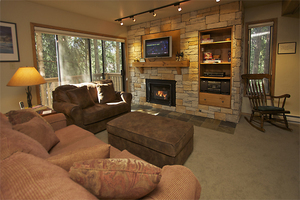 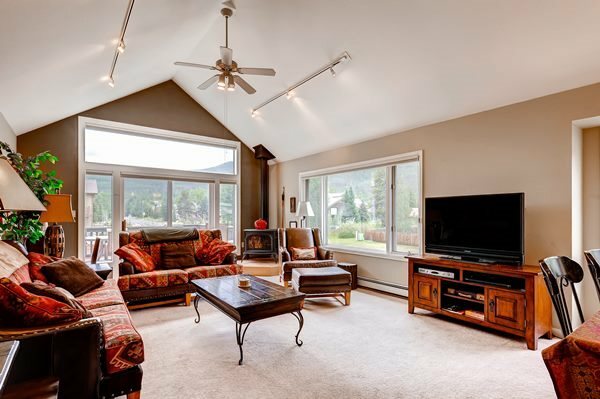 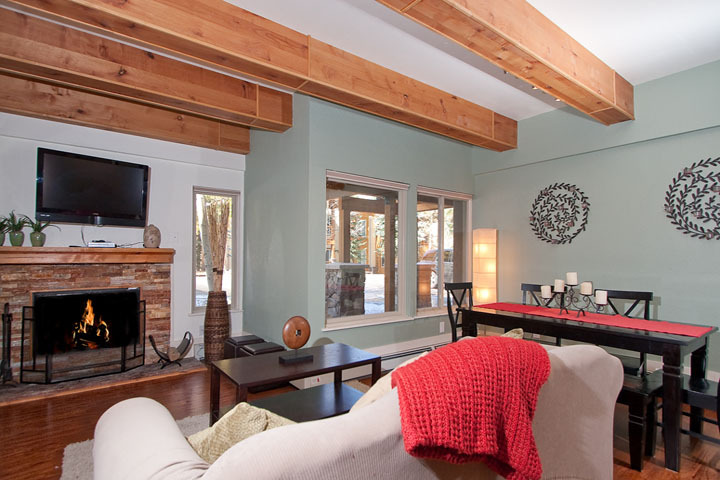 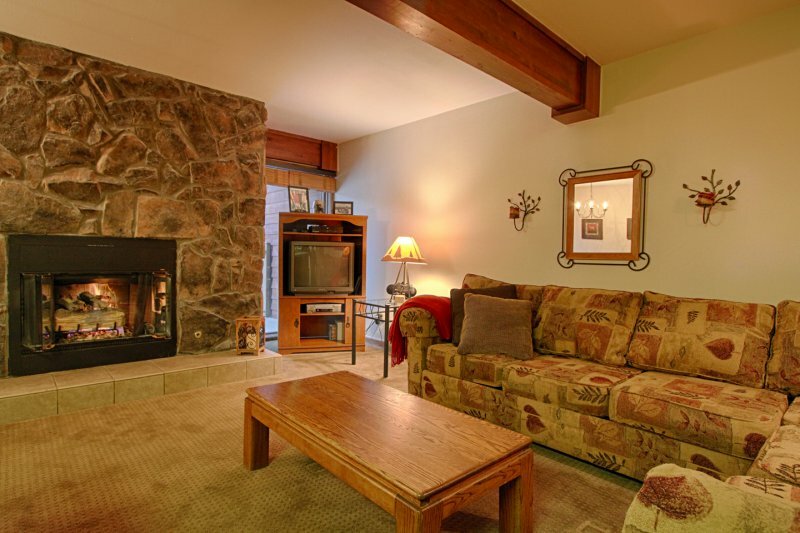 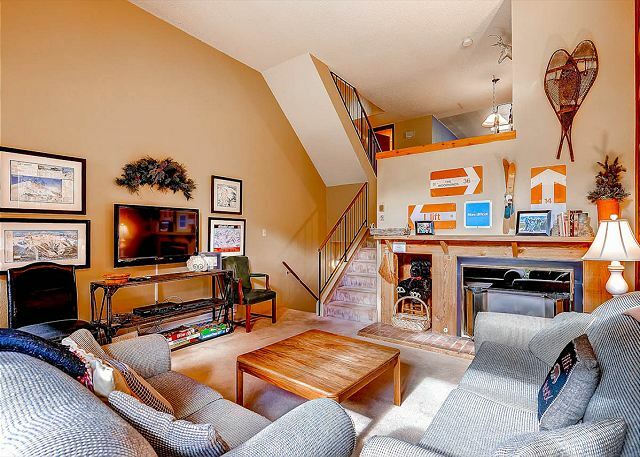 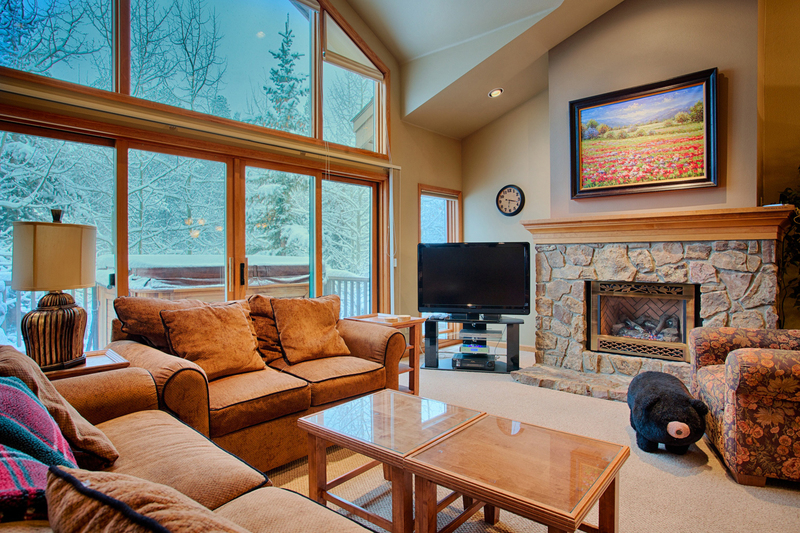 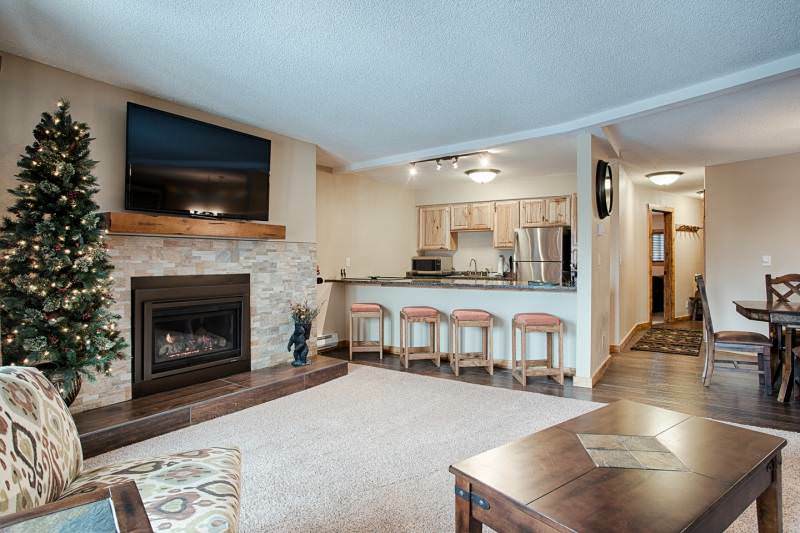 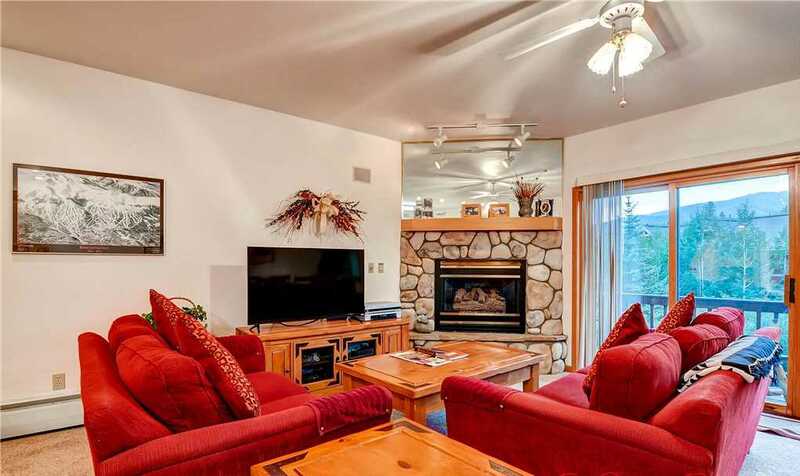 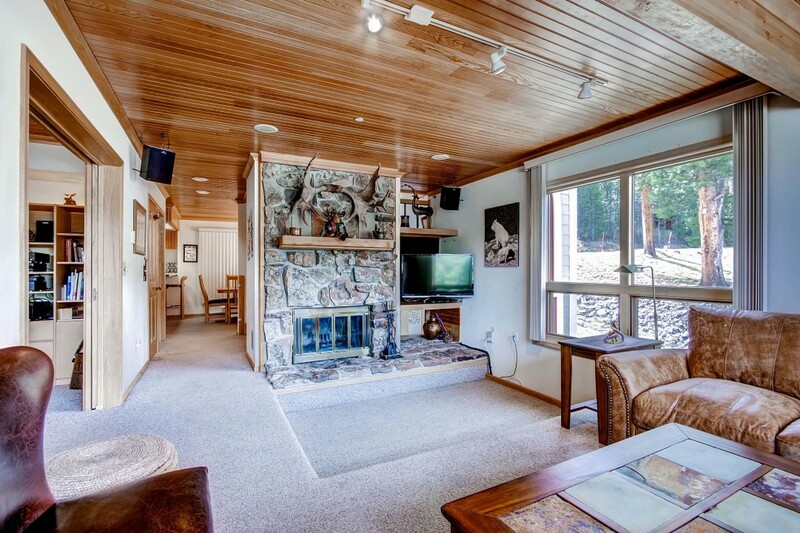 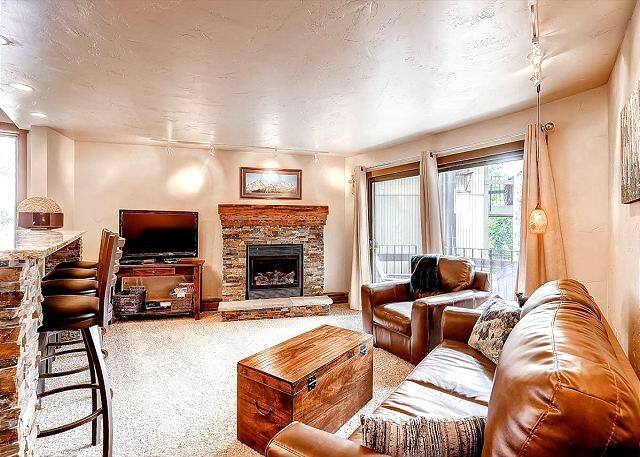 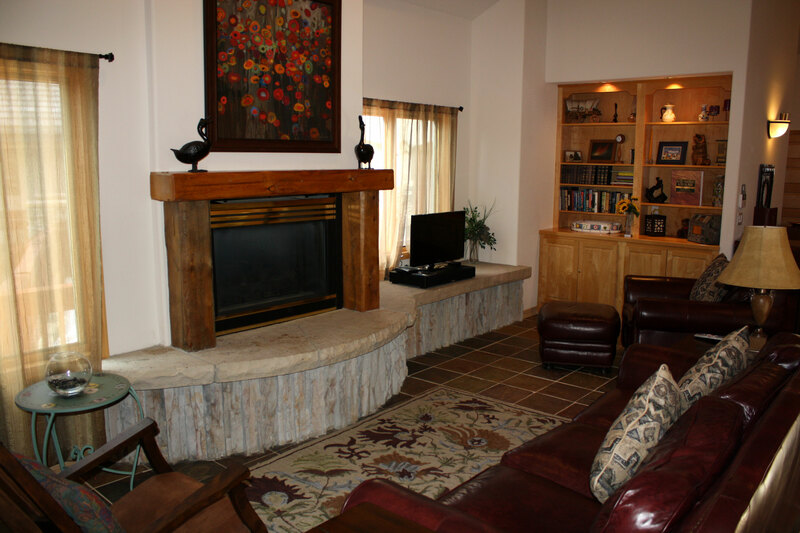 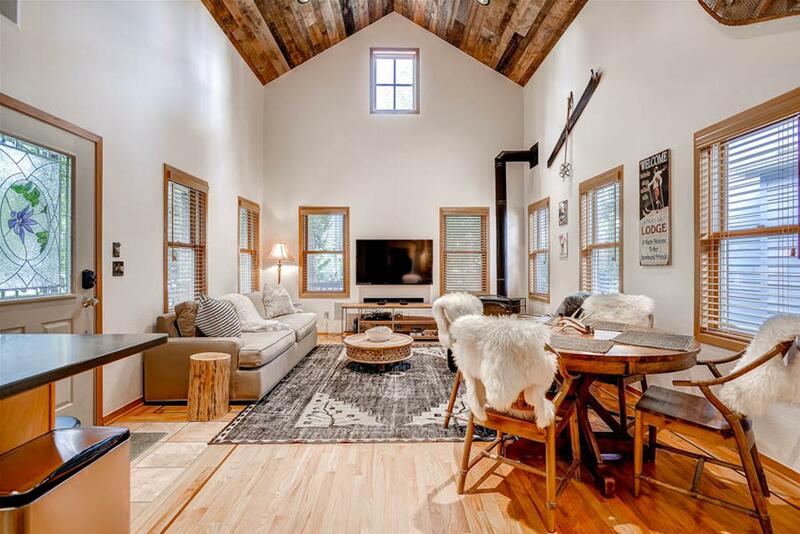 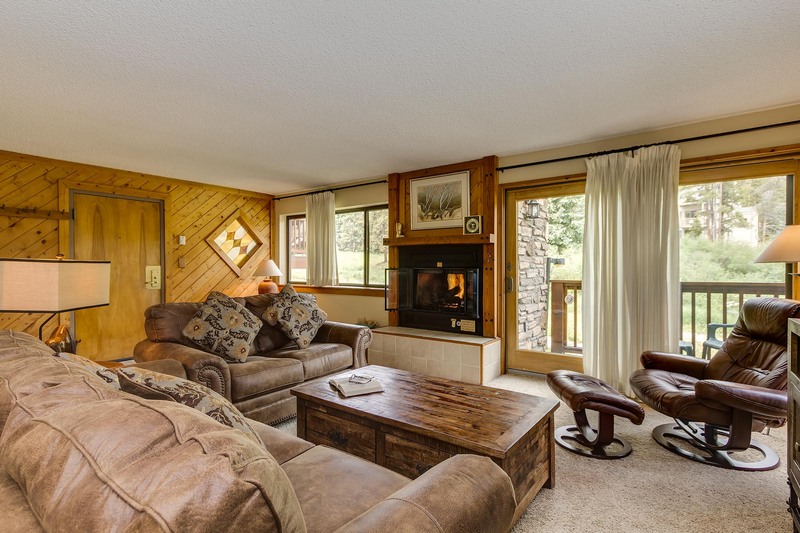 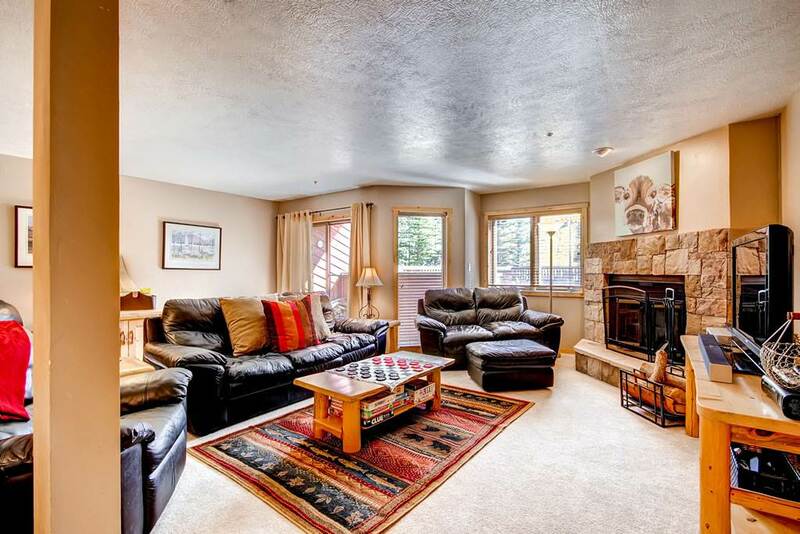 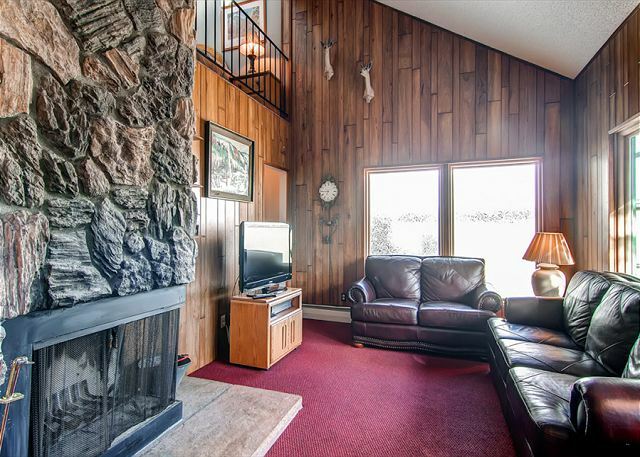 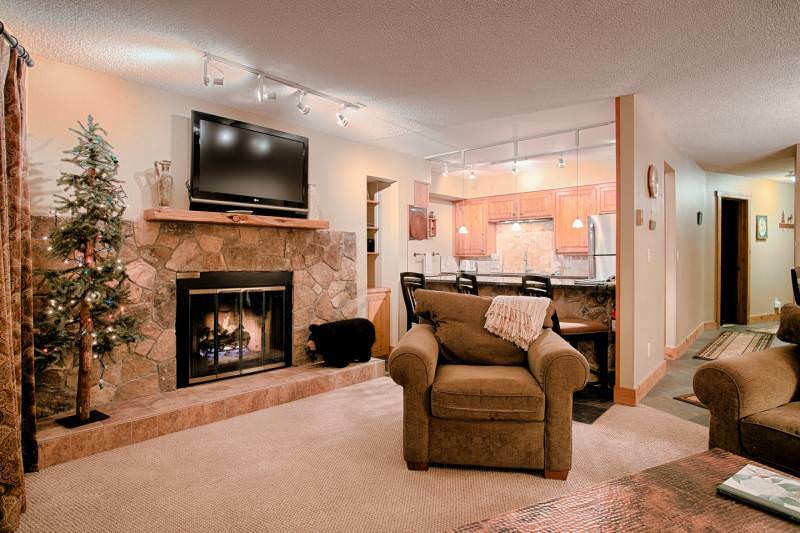 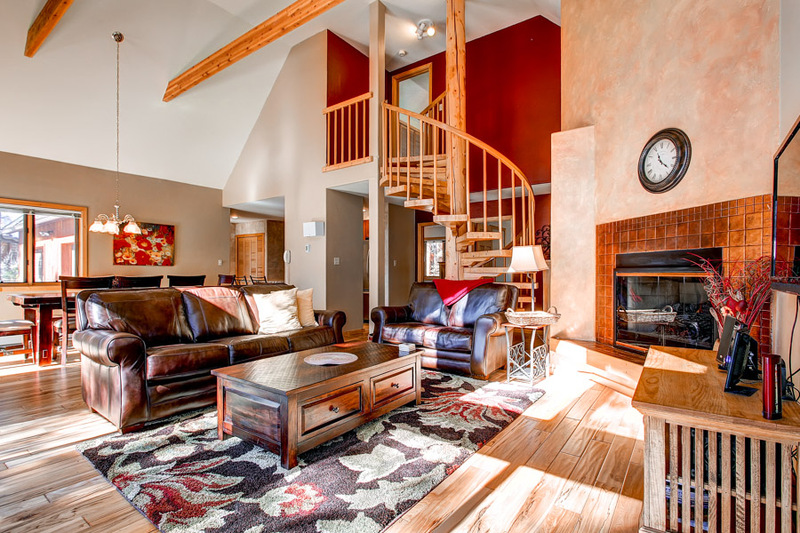 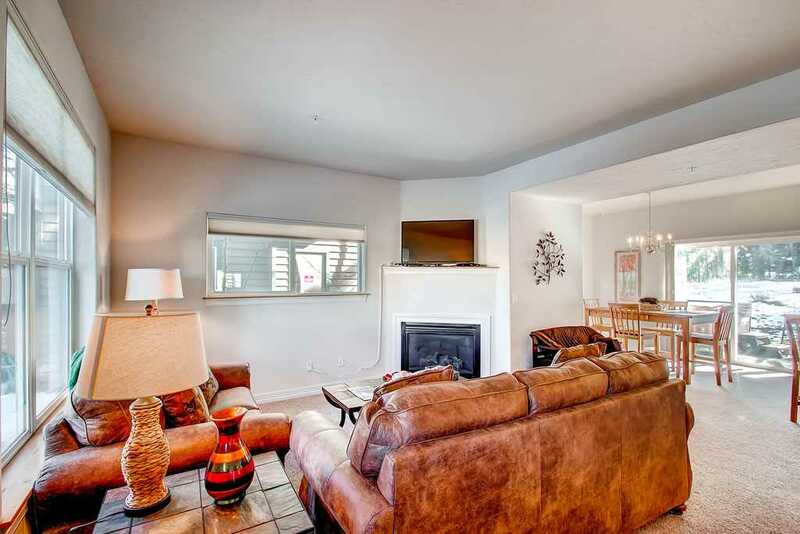 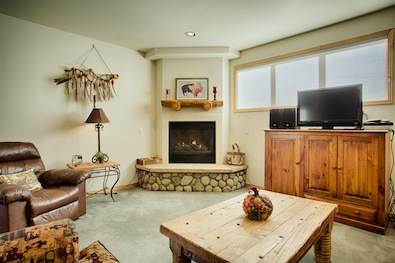 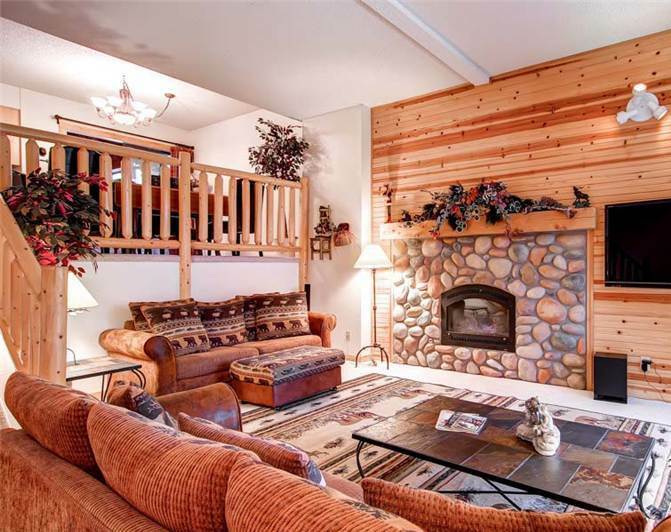 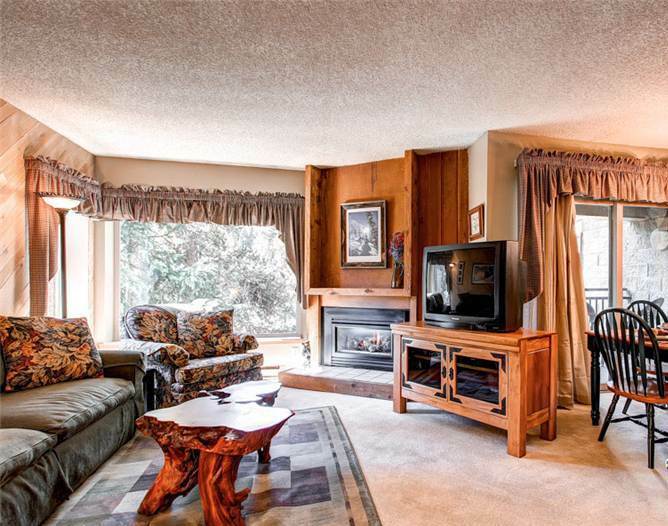 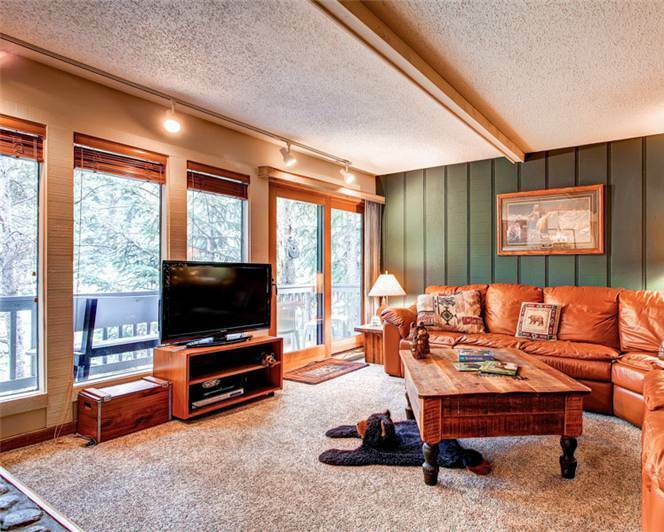 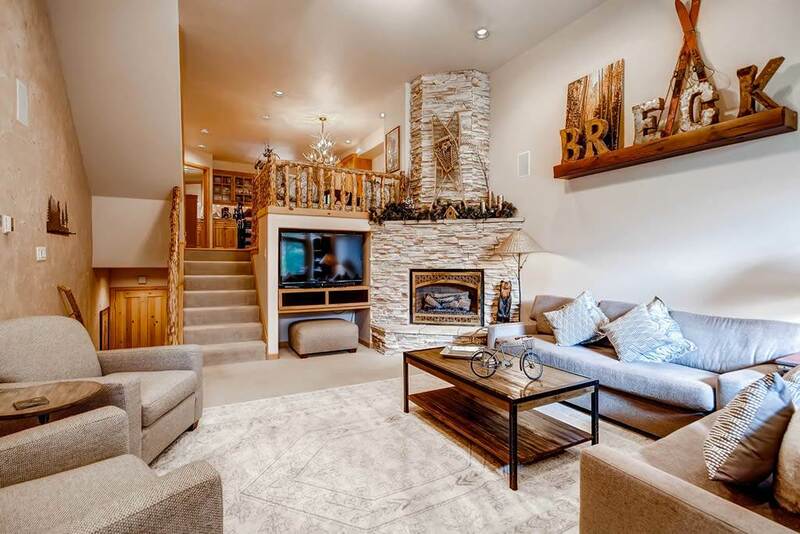 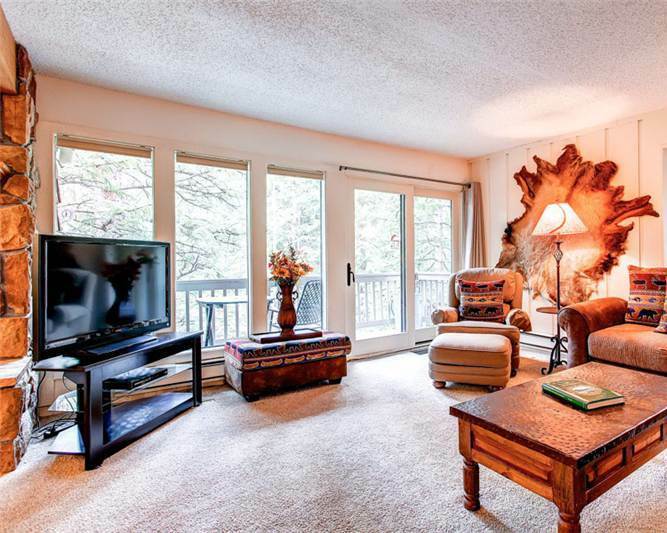 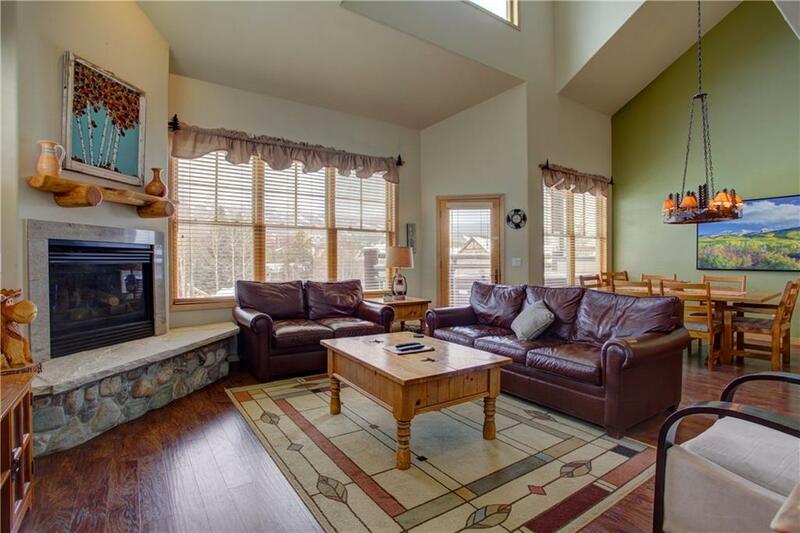 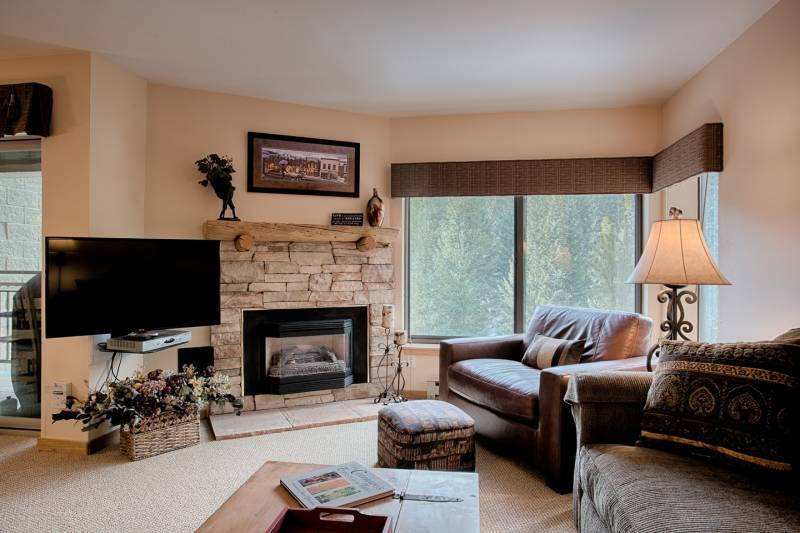 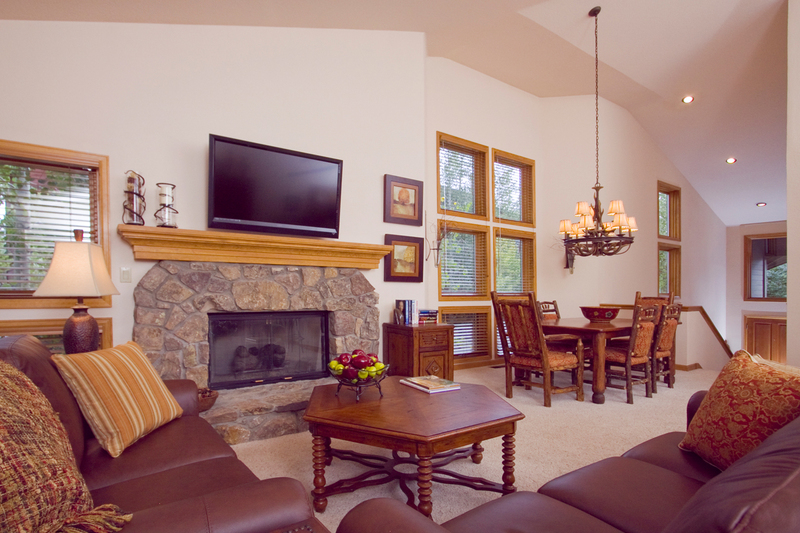 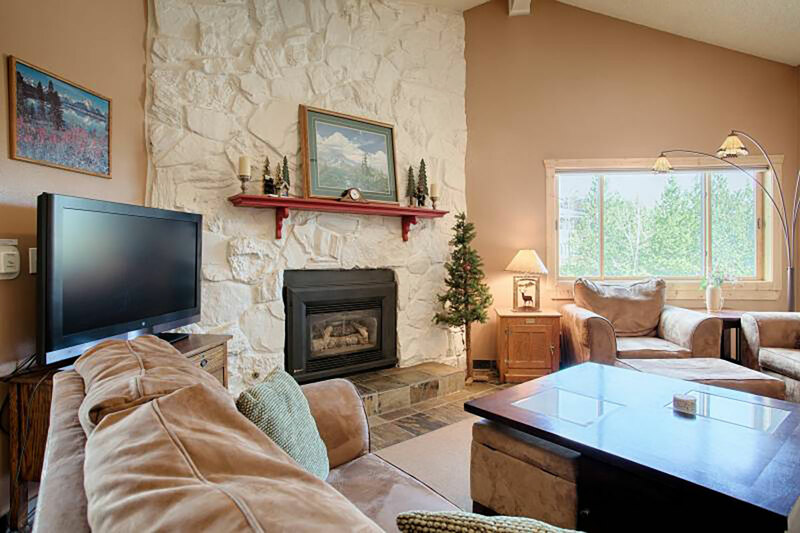 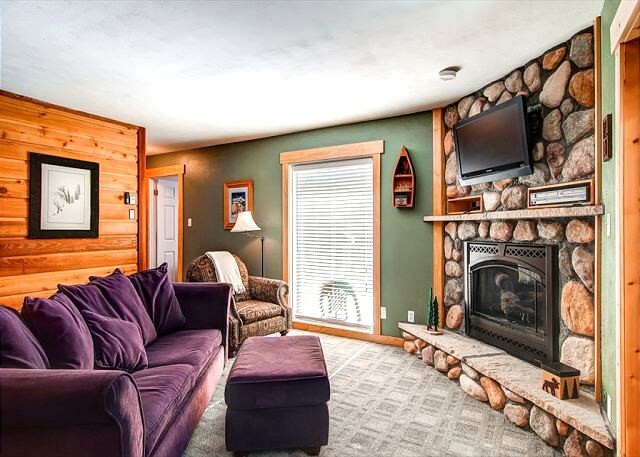 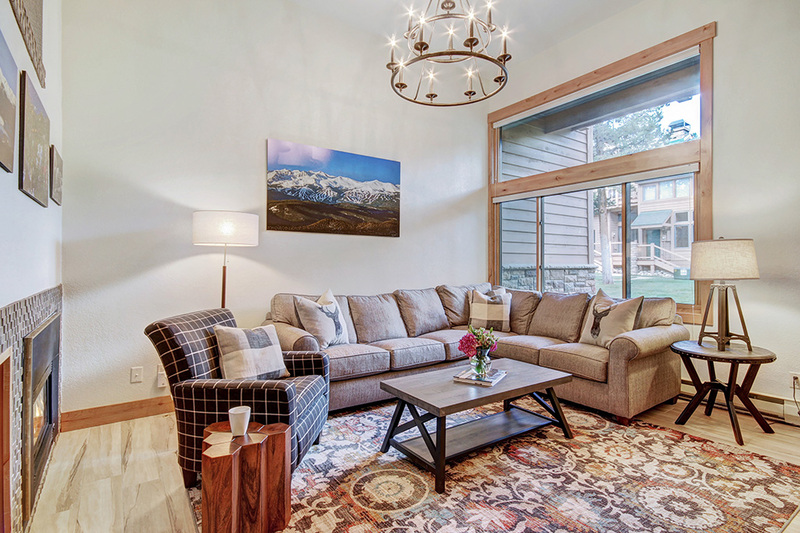 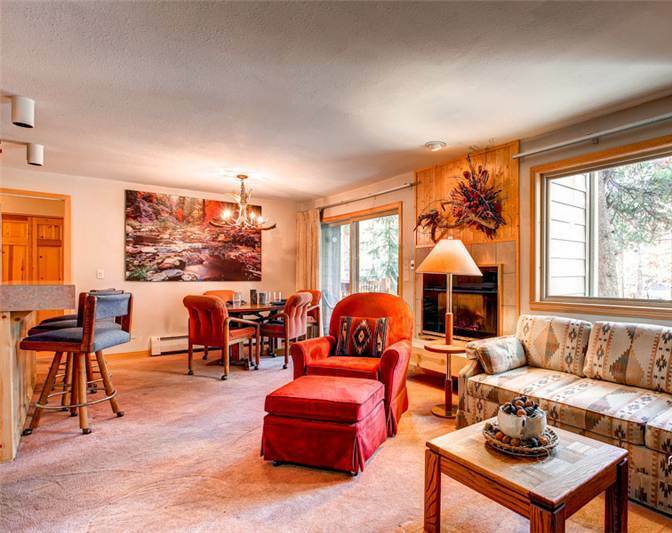 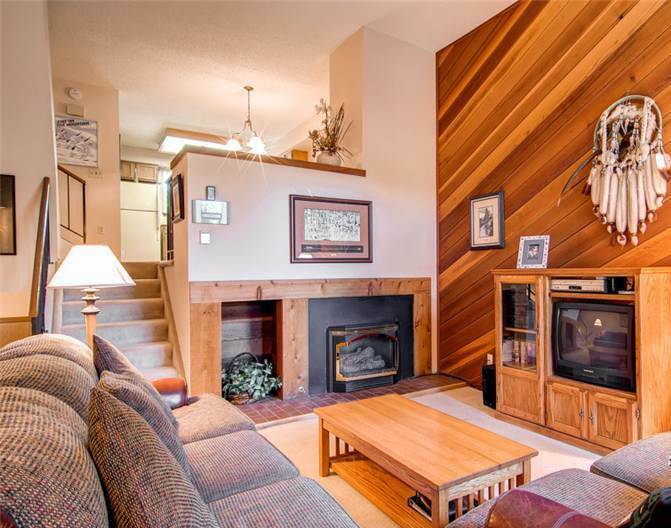 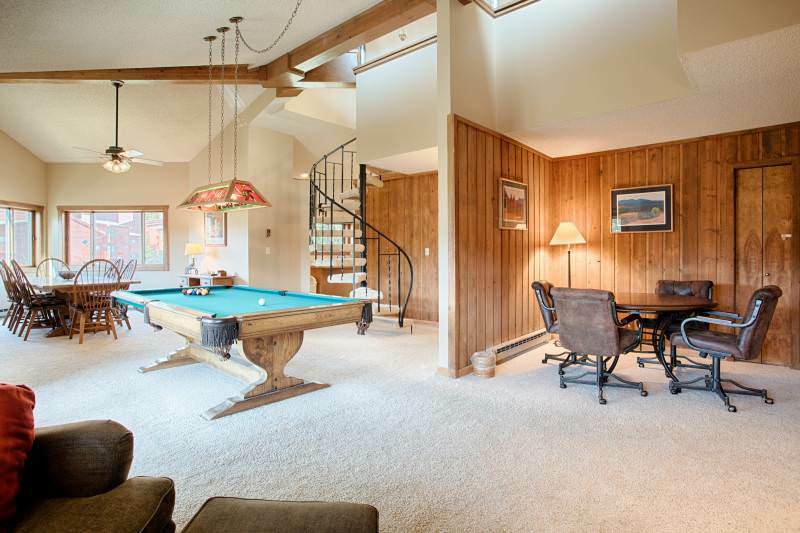 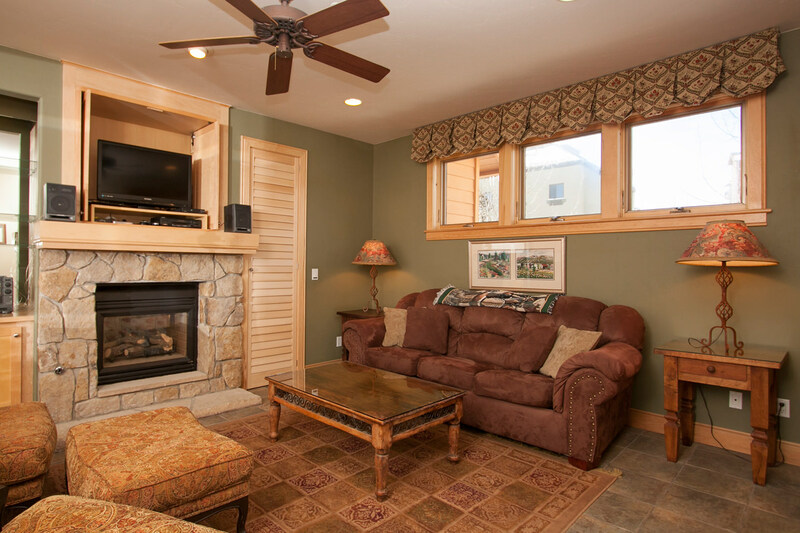 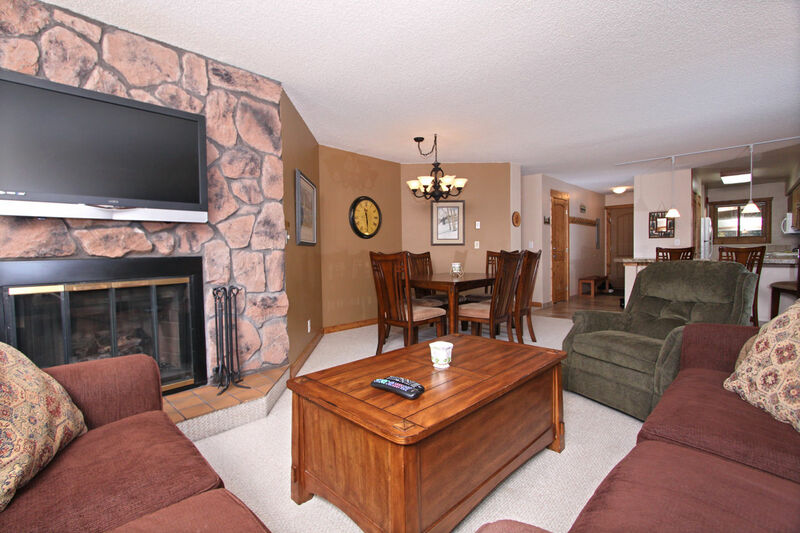 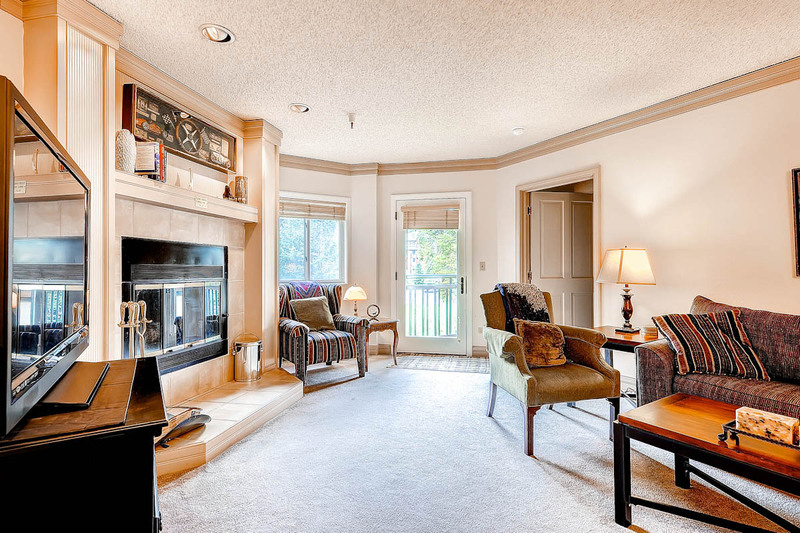 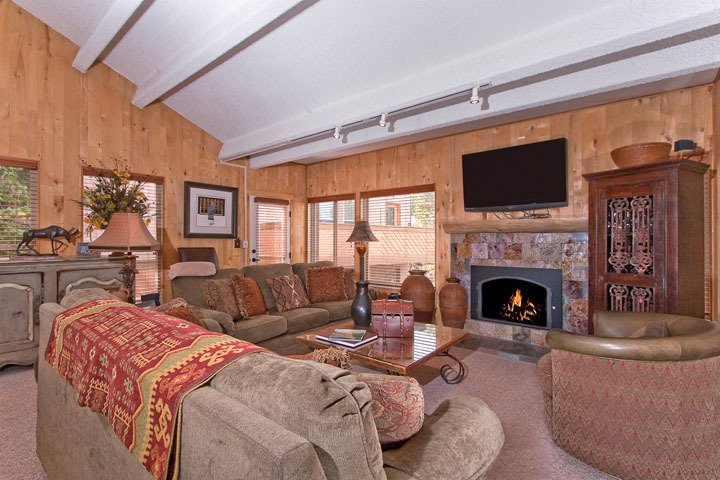 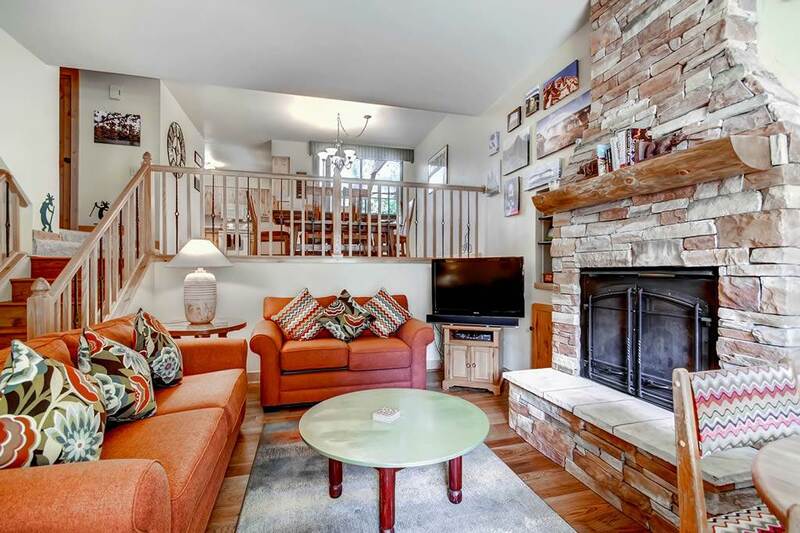 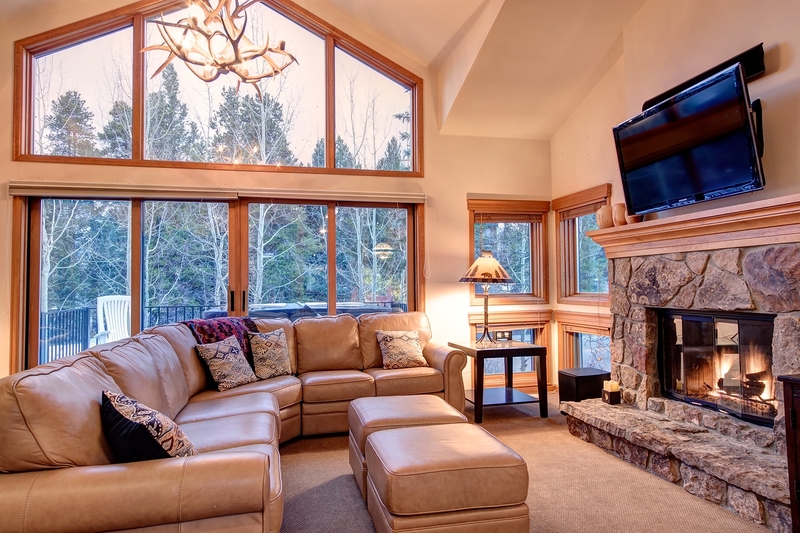 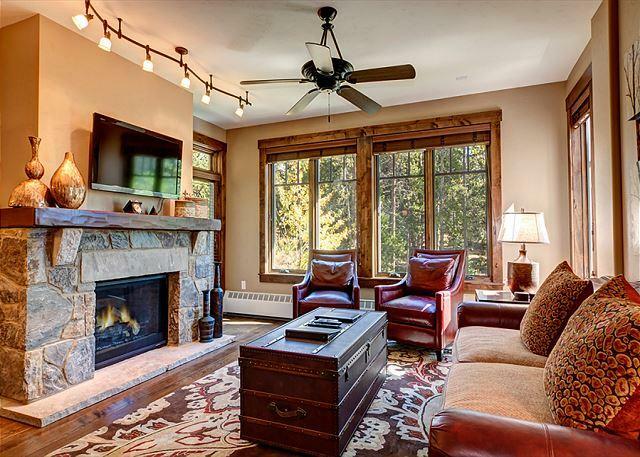 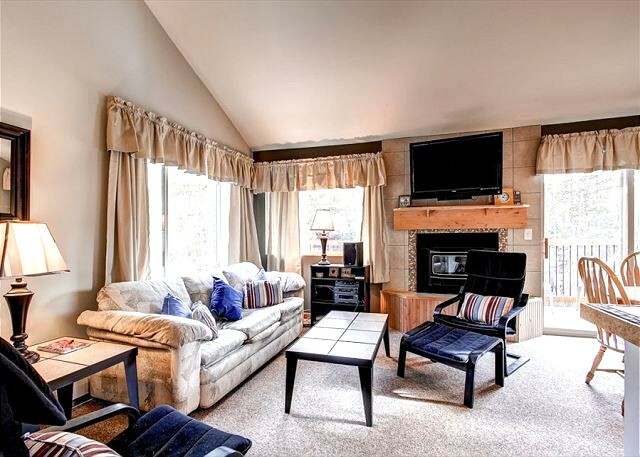 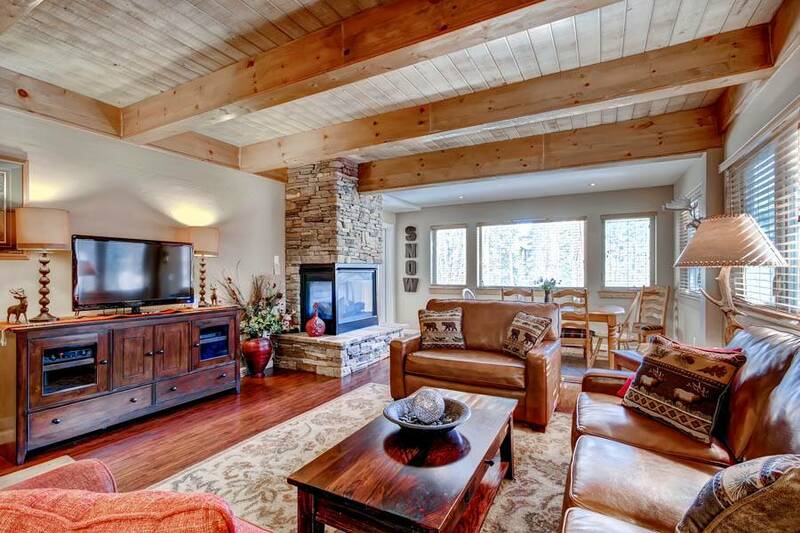 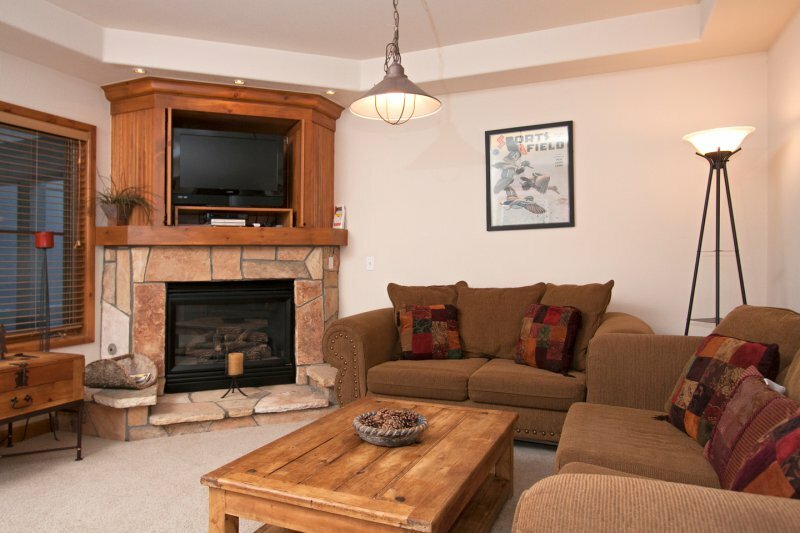 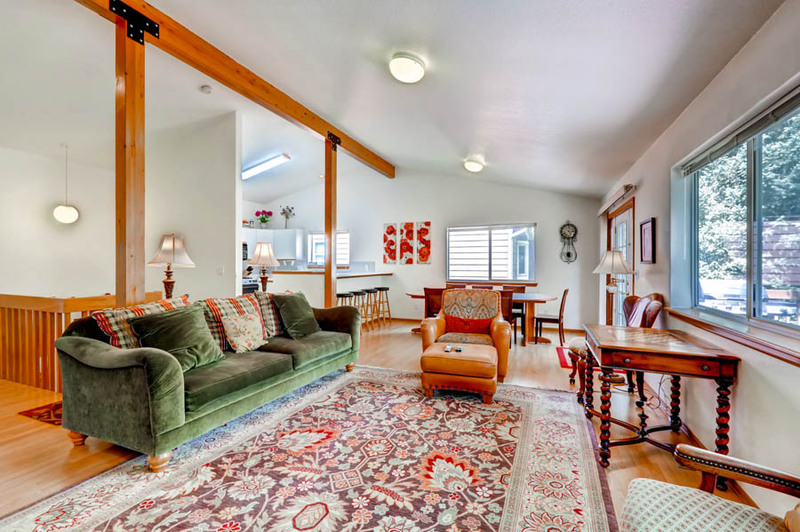 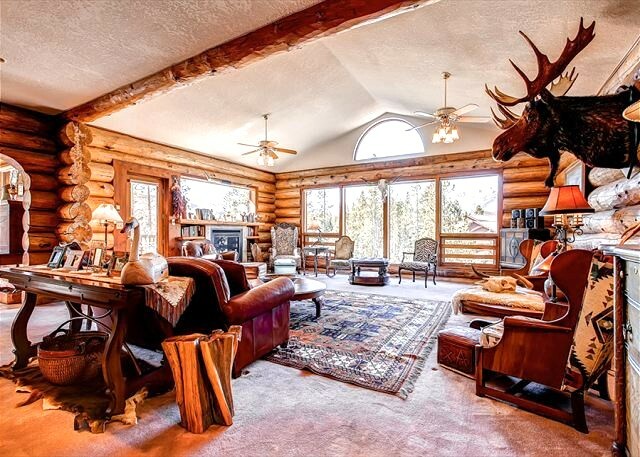 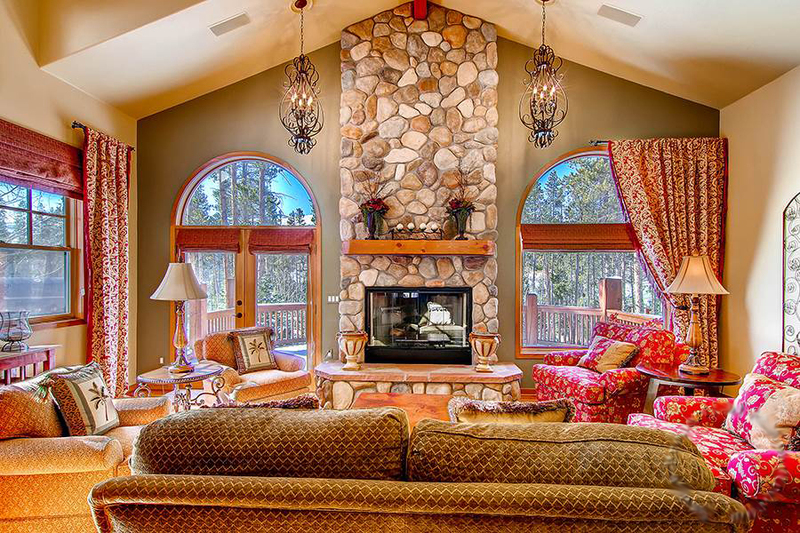 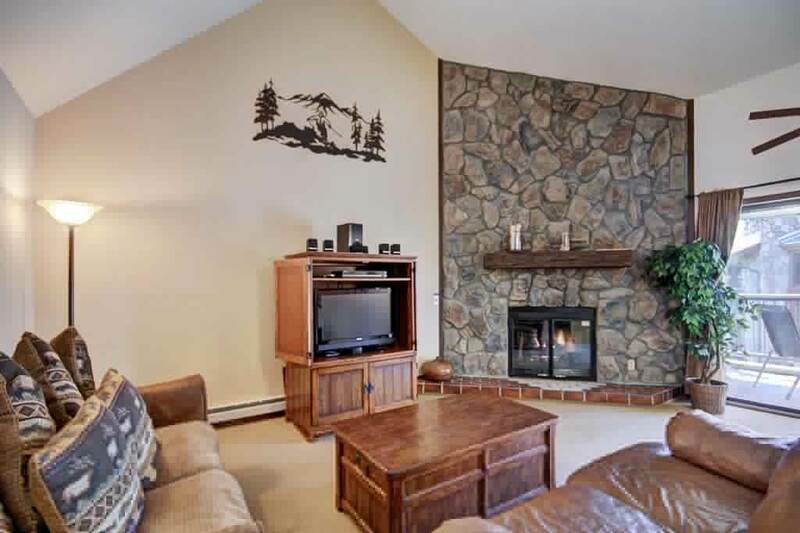 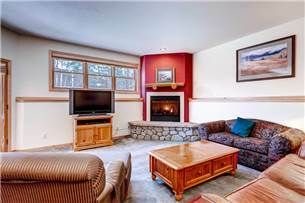 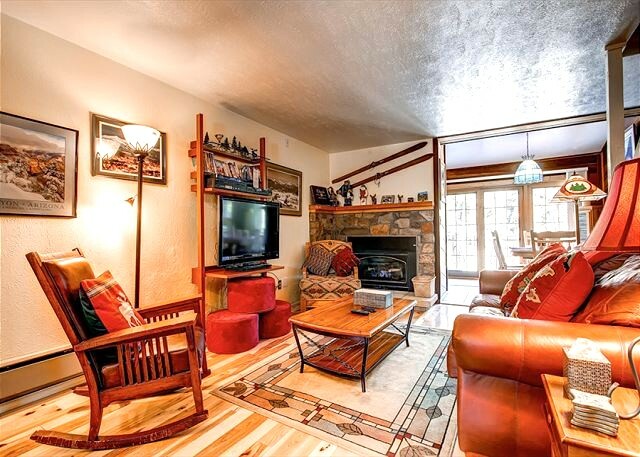 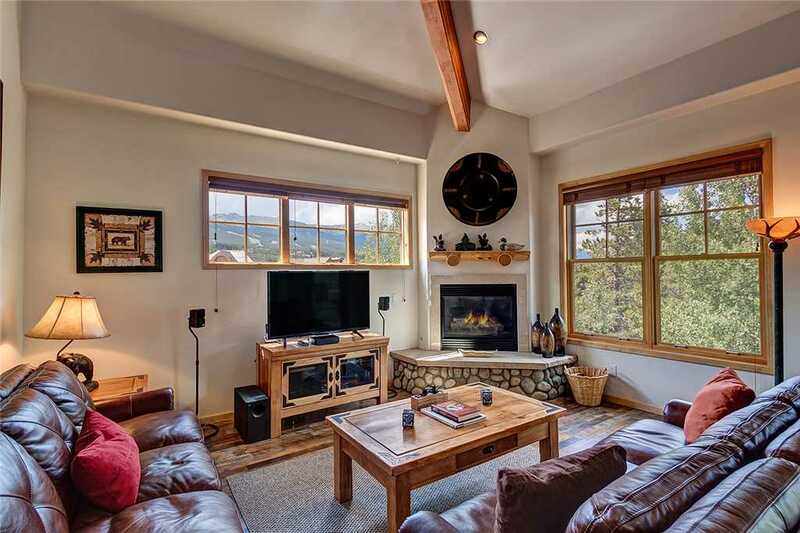 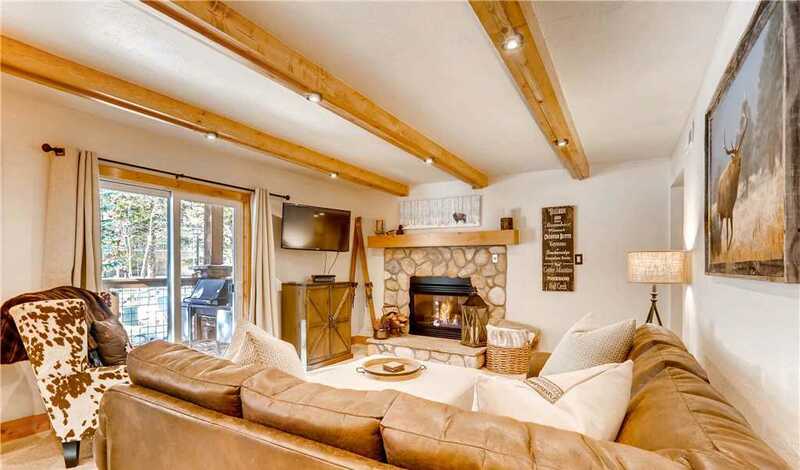 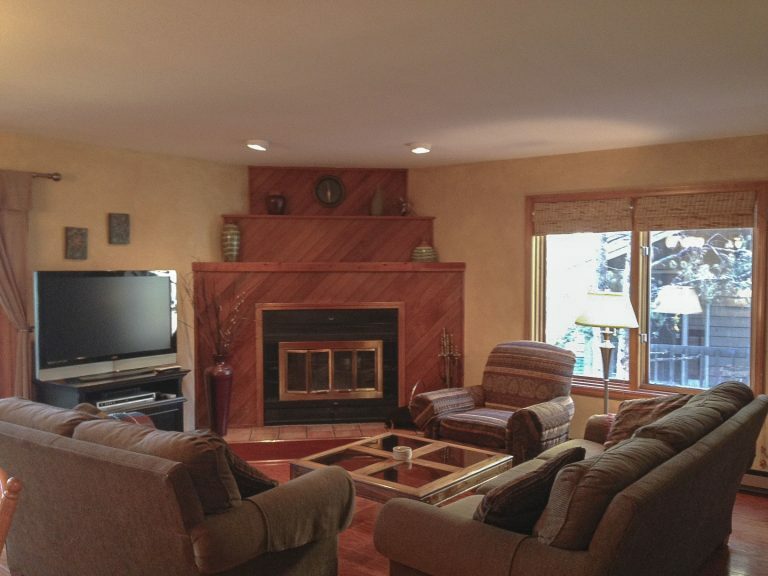 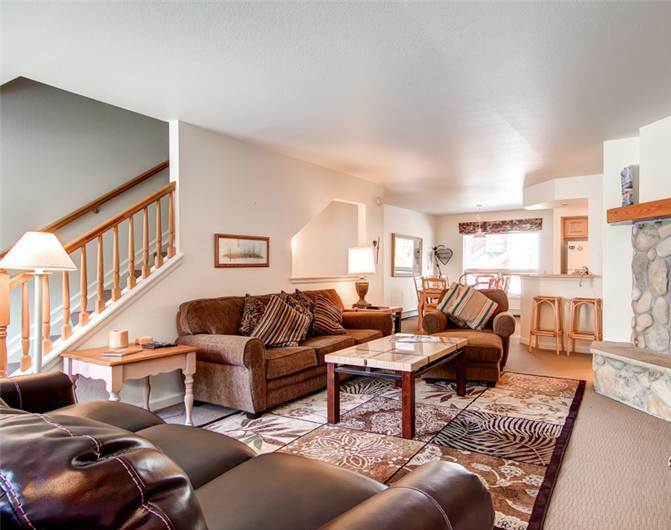 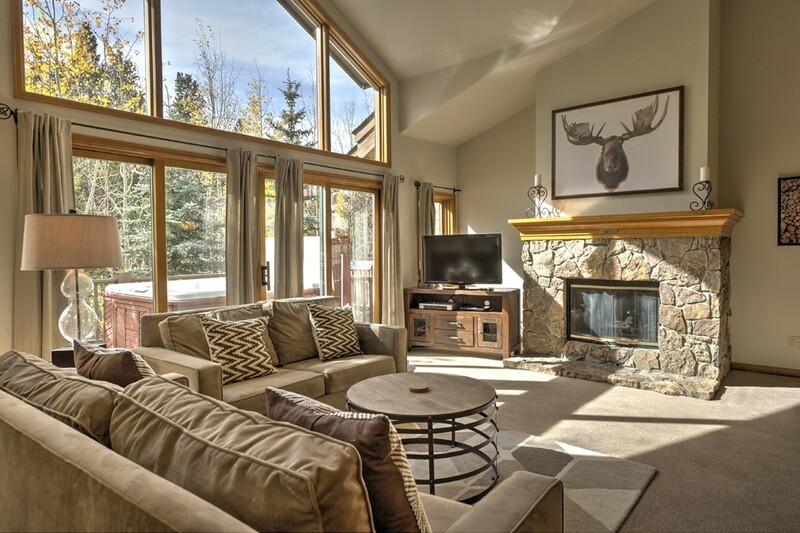 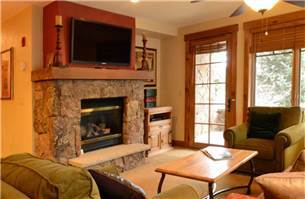 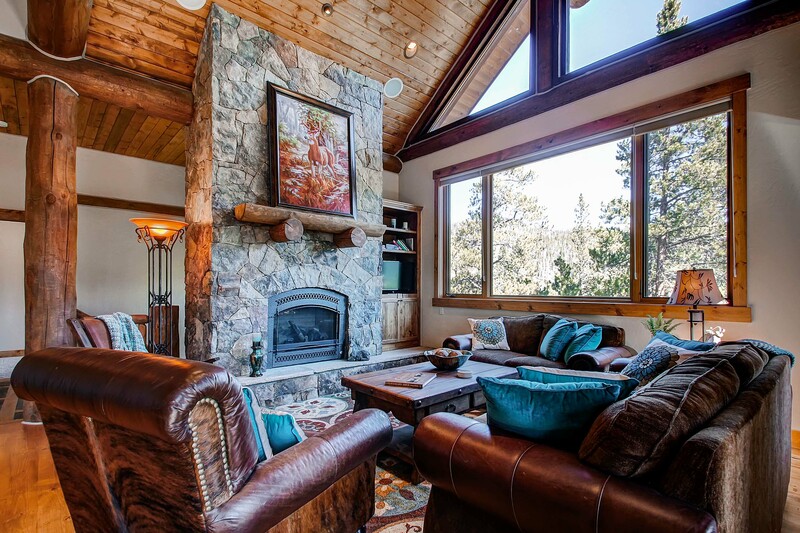 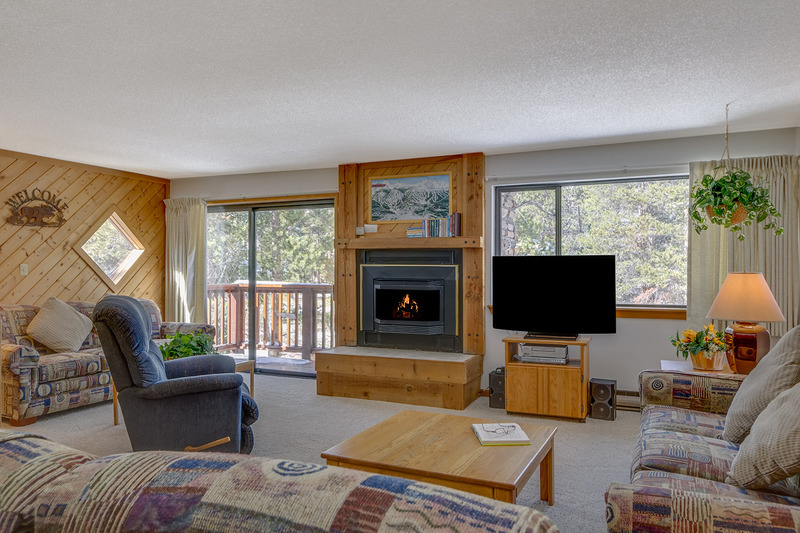 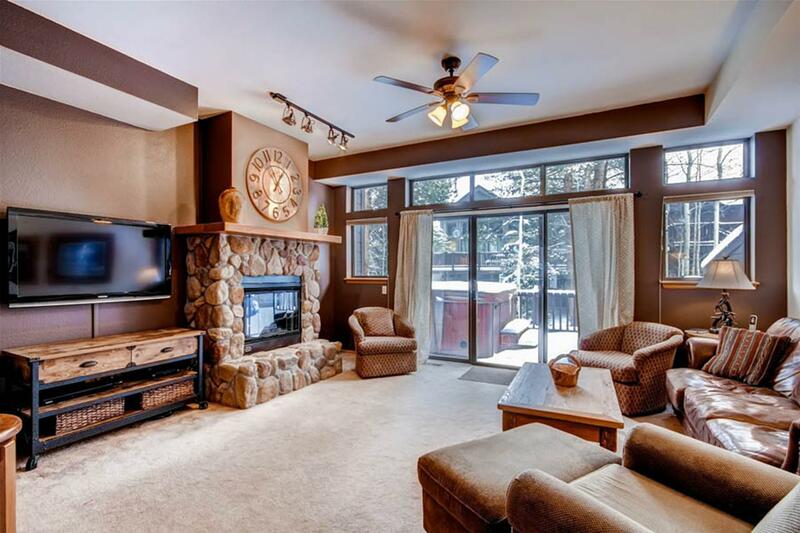 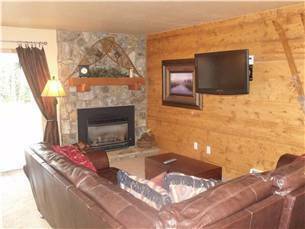 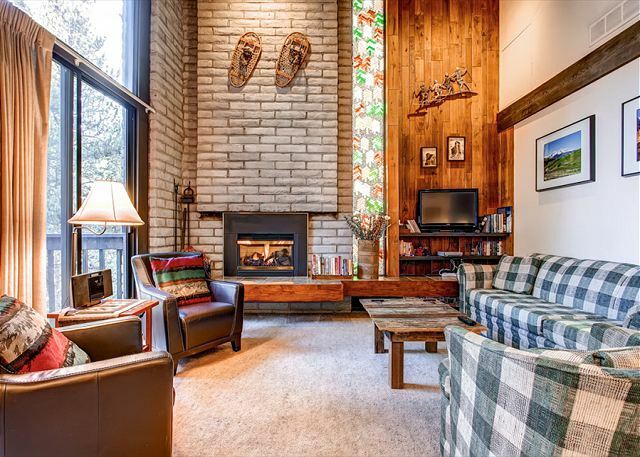 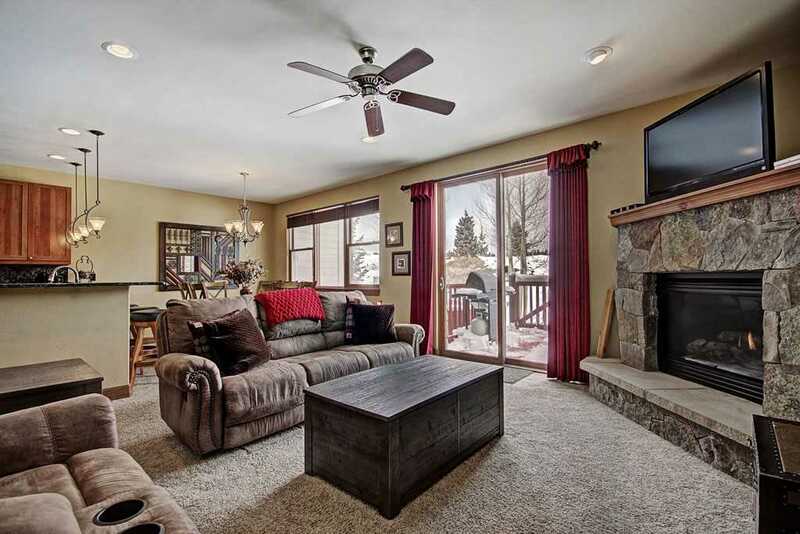 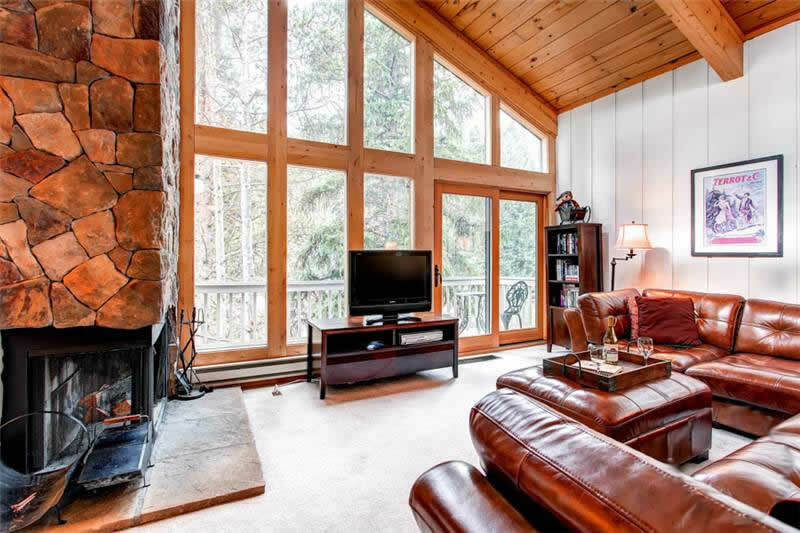 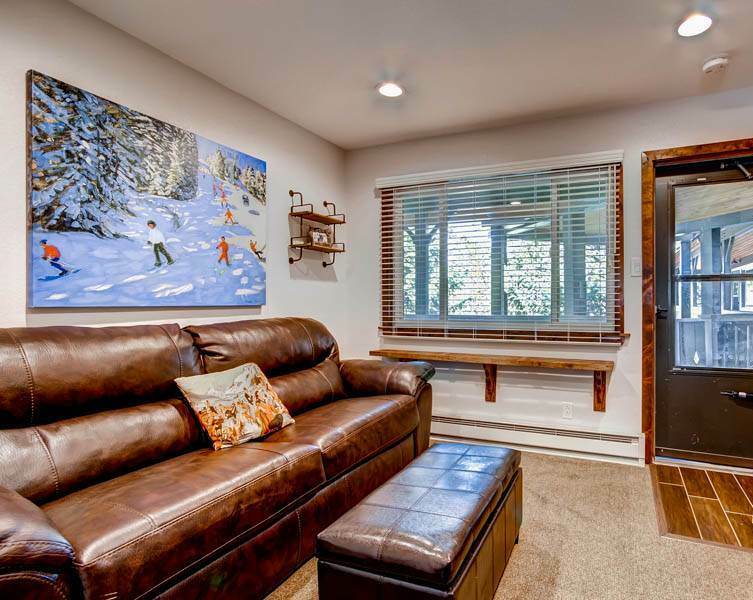 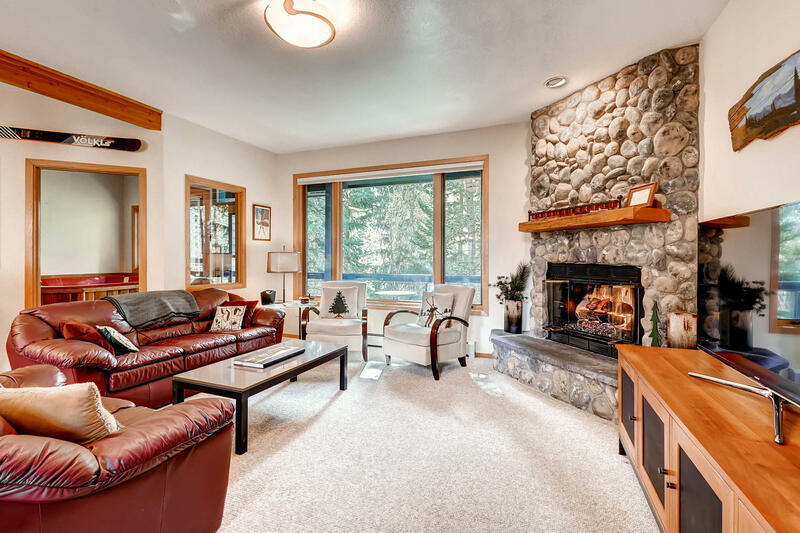 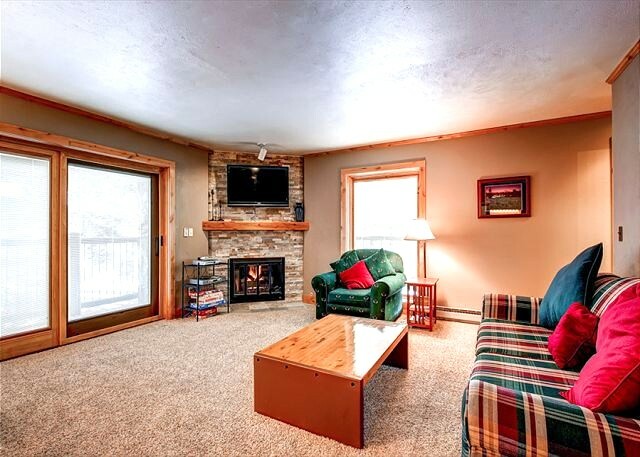 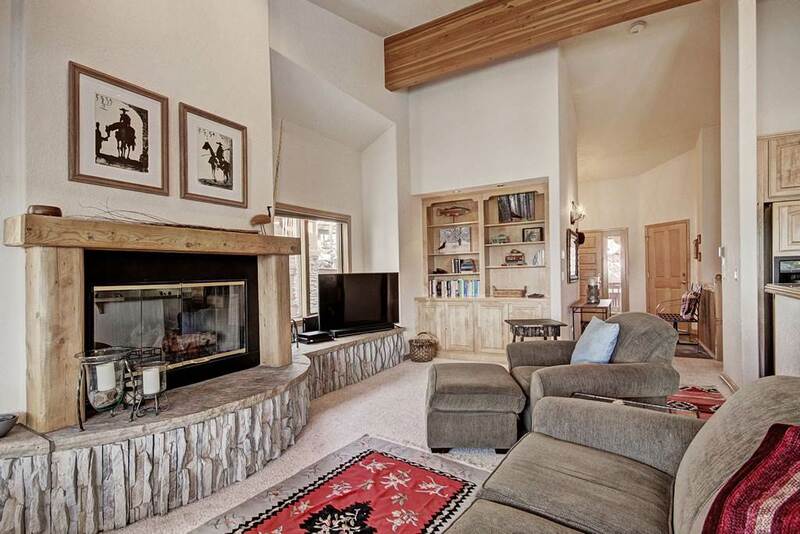 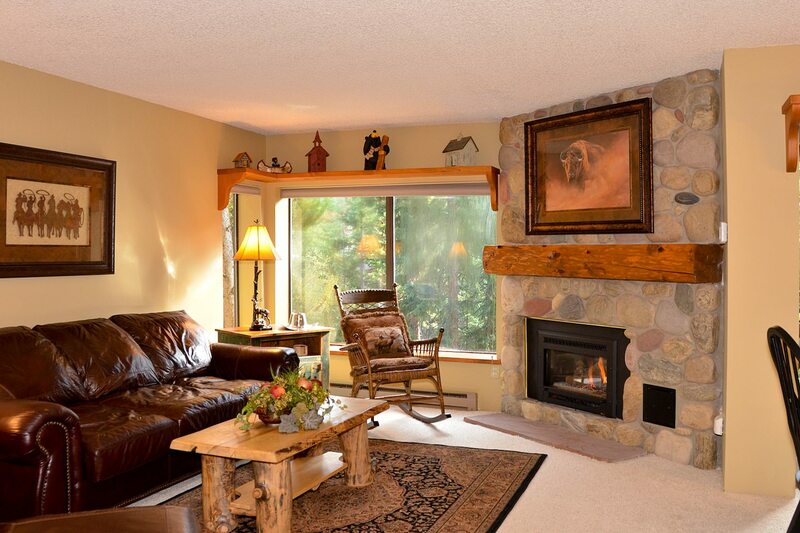 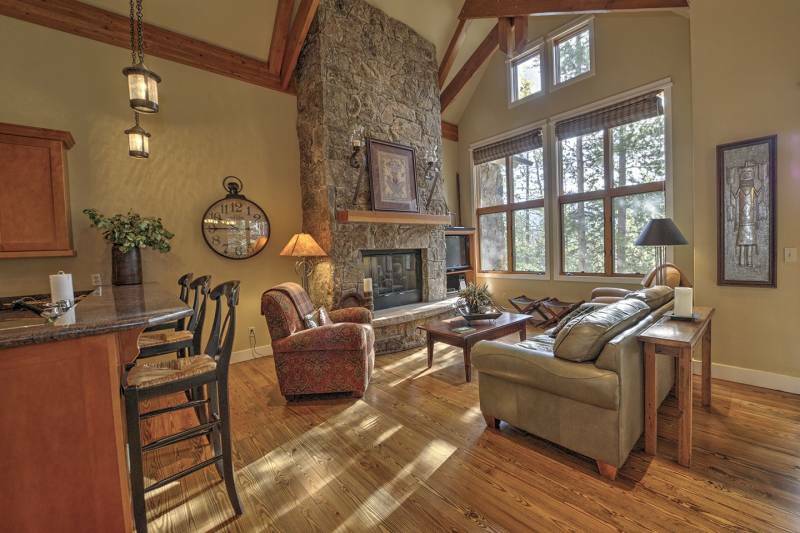 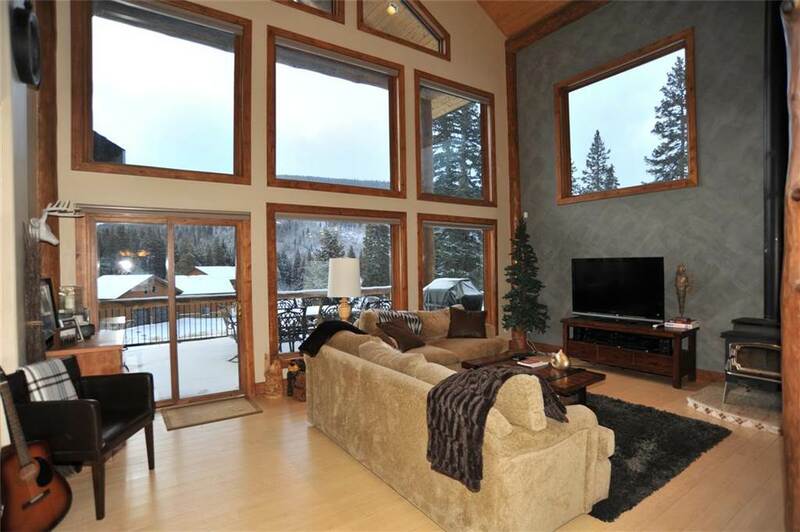 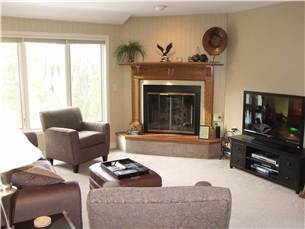 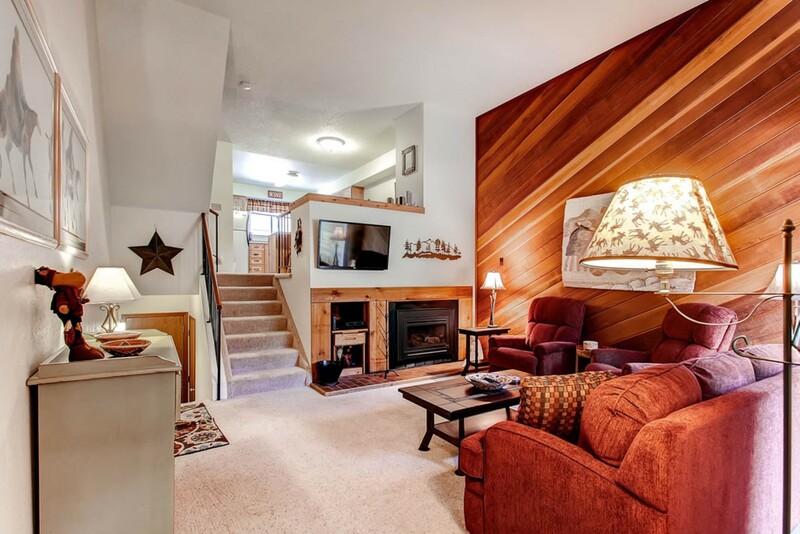 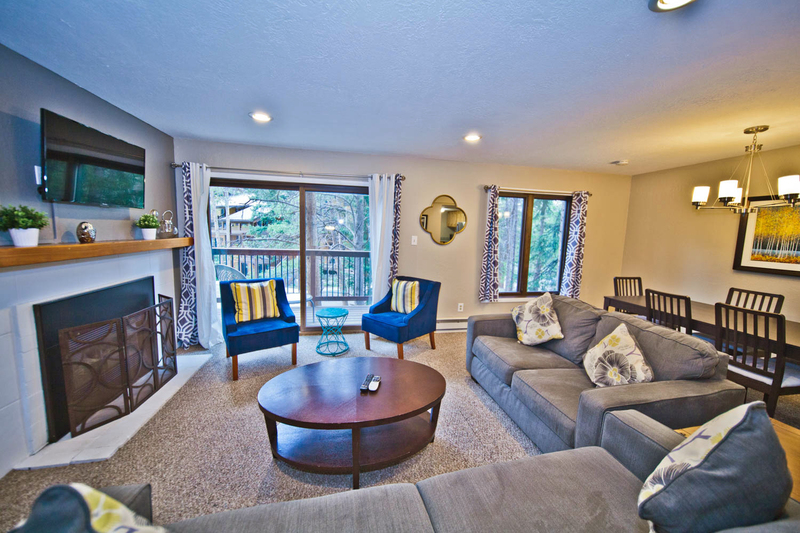 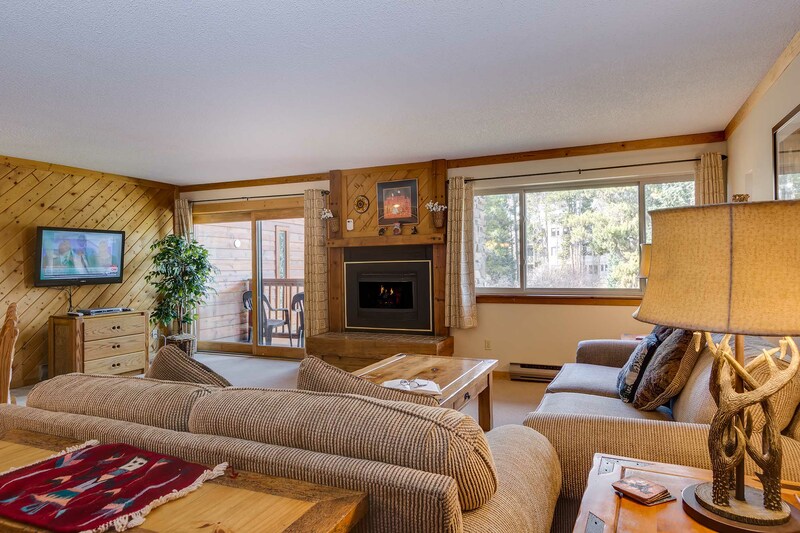 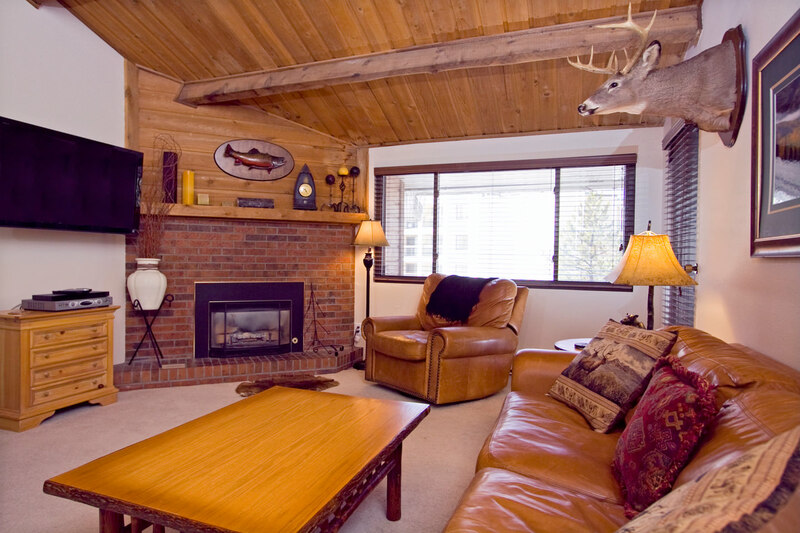 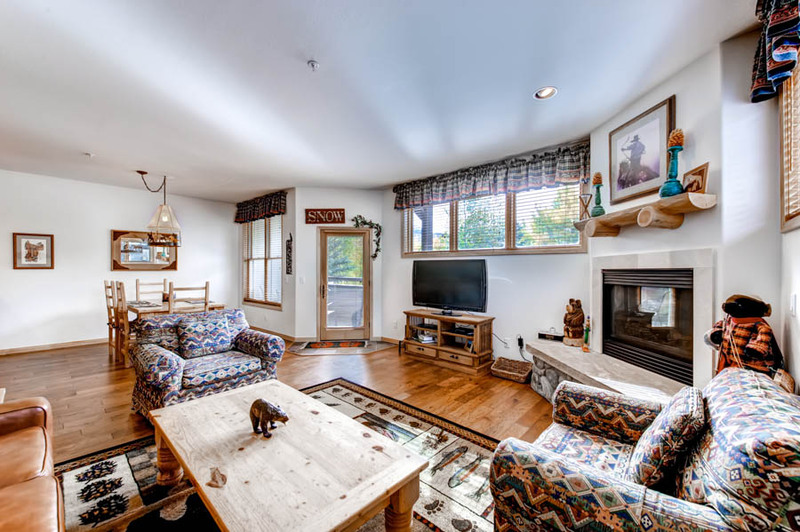 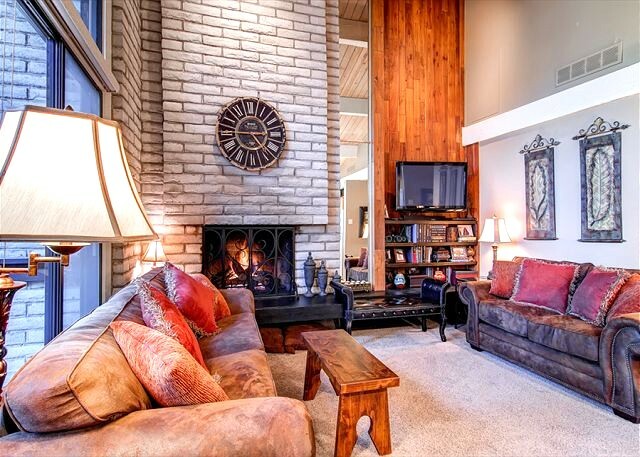 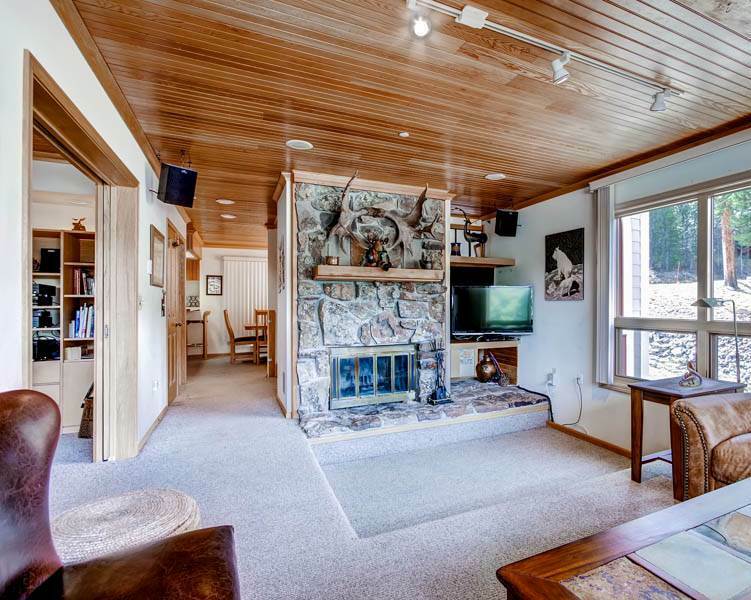 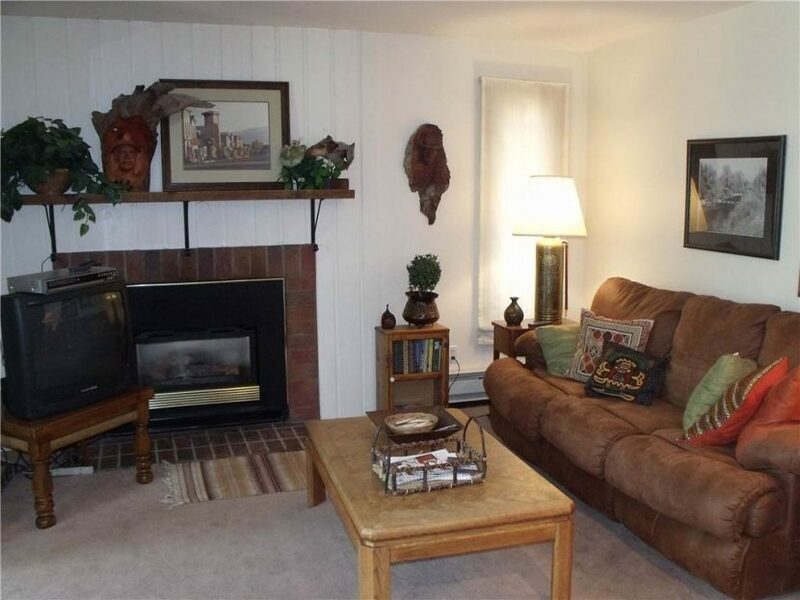 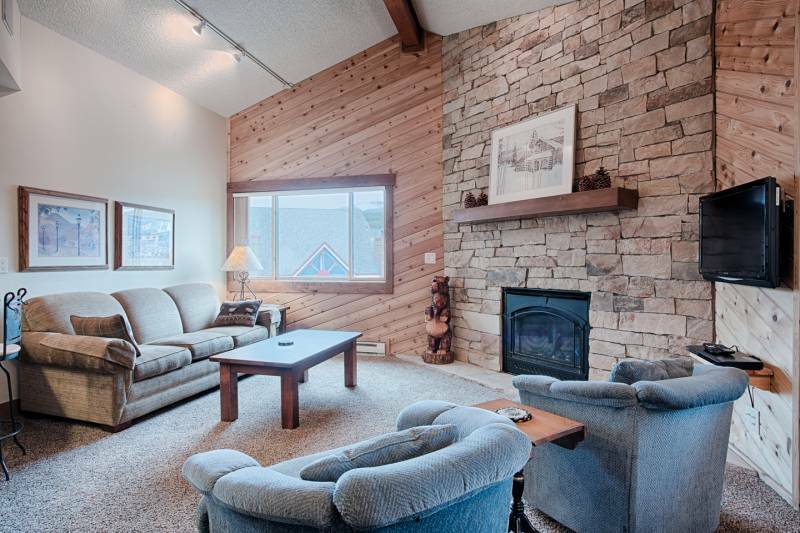 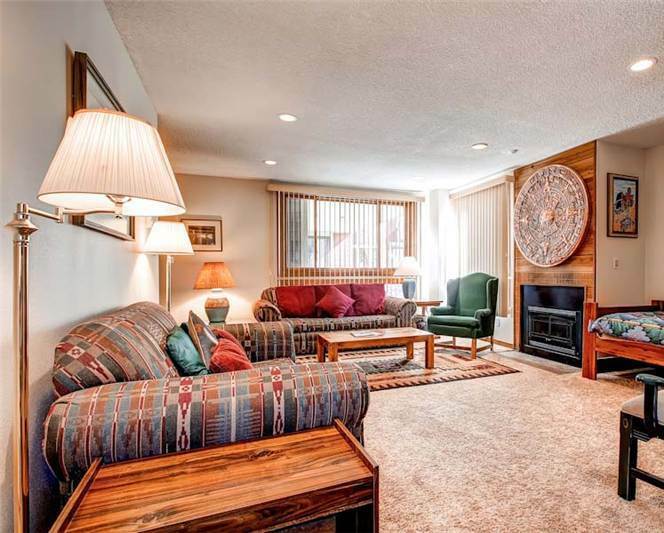 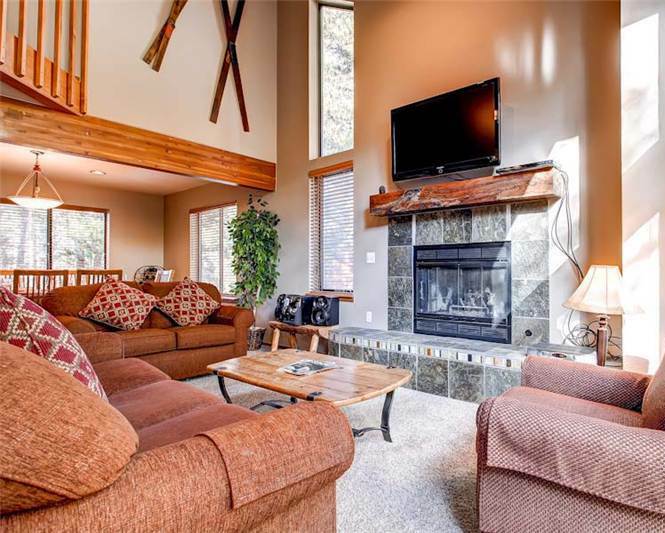 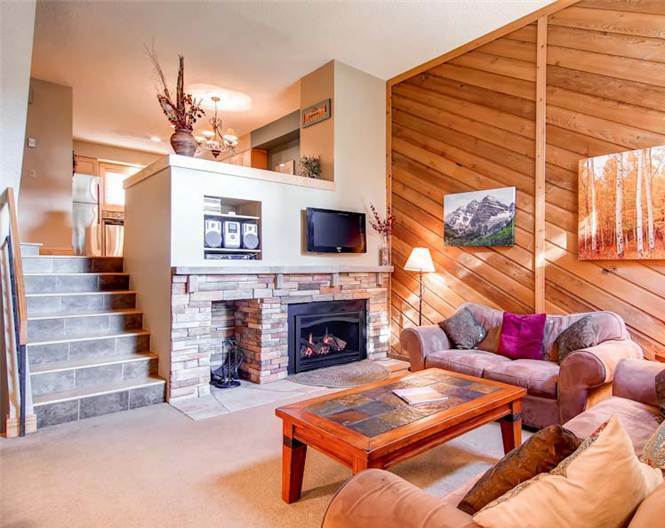 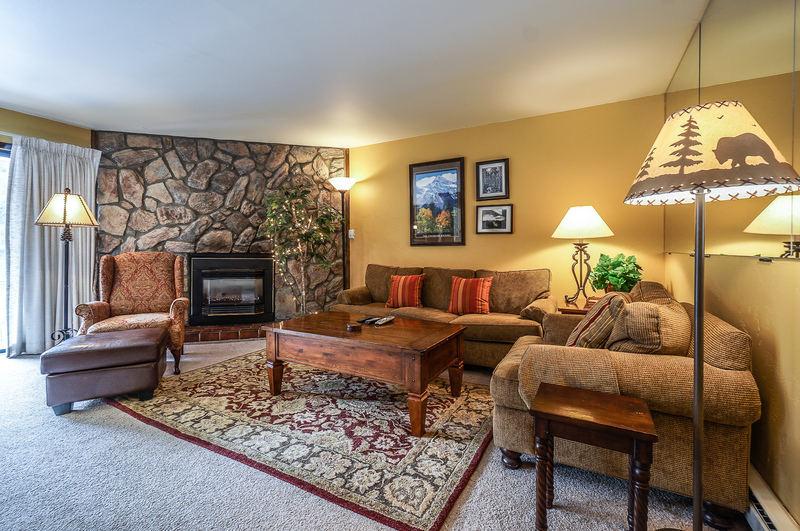 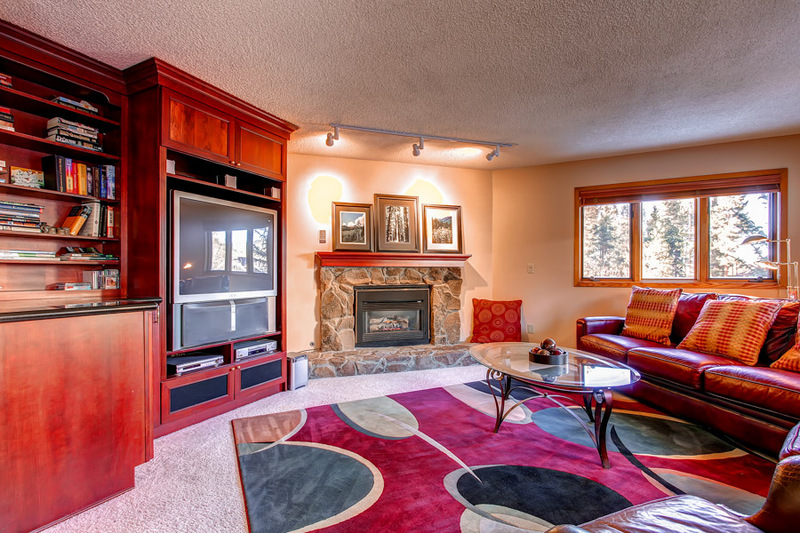 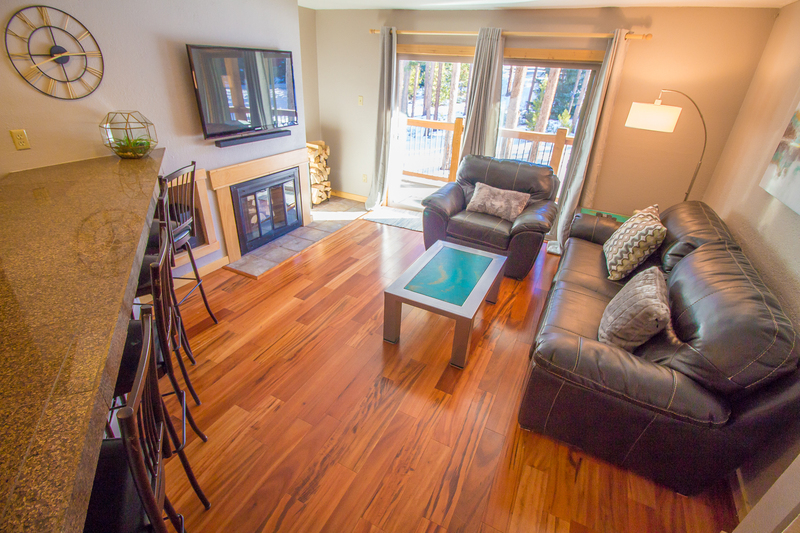 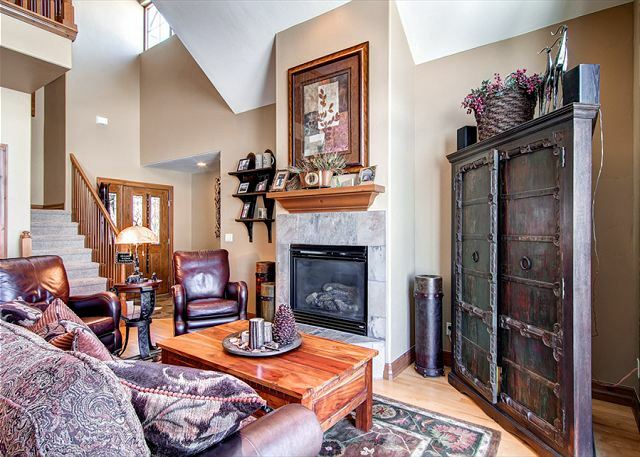 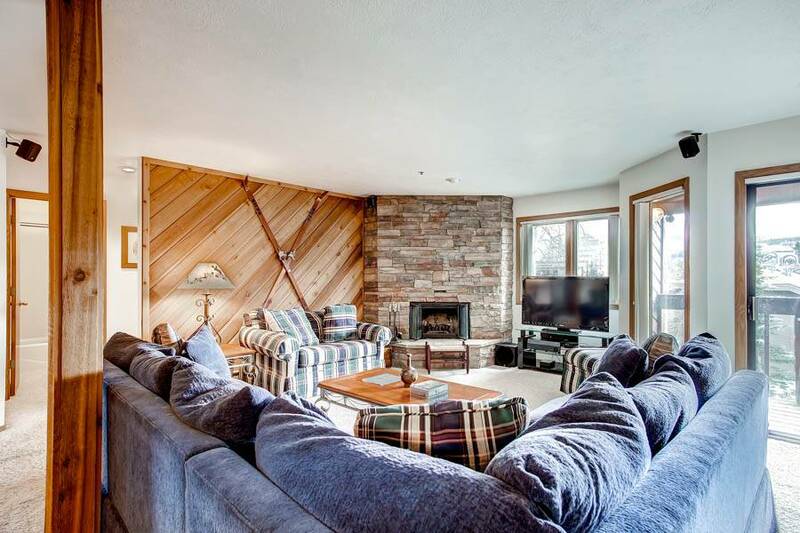 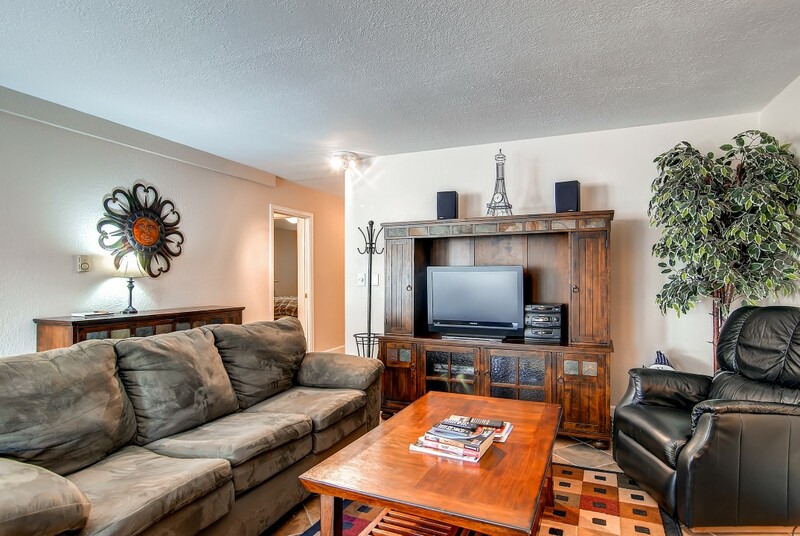 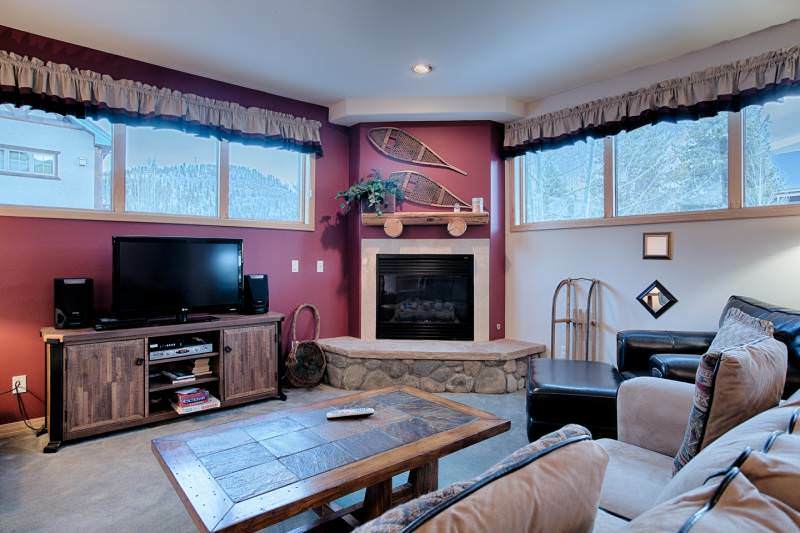 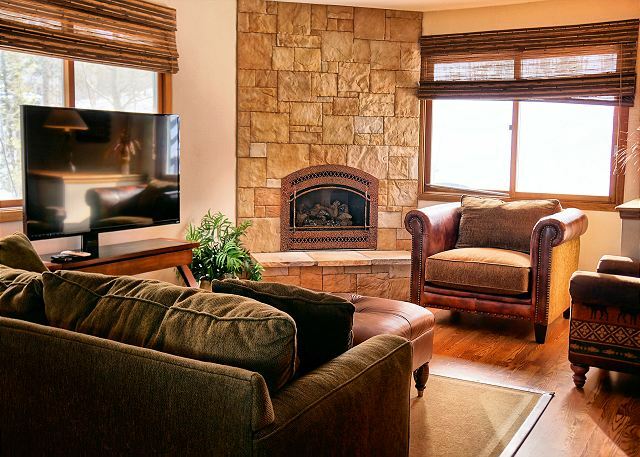 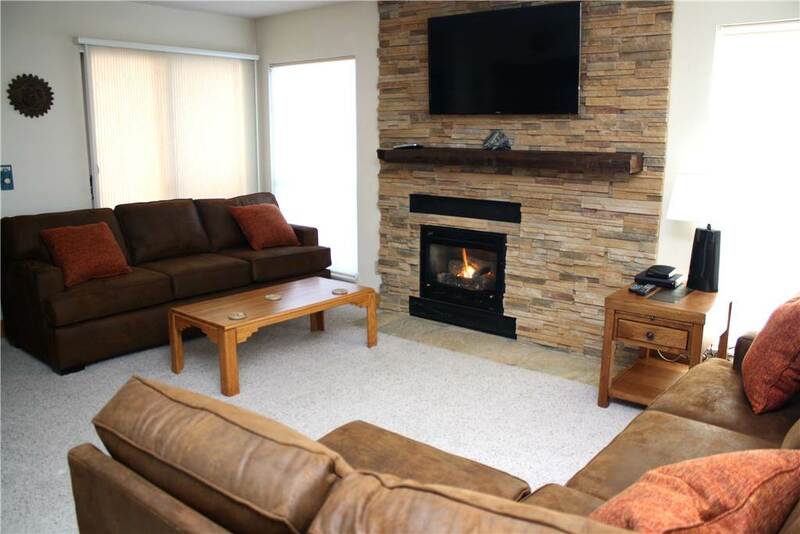 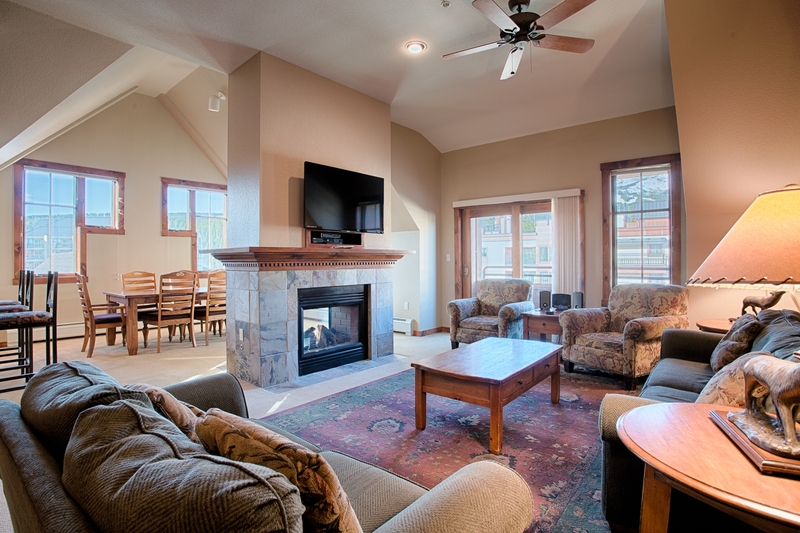 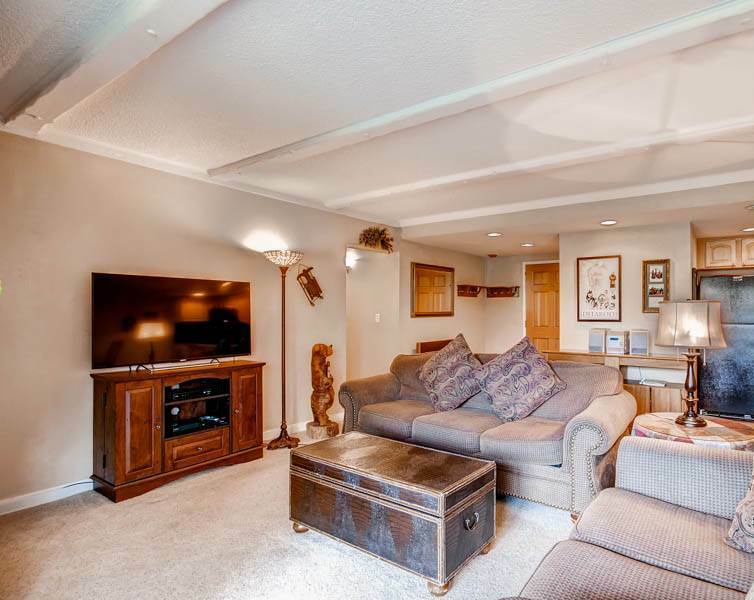 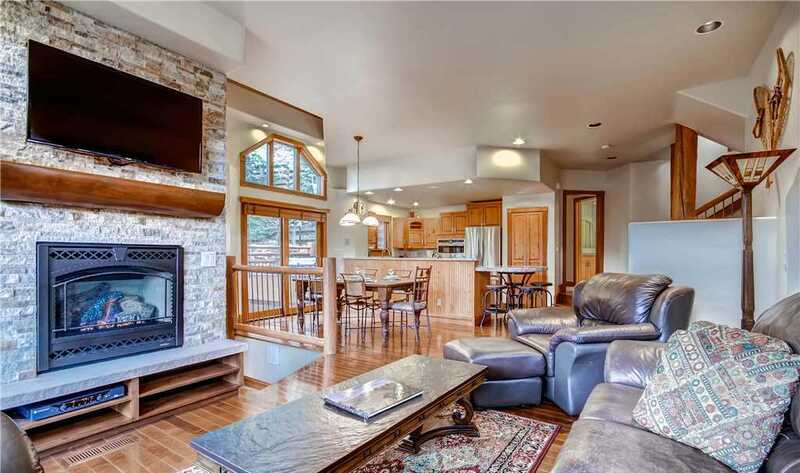 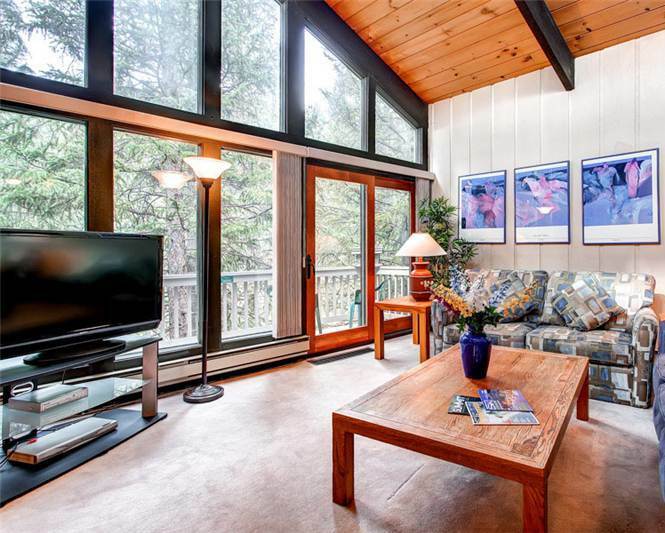 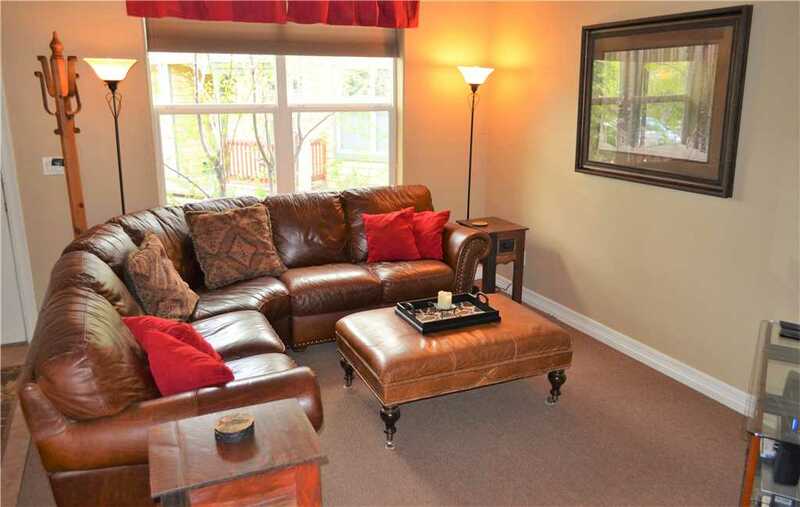 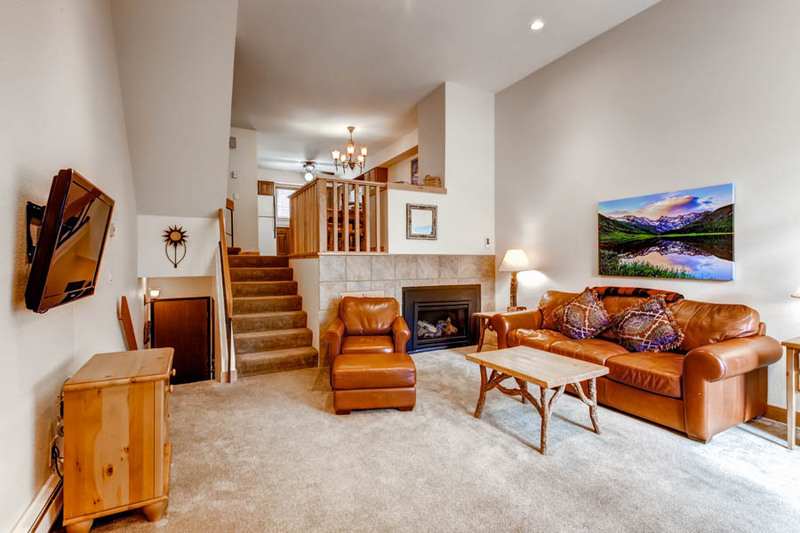 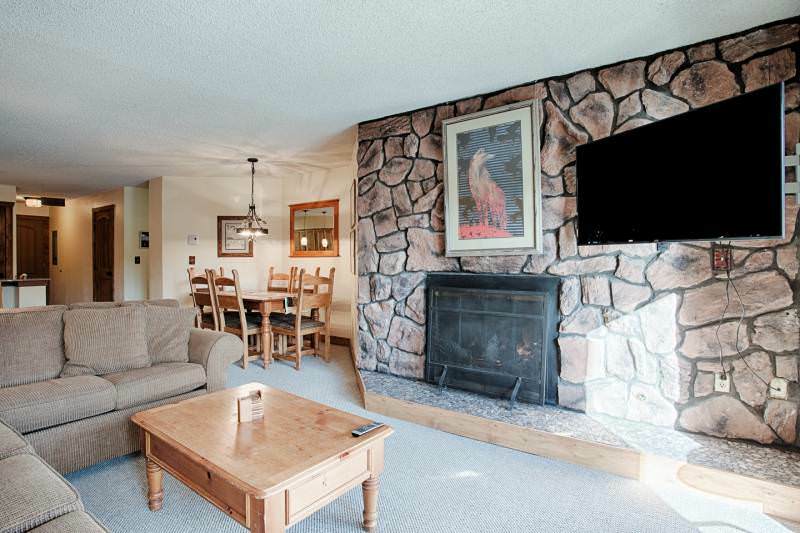 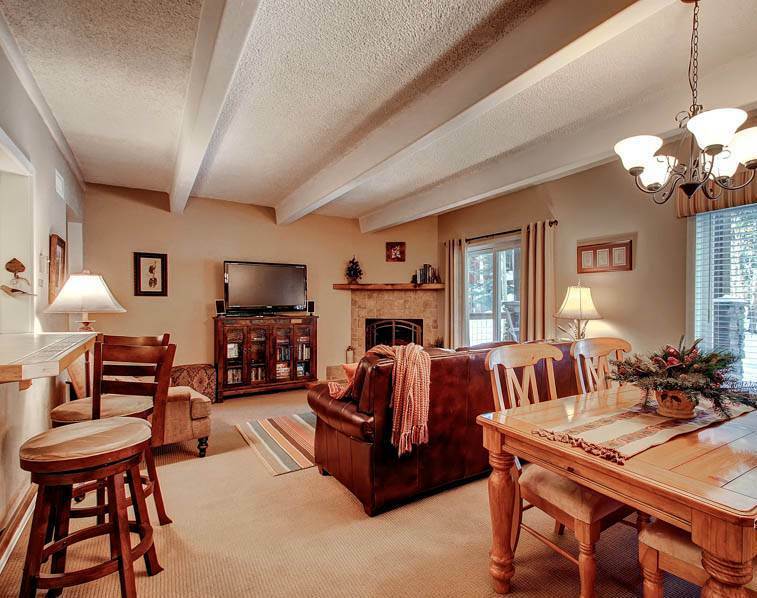 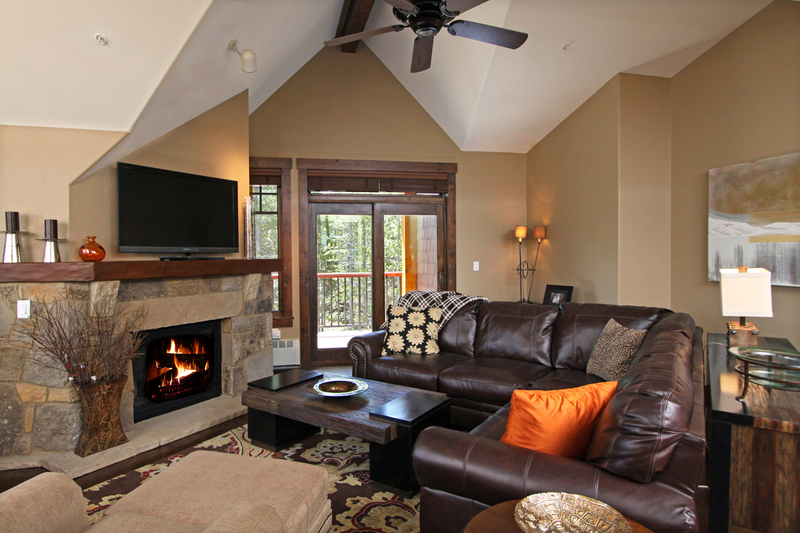 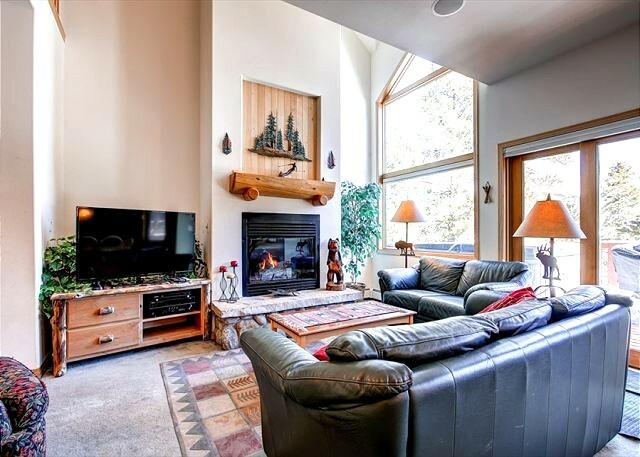 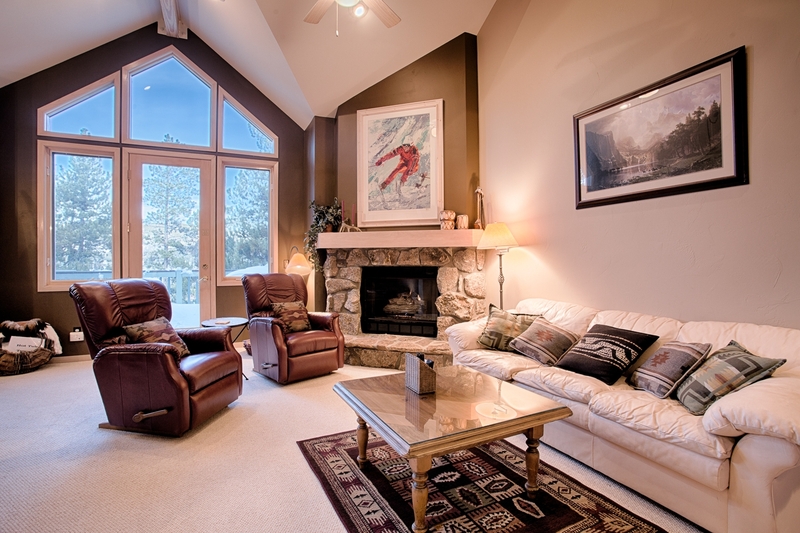 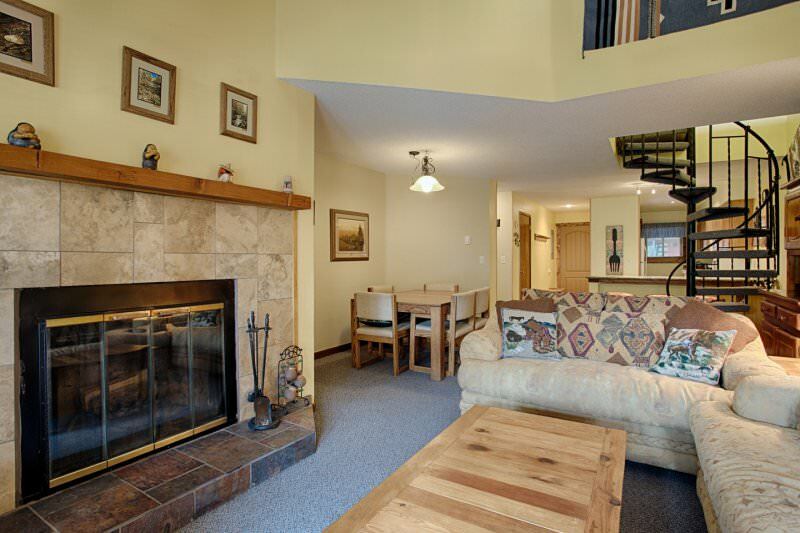 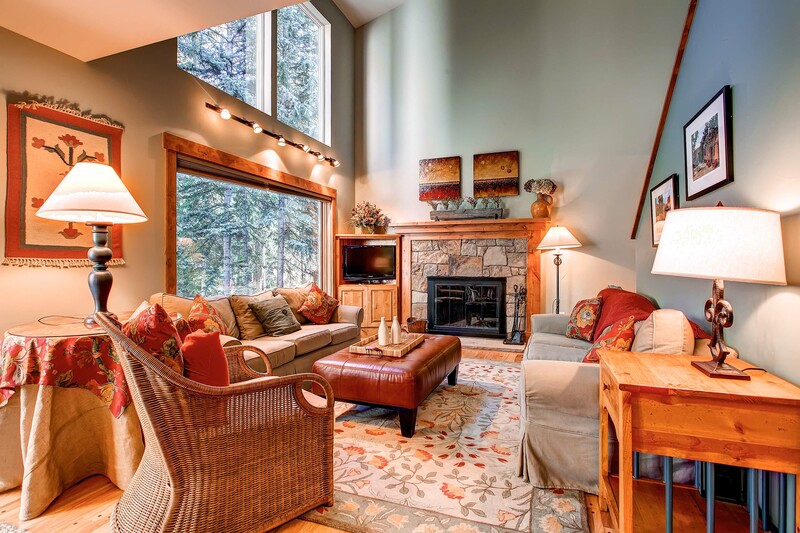 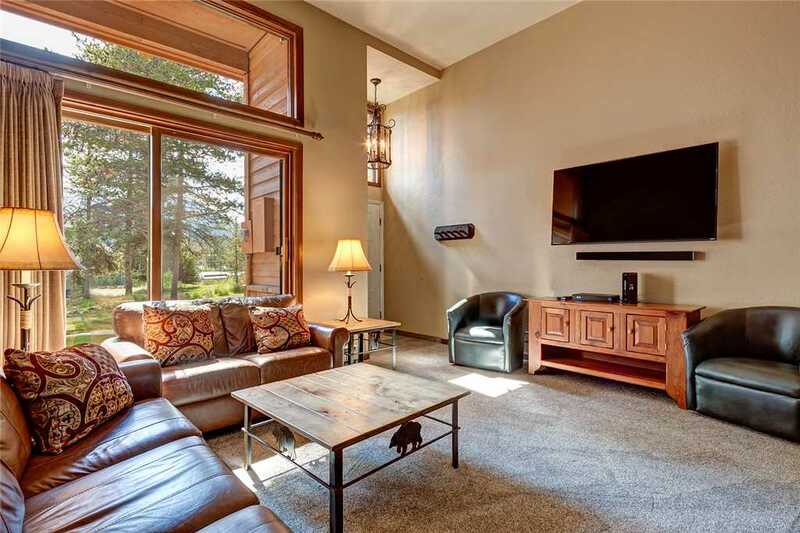 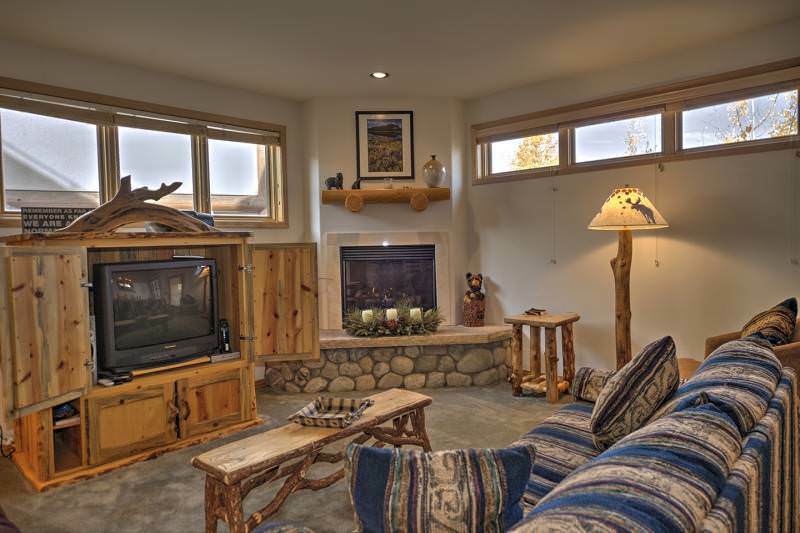 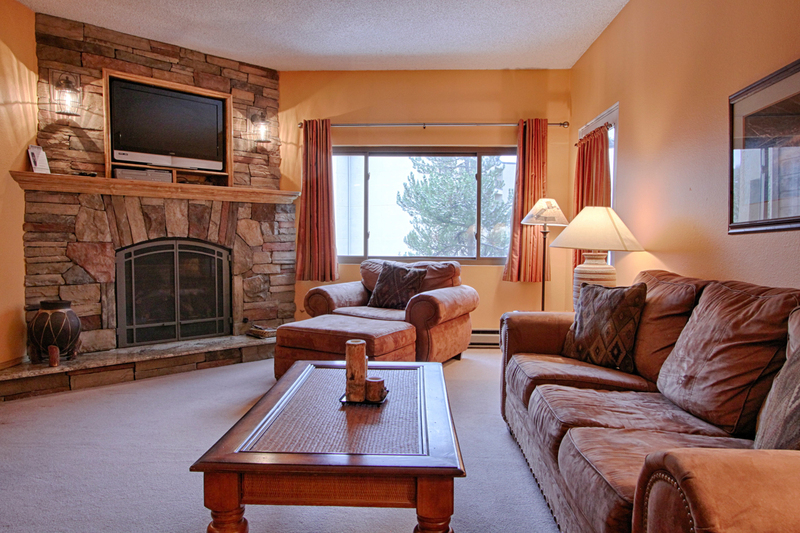 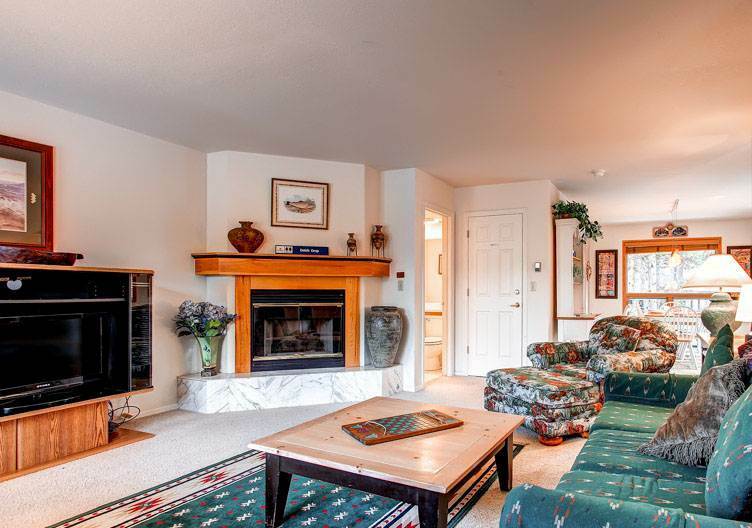 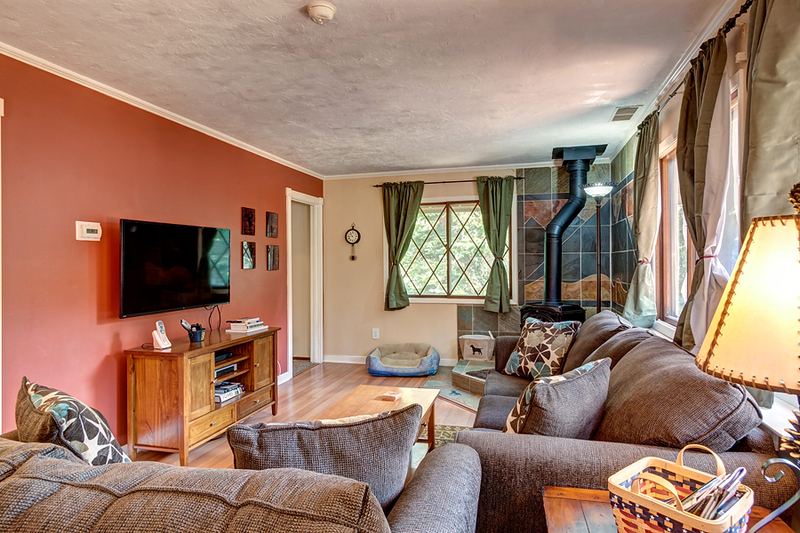 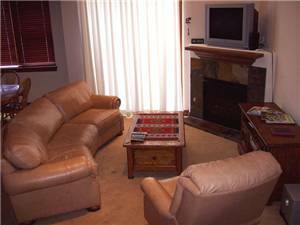 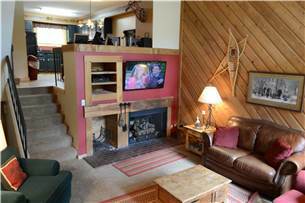 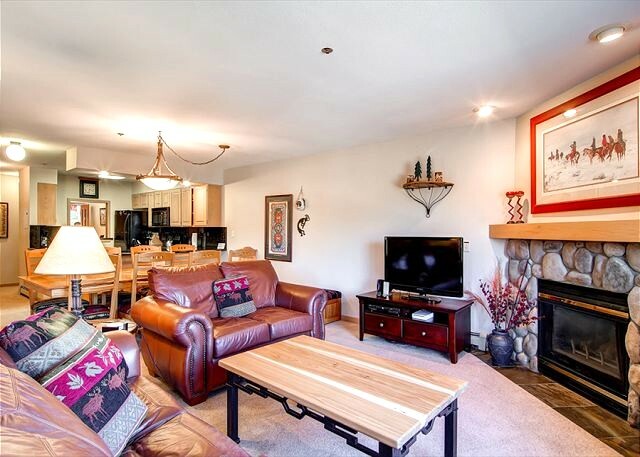 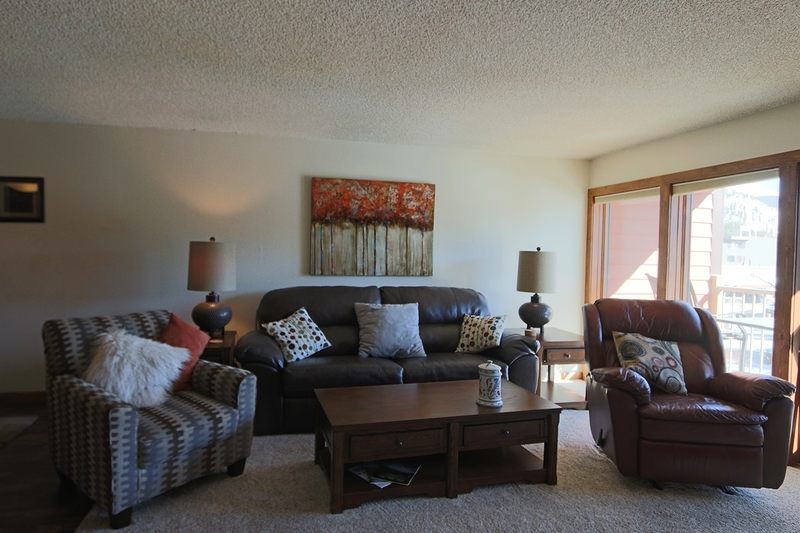 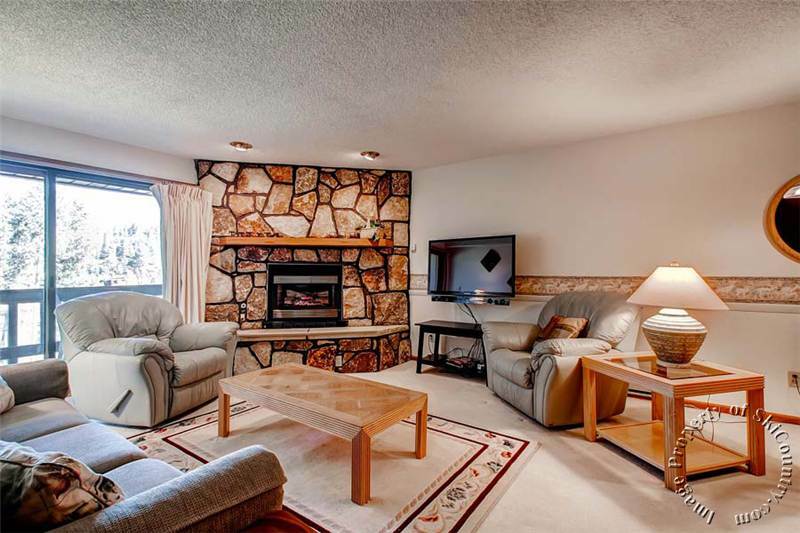 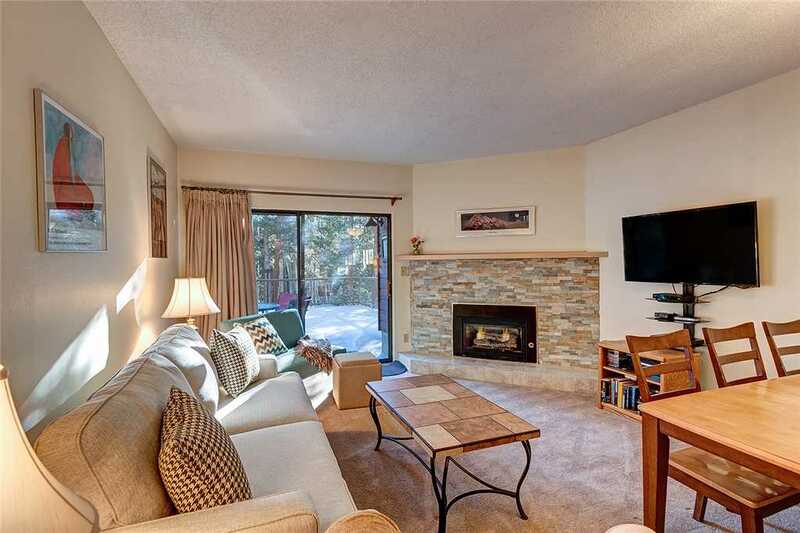 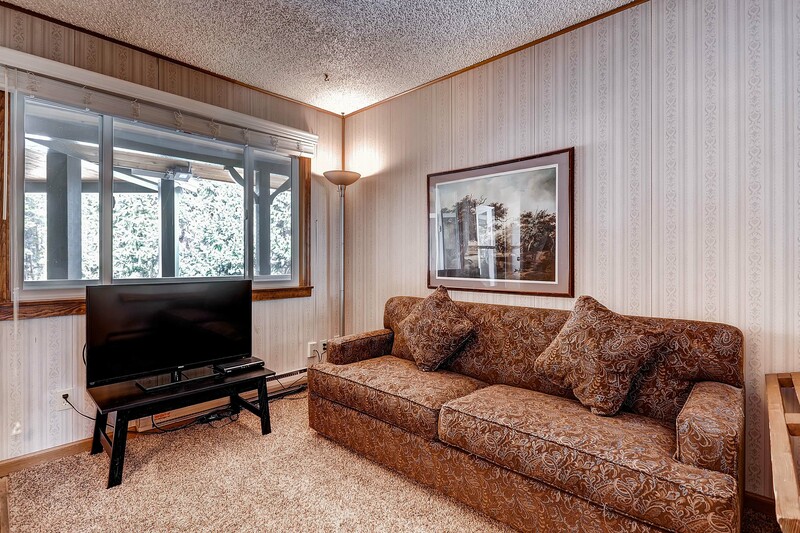 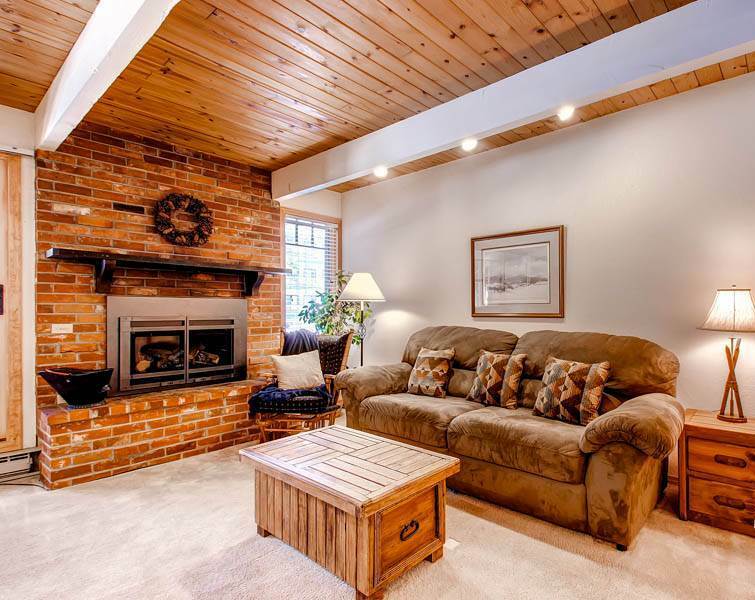 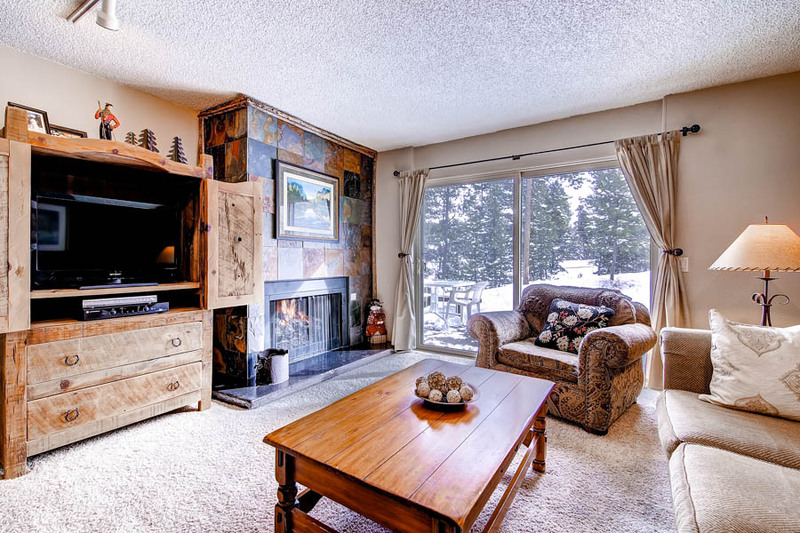 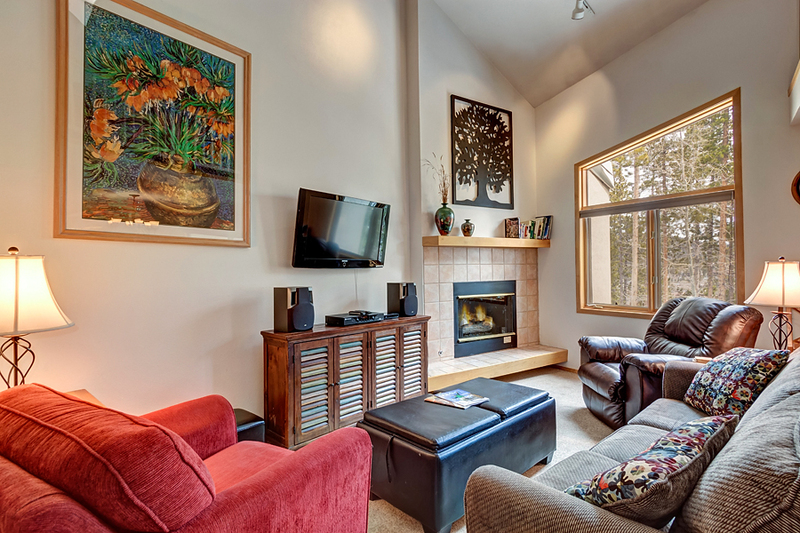 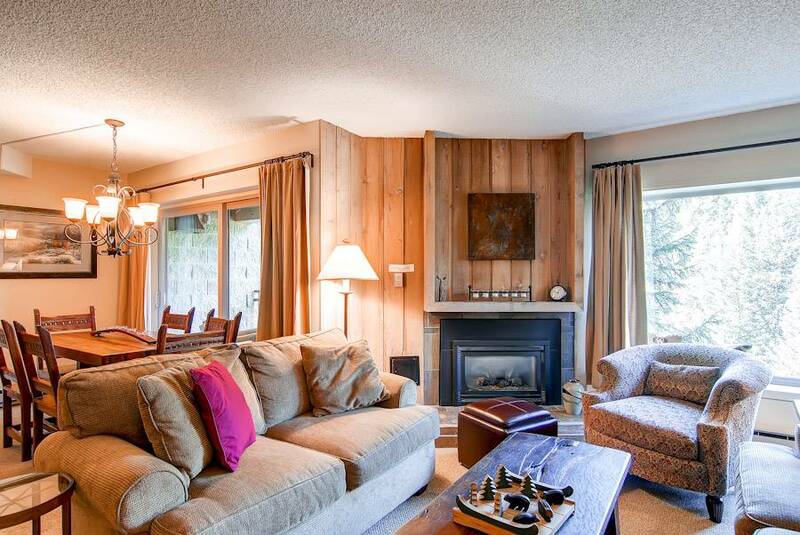 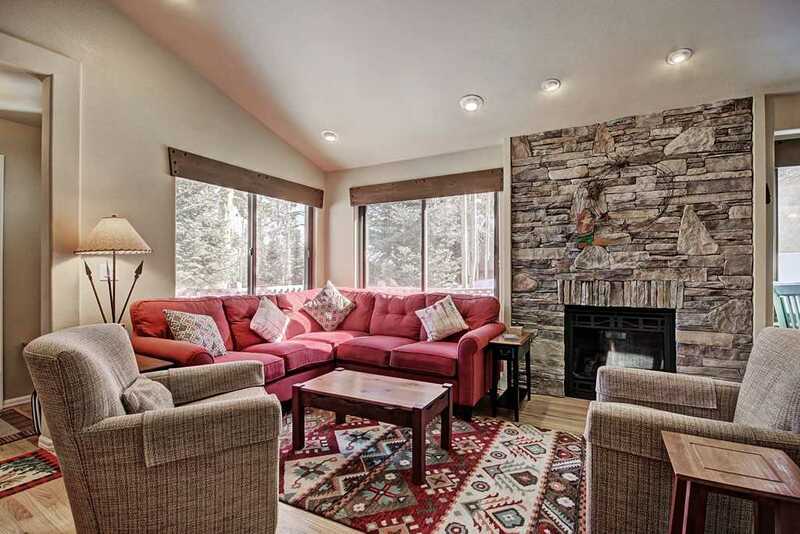 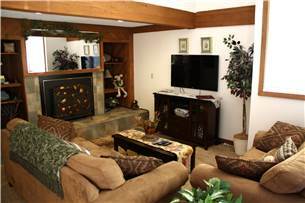 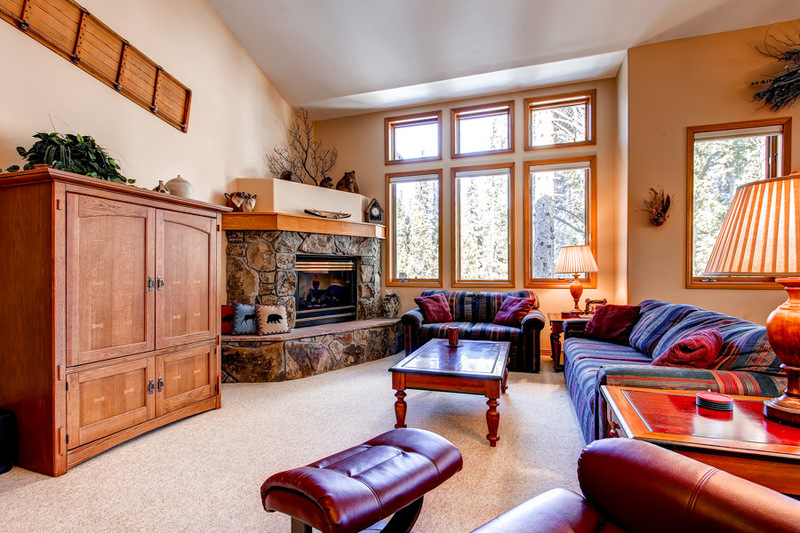 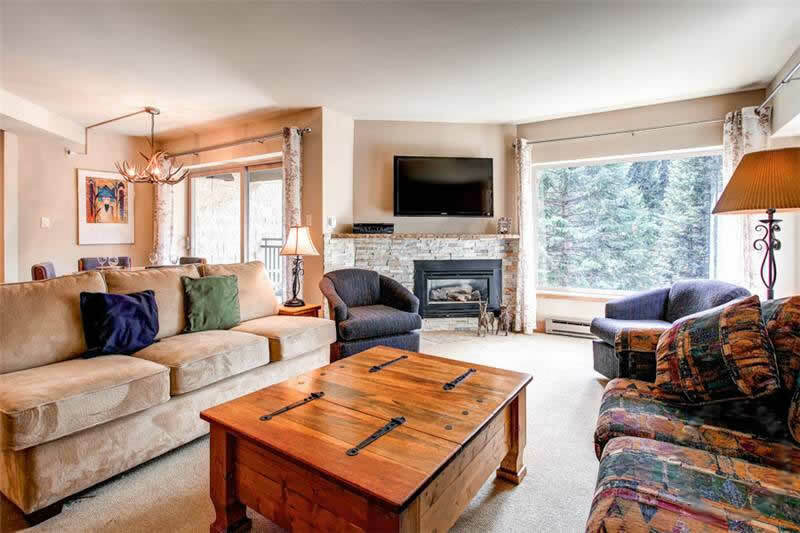 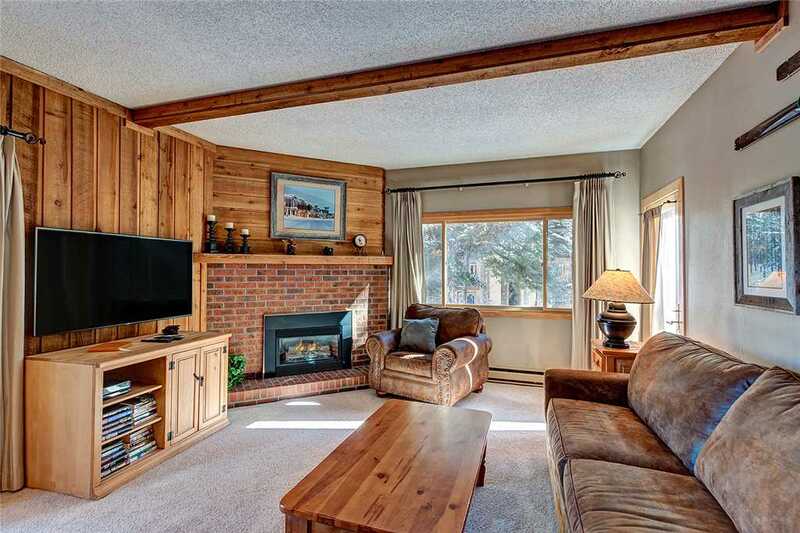 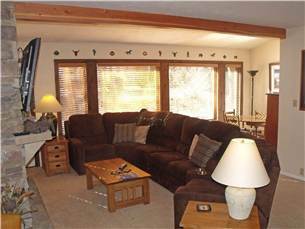 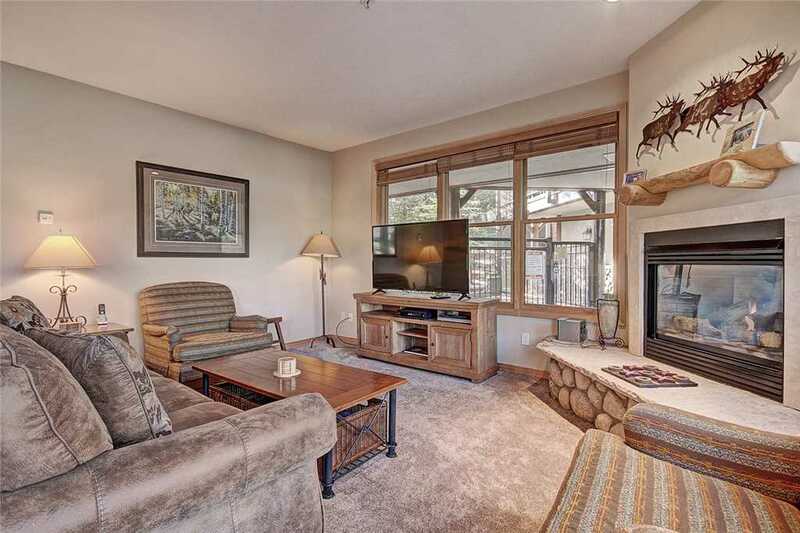 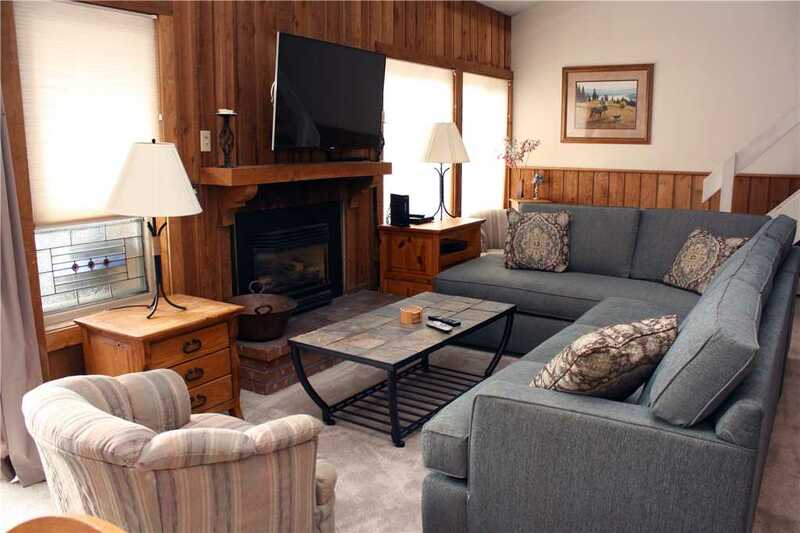 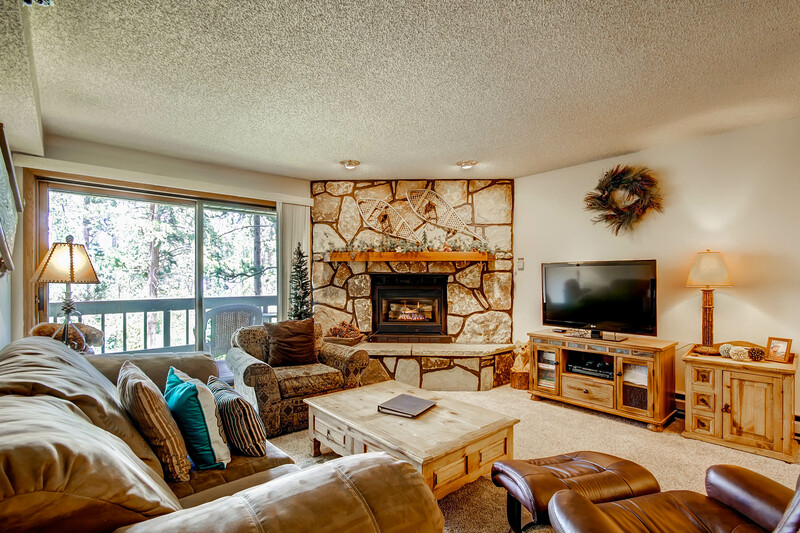 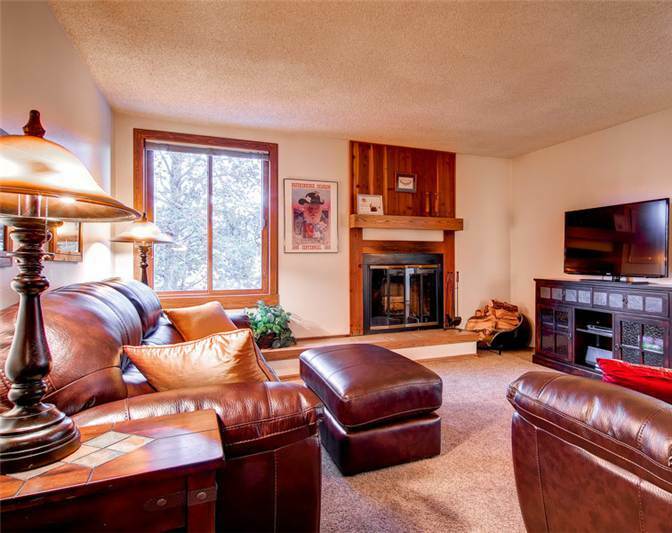 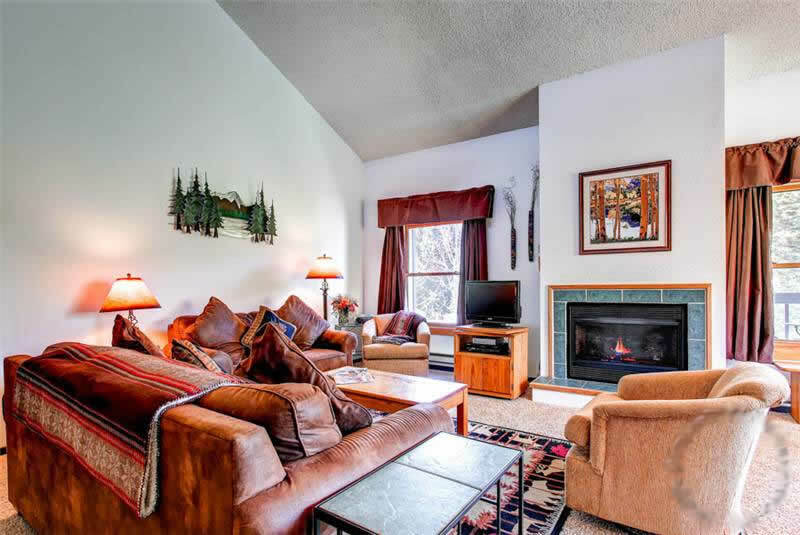 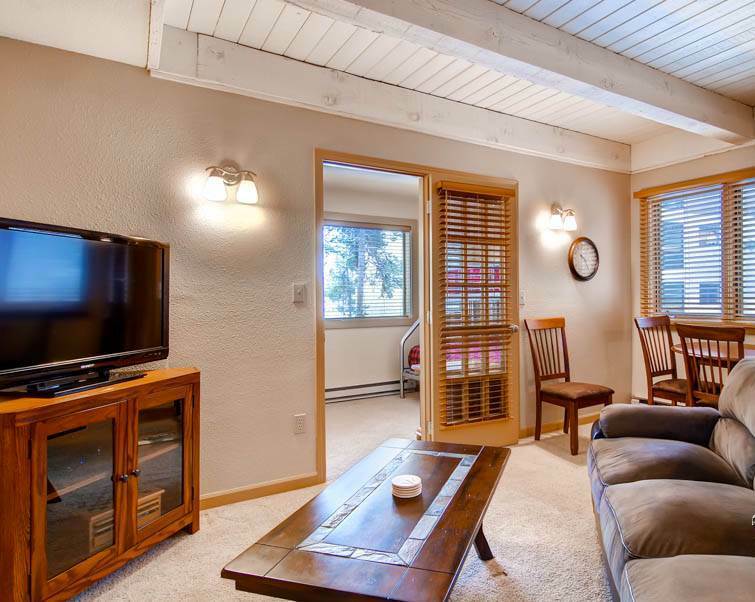 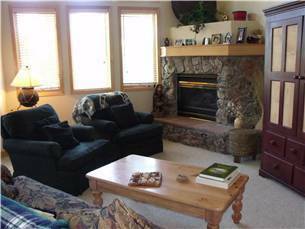 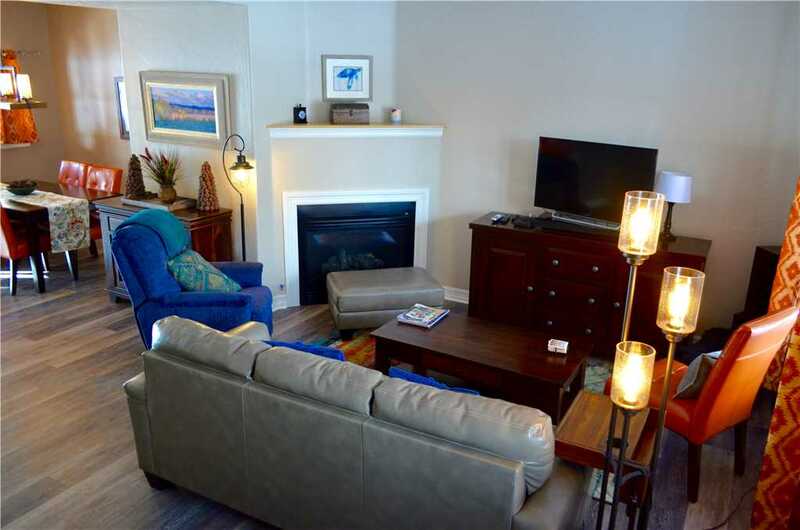 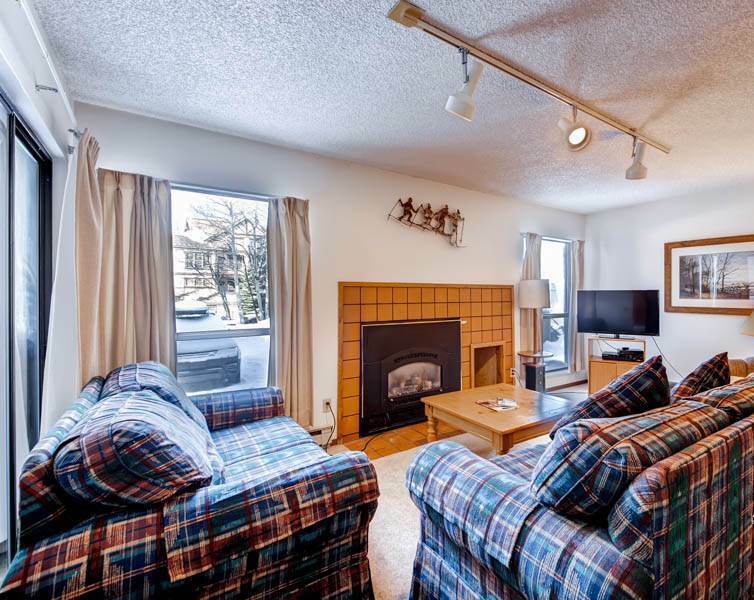 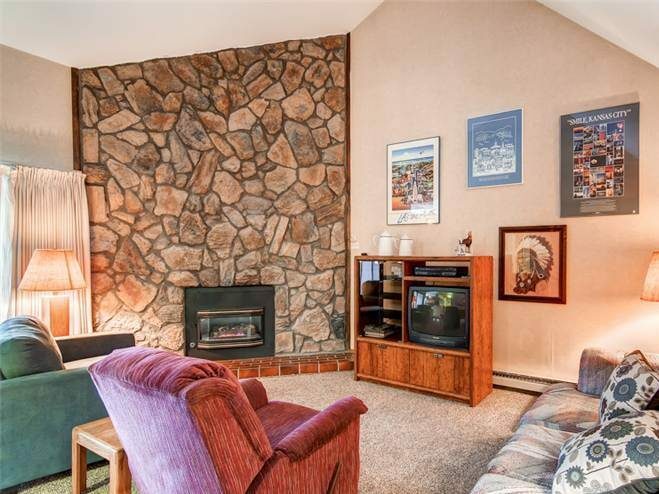 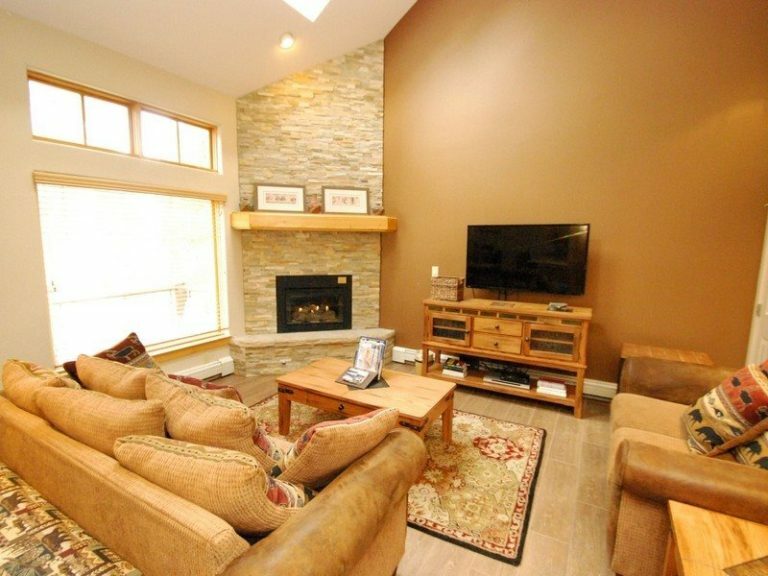 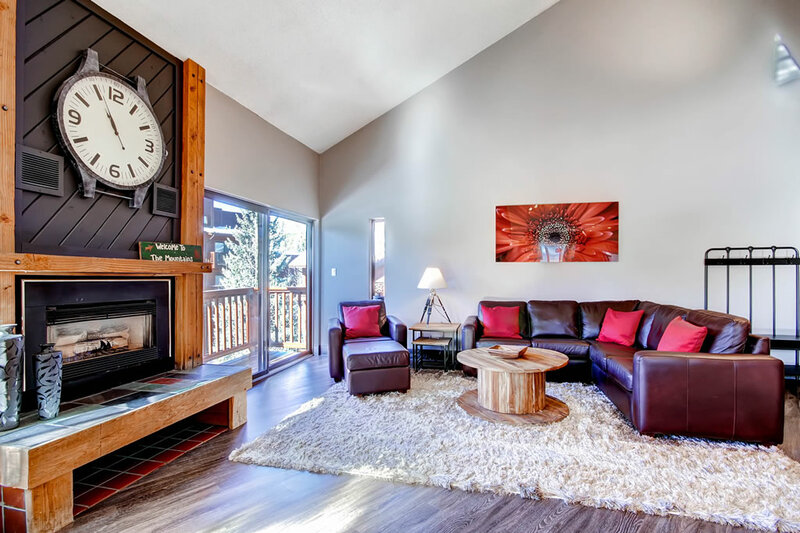 The spacious living room welcomes you as you enter; you’ll love the gas fireplace and LCD TV. 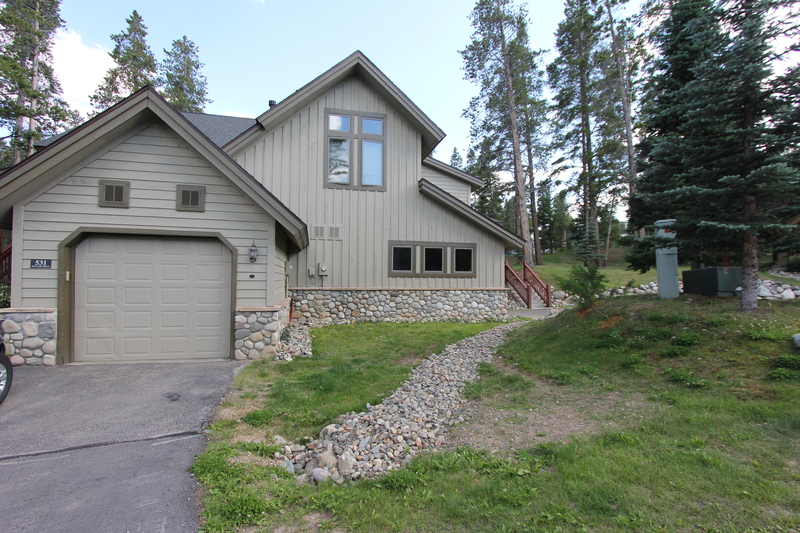 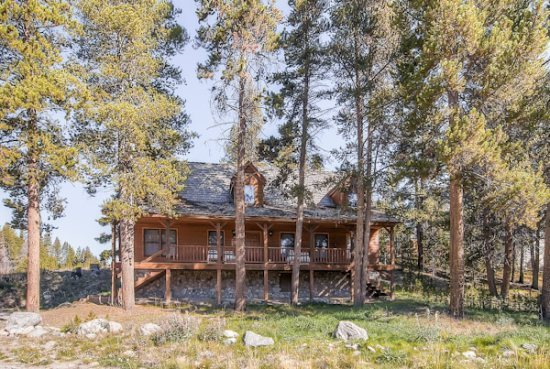 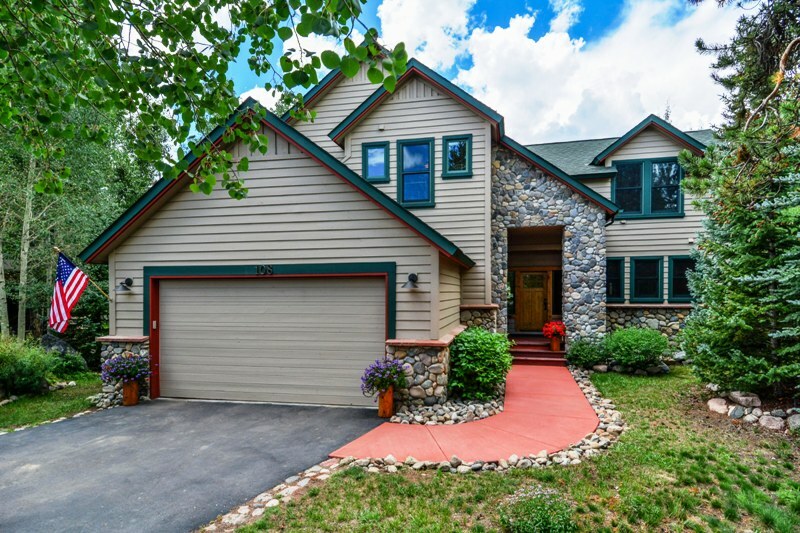 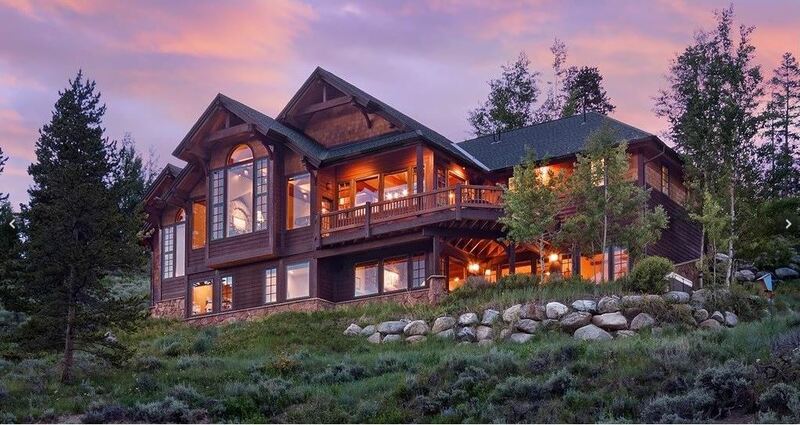 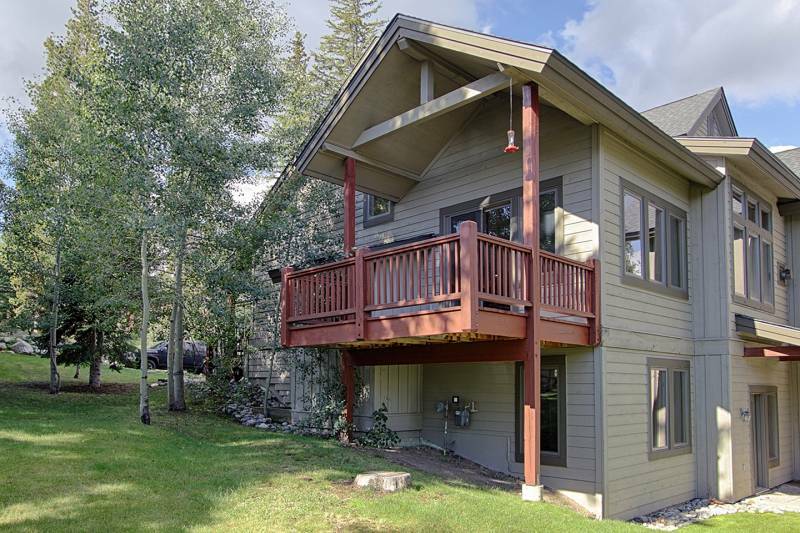 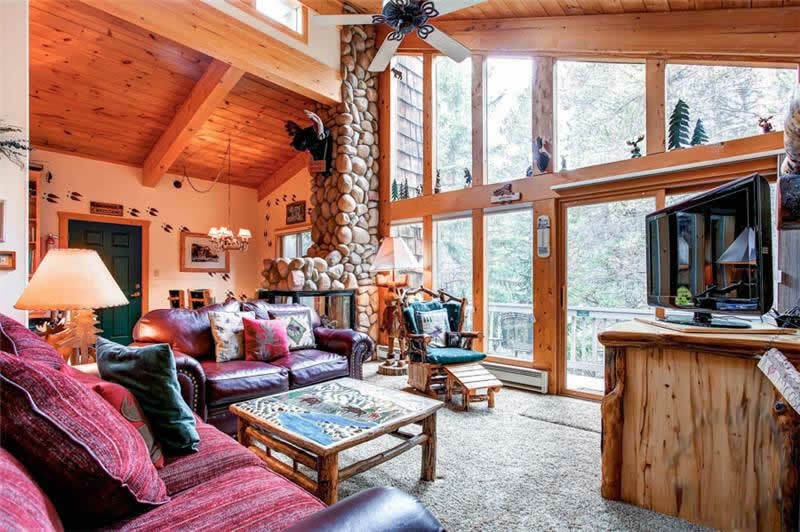 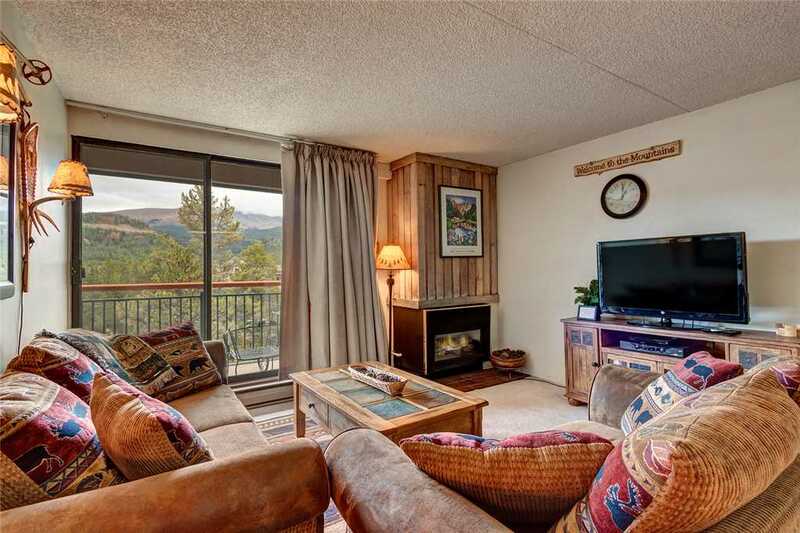 There’s a large balcony located off the living room with great views of Bald Mountain. 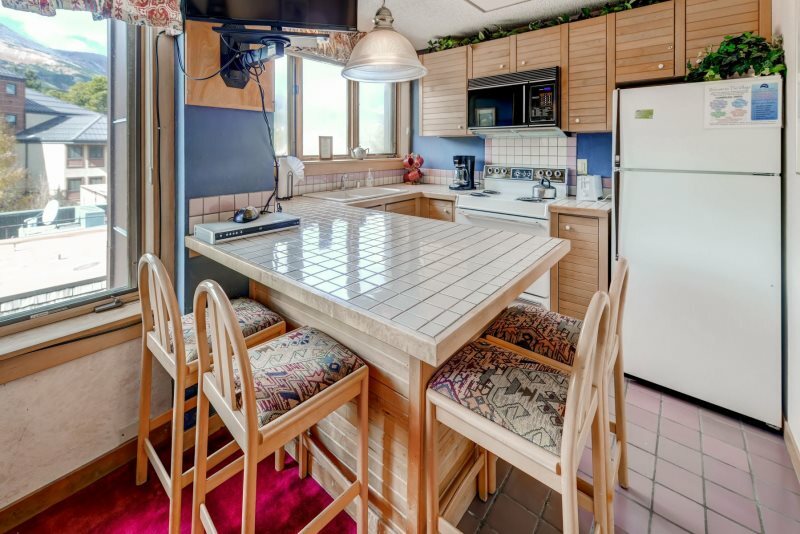 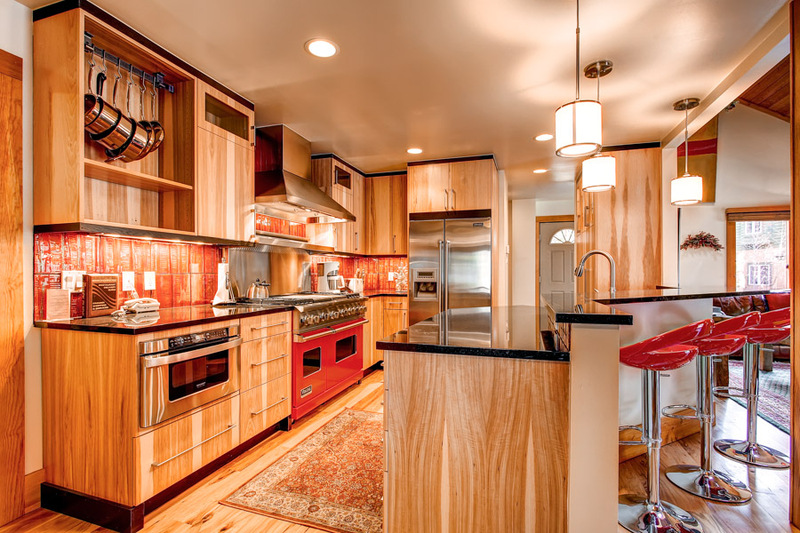 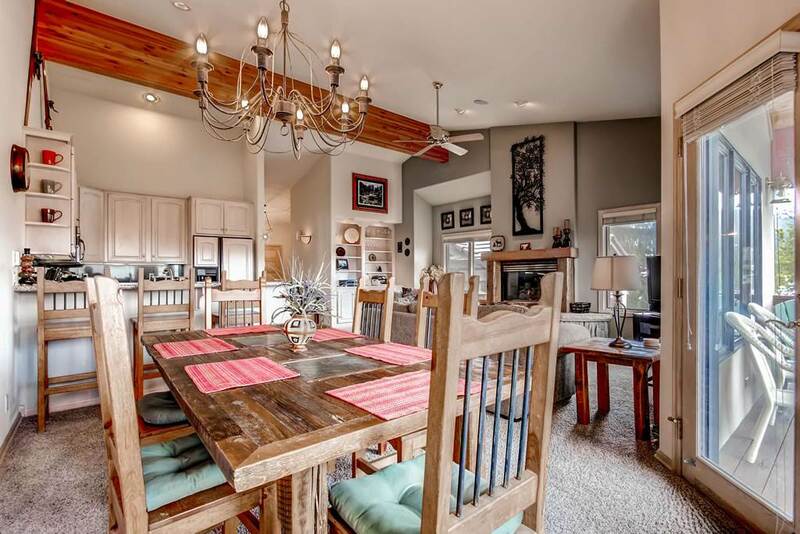 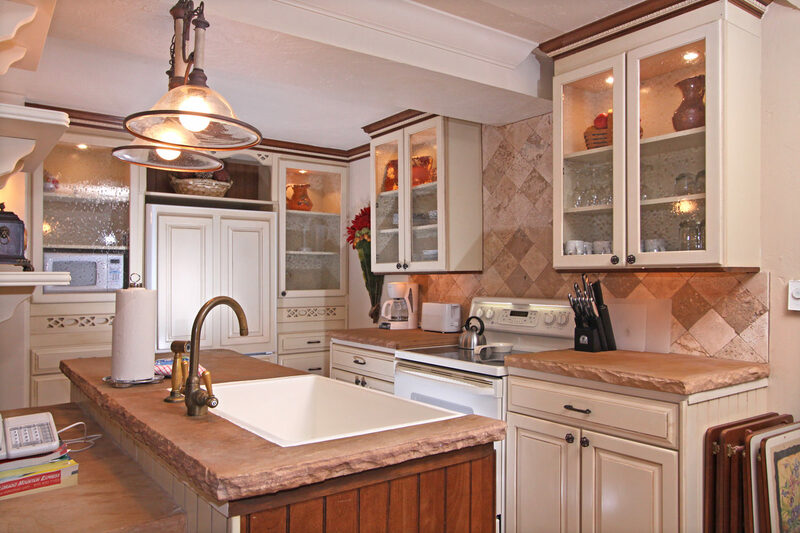 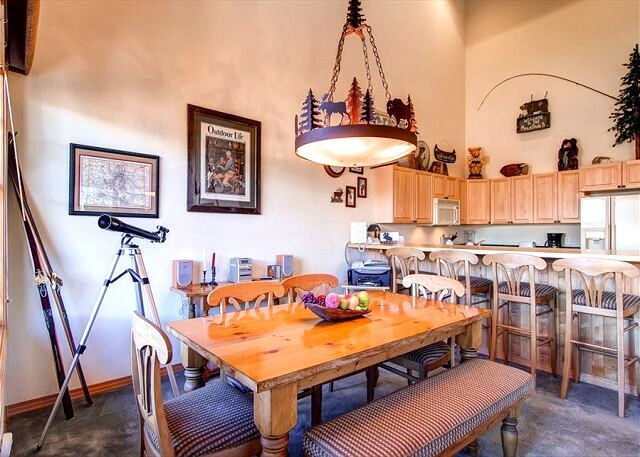 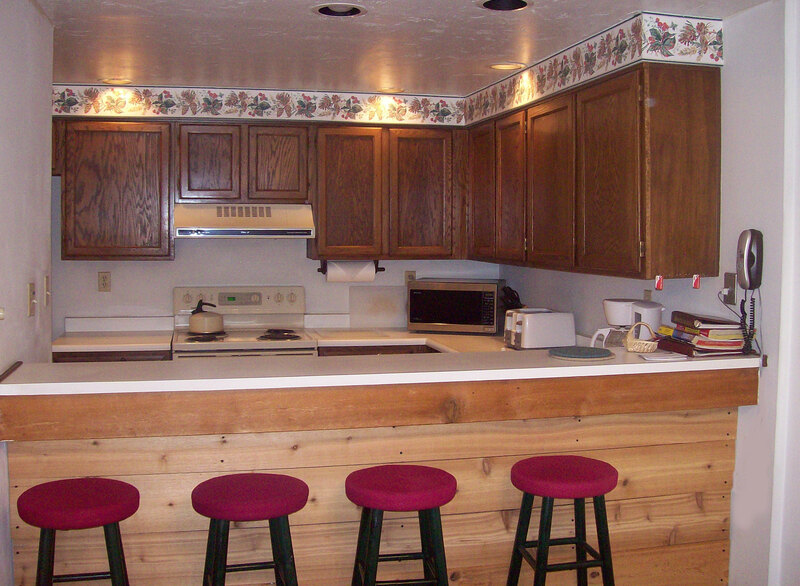 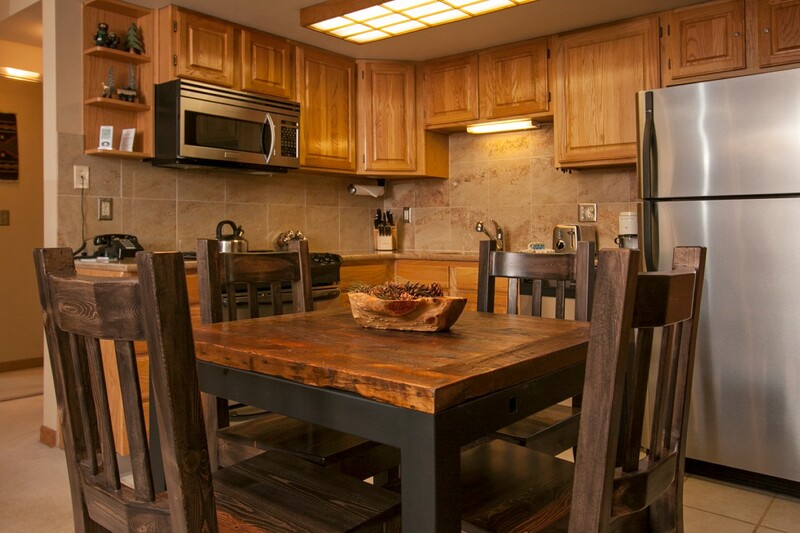 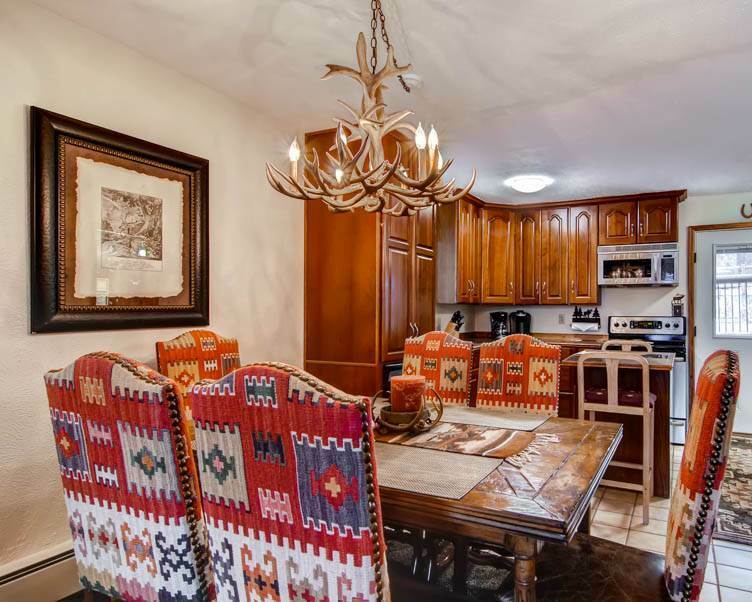 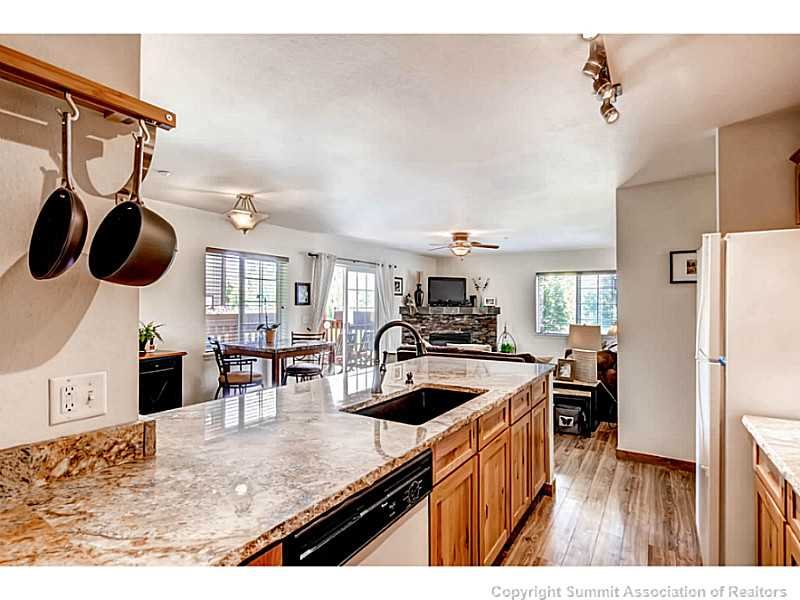 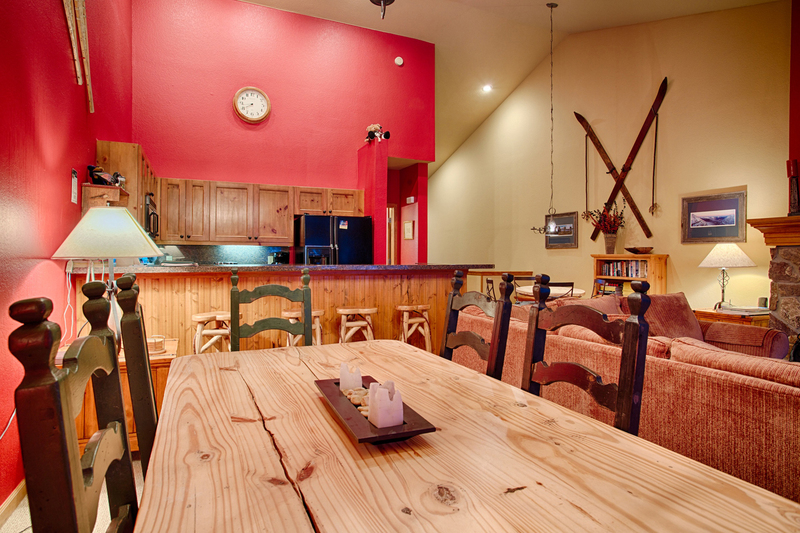 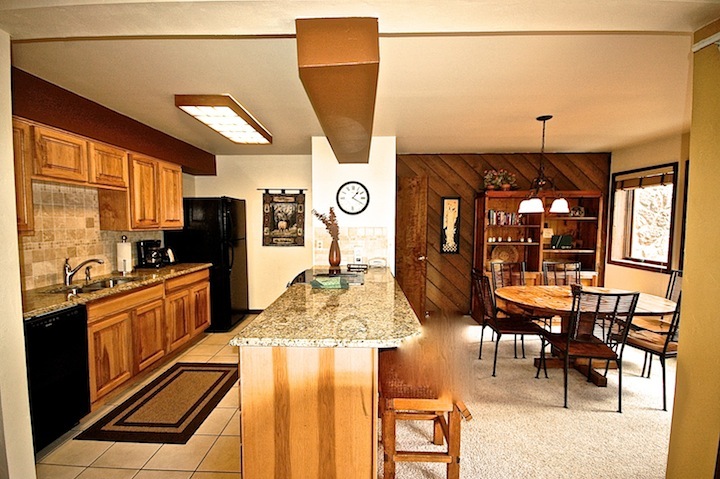 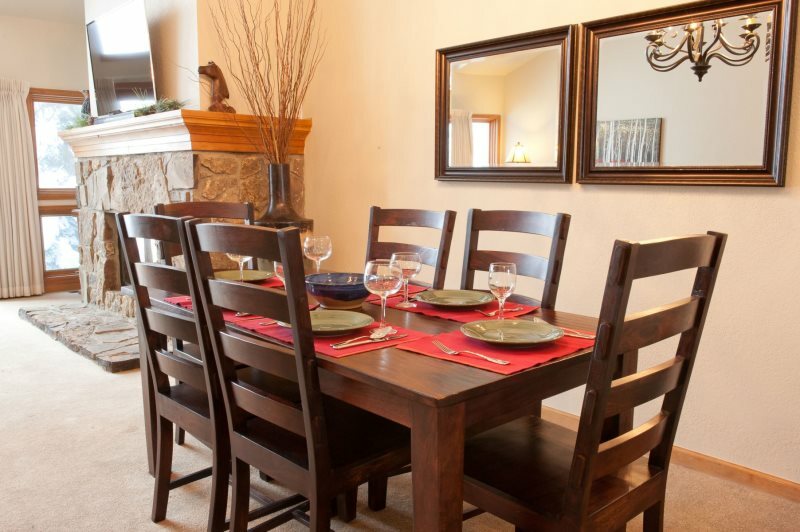 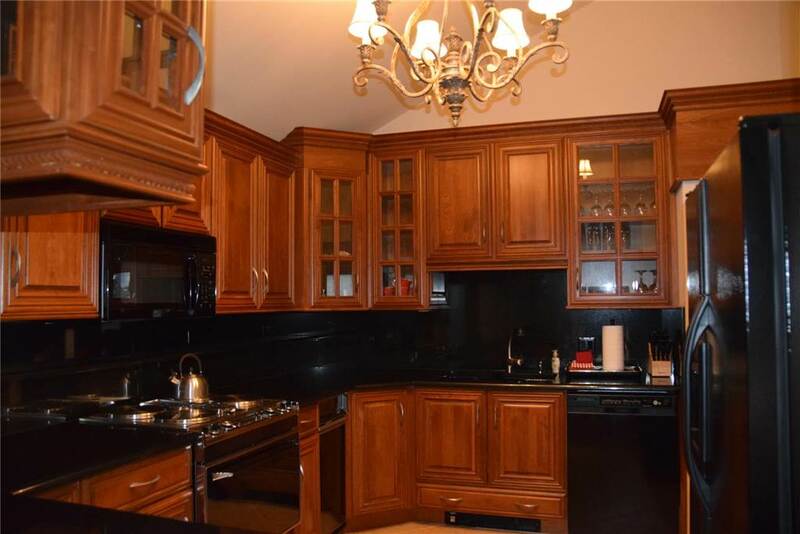 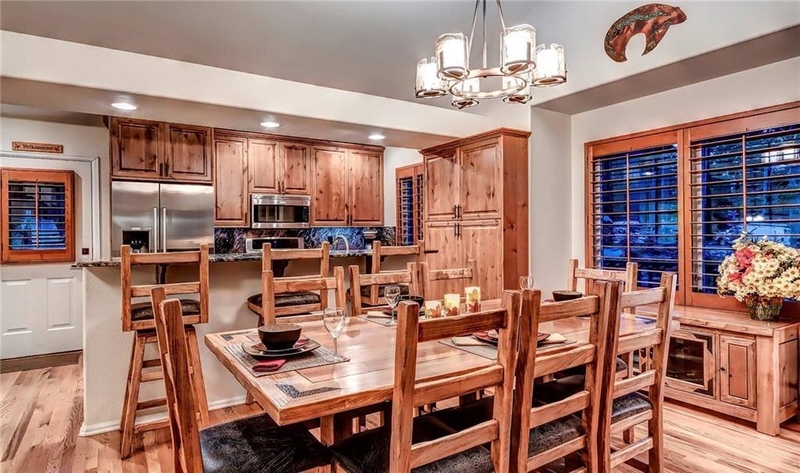 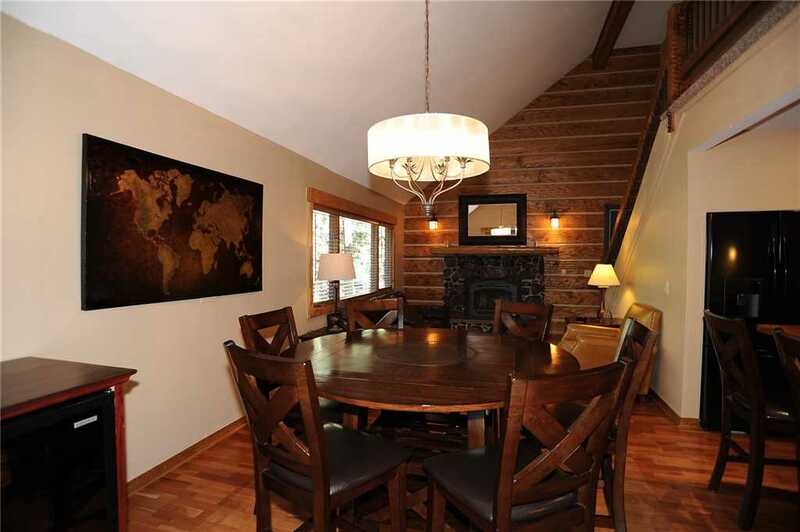 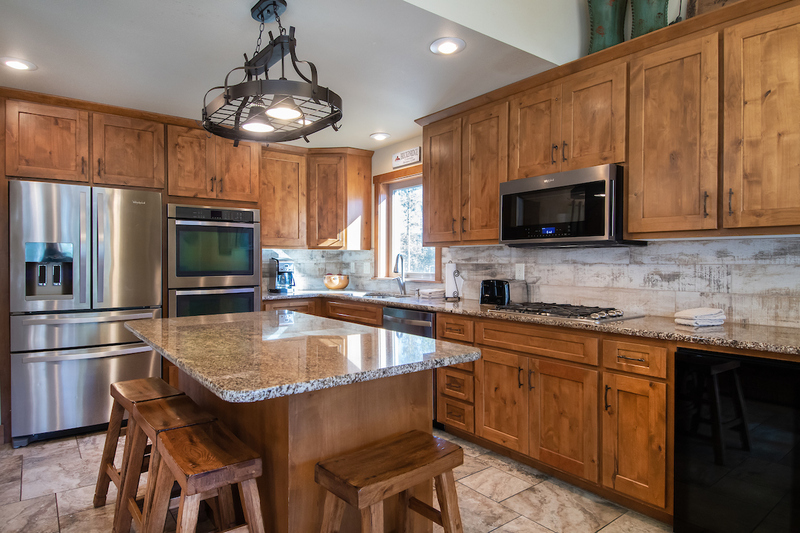 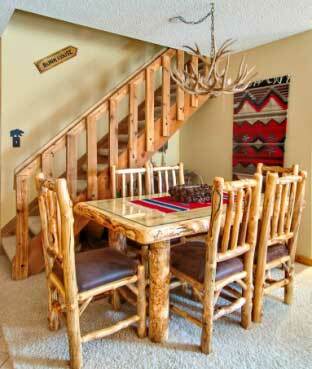 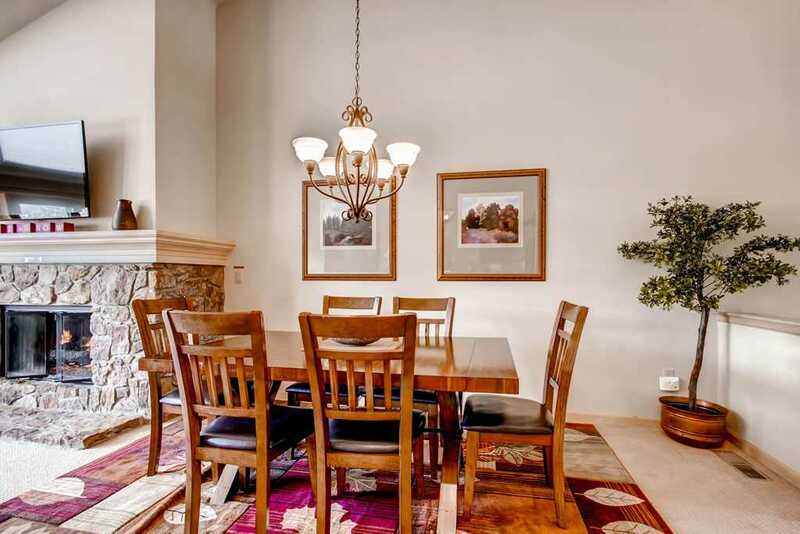 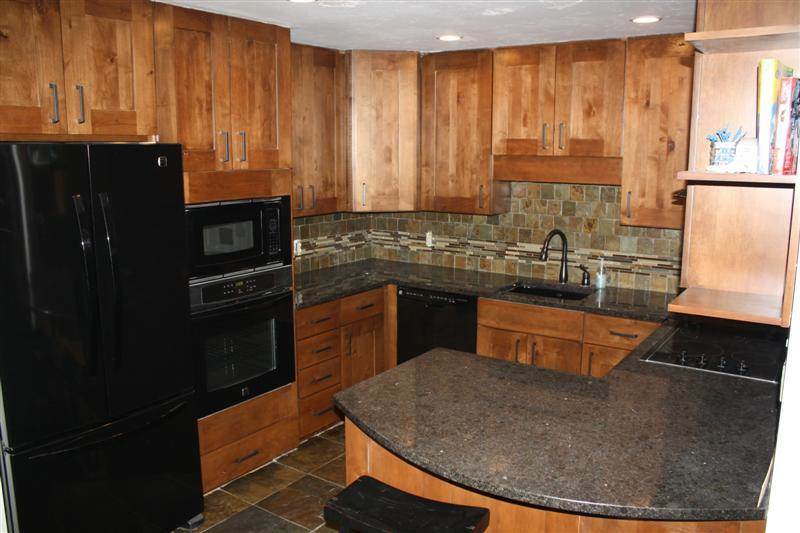 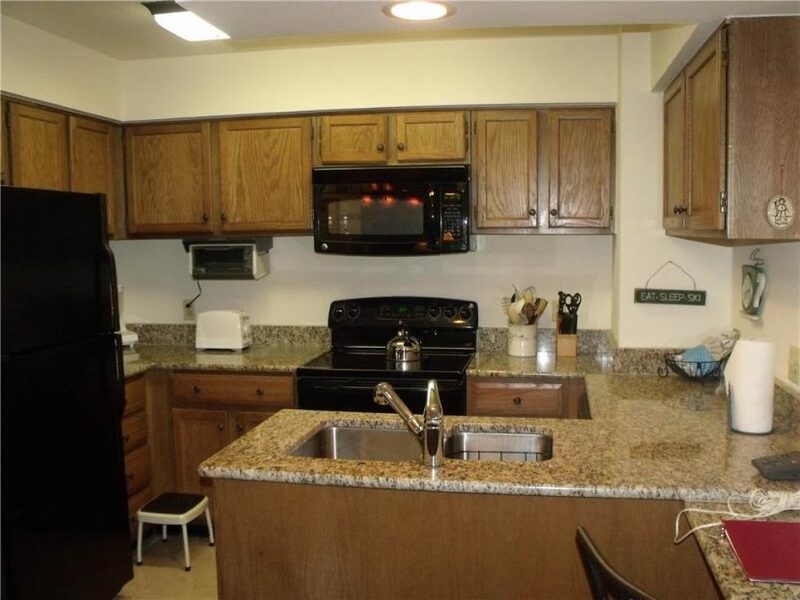 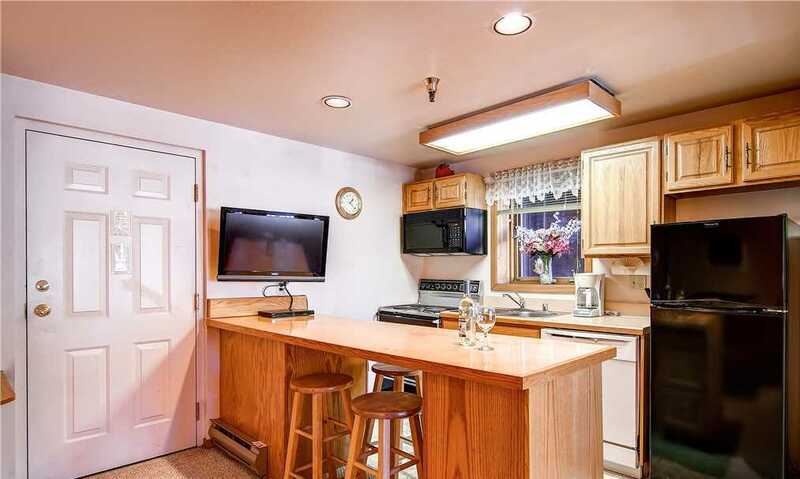 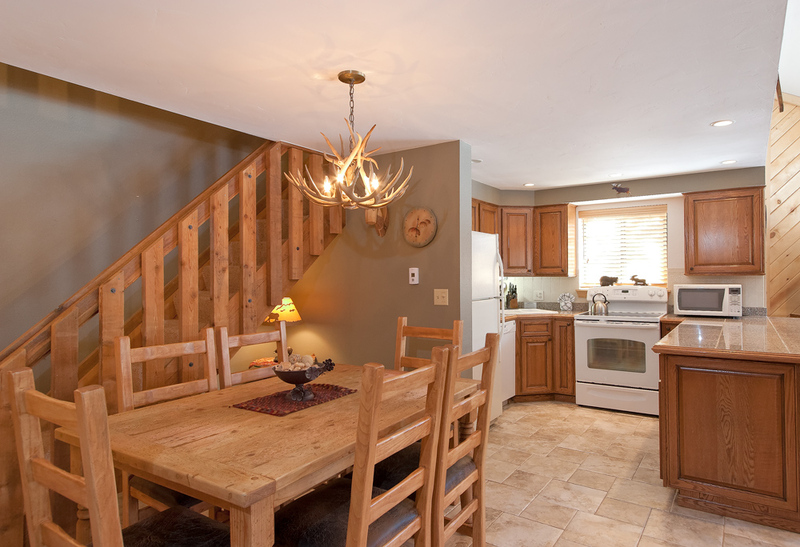 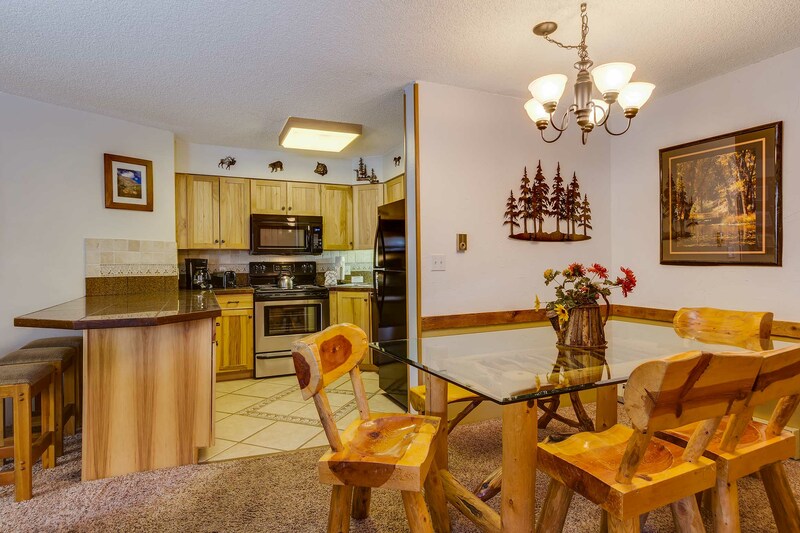 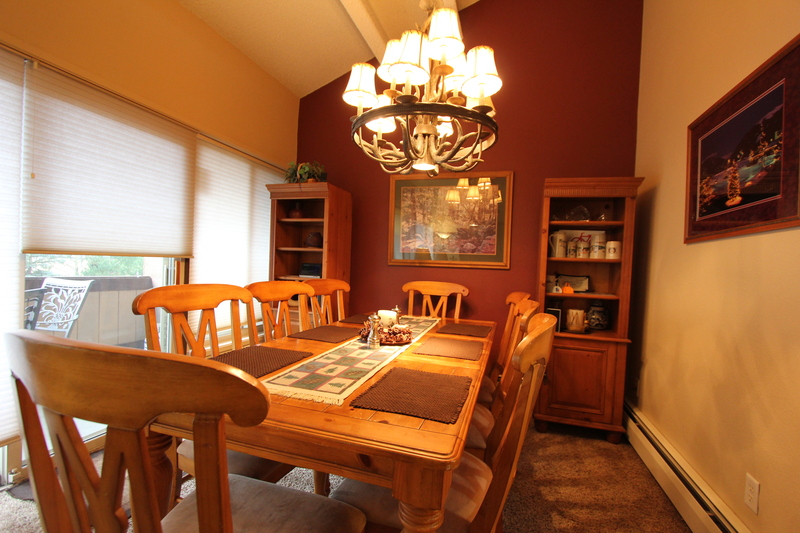 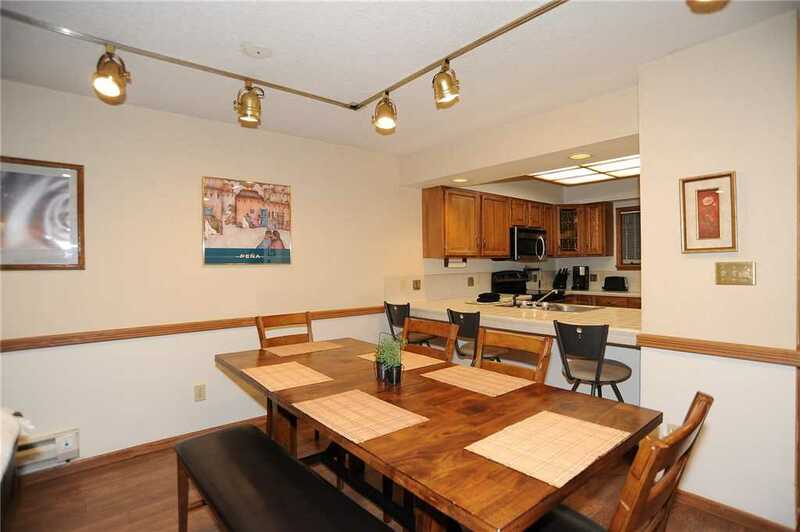 Of course, there’s a fully equipped kitchen with seating for six at the dining table. 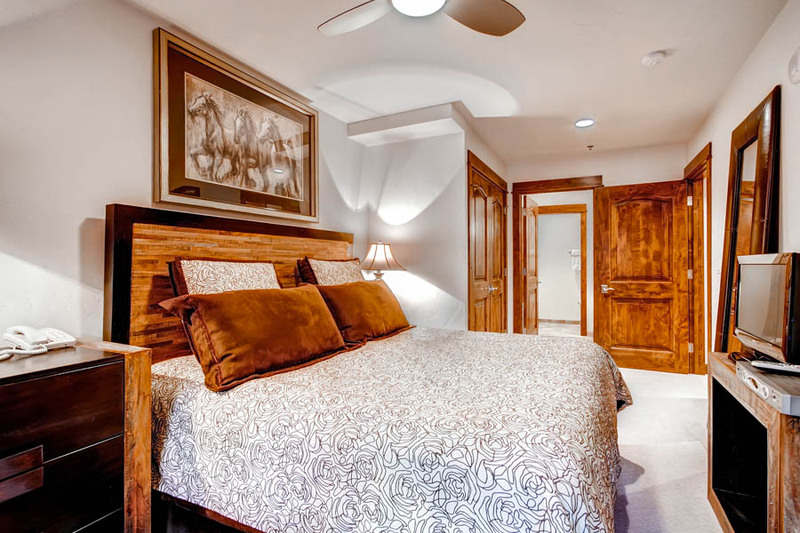 Other amenities include covered assigned parking spaces, elevator service, private laundry, complimentary Wi-Fi and pool/hot tub access. 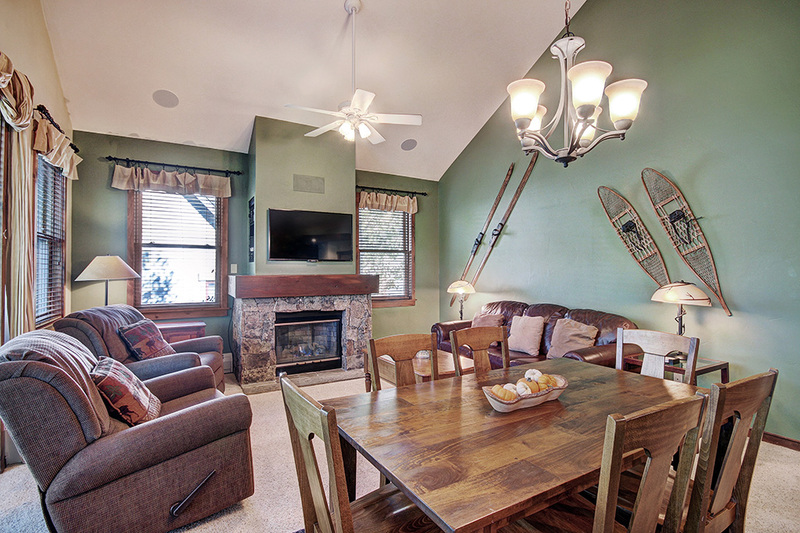 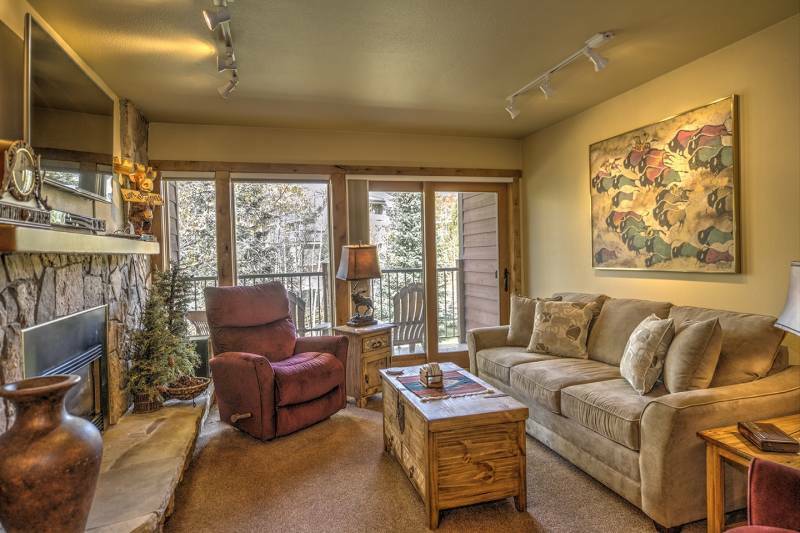 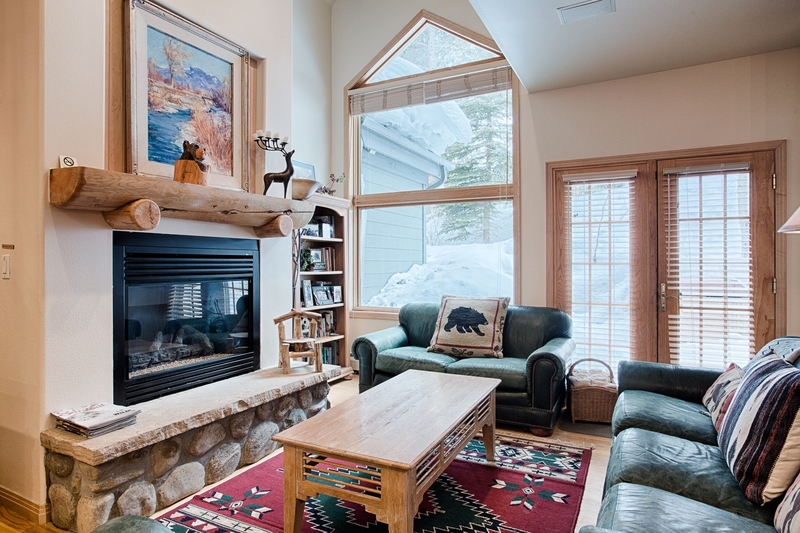 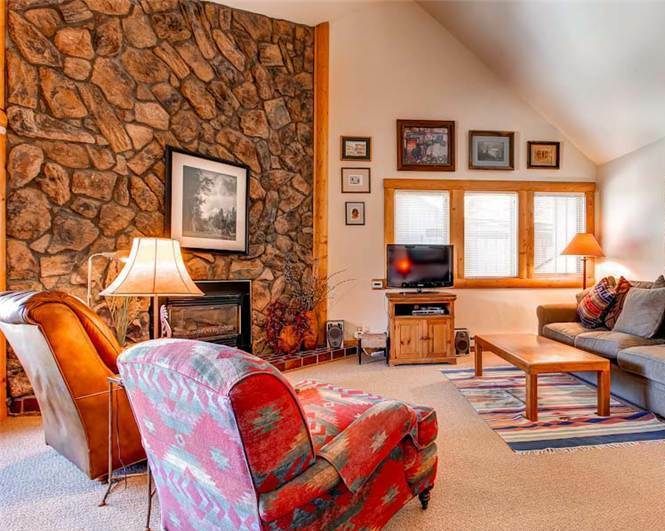 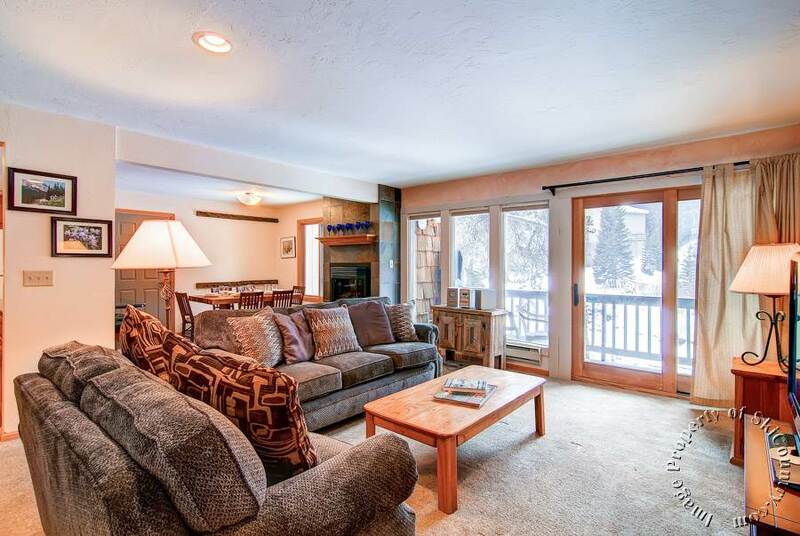 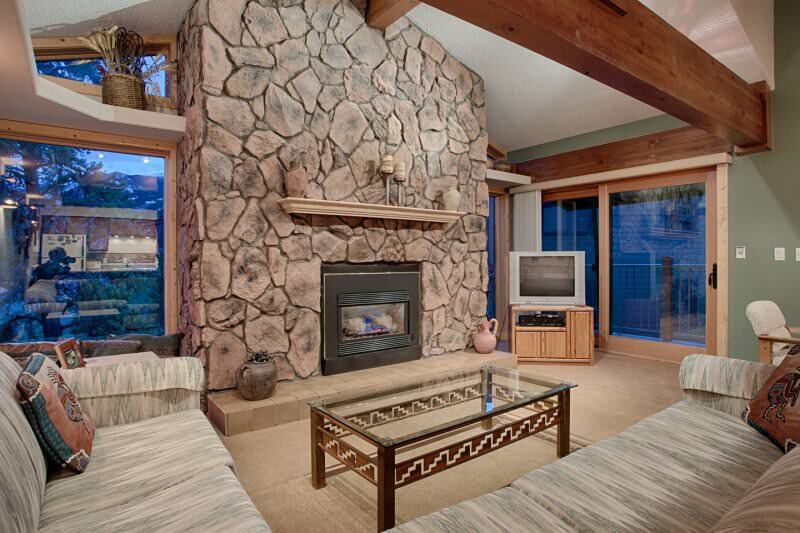 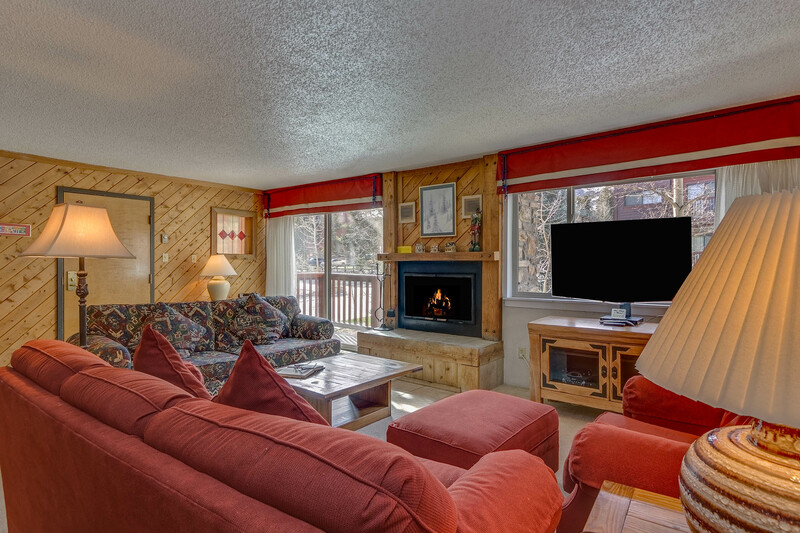 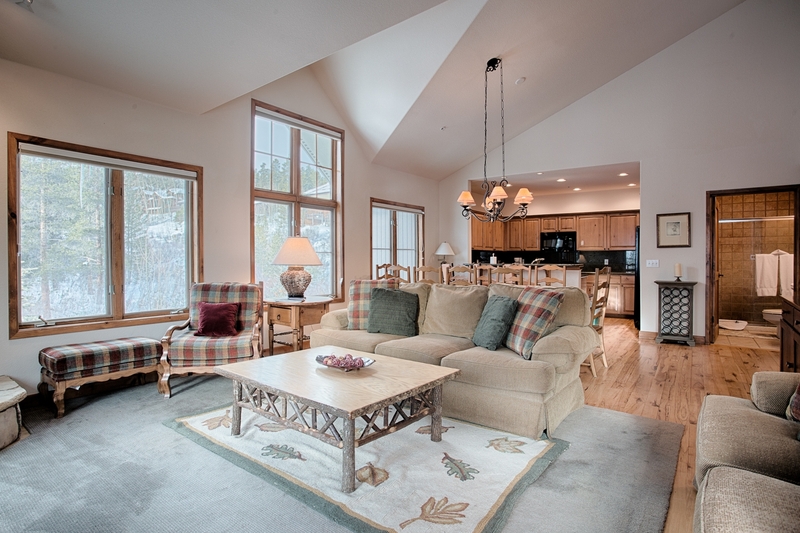 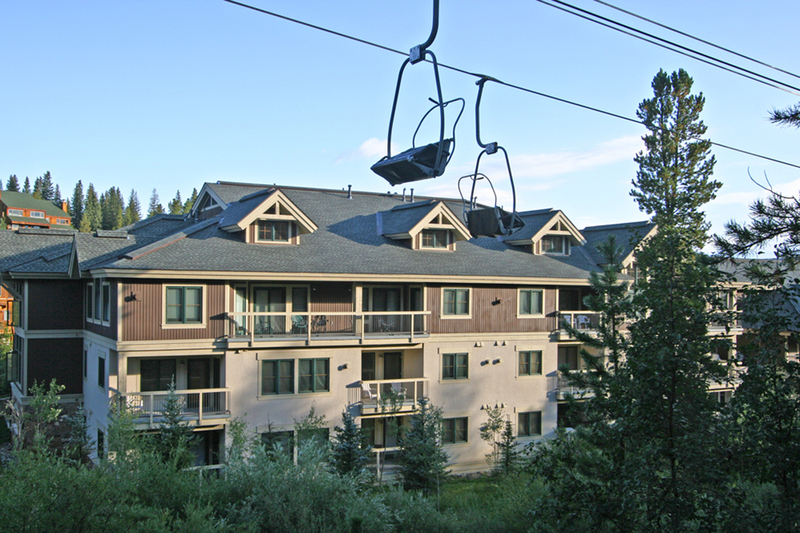 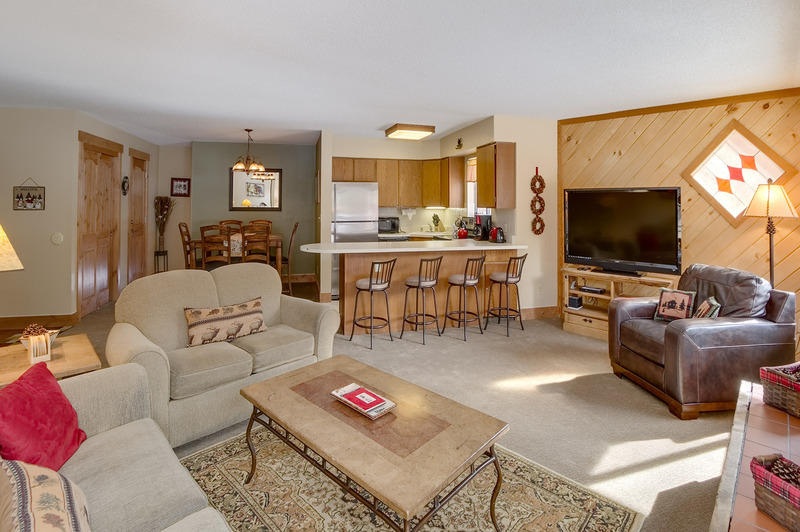 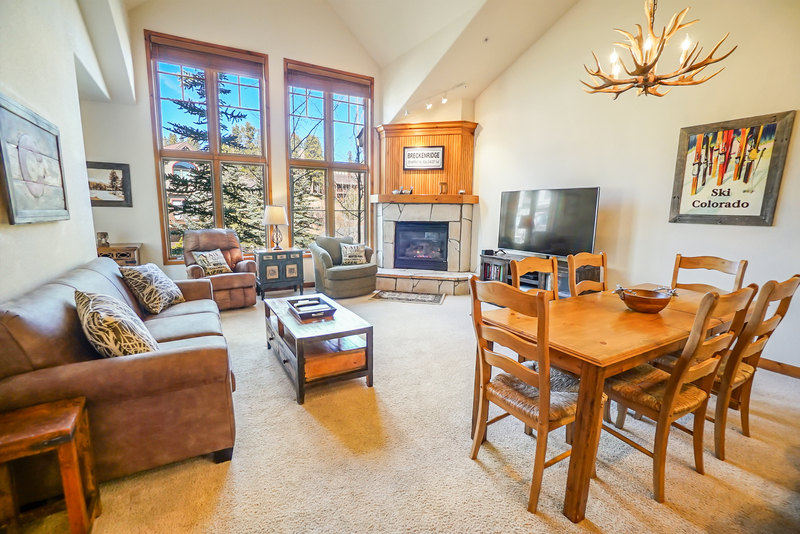 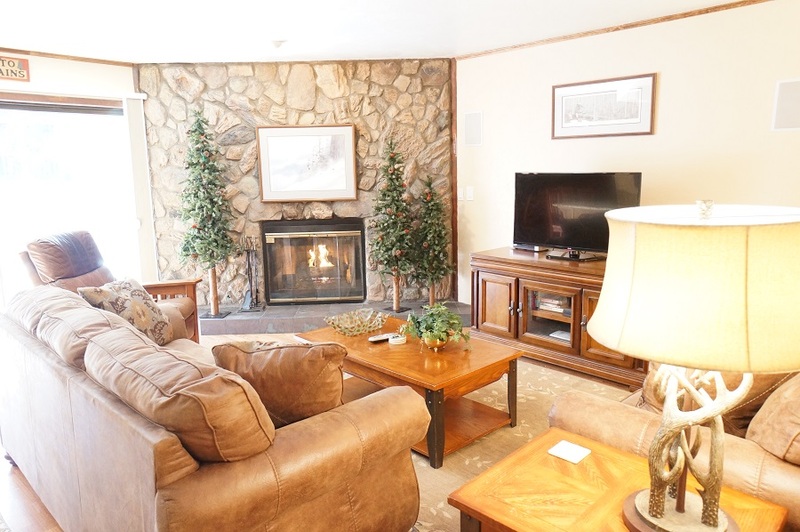 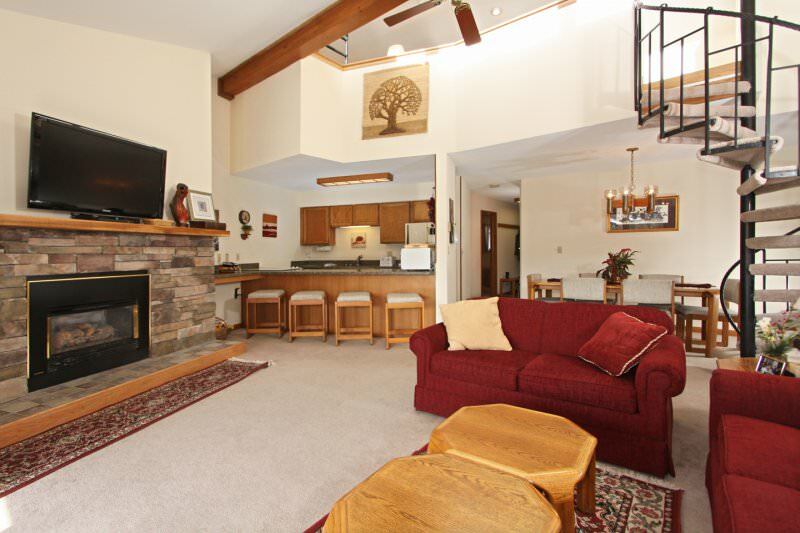 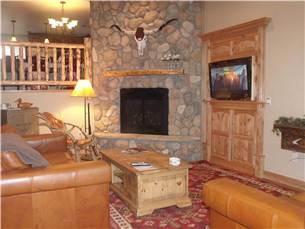 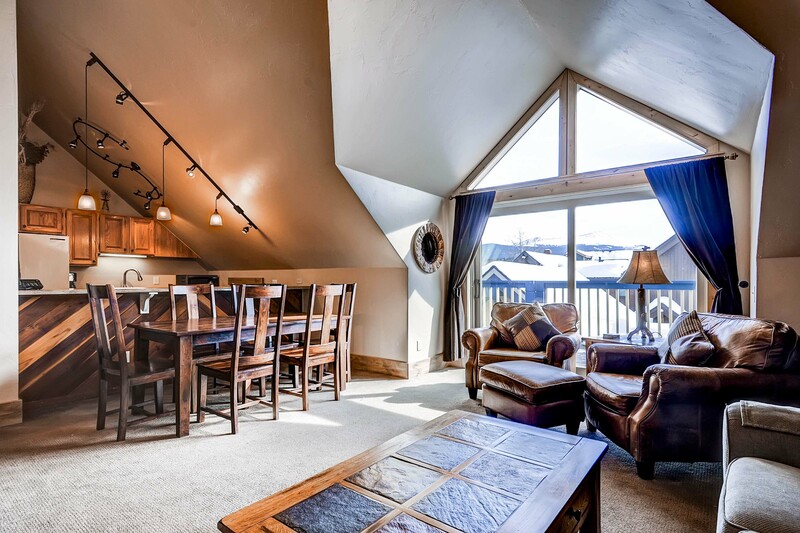 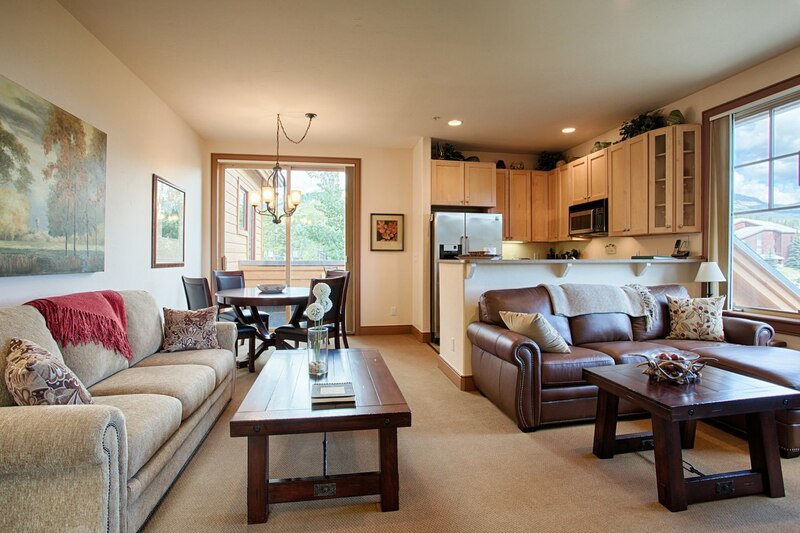 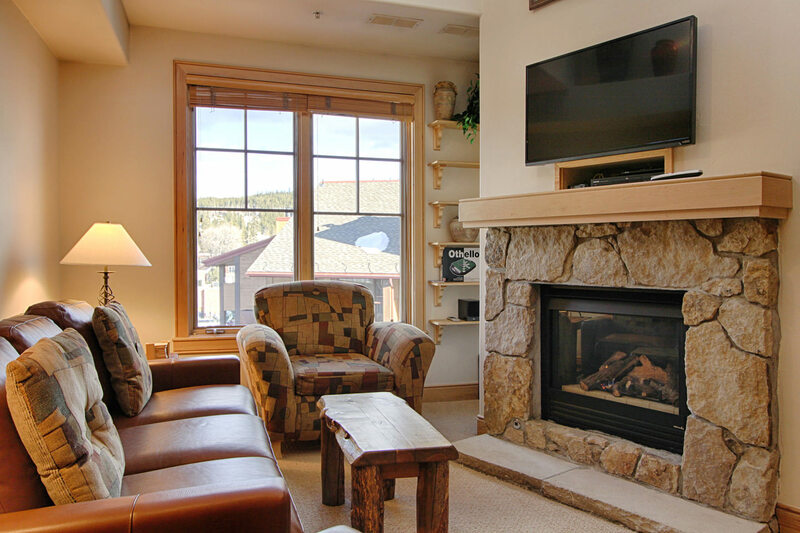 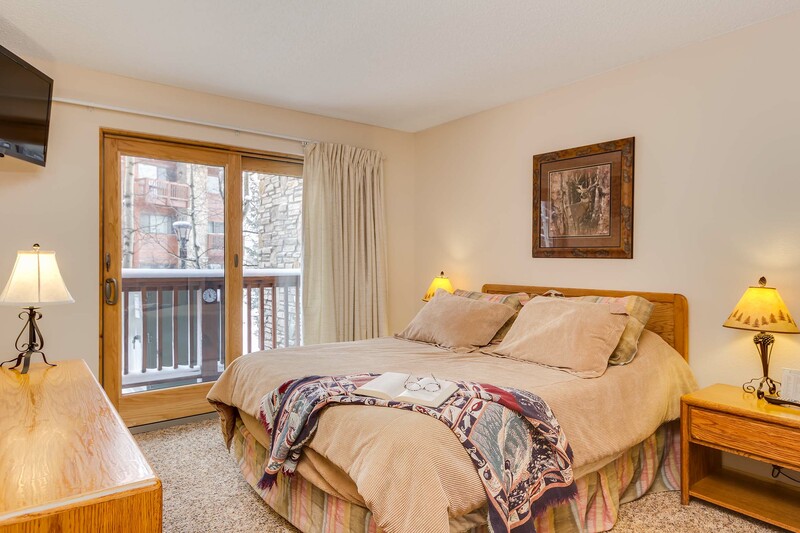 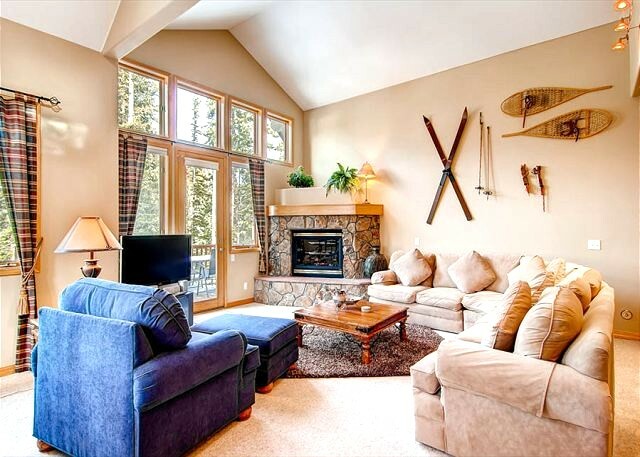 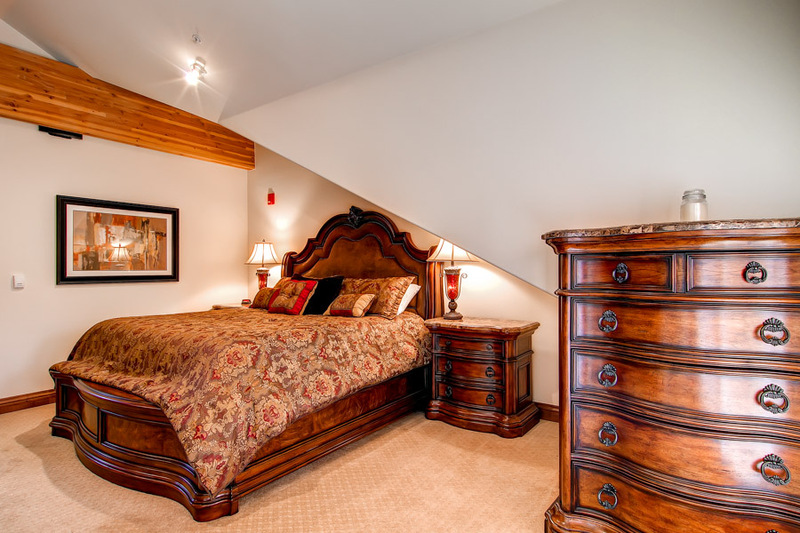 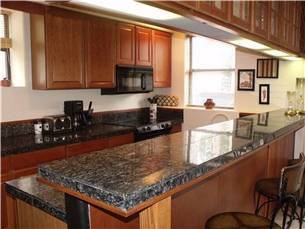 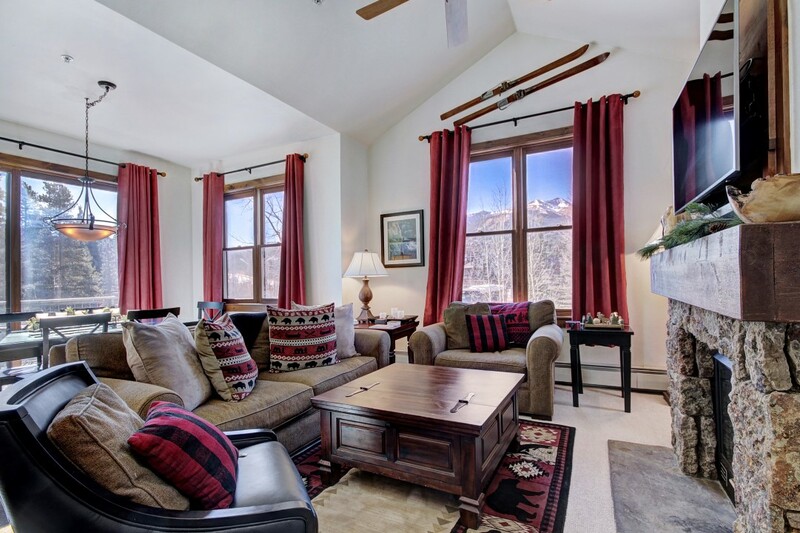 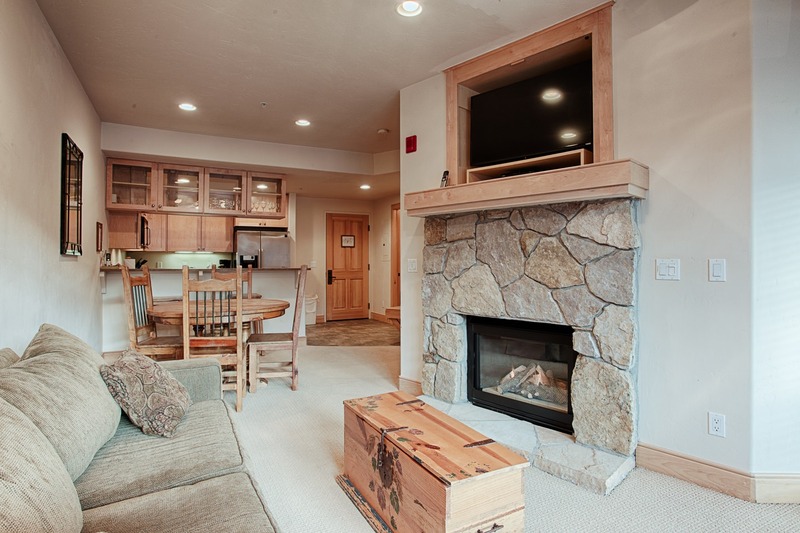 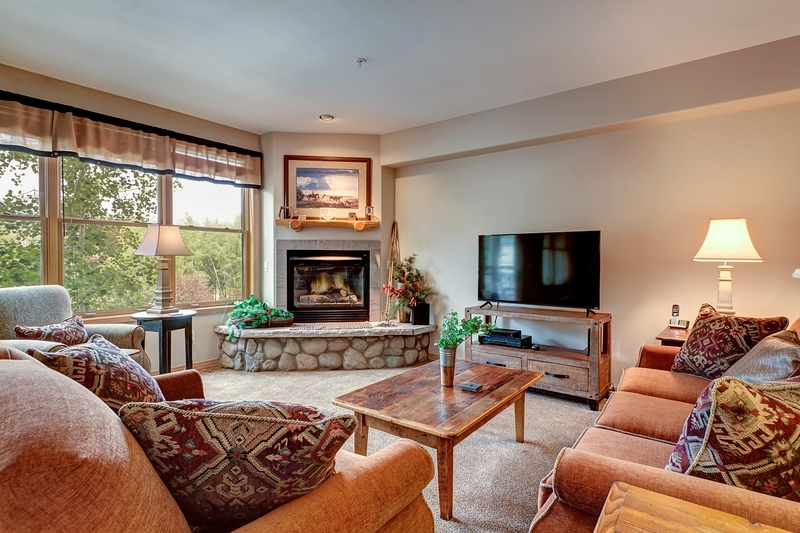 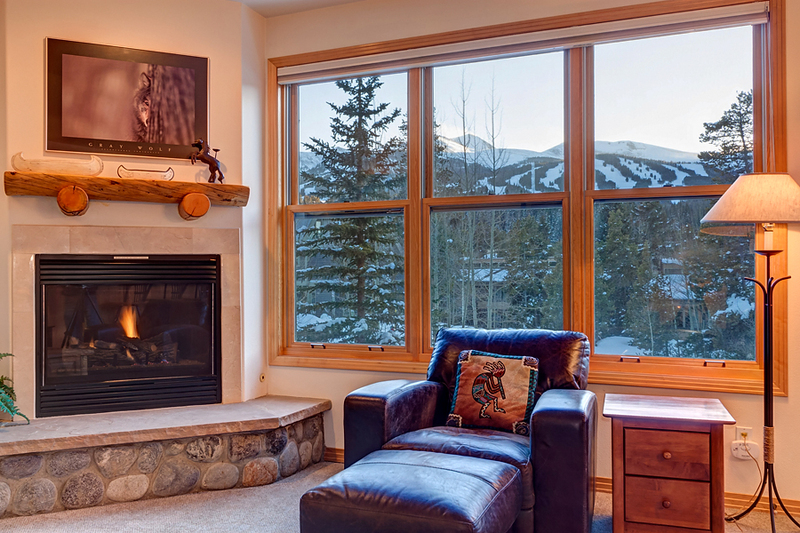 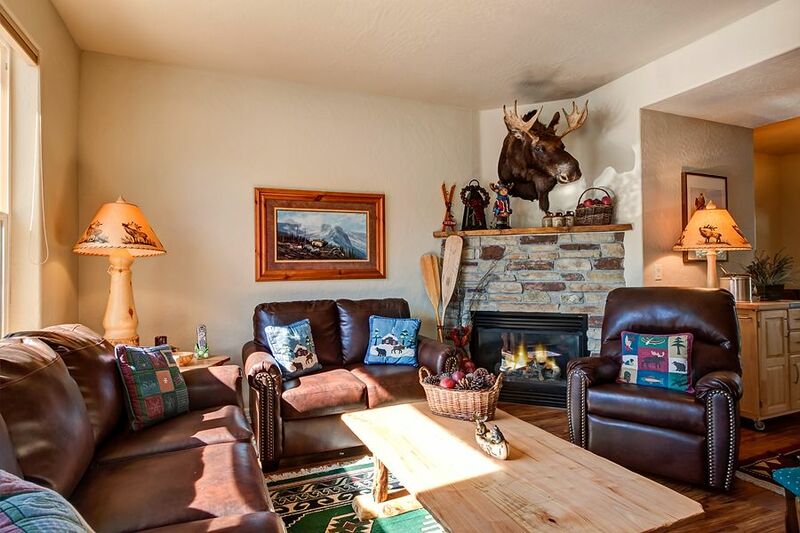 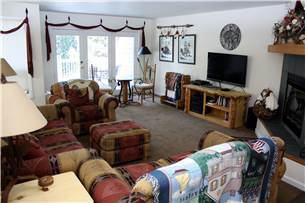 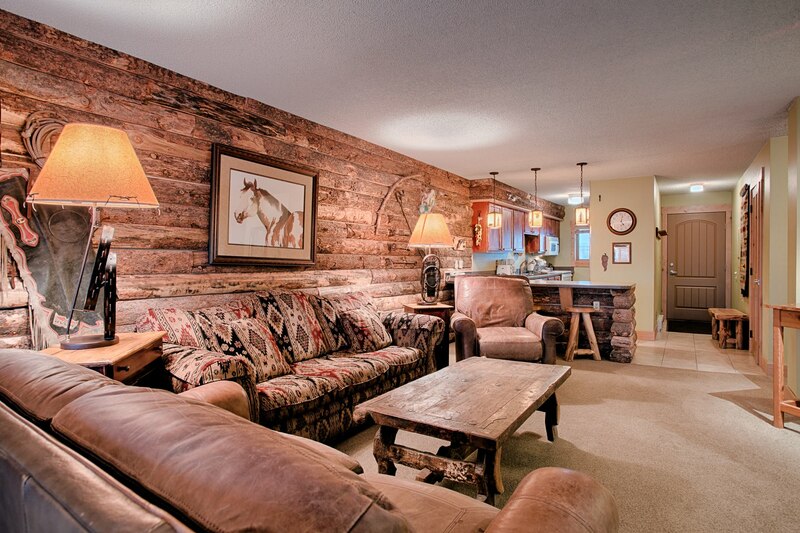 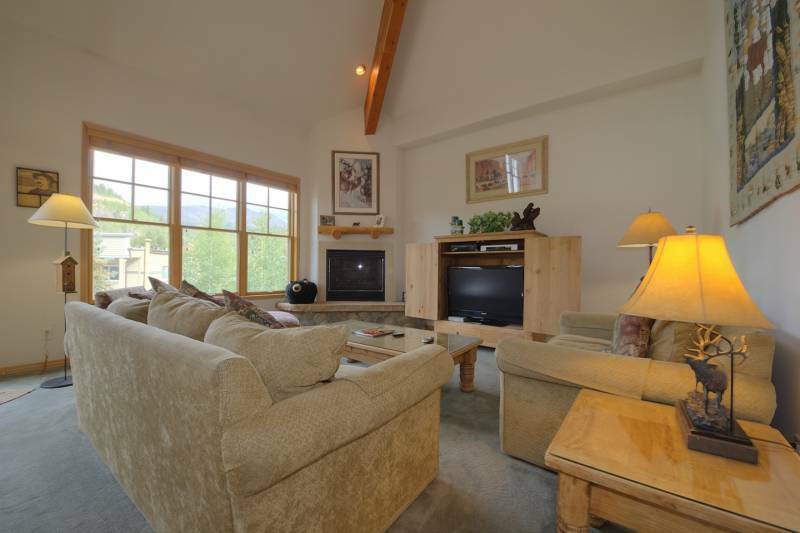 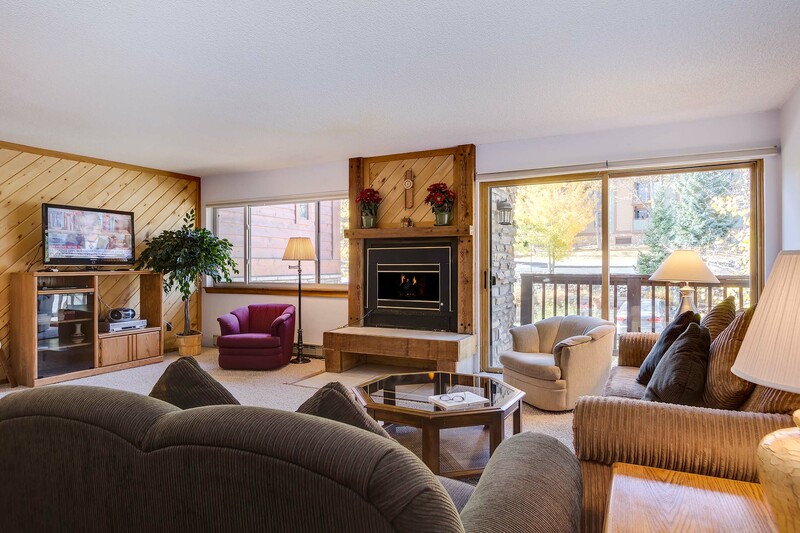 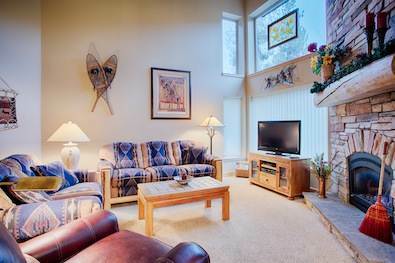 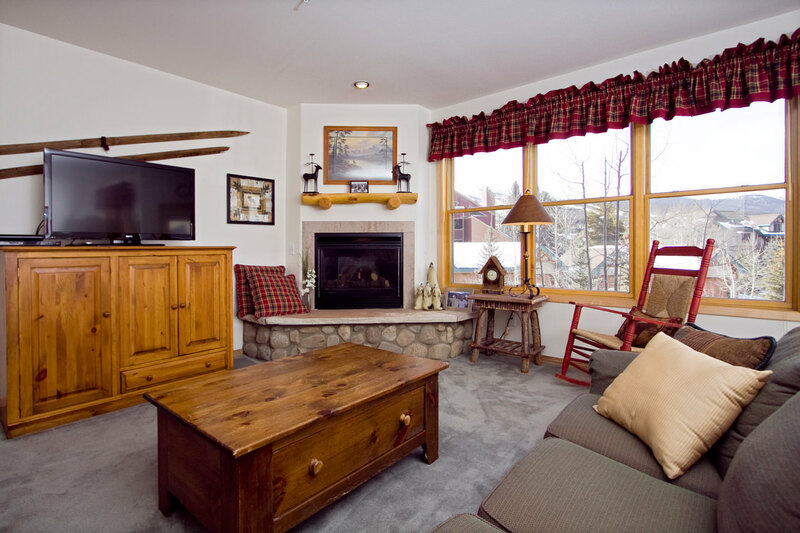 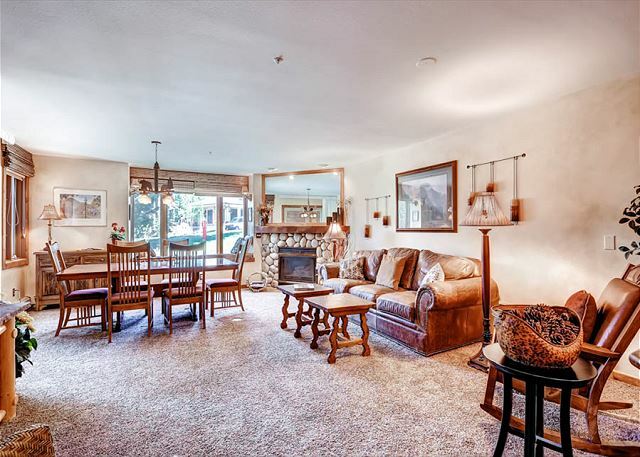 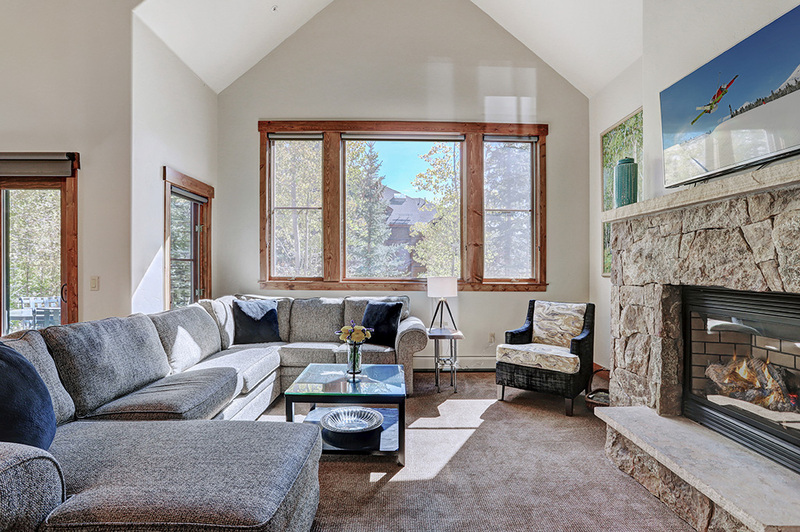 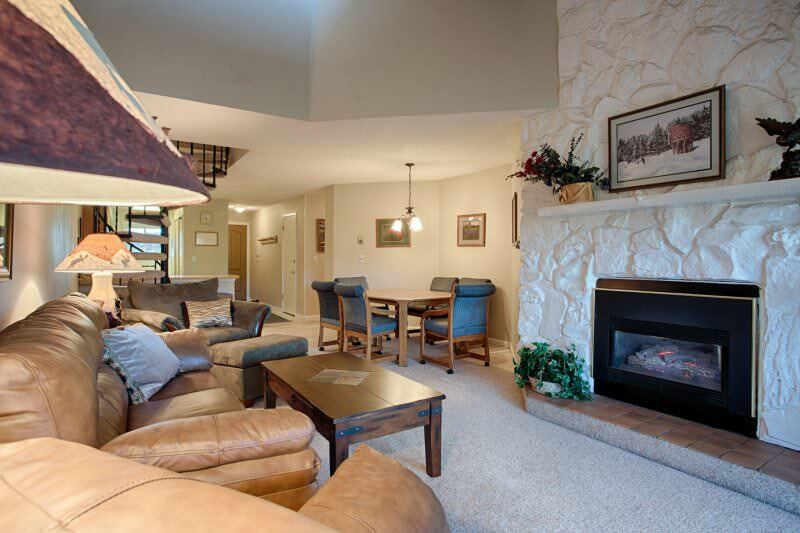 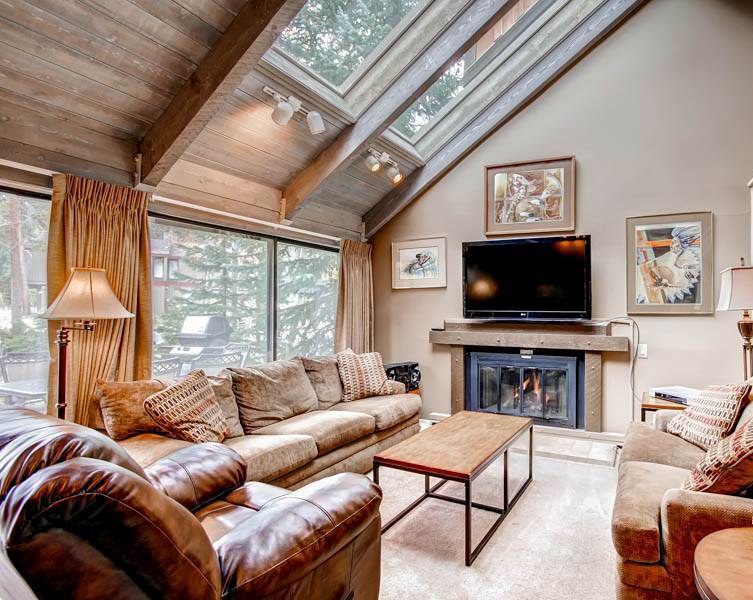 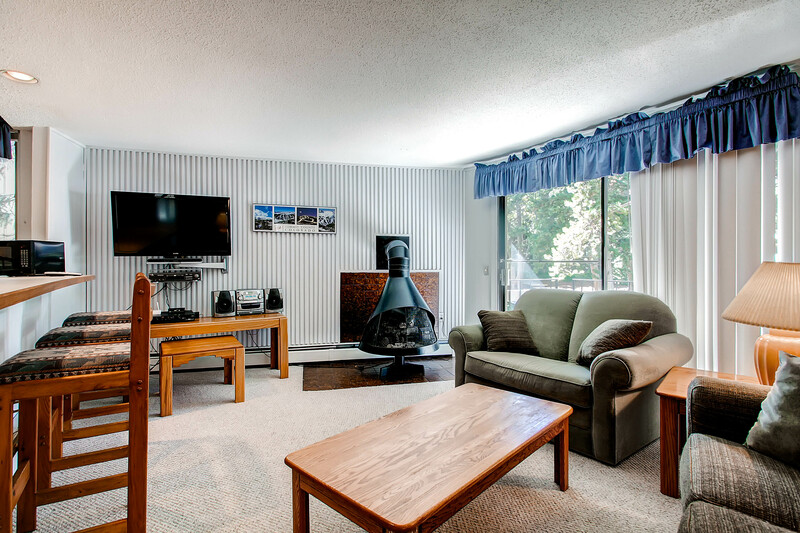 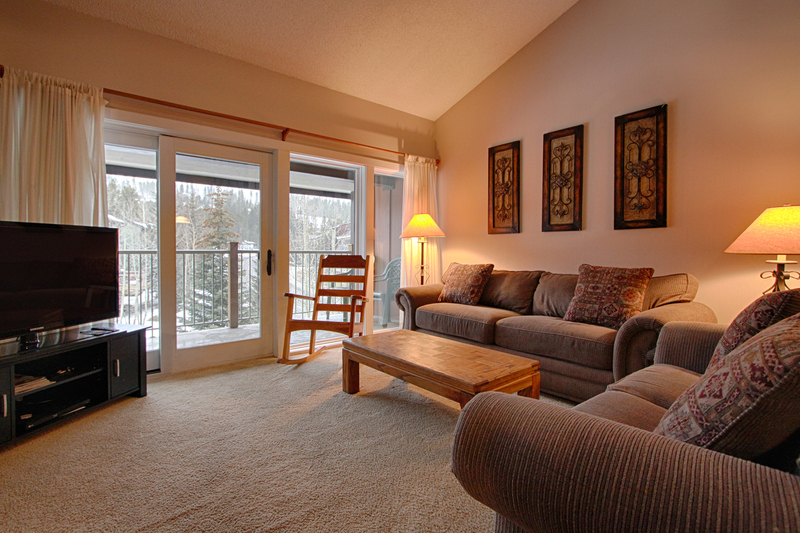 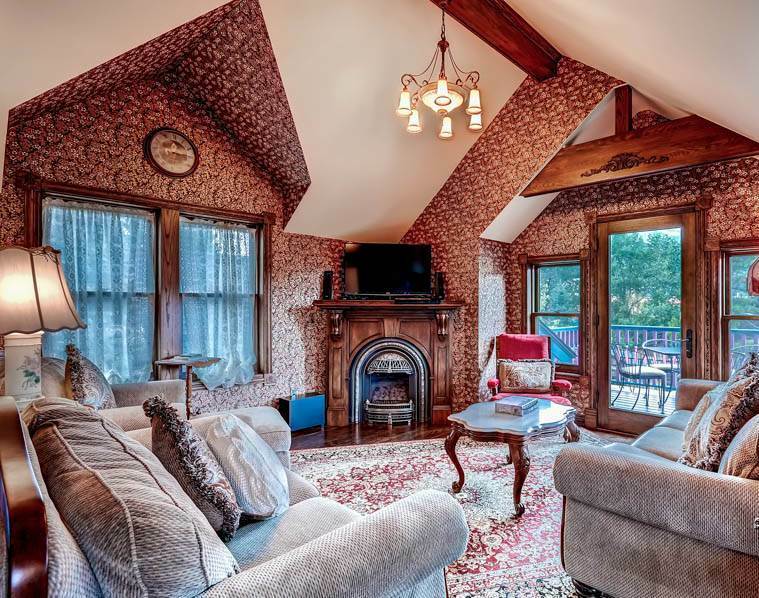 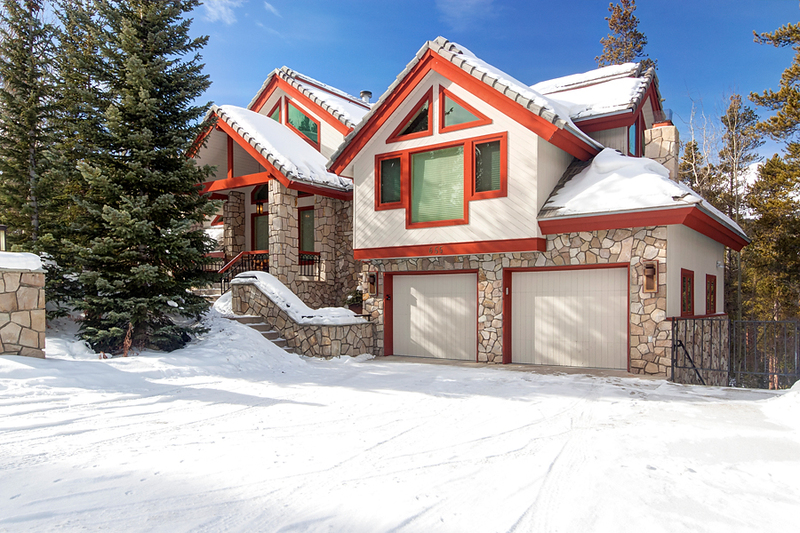 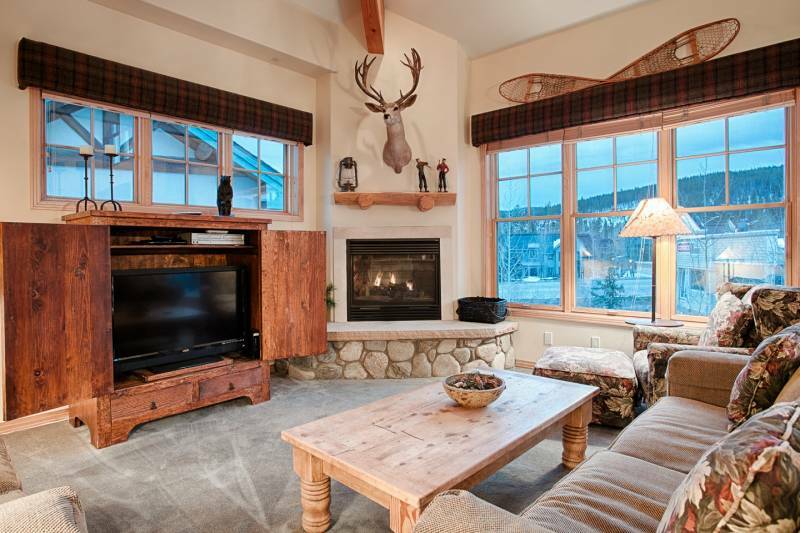 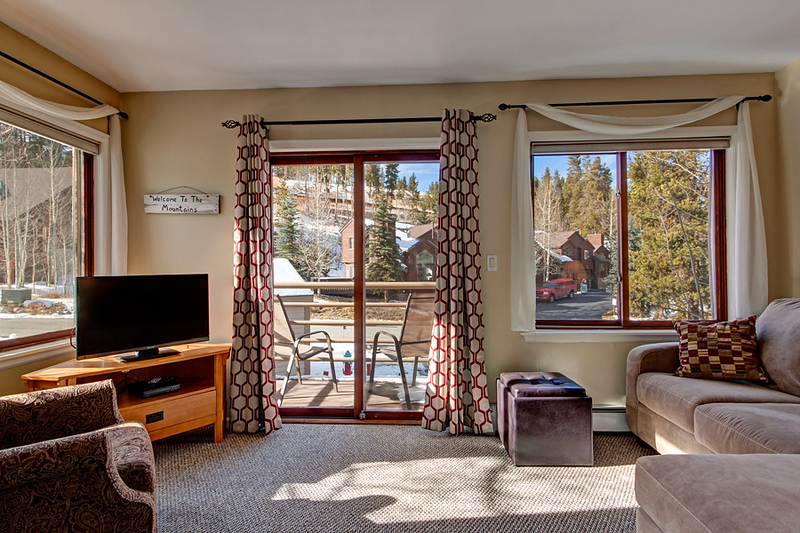 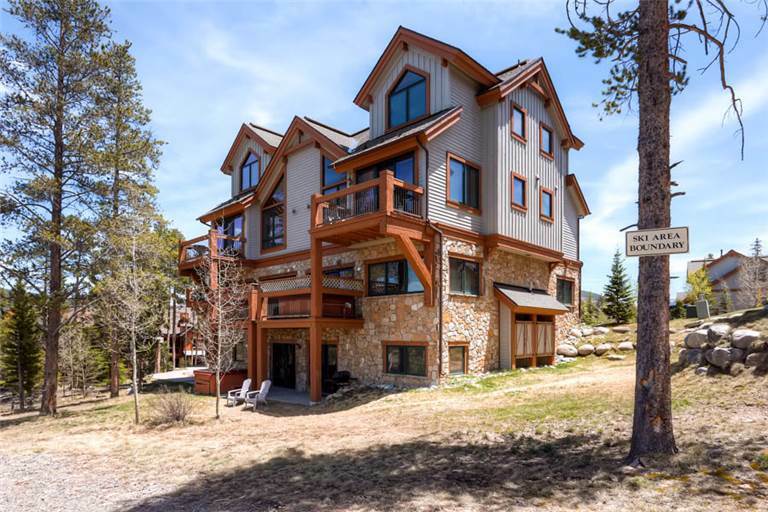 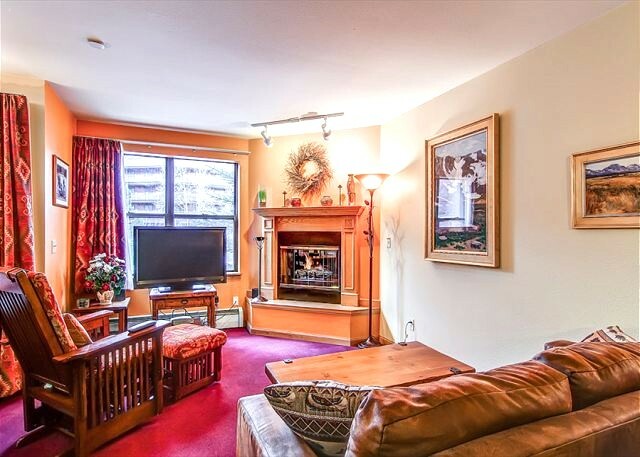 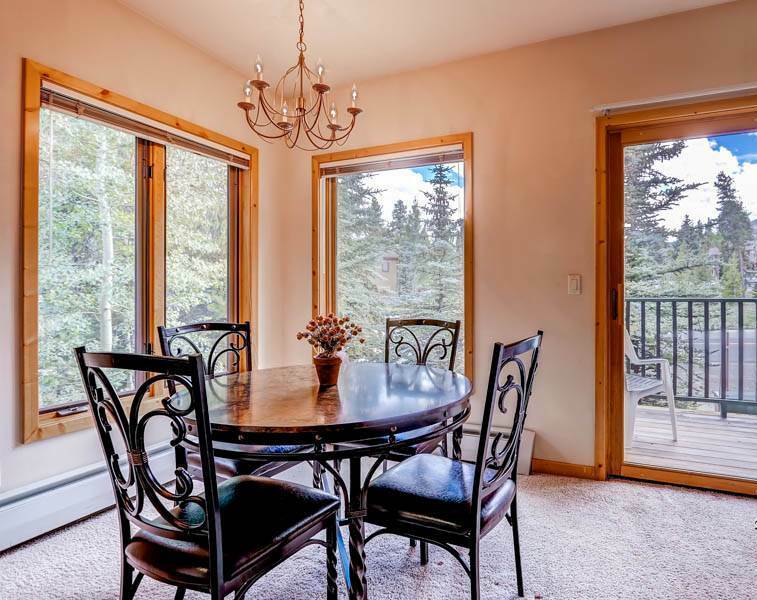 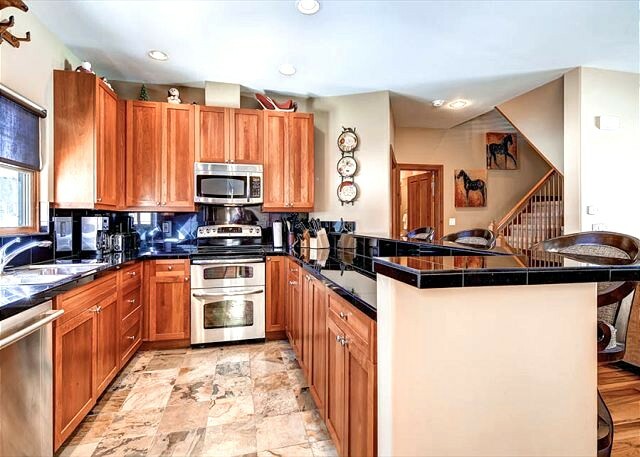 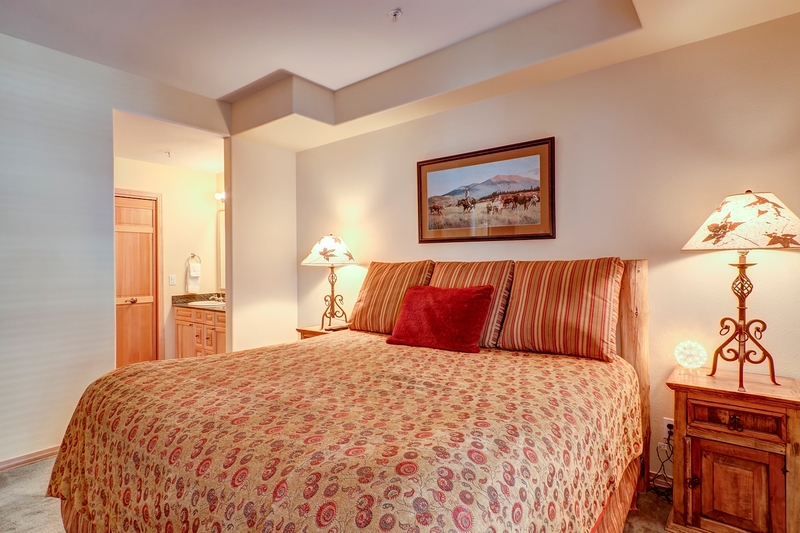 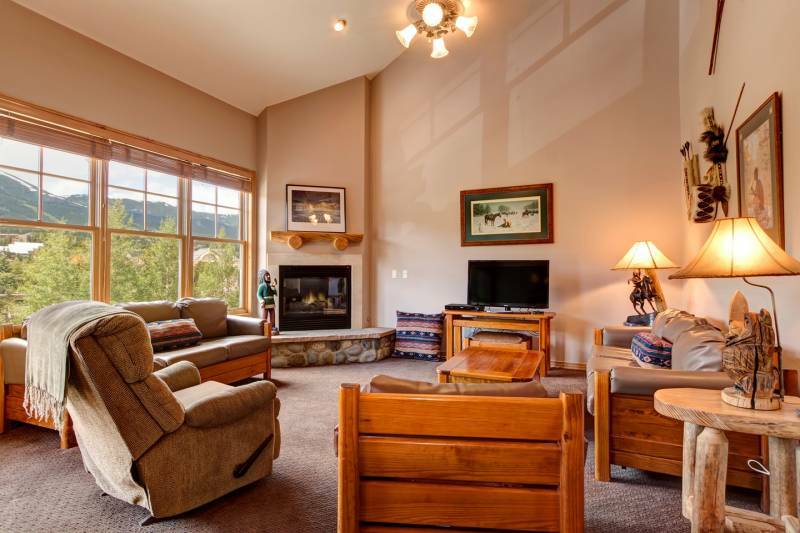 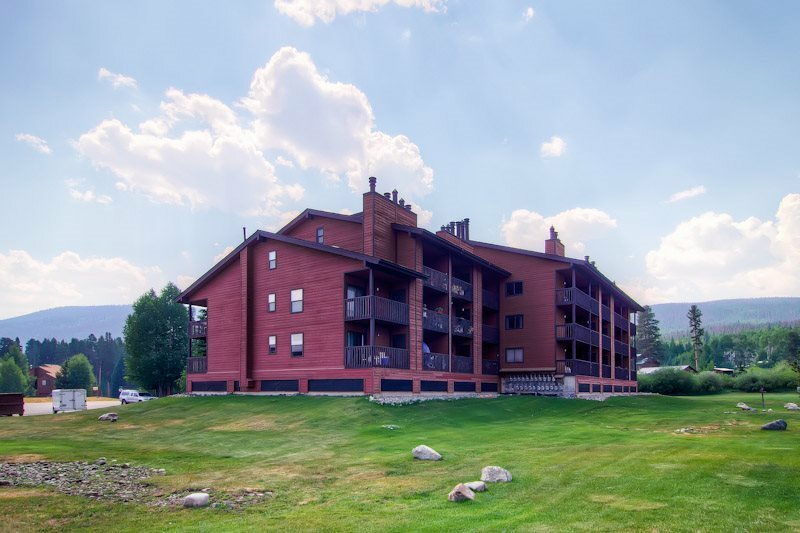 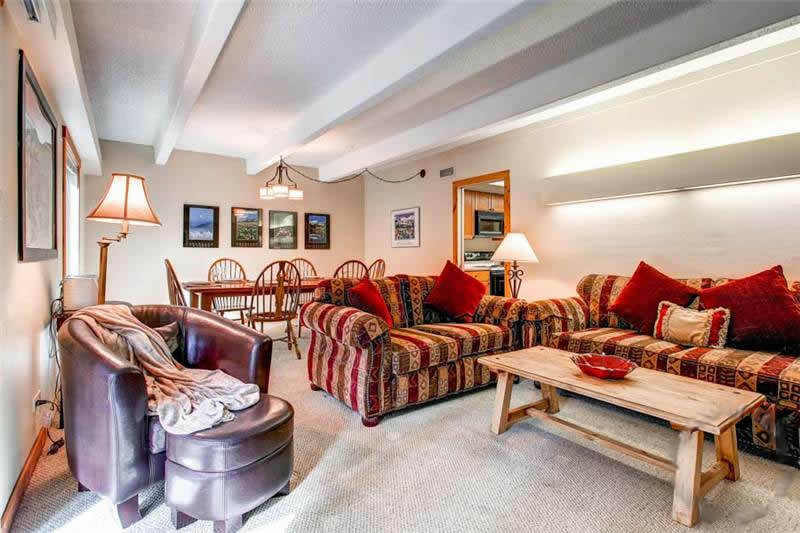 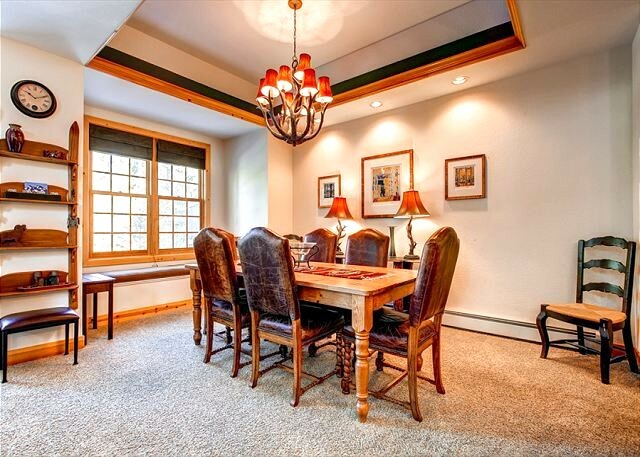 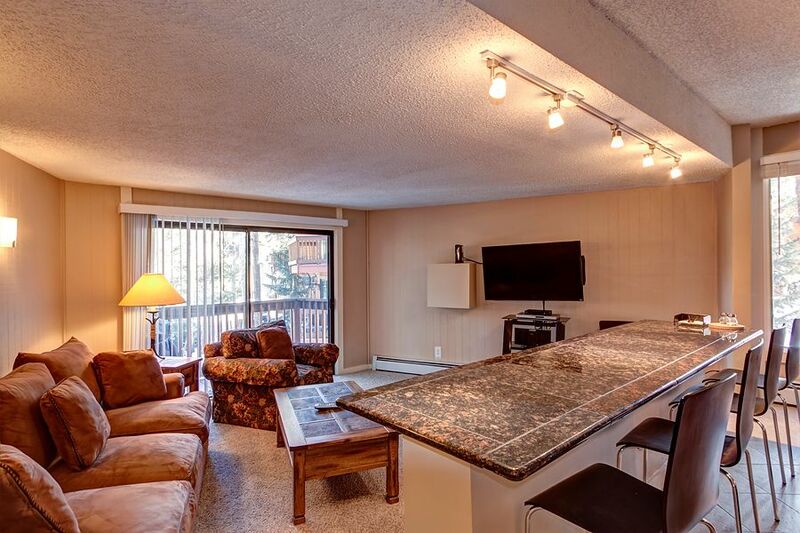 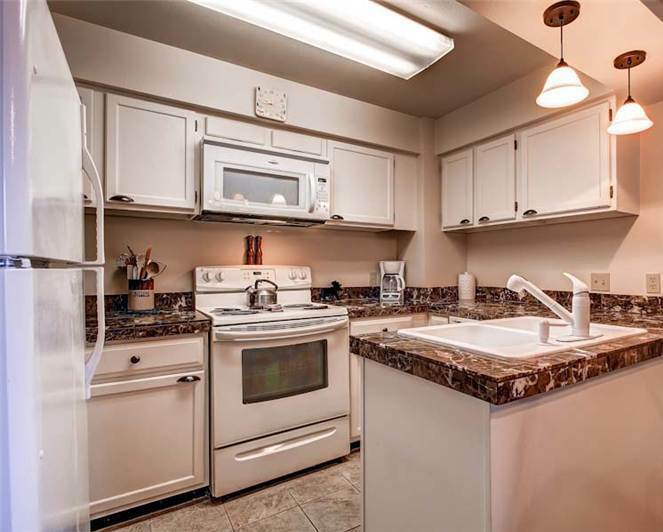 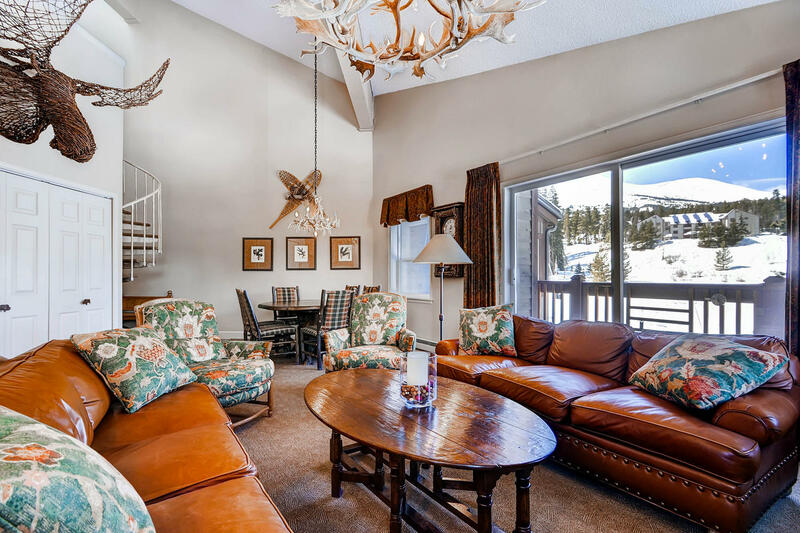 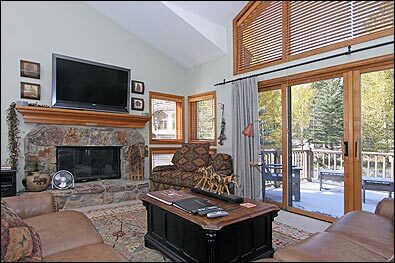 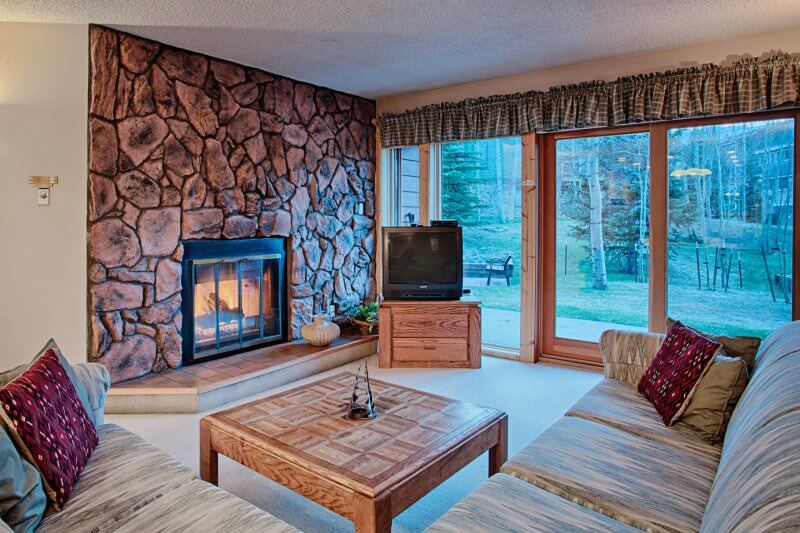 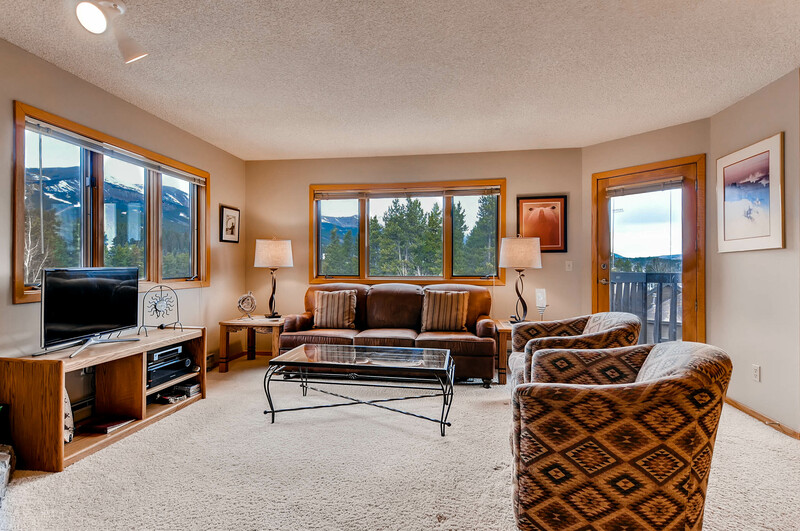 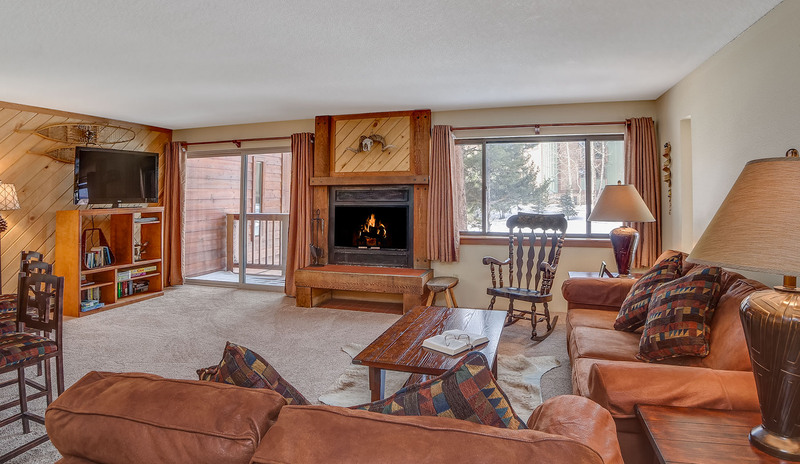 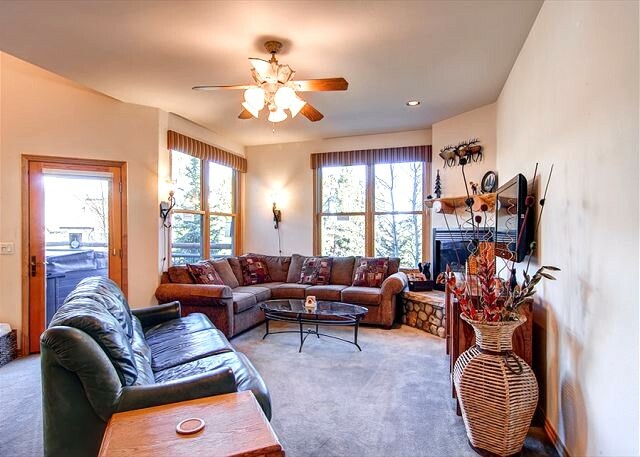 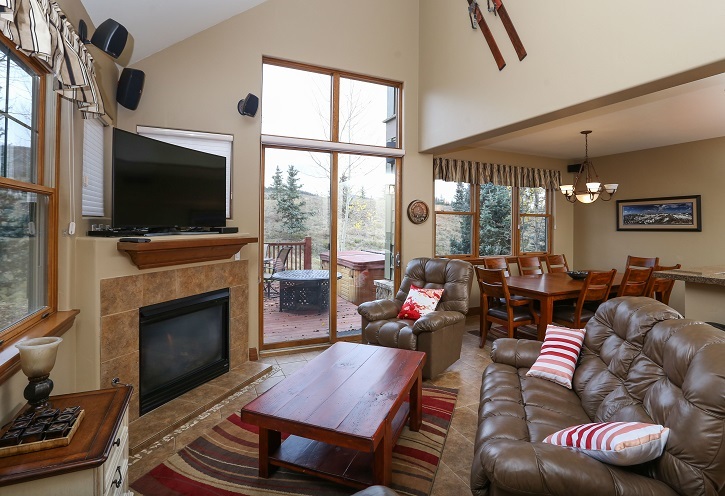 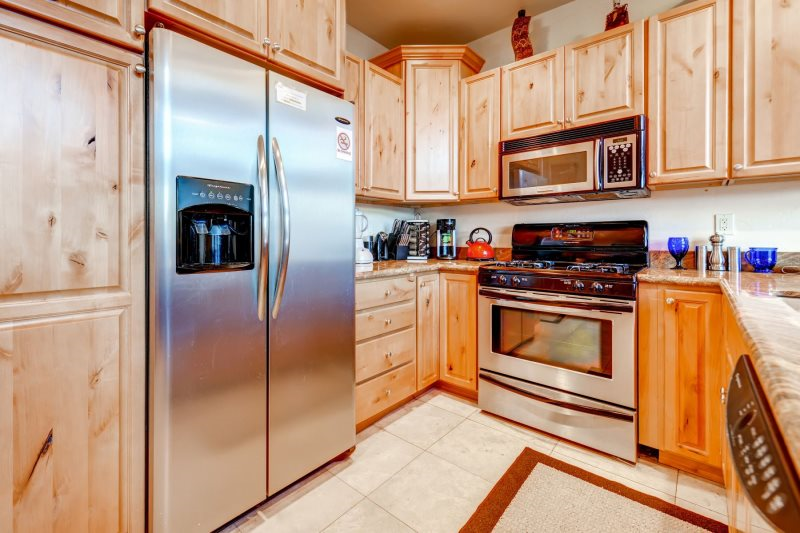 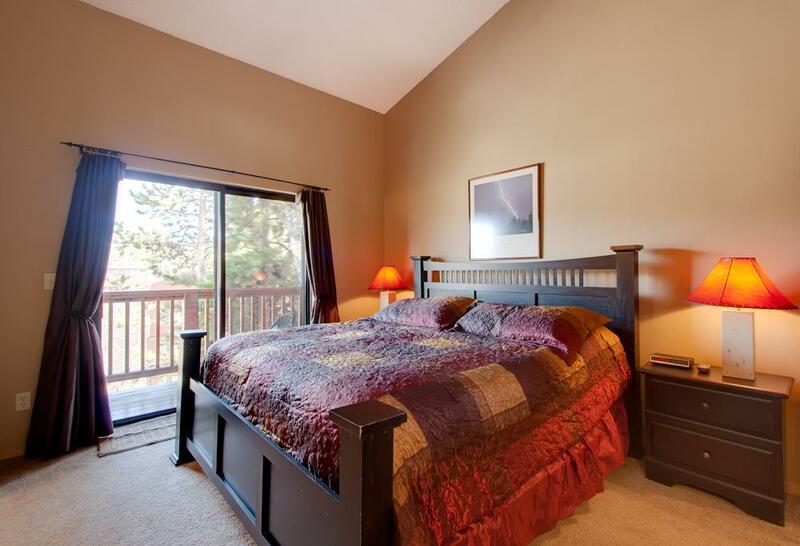 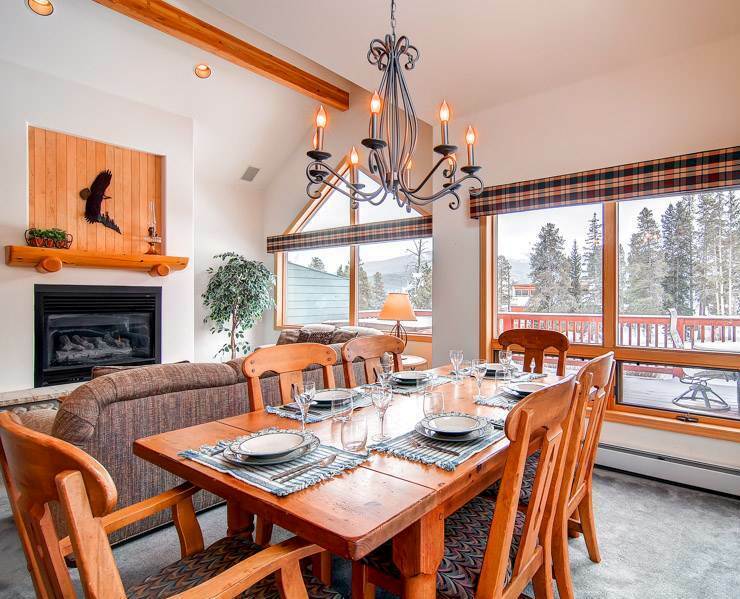 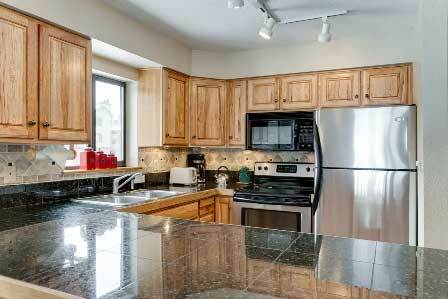 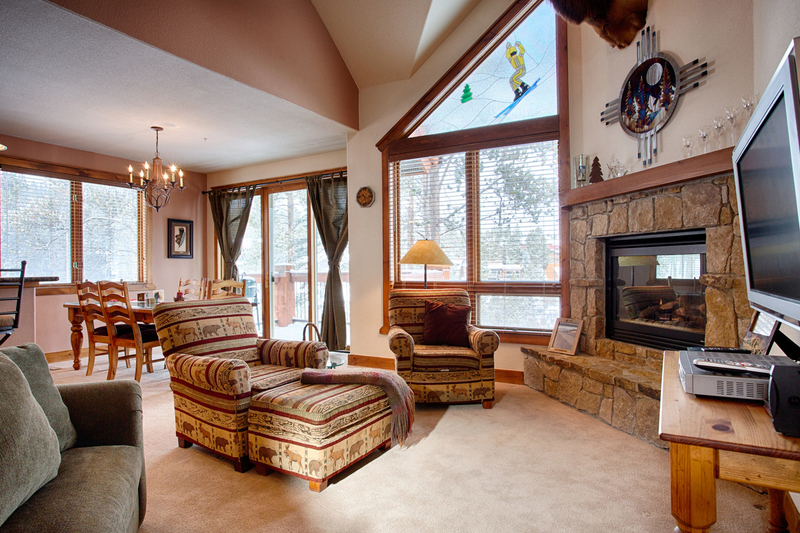 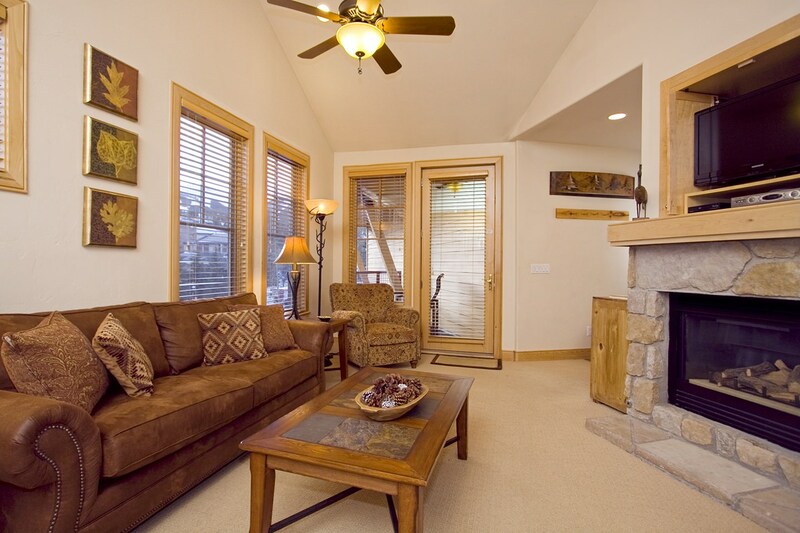 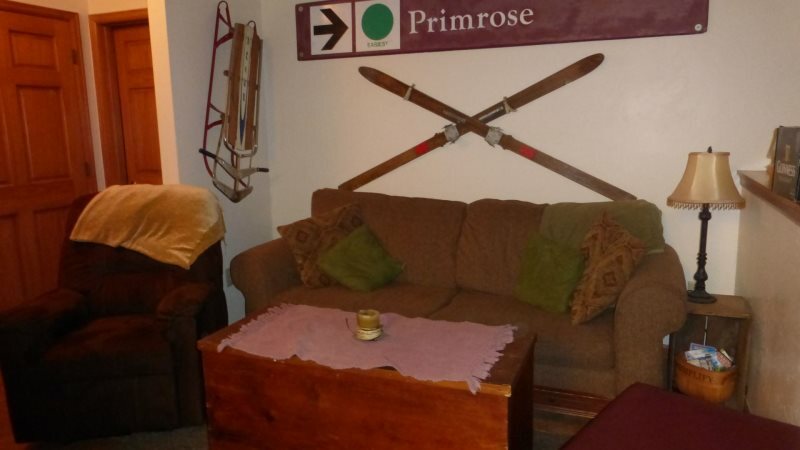 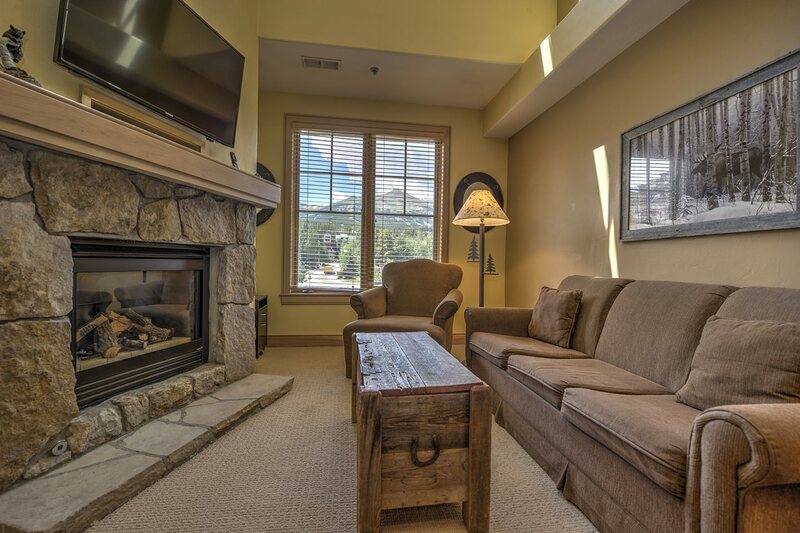 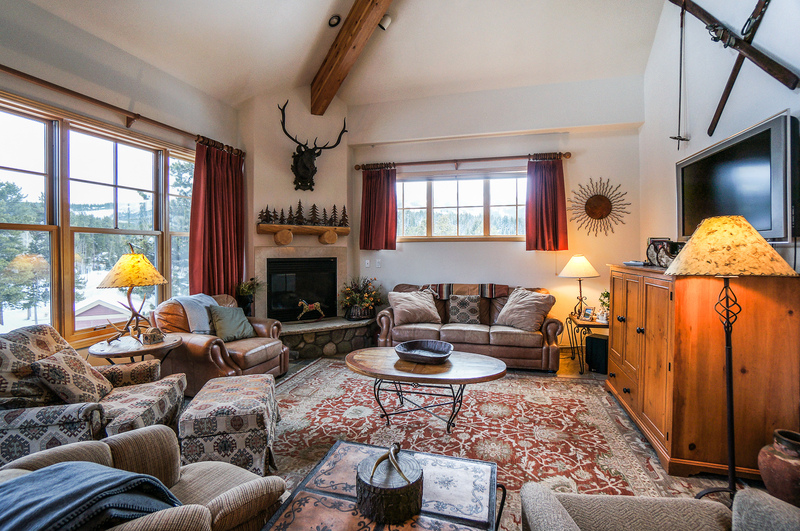 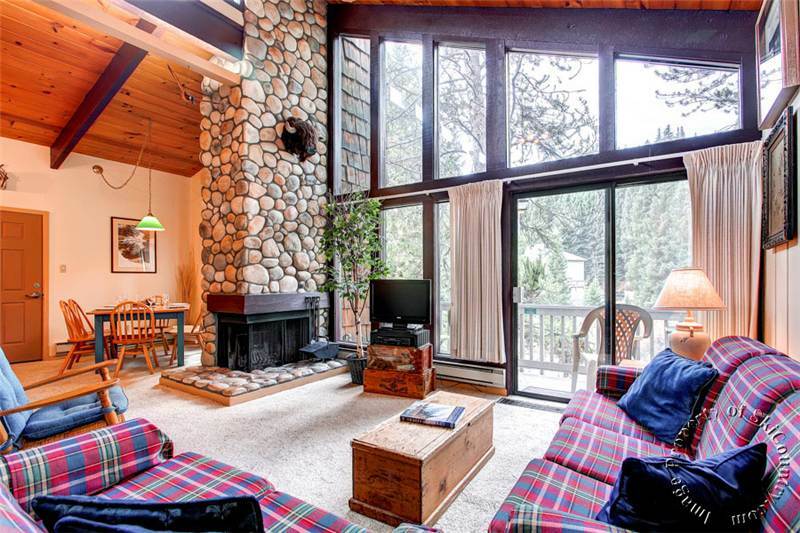 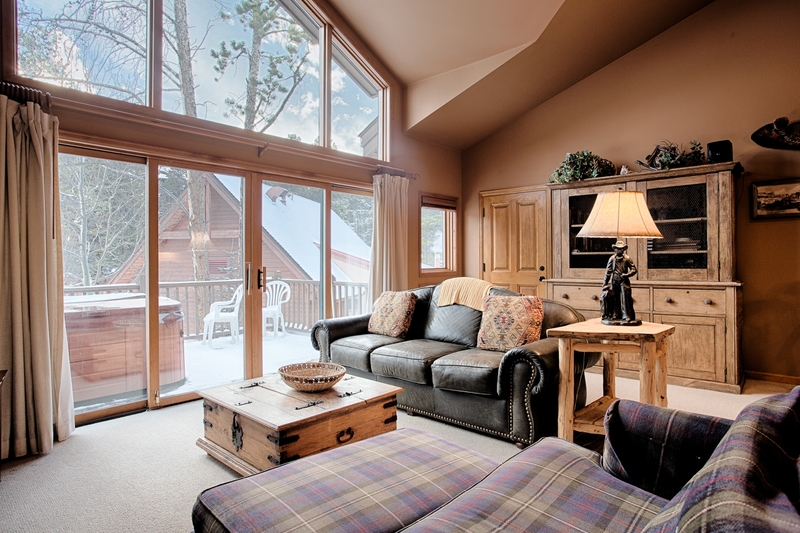 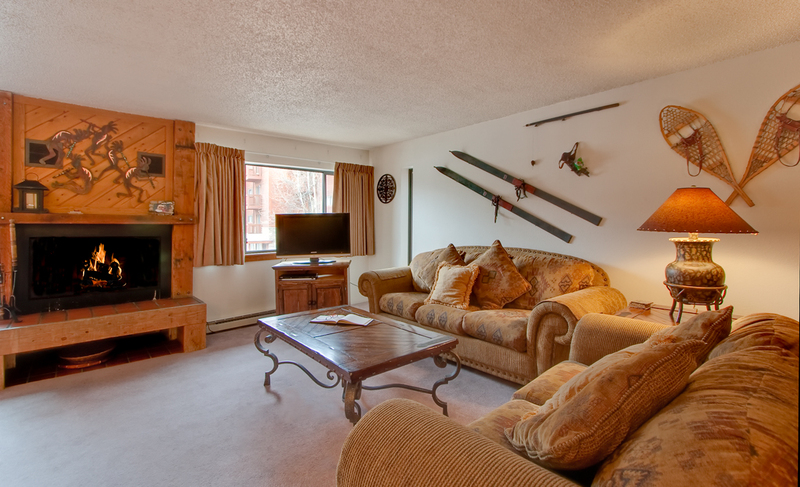 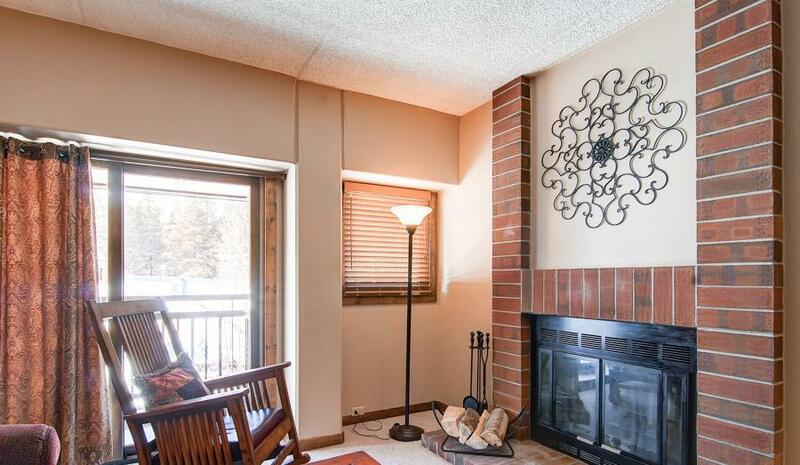 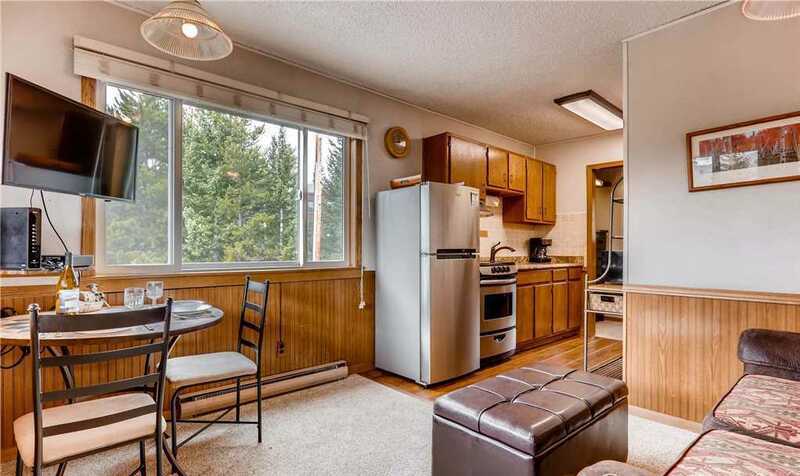 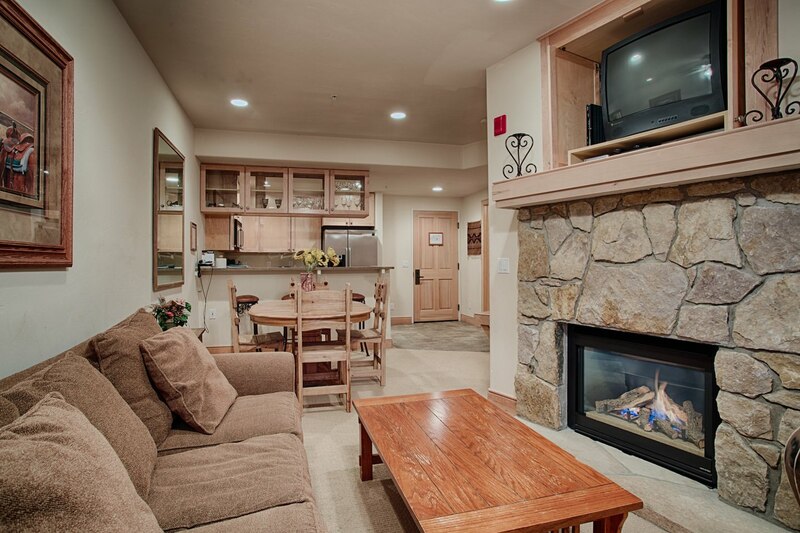 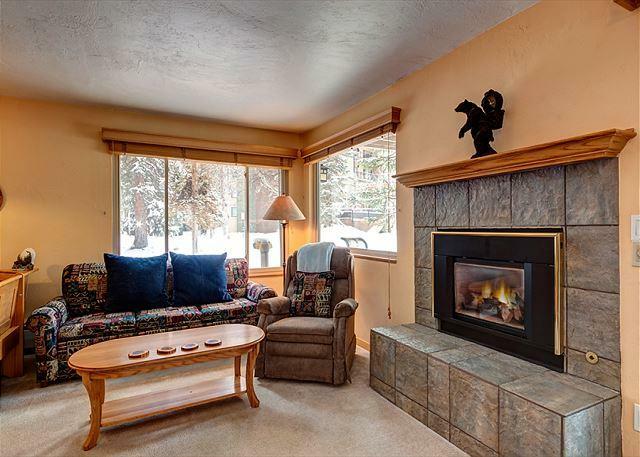 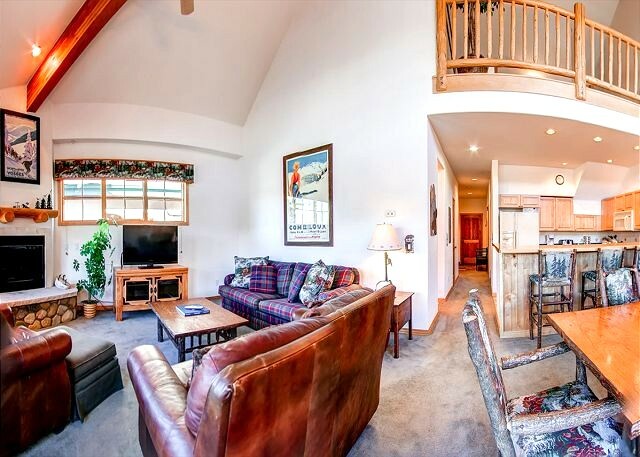 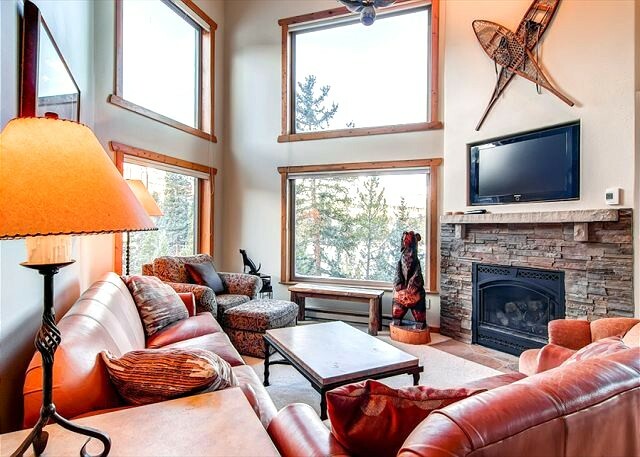 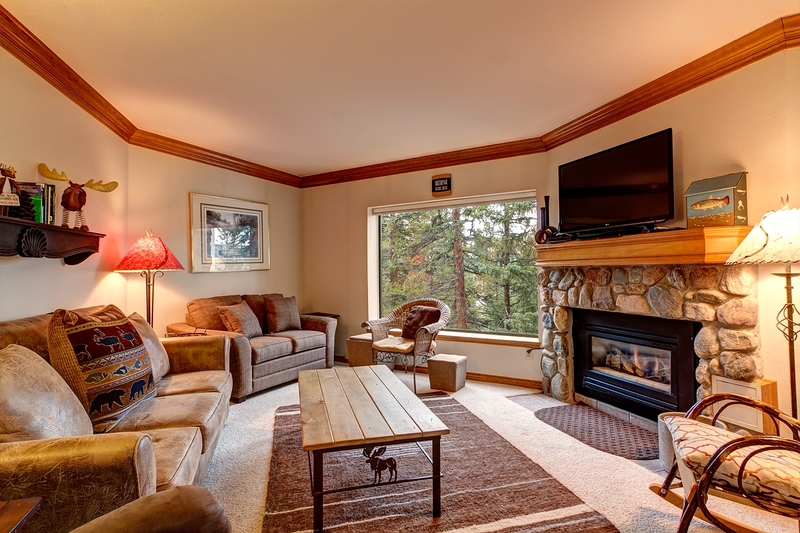 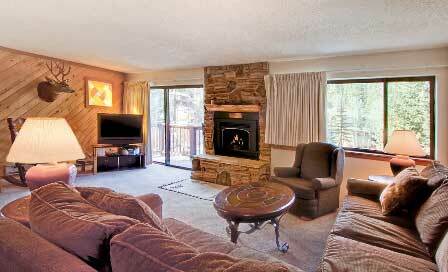 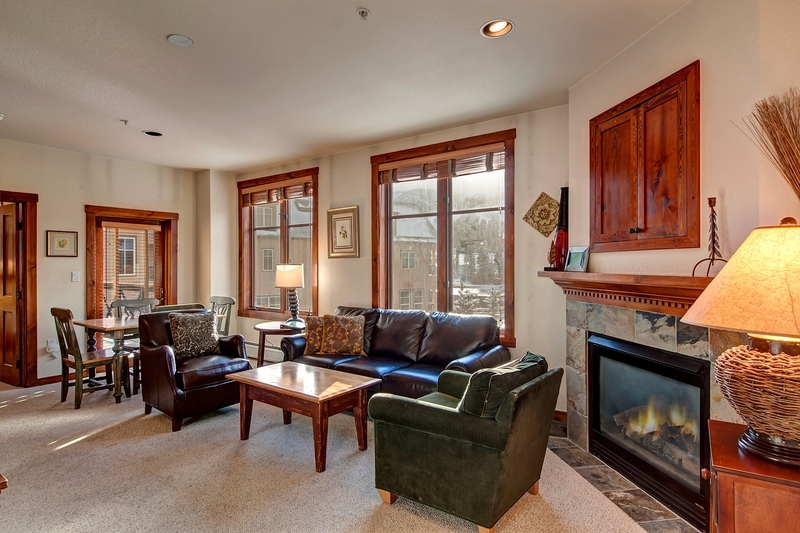 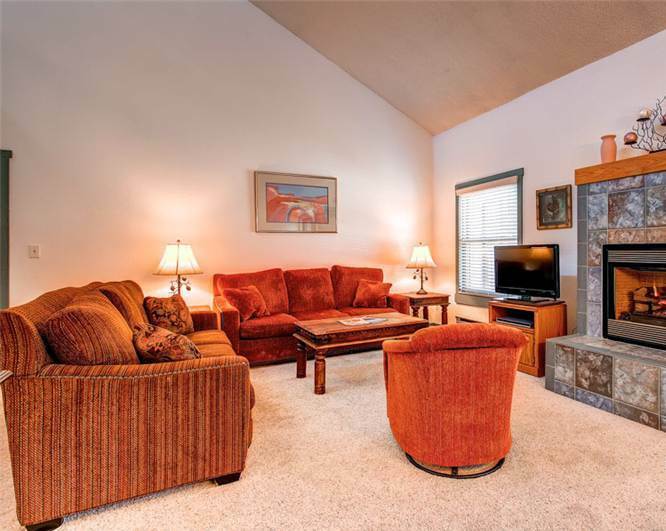 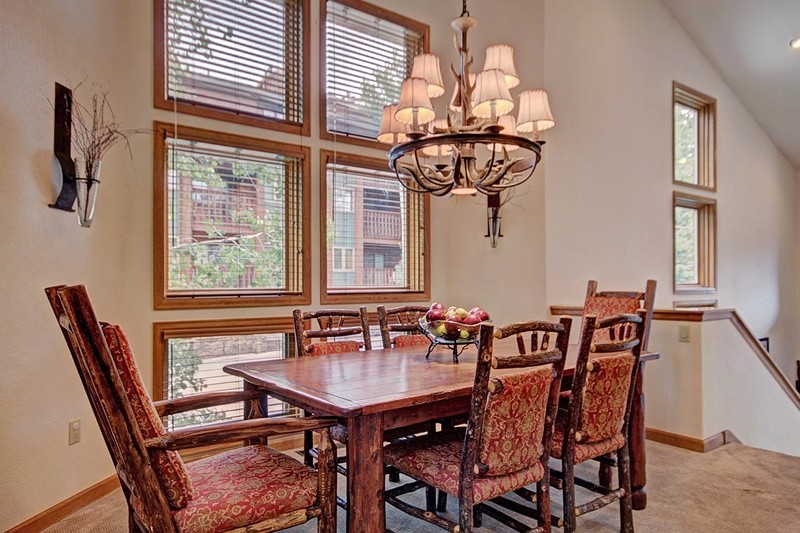 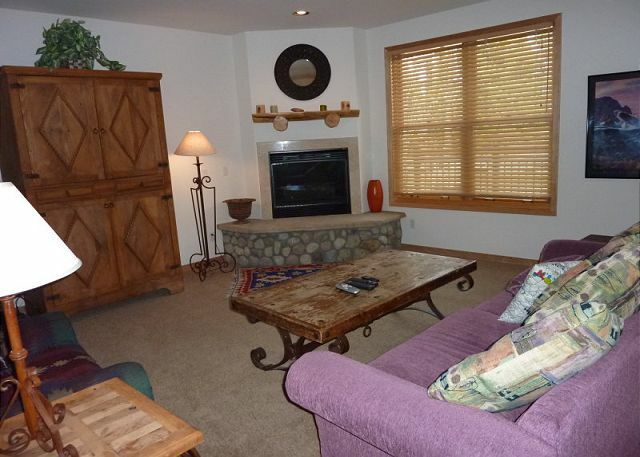 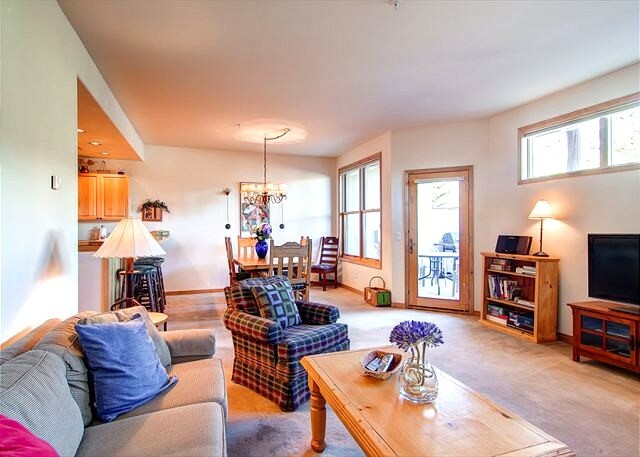 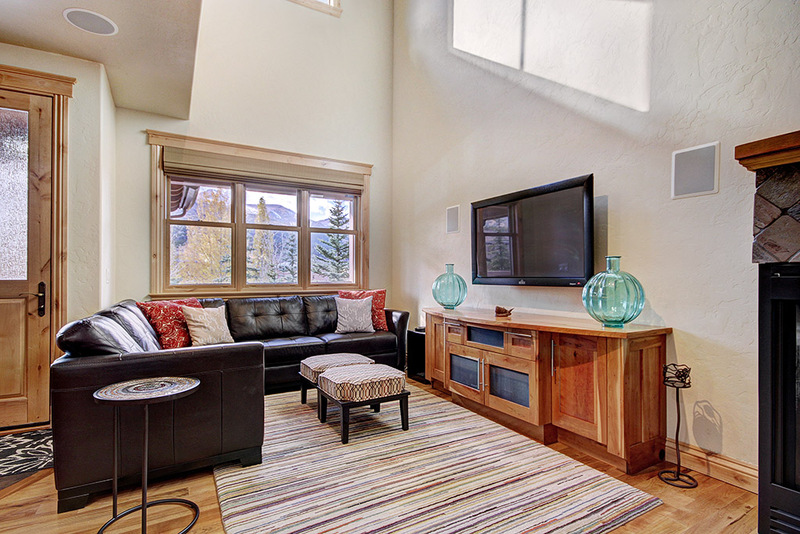 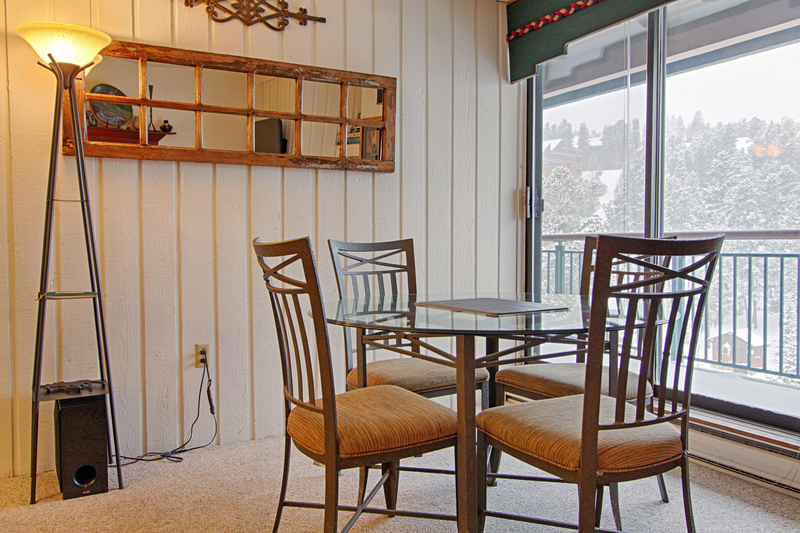 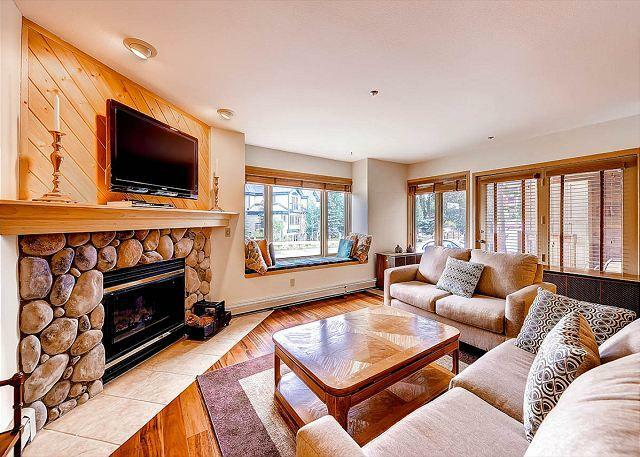 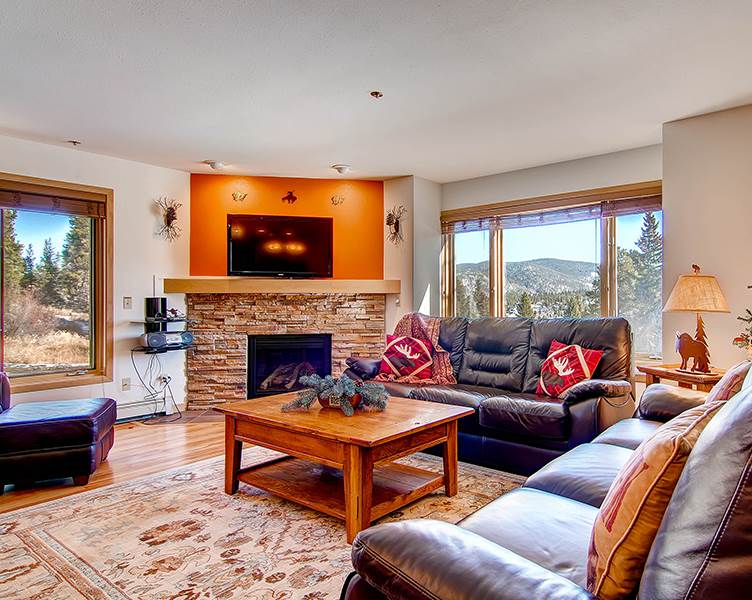 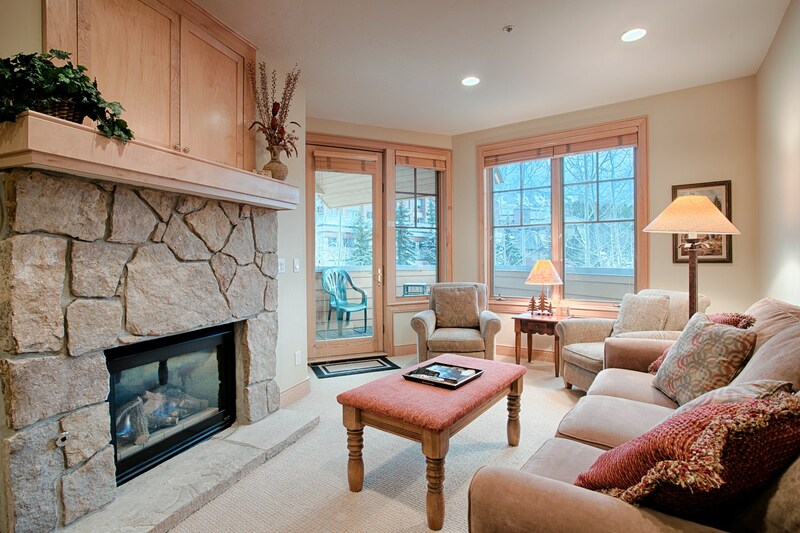 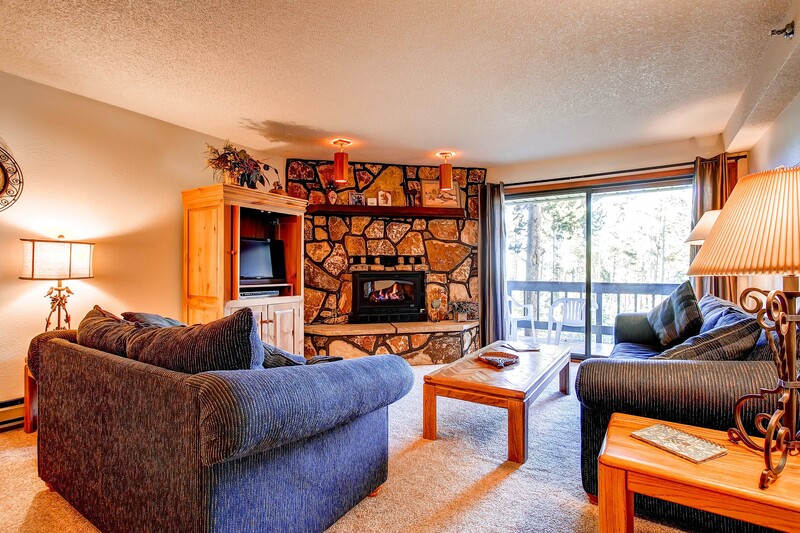 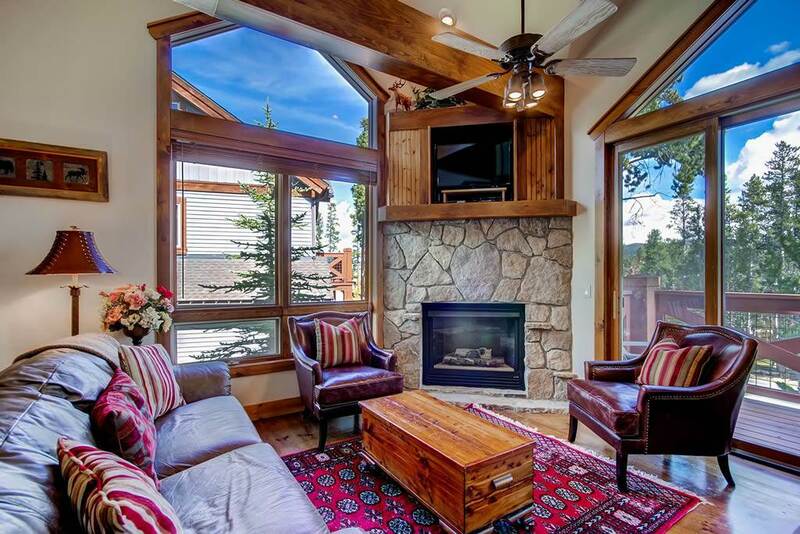 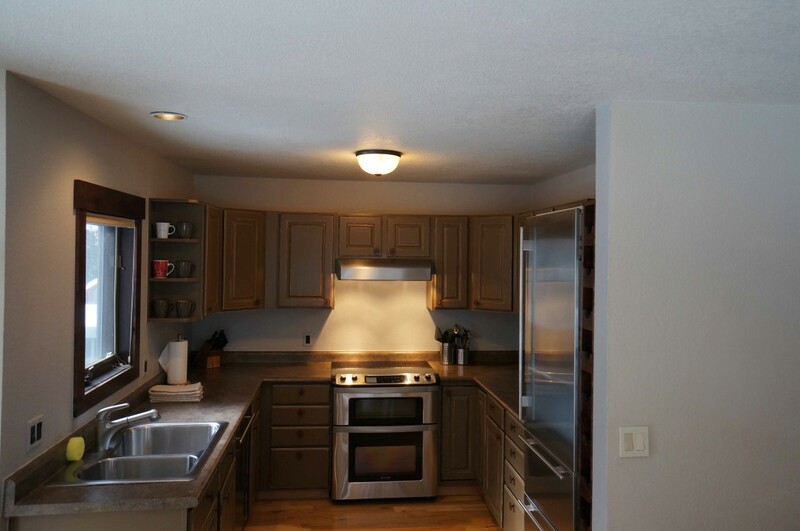 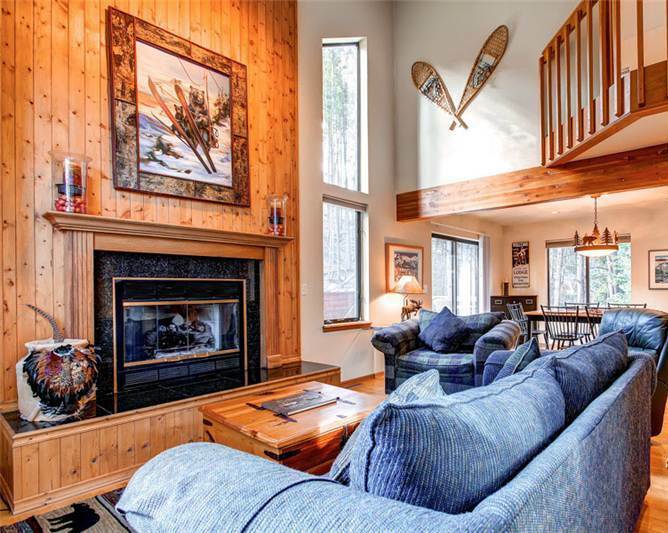 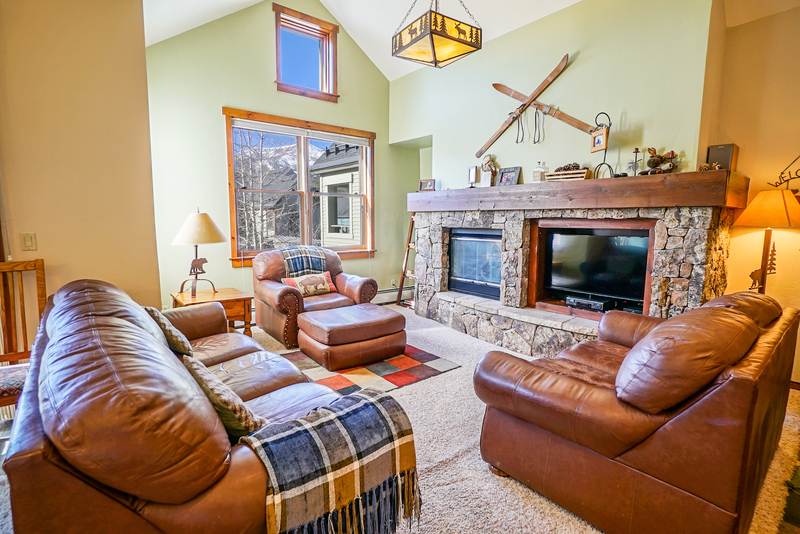 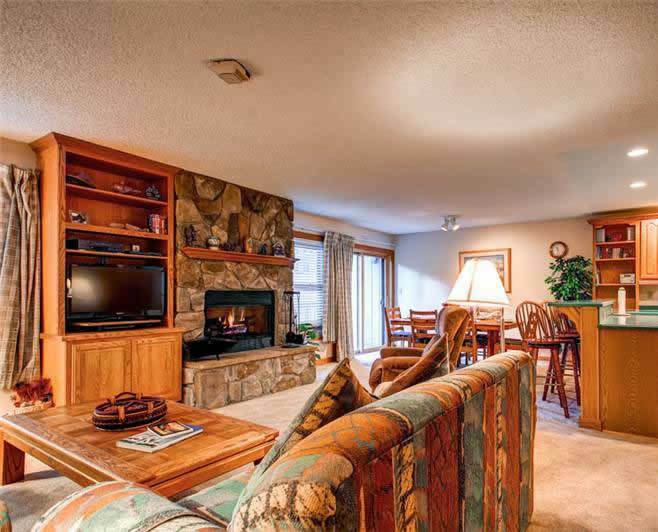 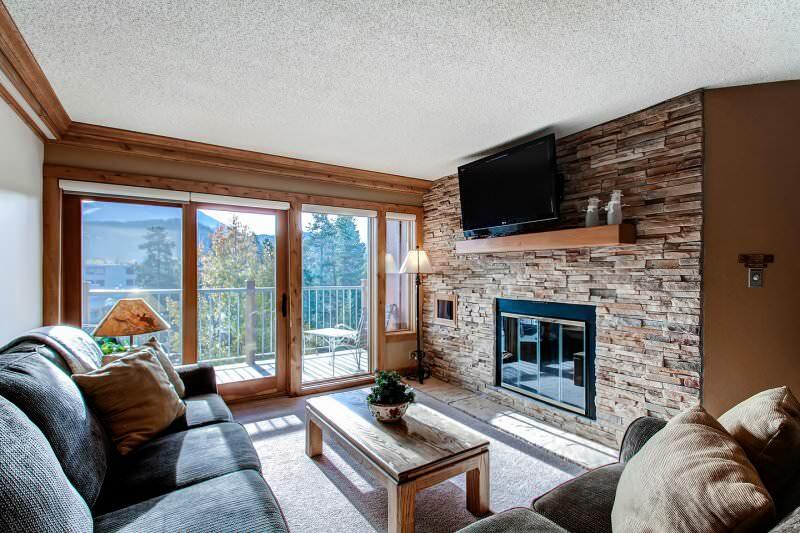 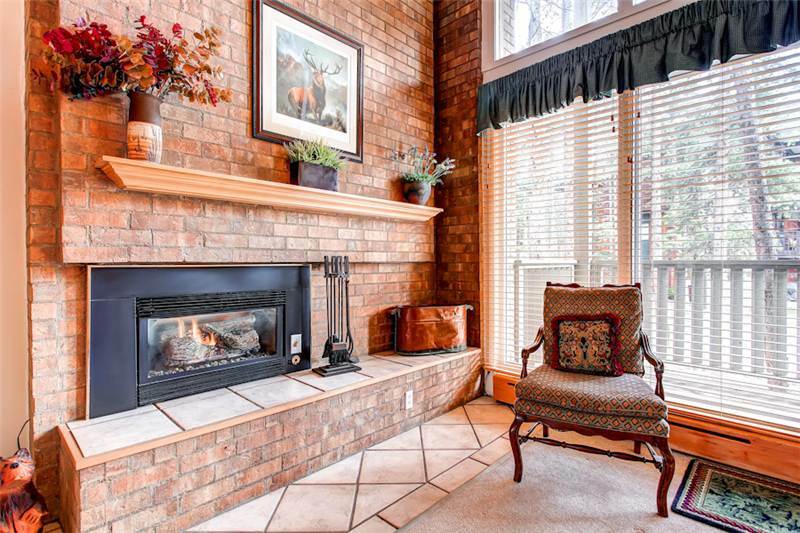 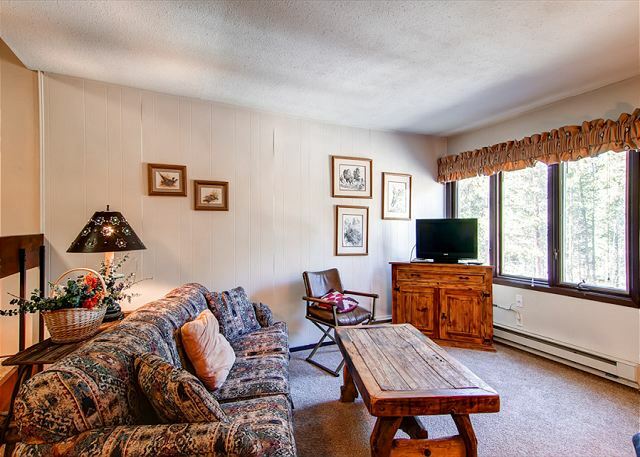 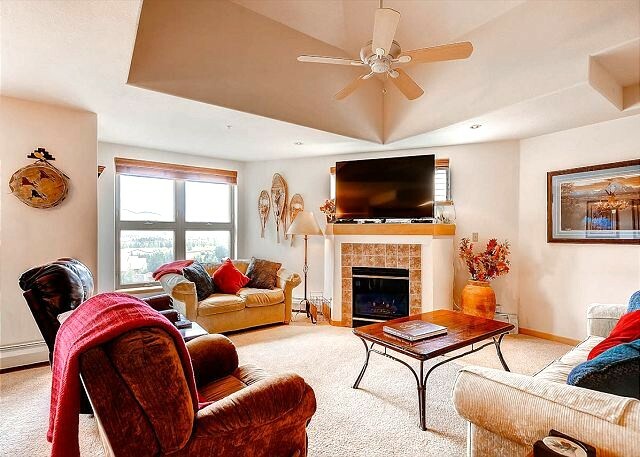 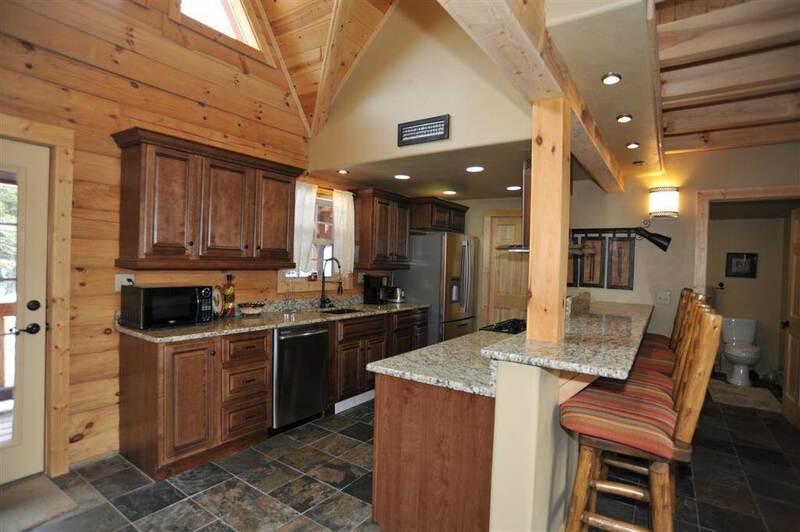 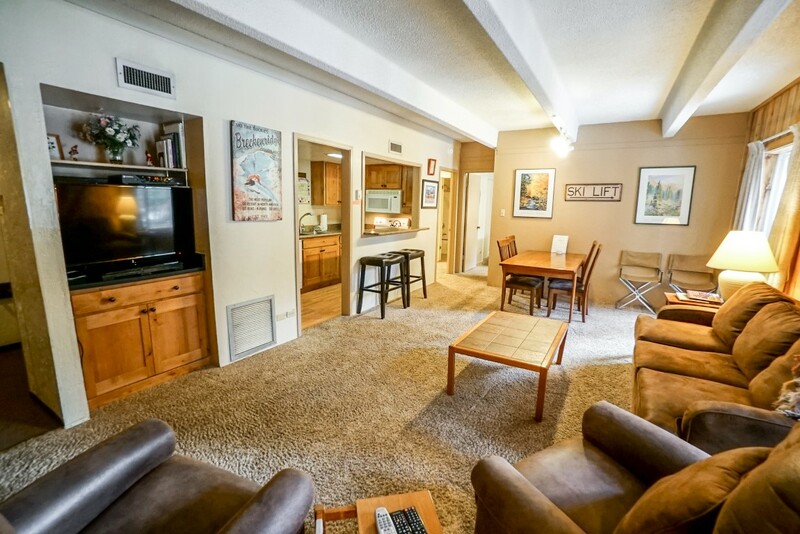 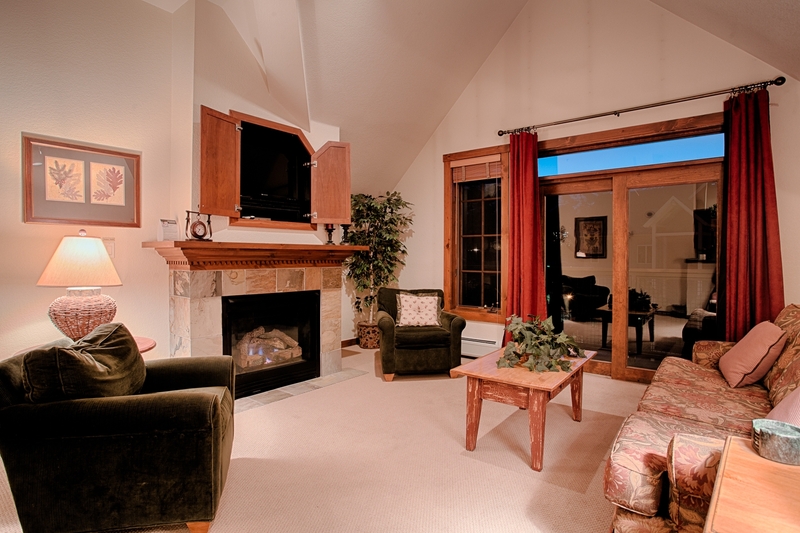 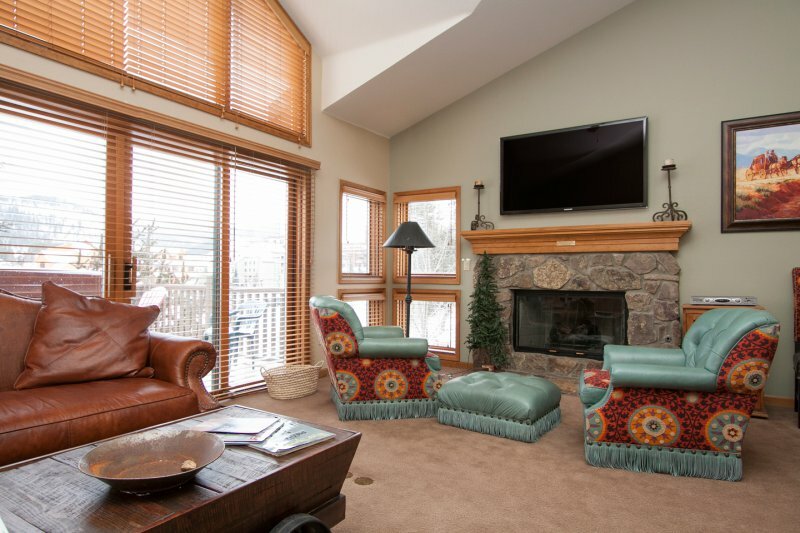 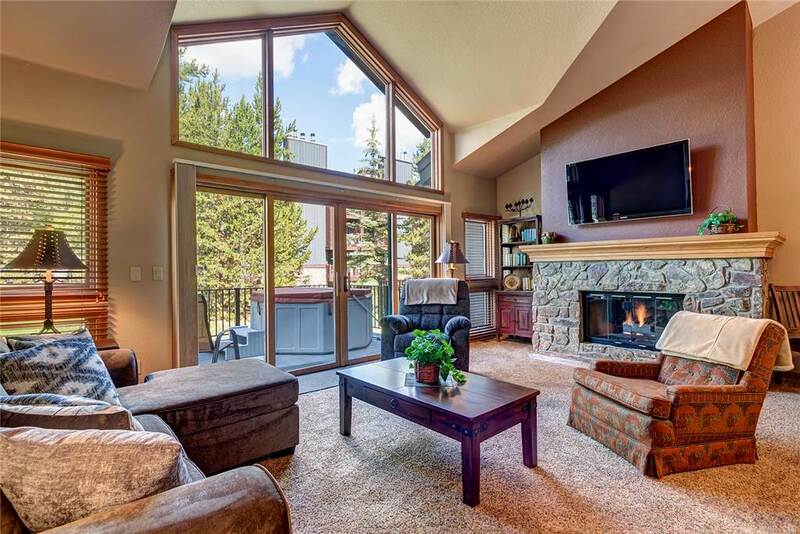 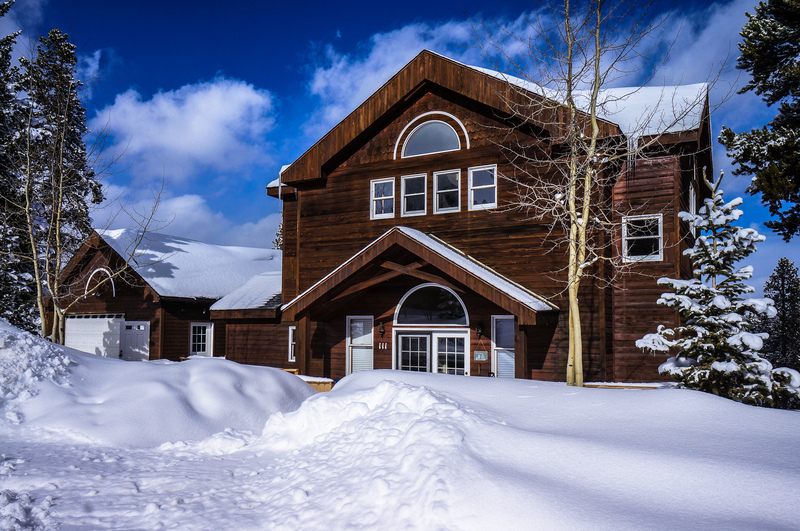 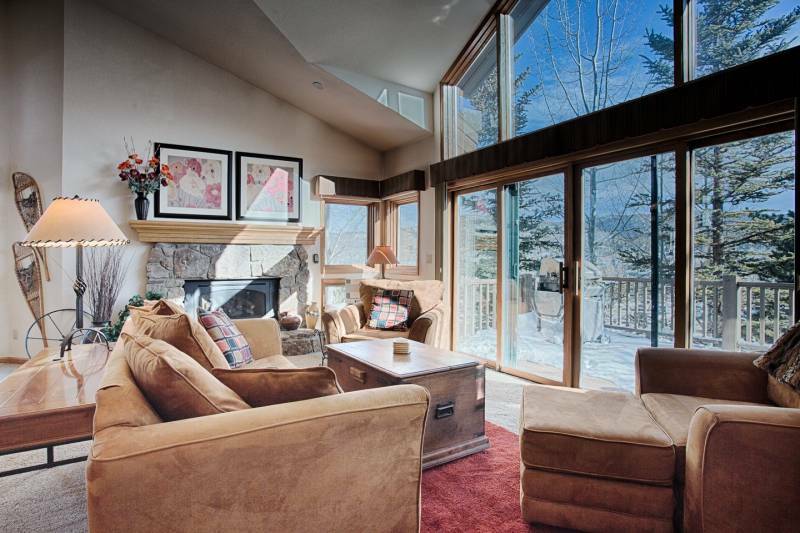 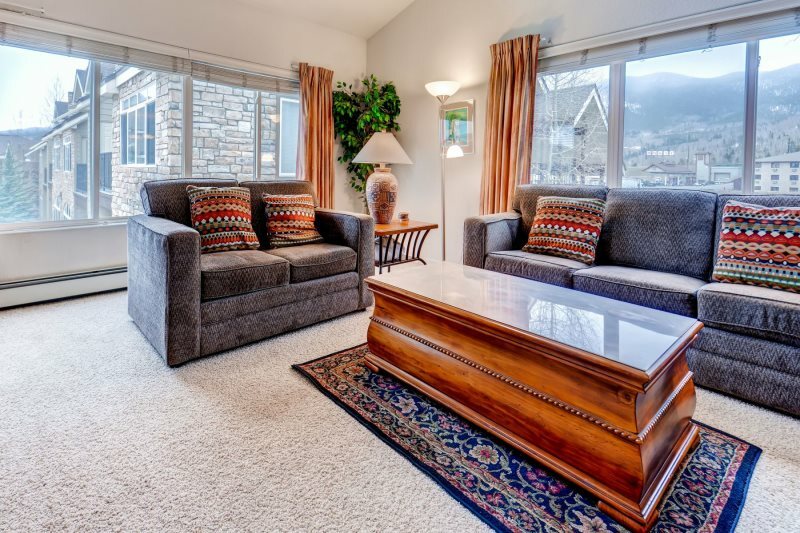 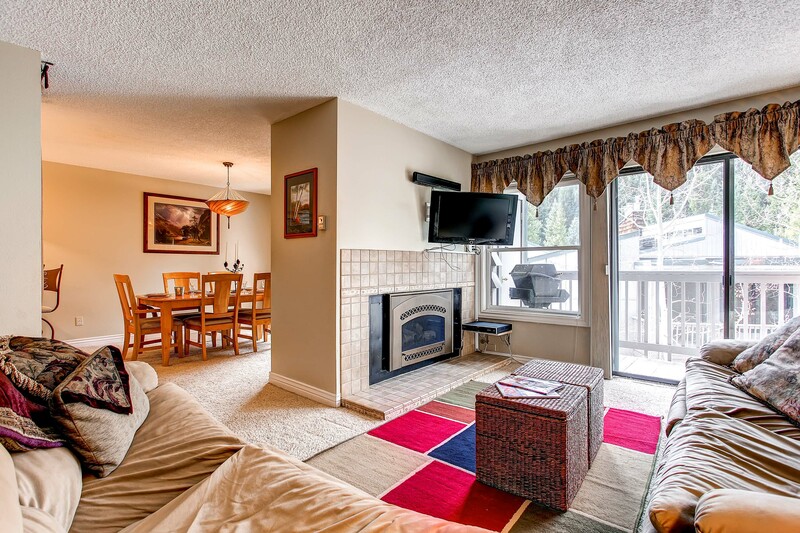 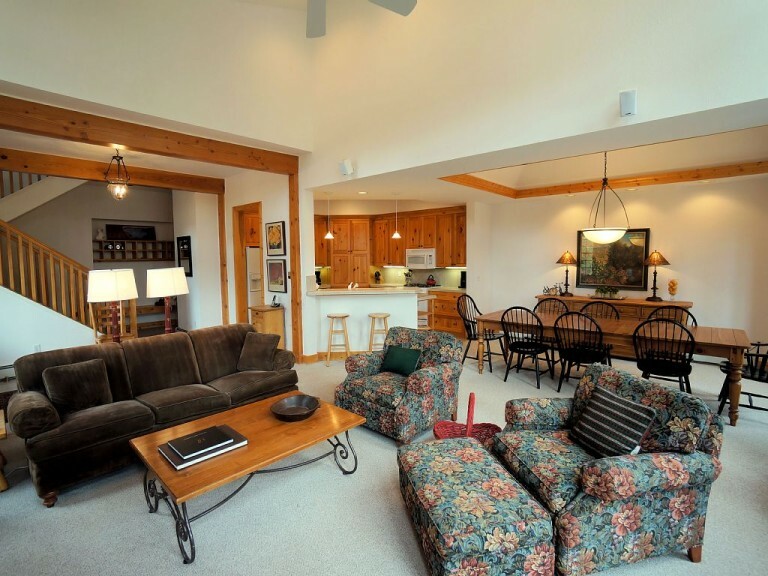 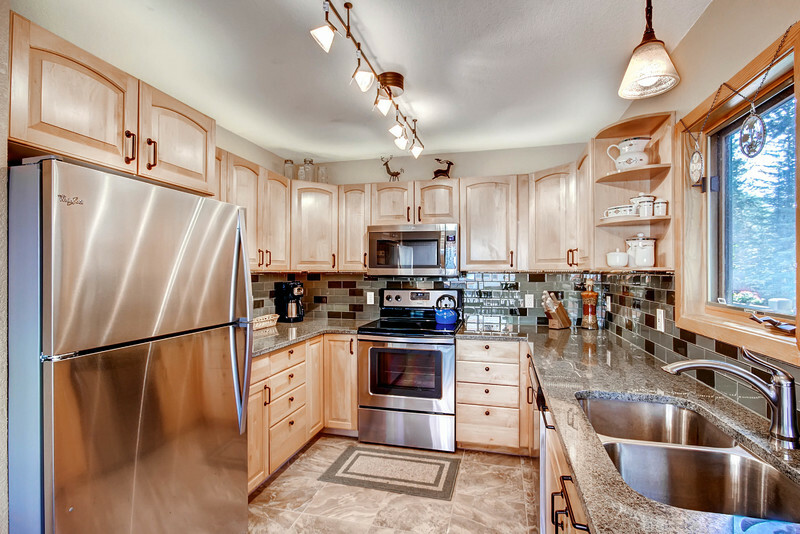 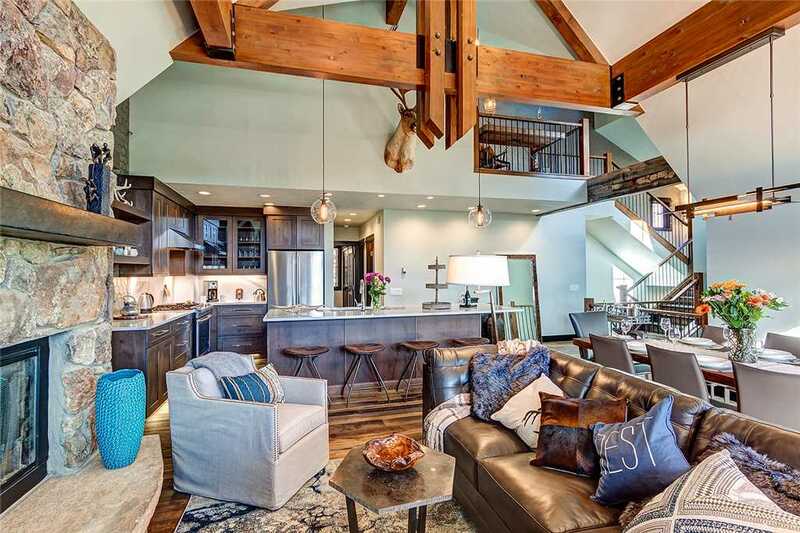 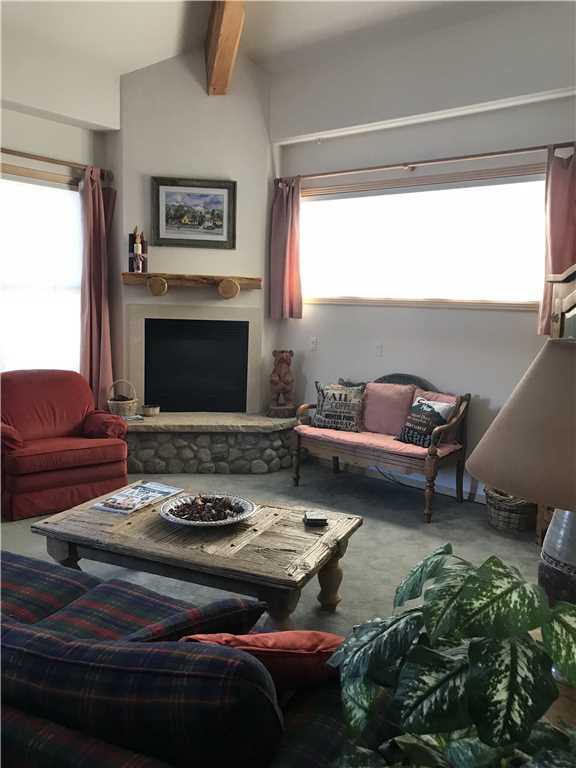 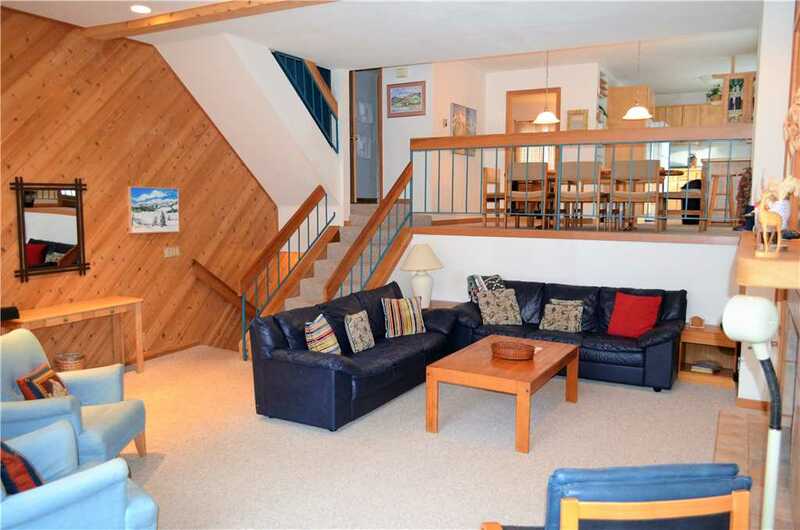 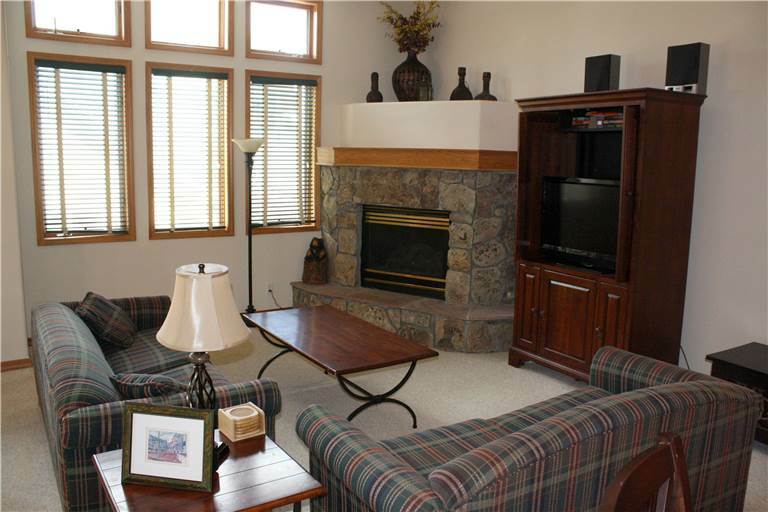 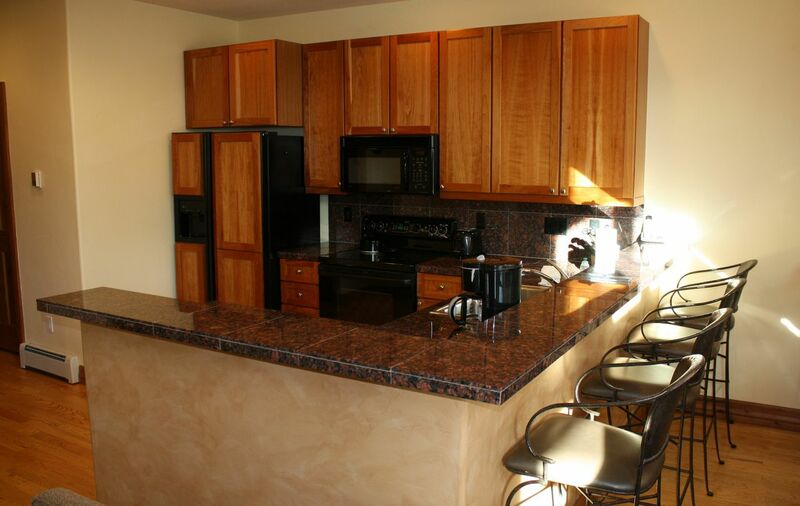 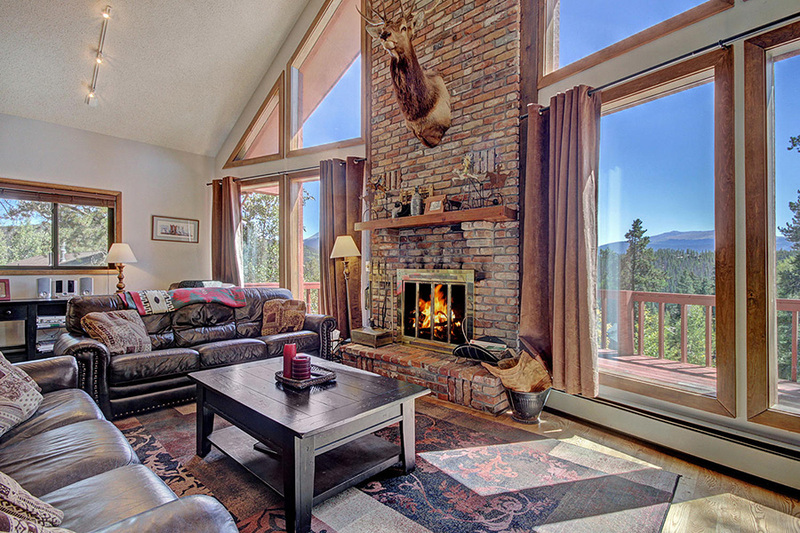 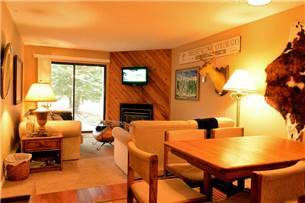 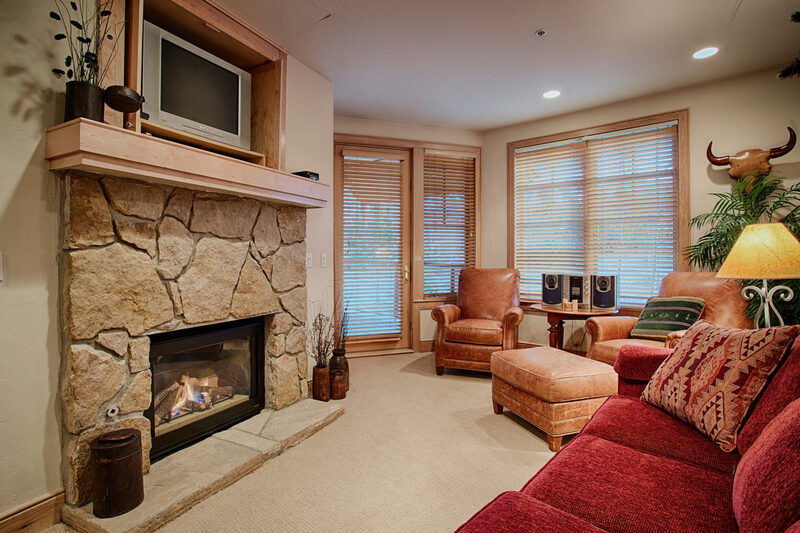 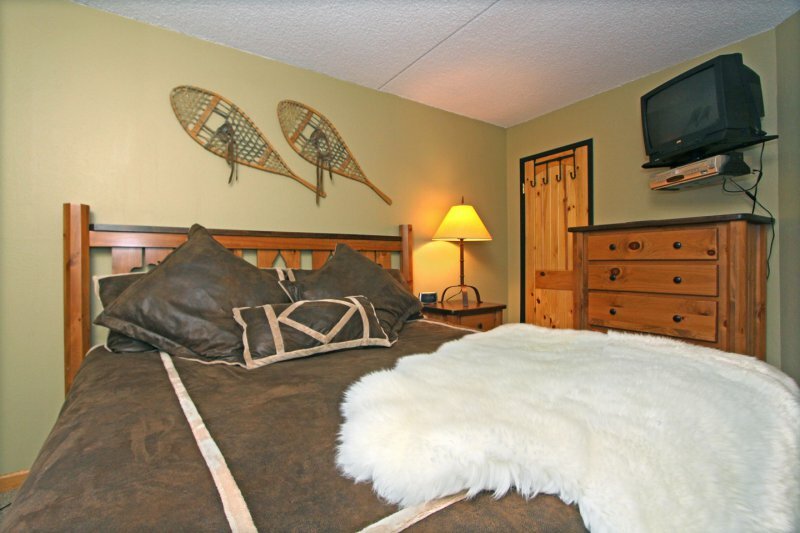 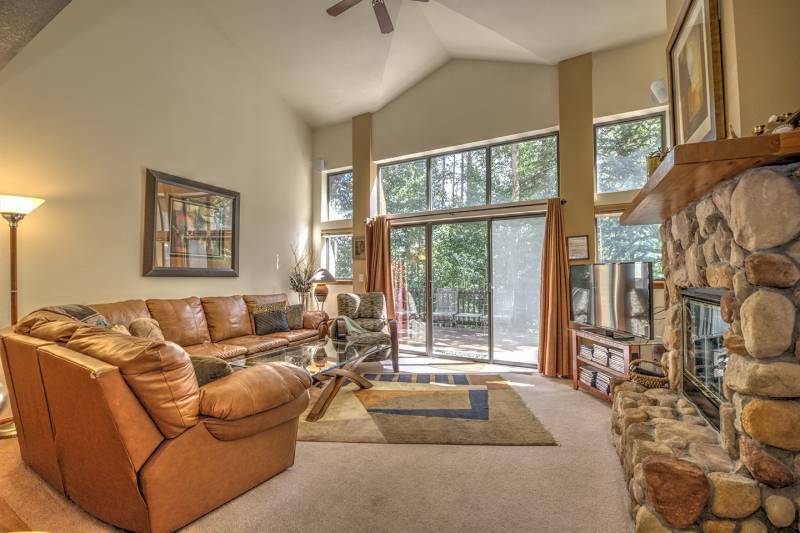 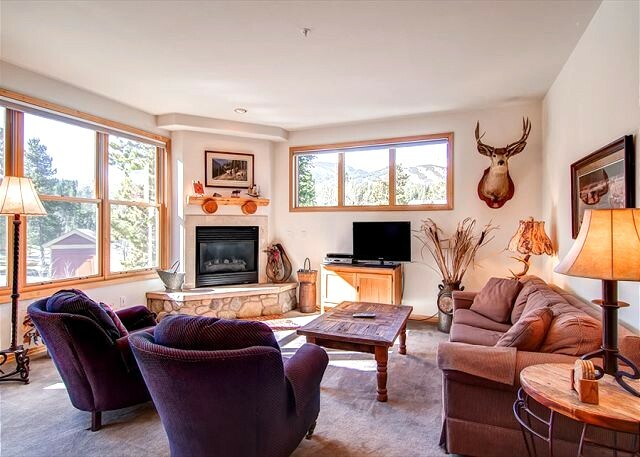 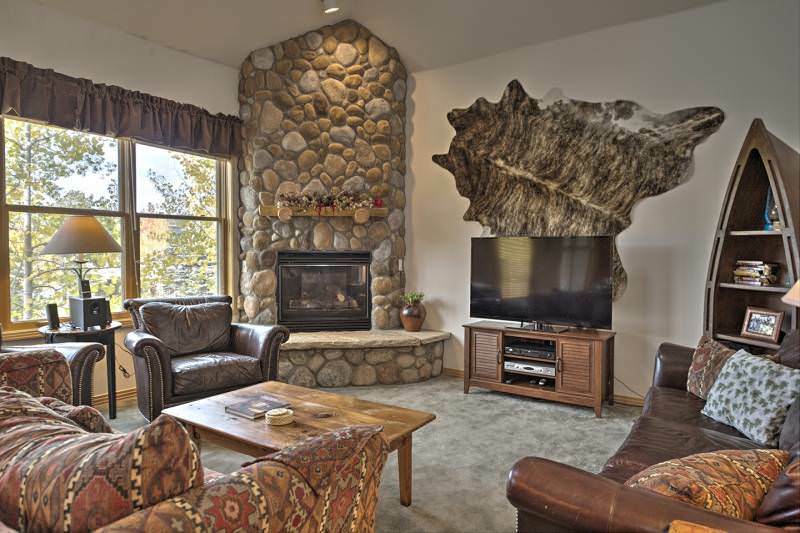 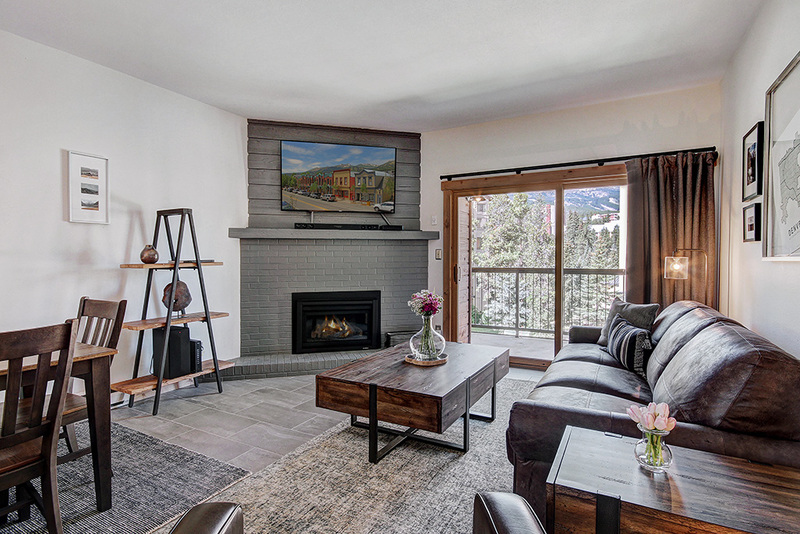 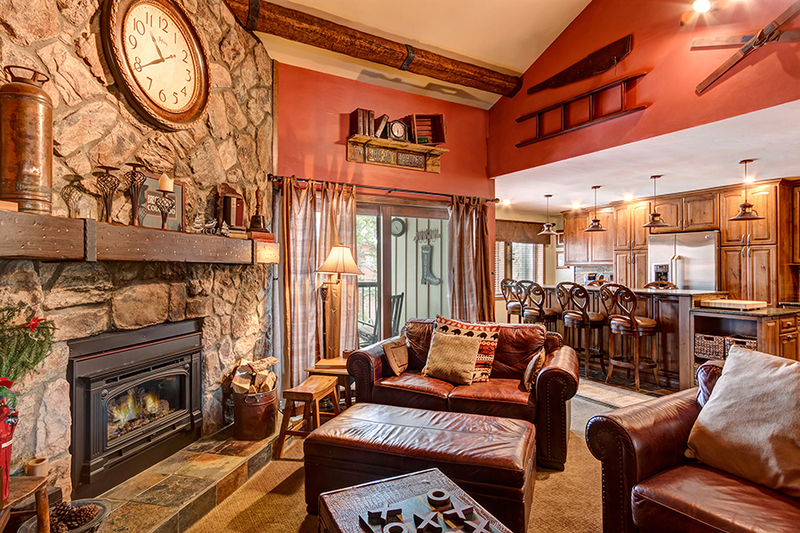 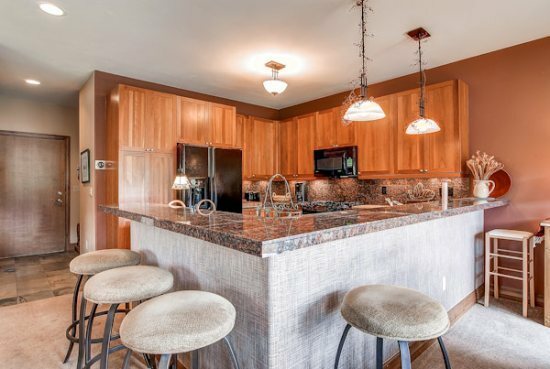 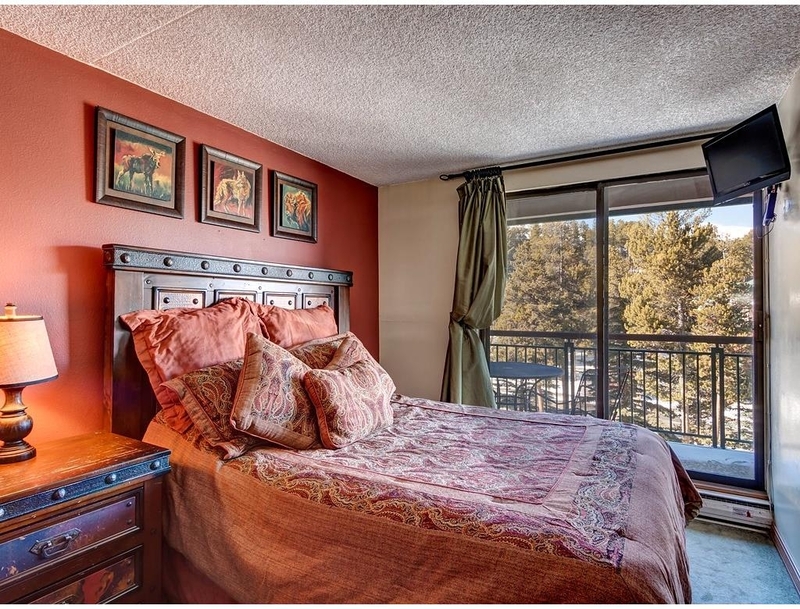 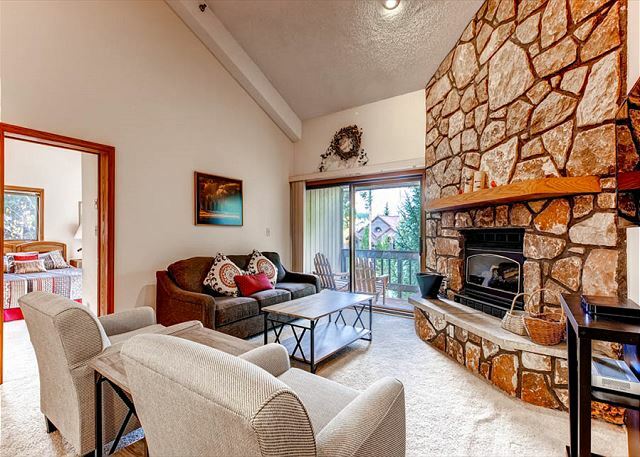 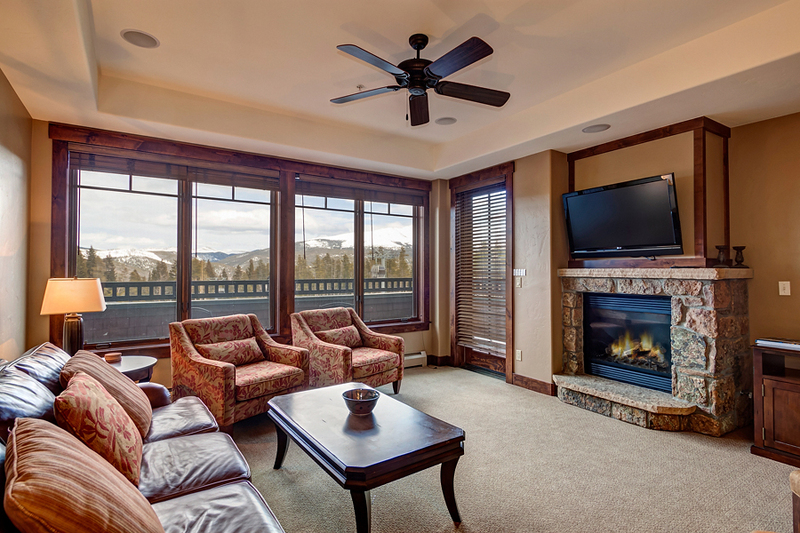 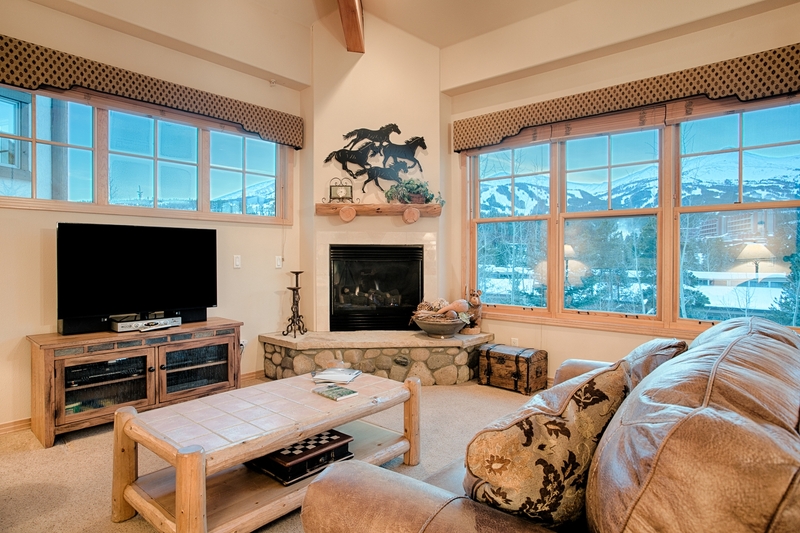 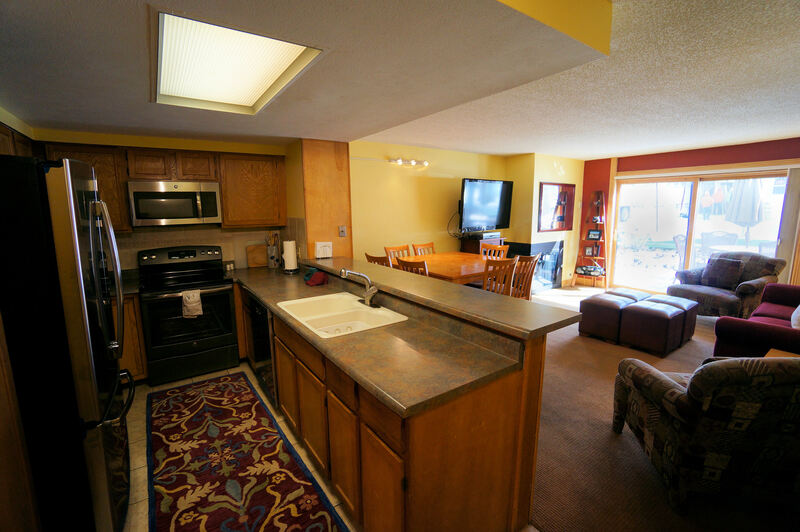 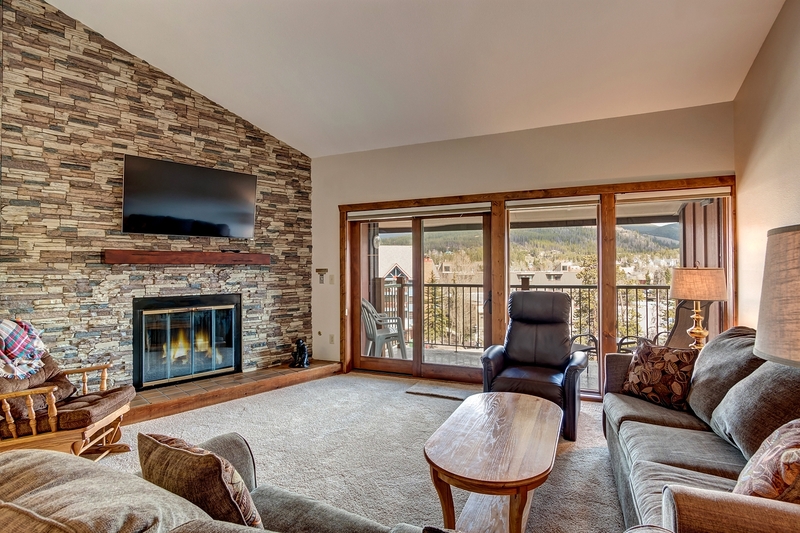 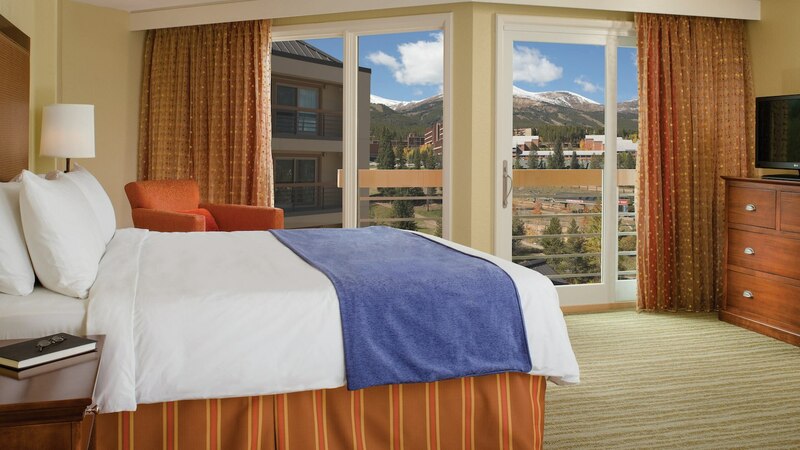 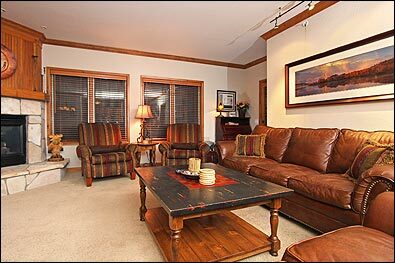 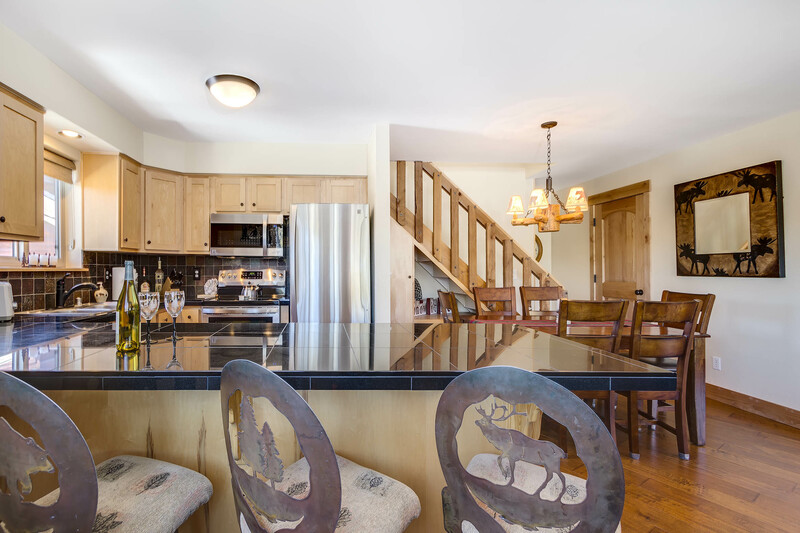 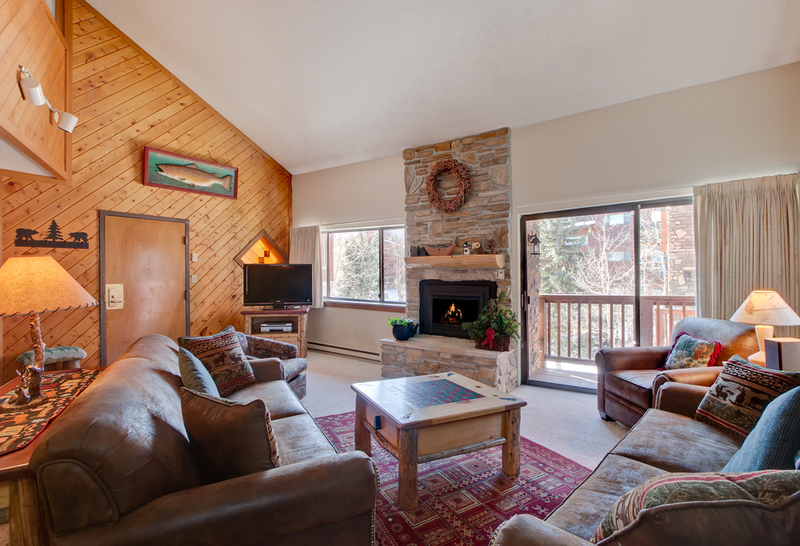 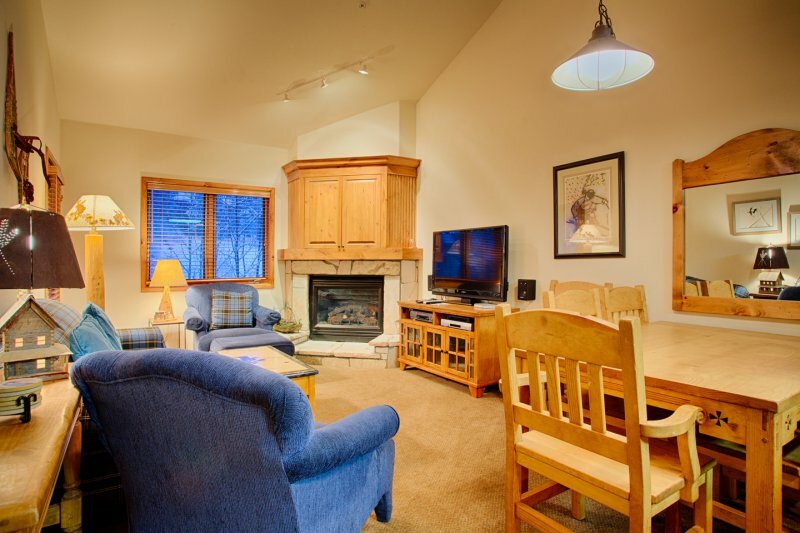 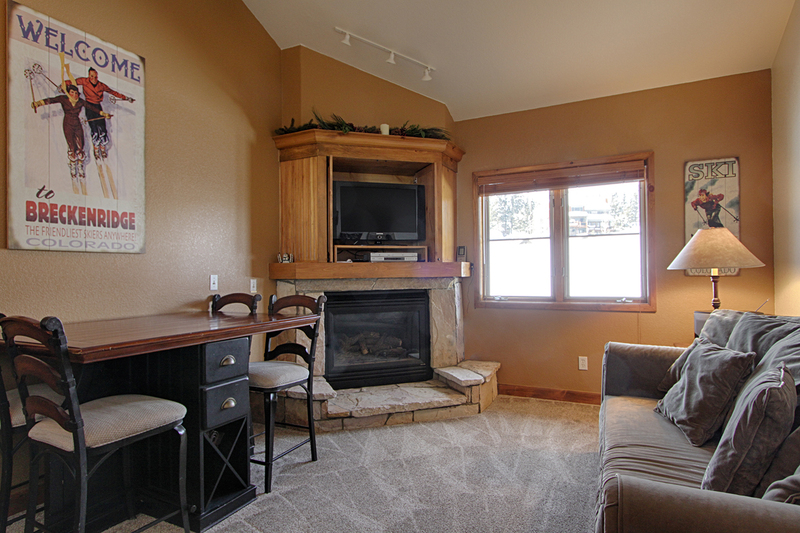 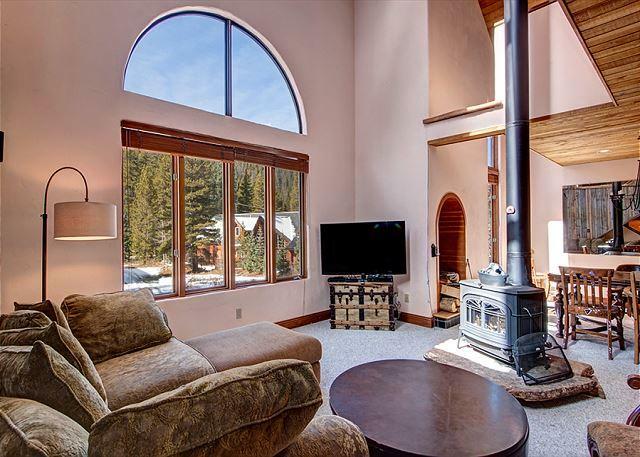 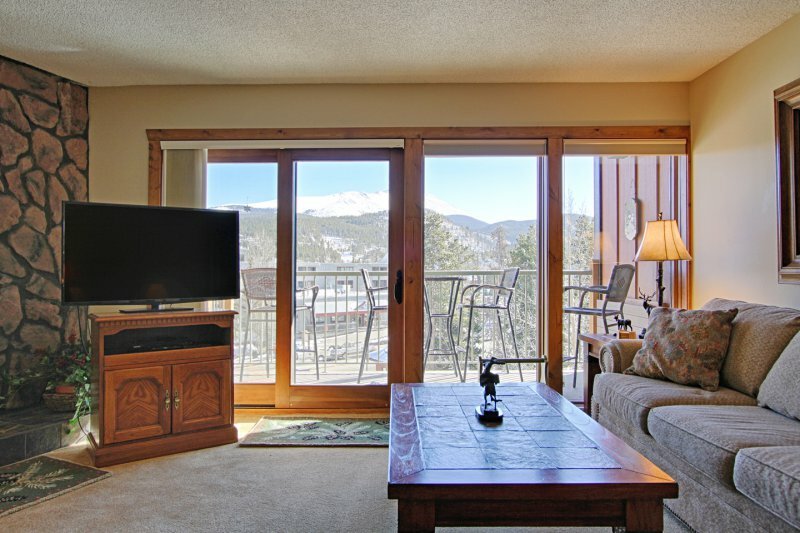 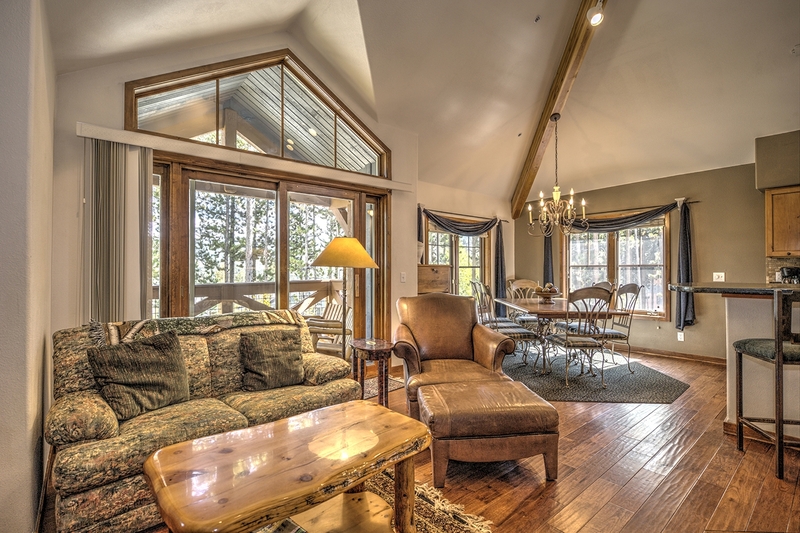 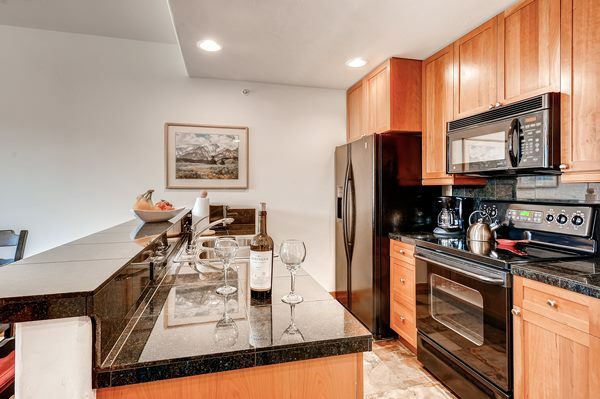 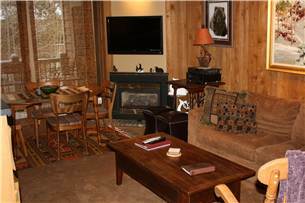 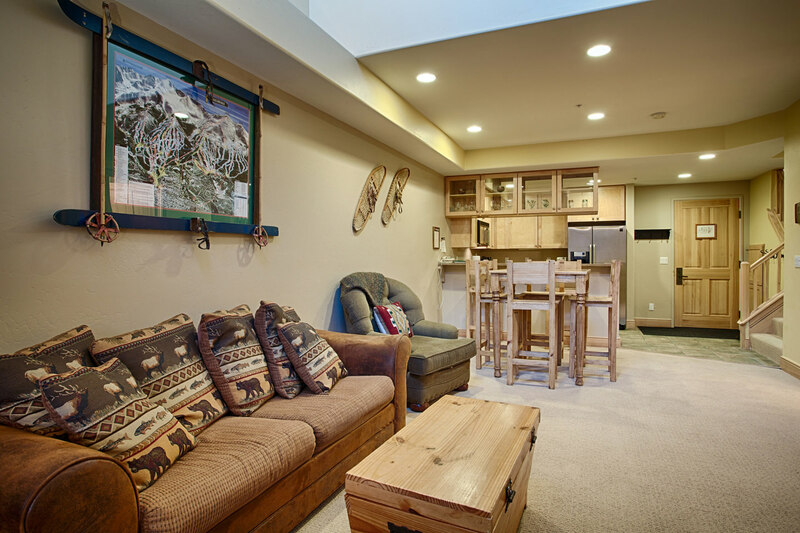 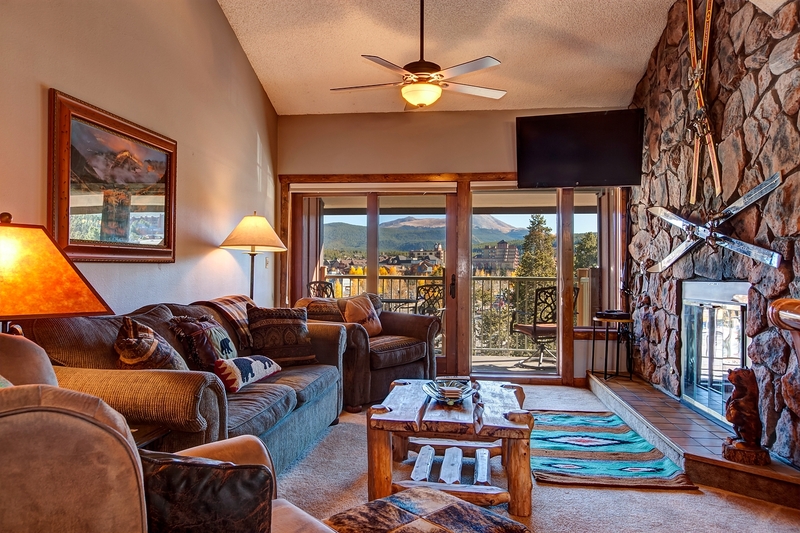 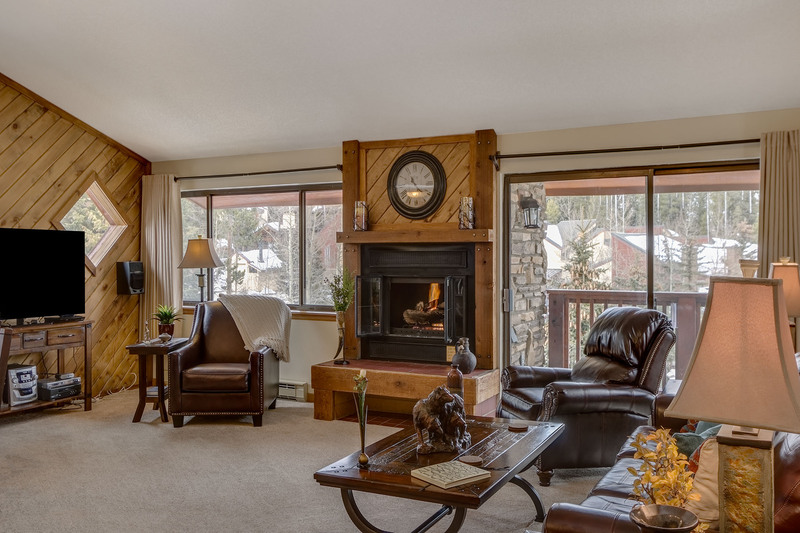 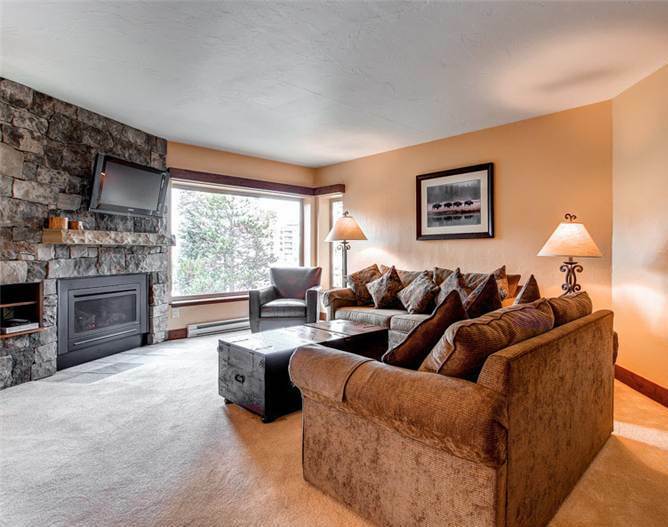 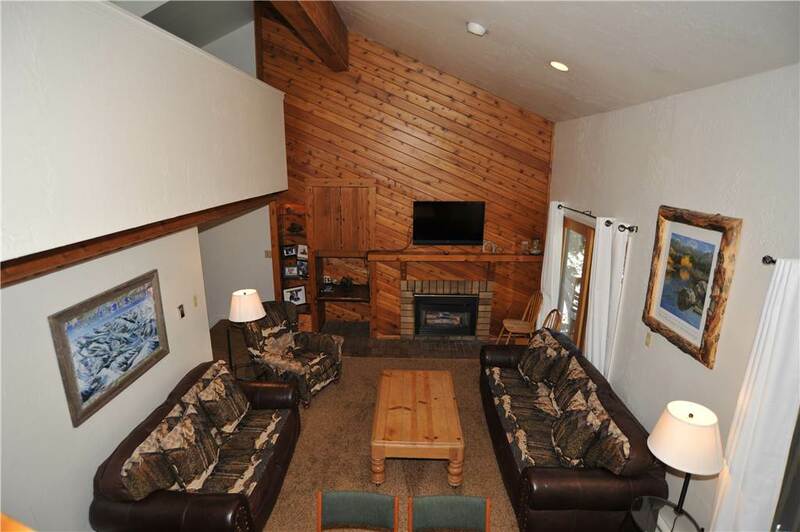 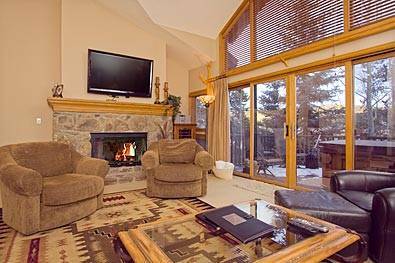 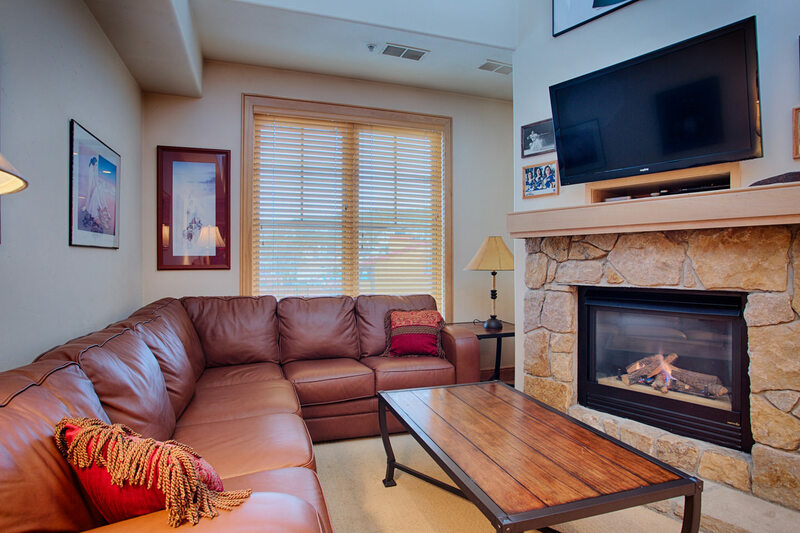 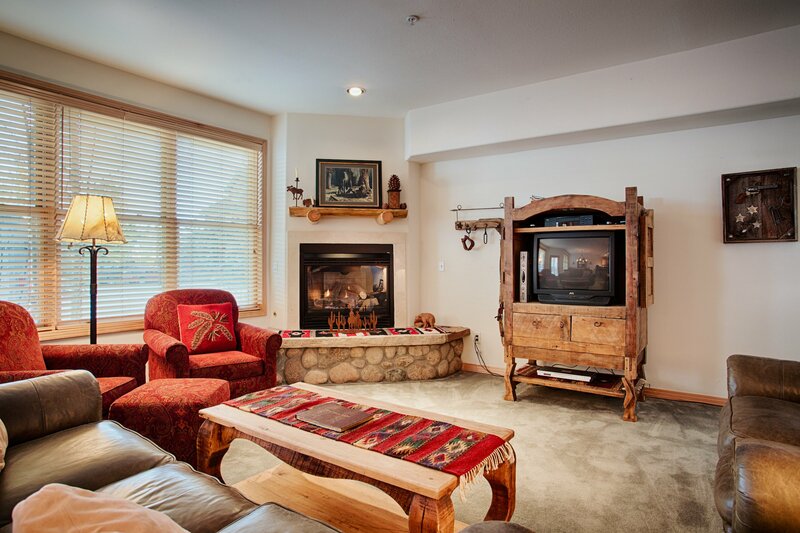 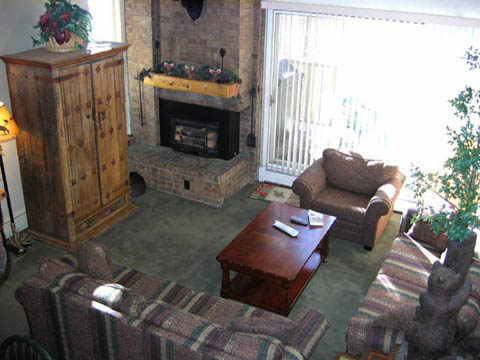 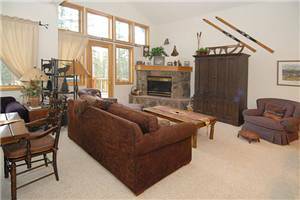 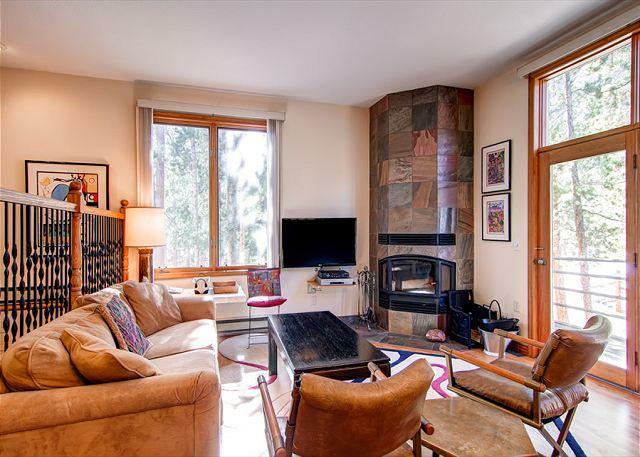 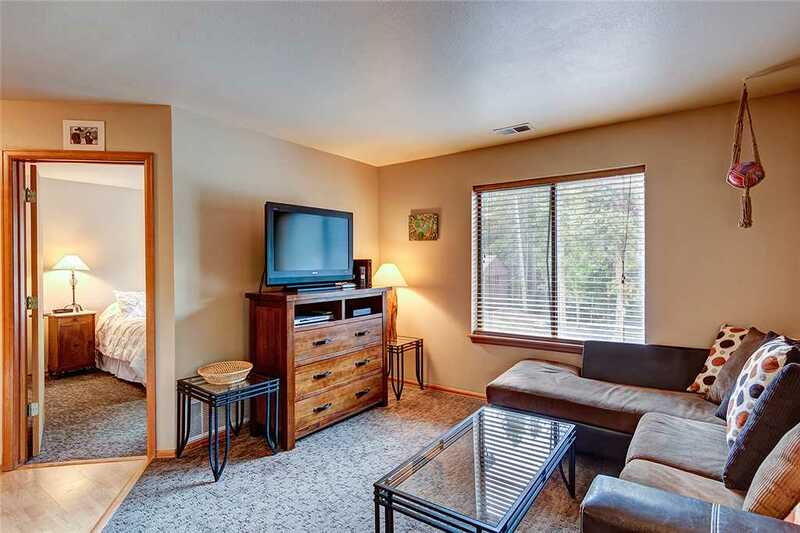 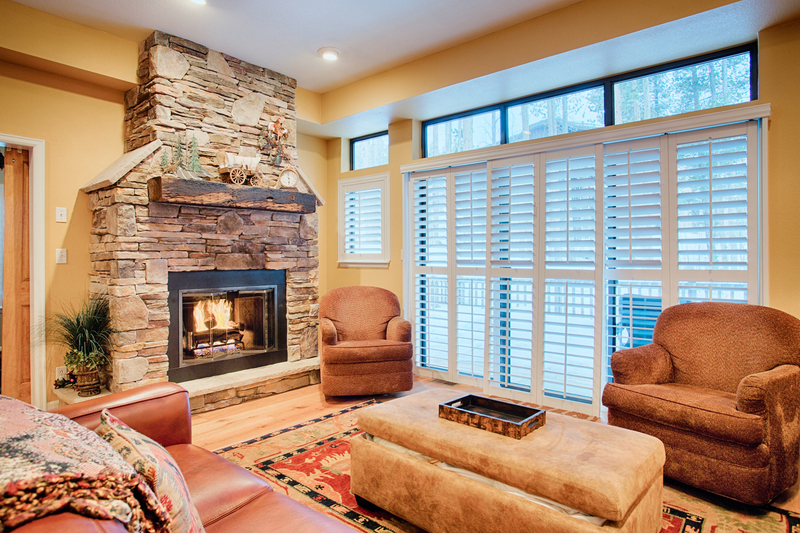 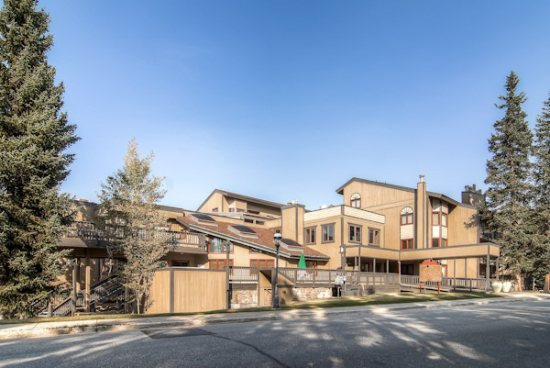 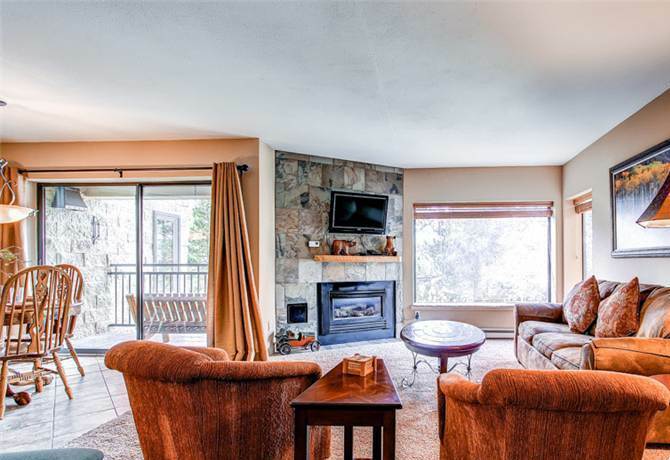 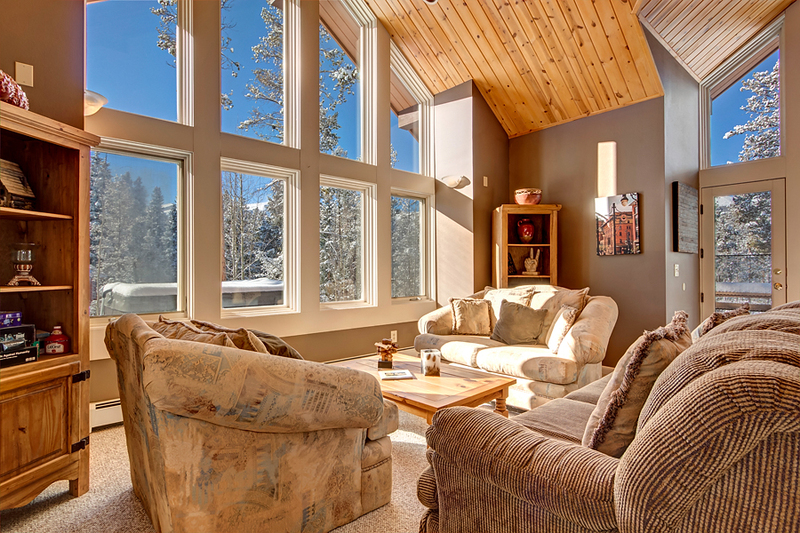 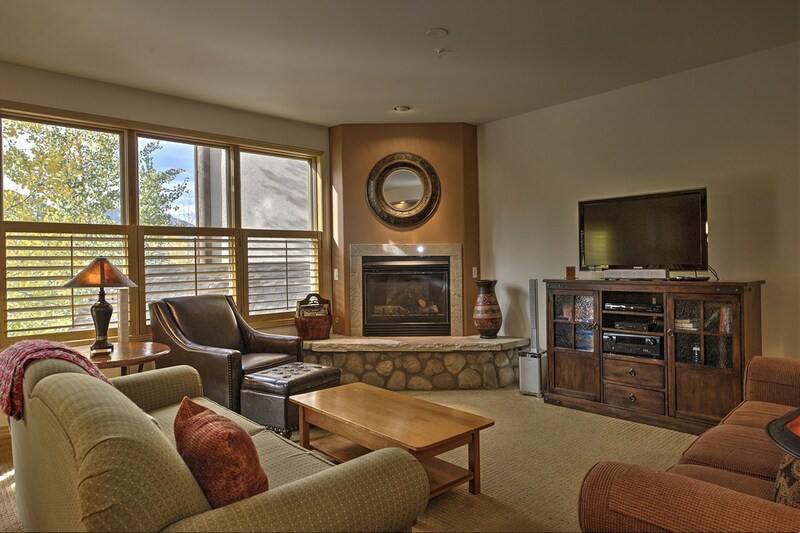 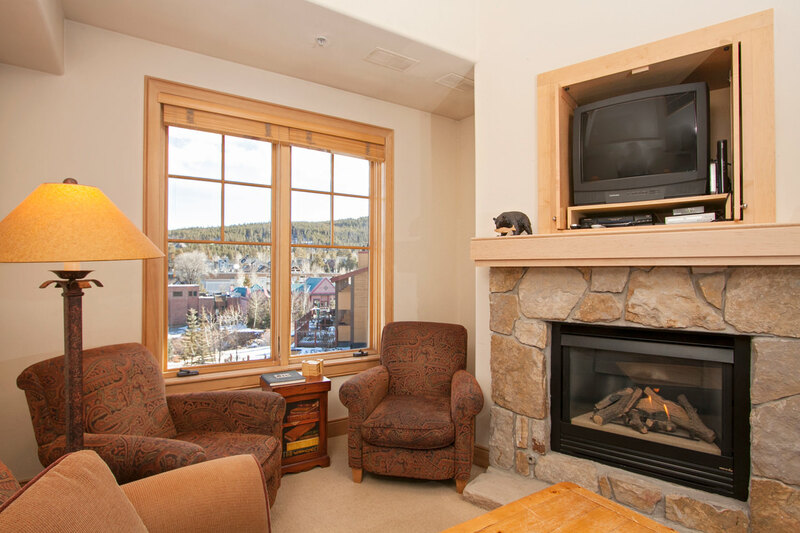 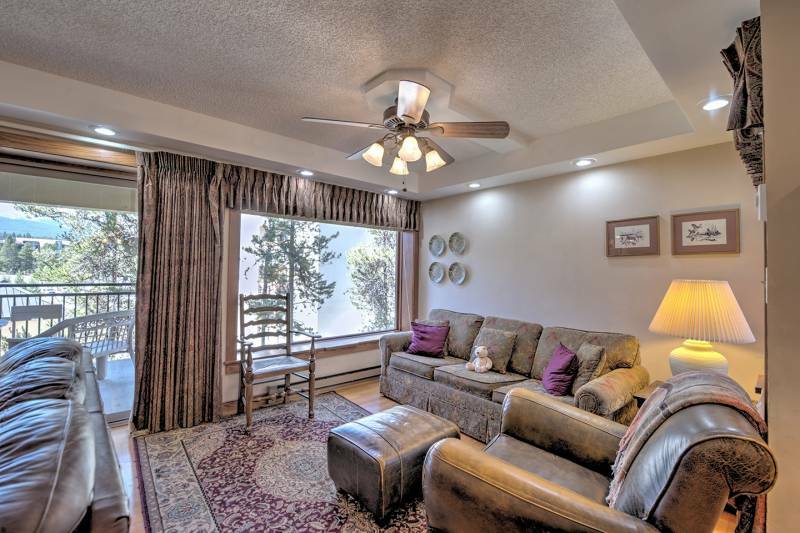 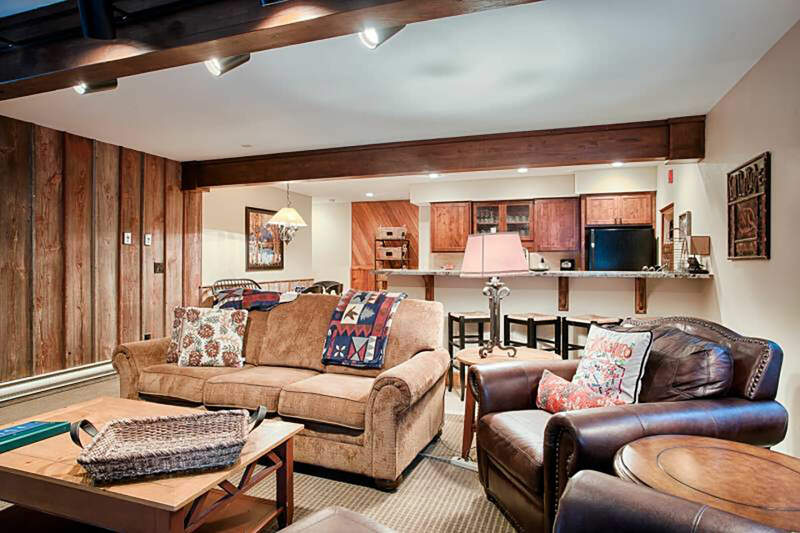 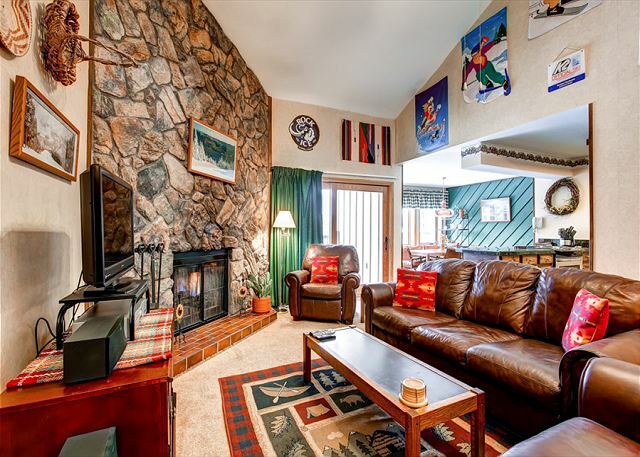 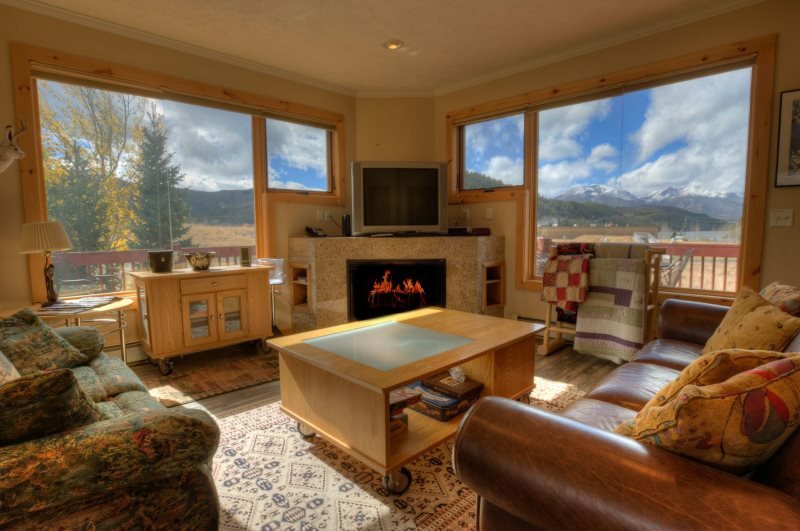 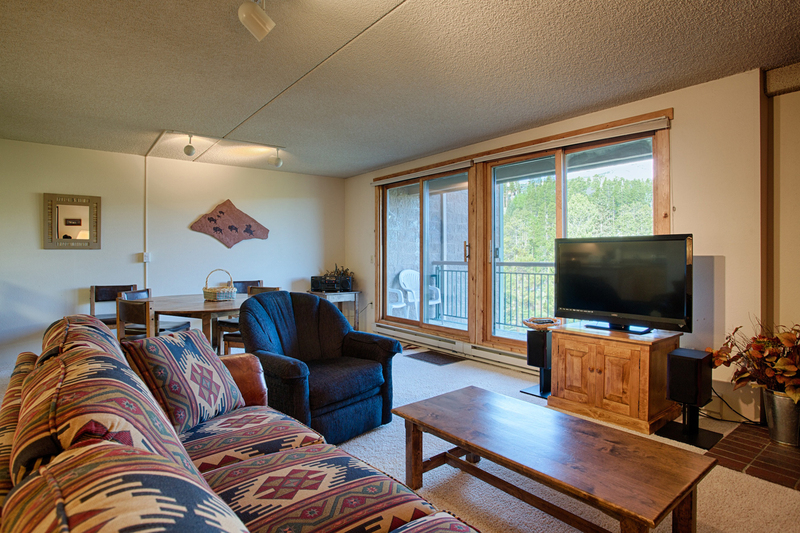 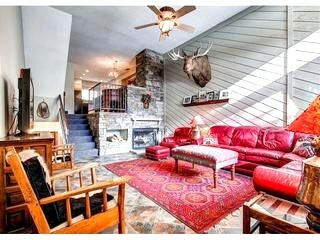 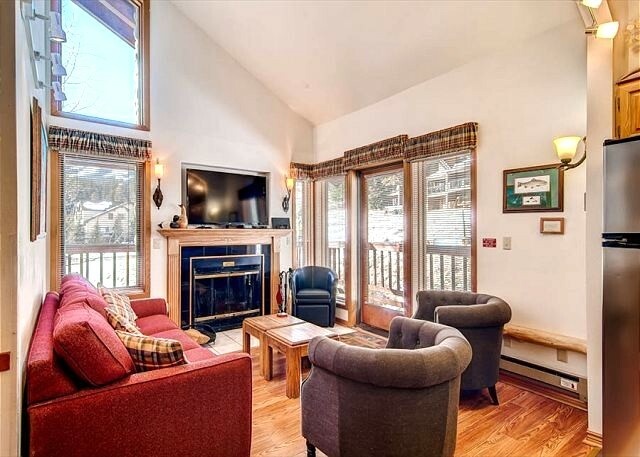 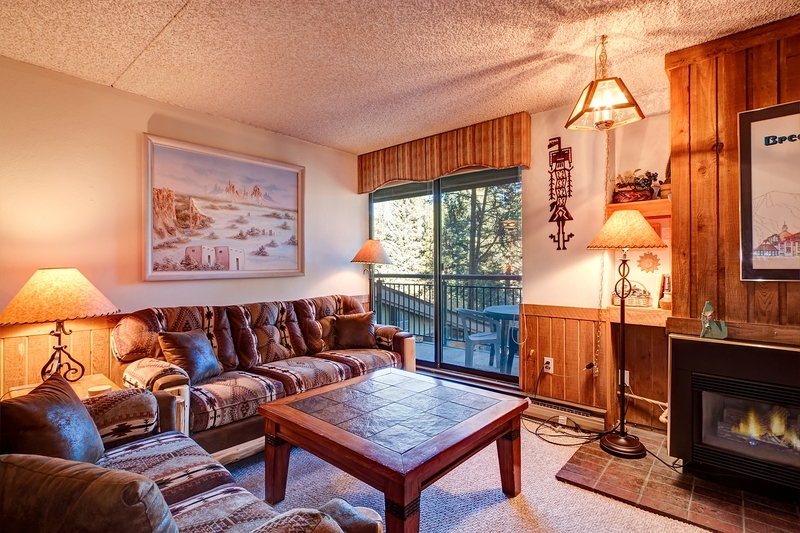 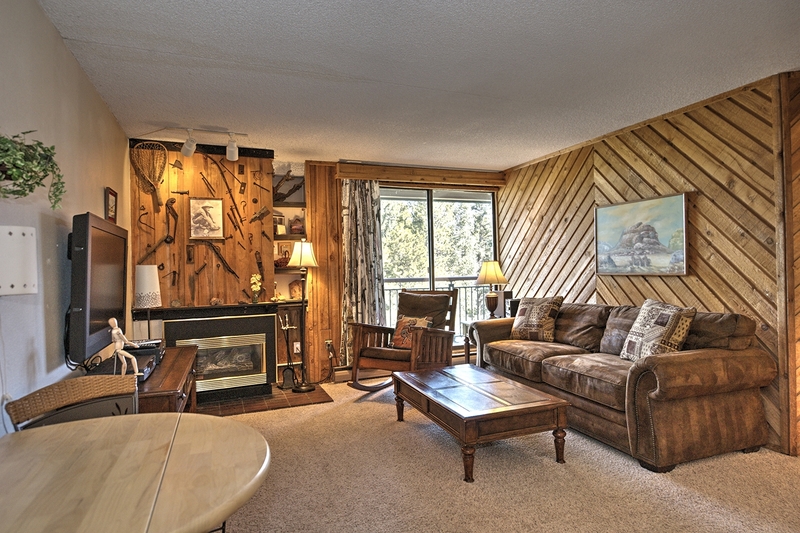 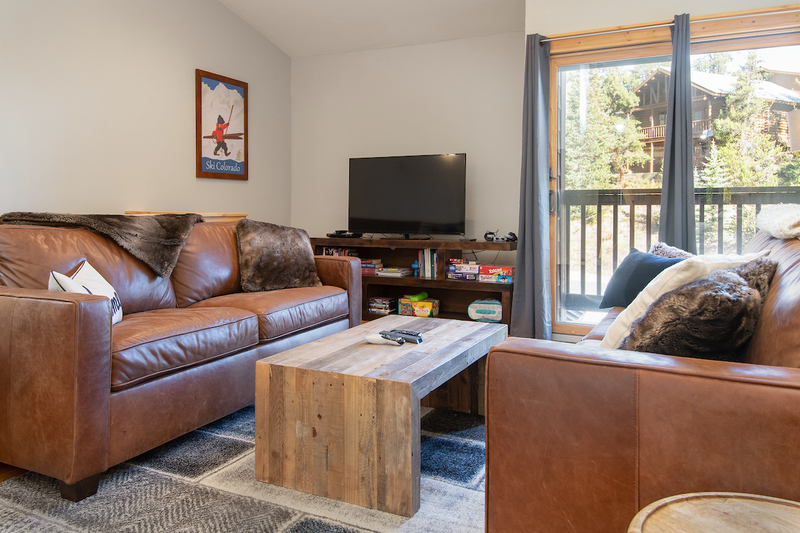 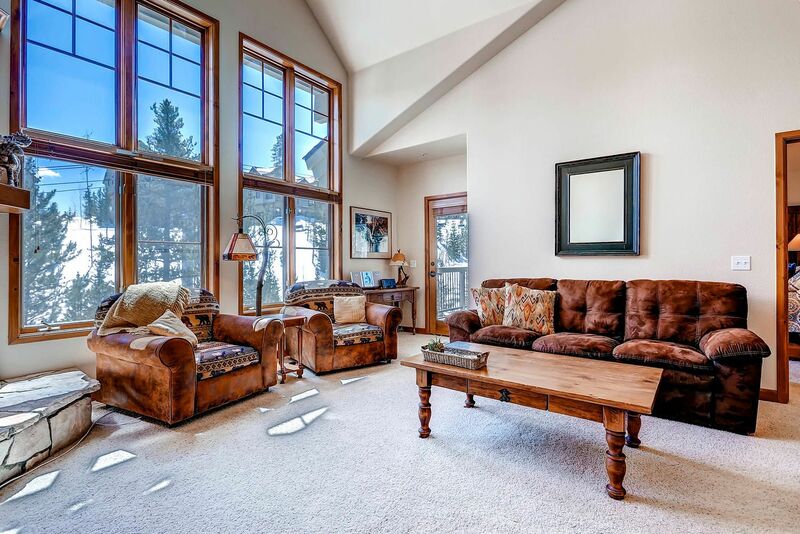 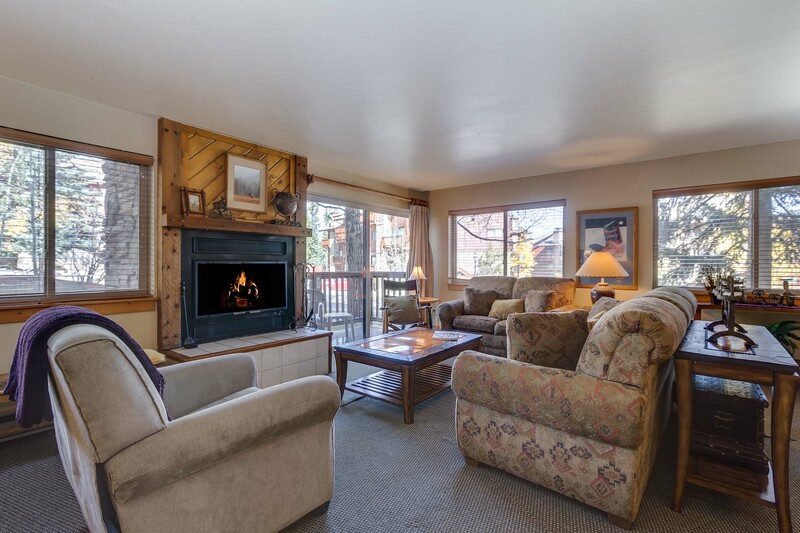 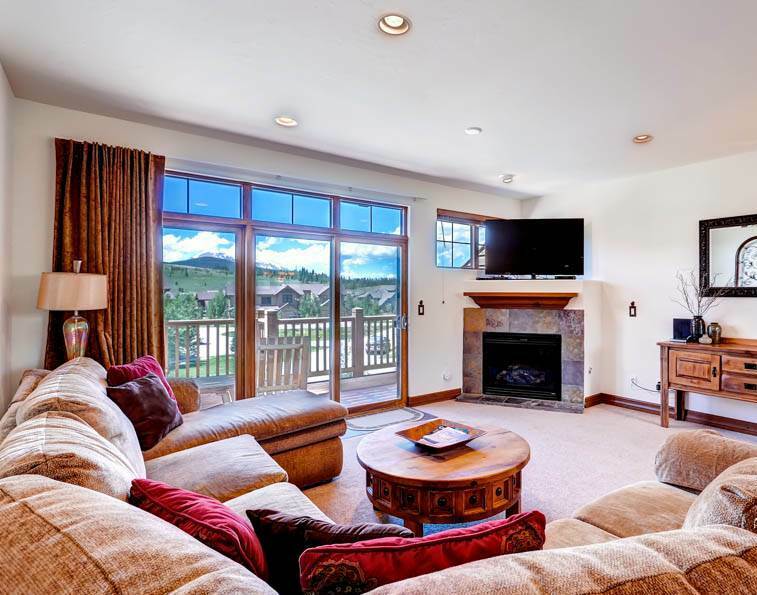 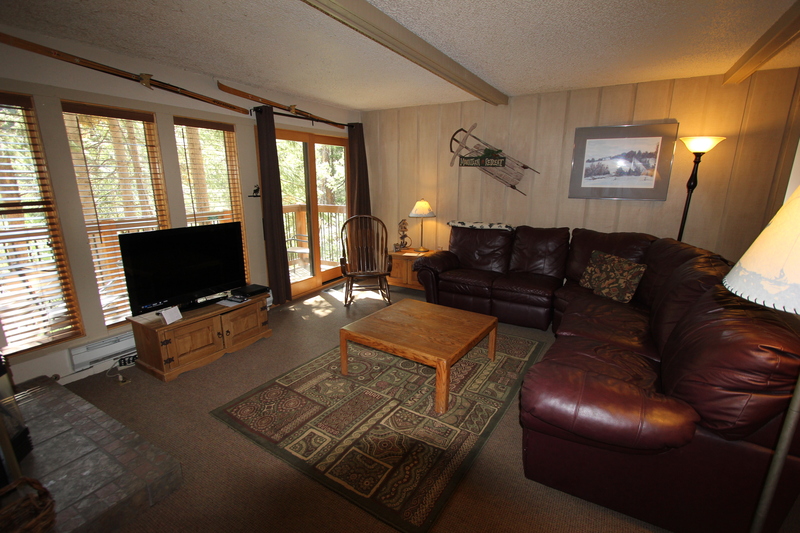 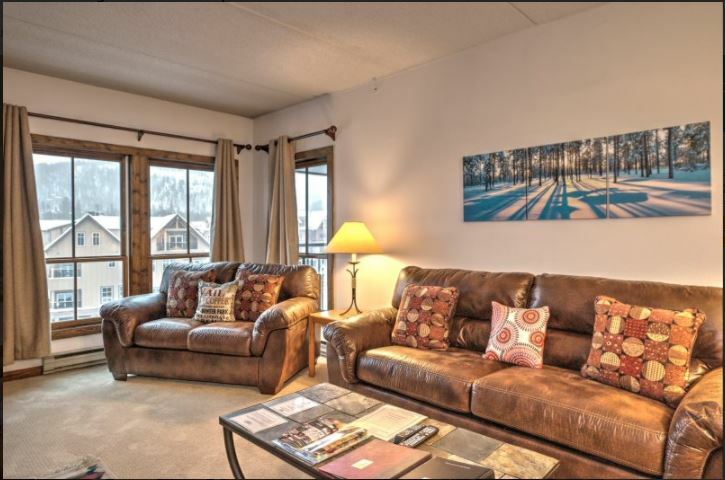 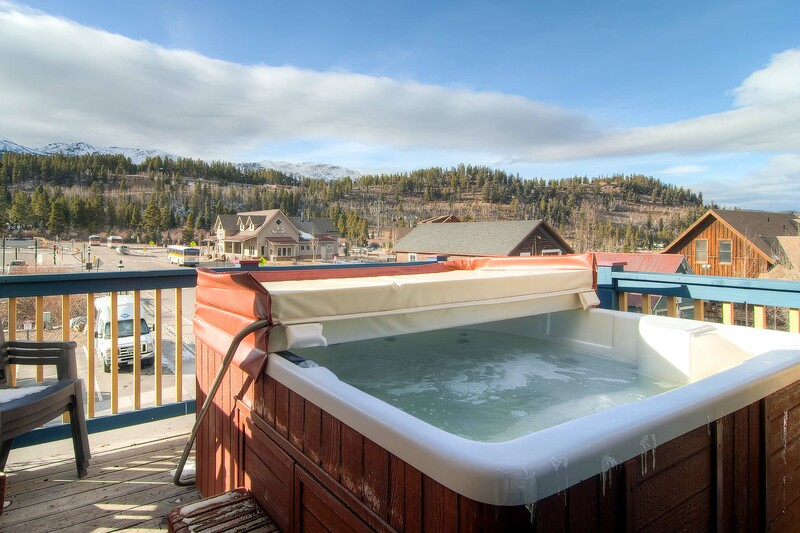 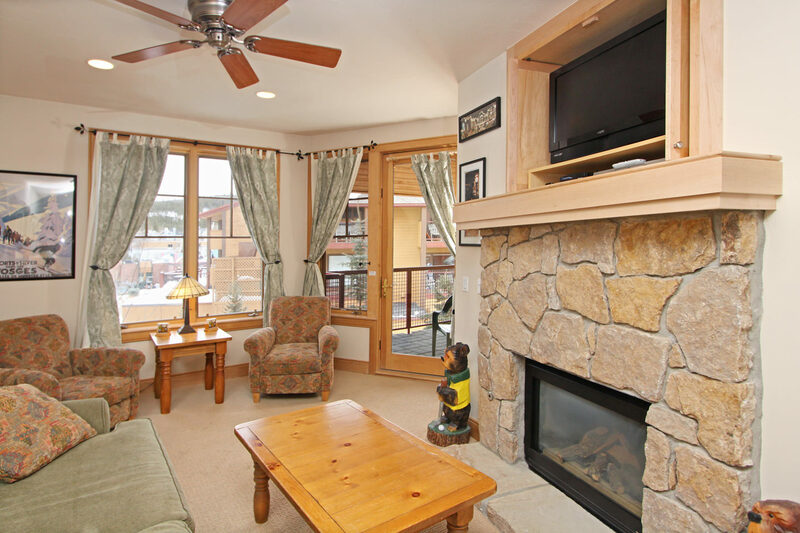 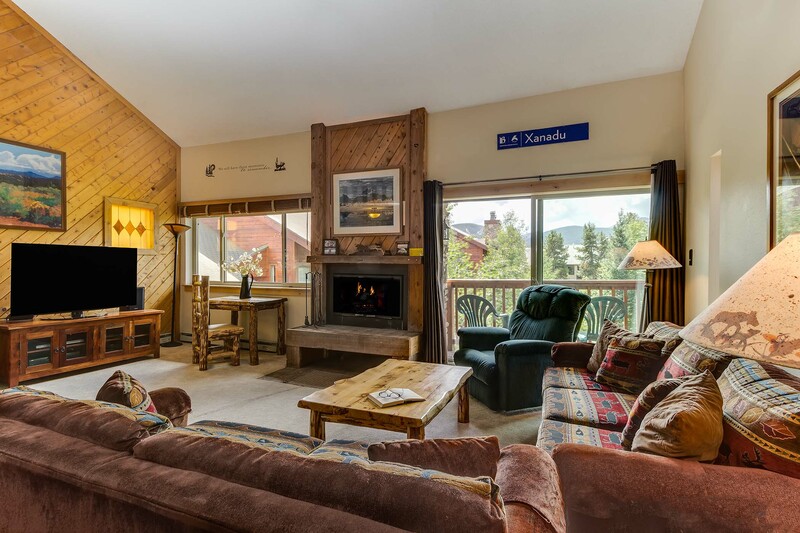 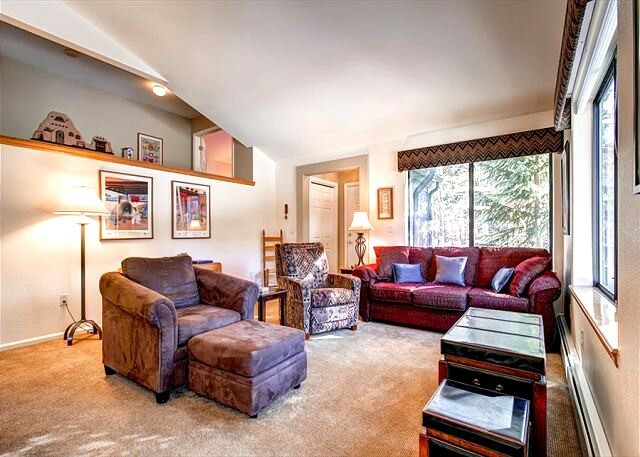 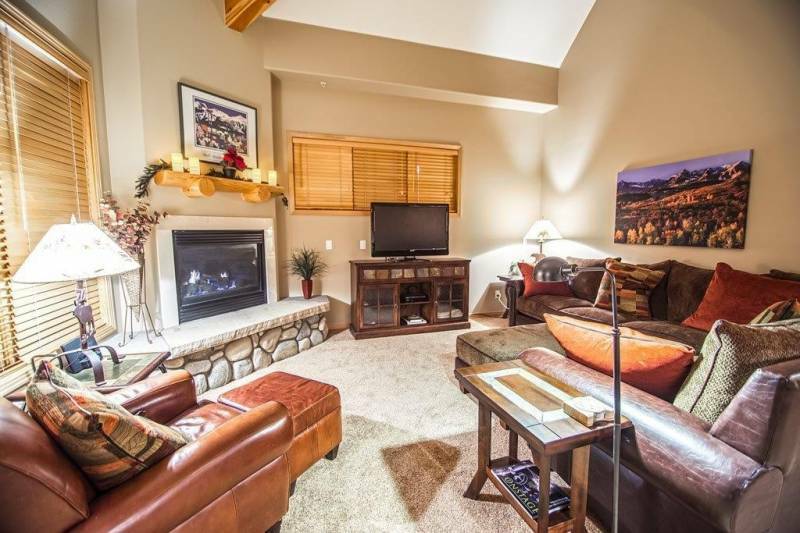 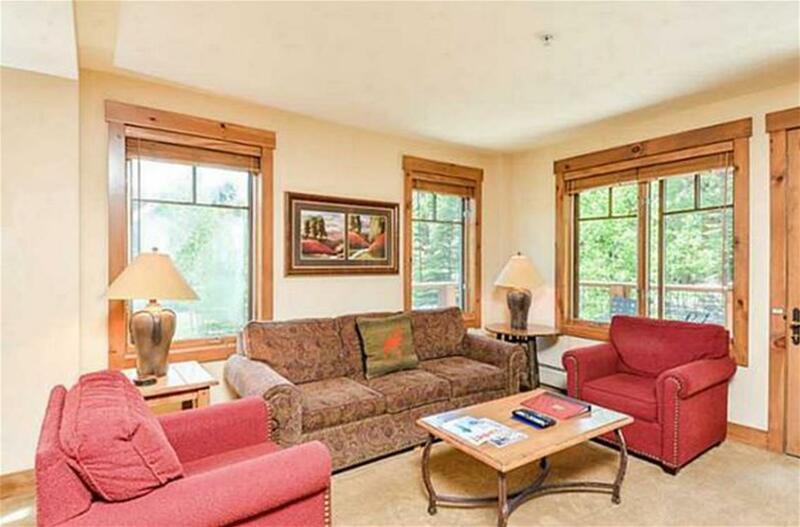 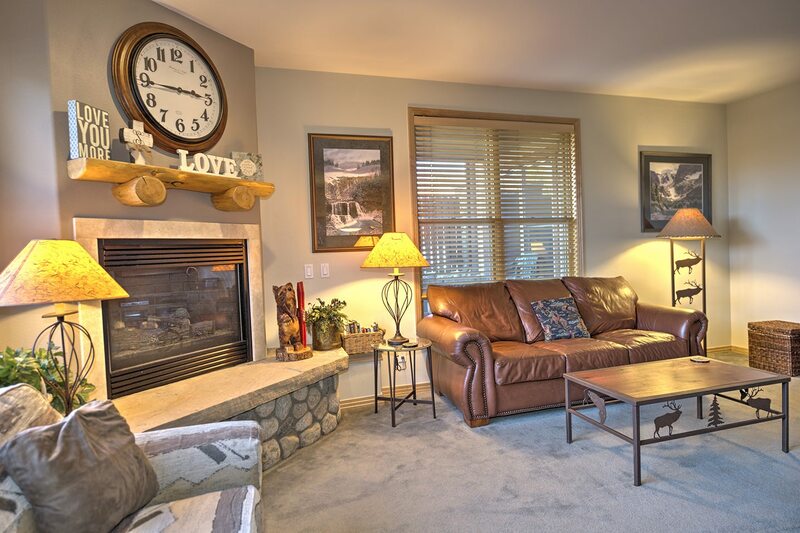 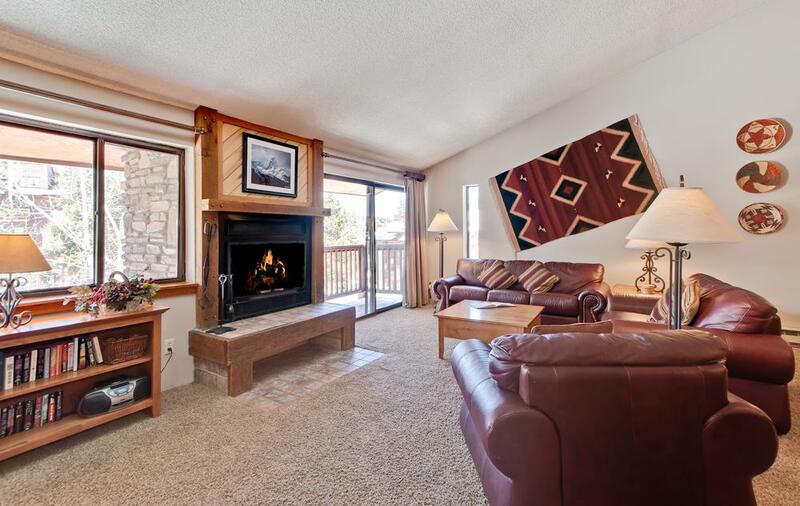 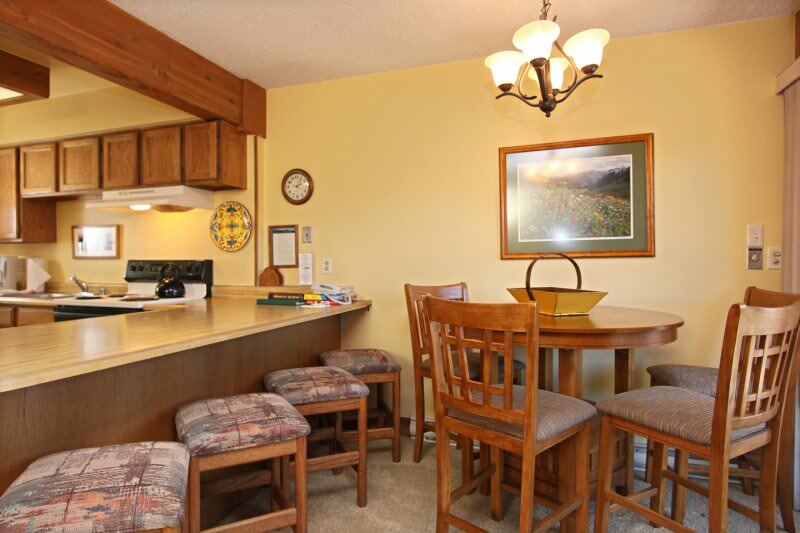 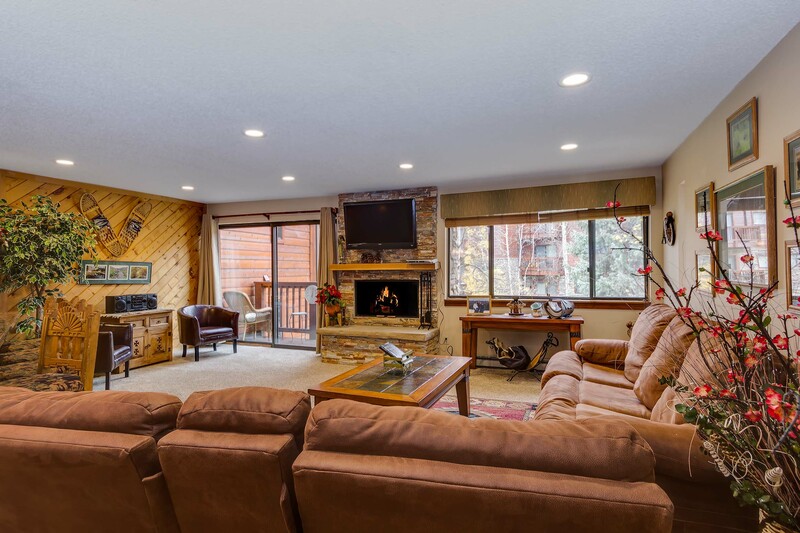 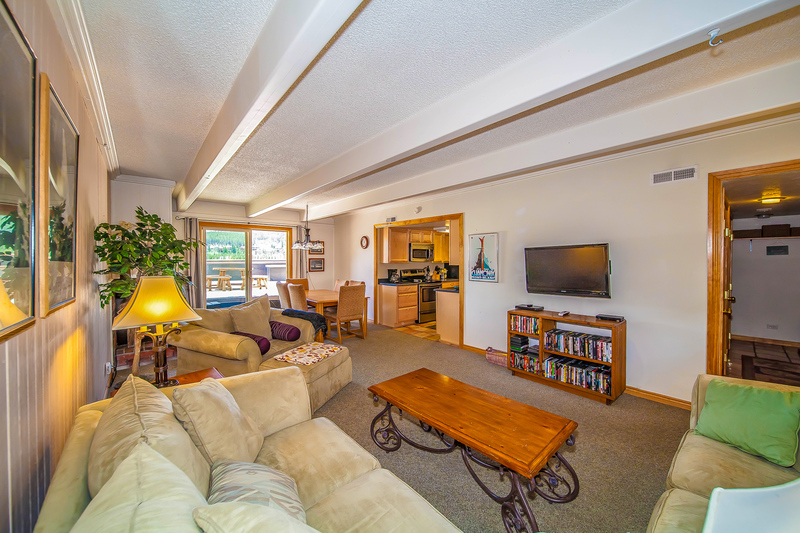 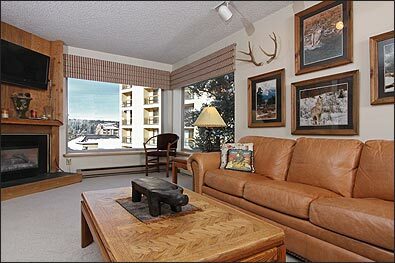 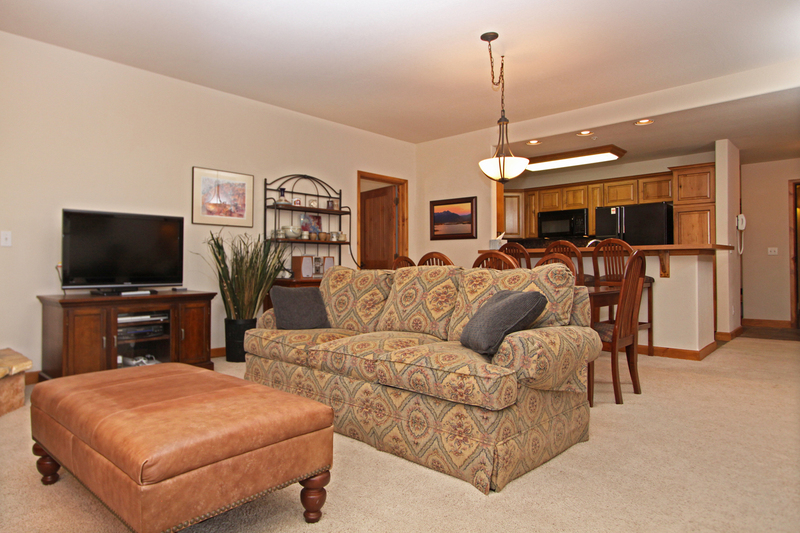 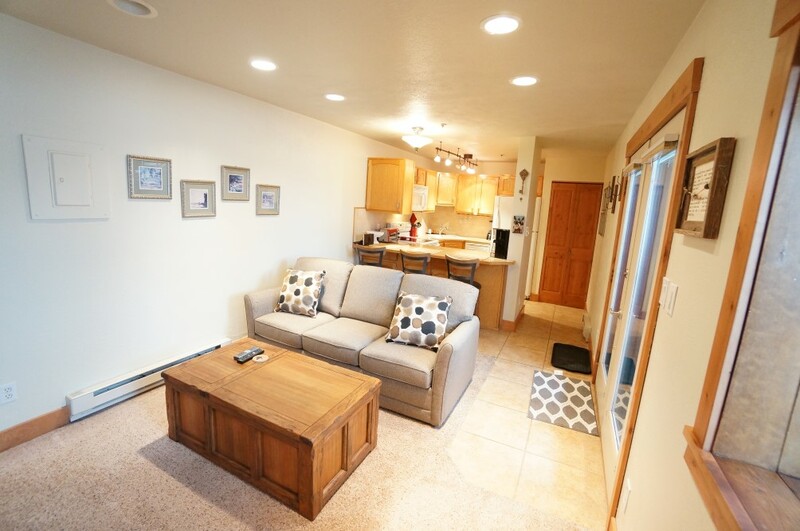 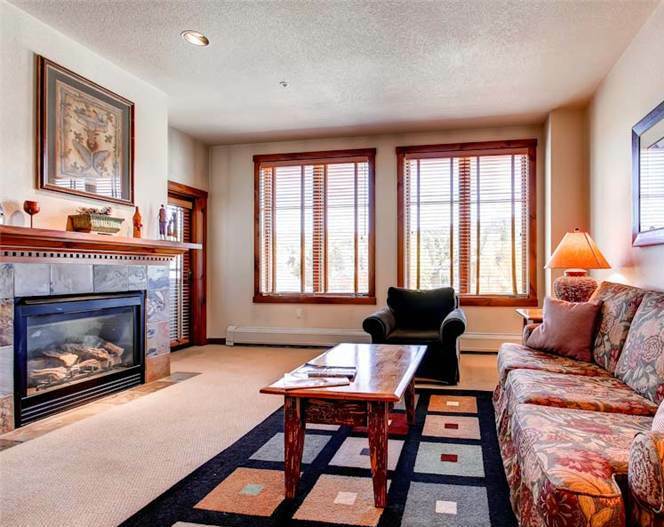 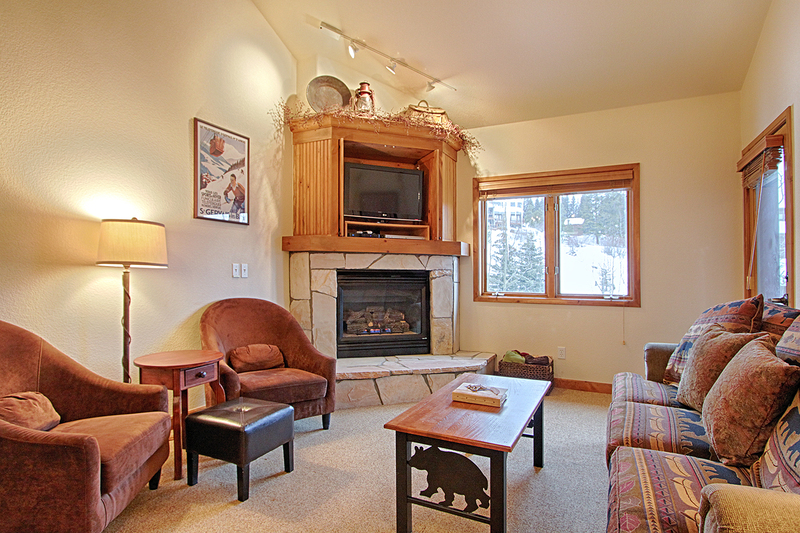 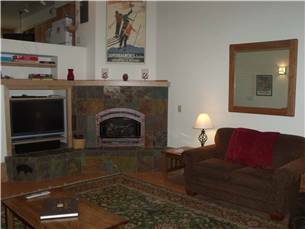 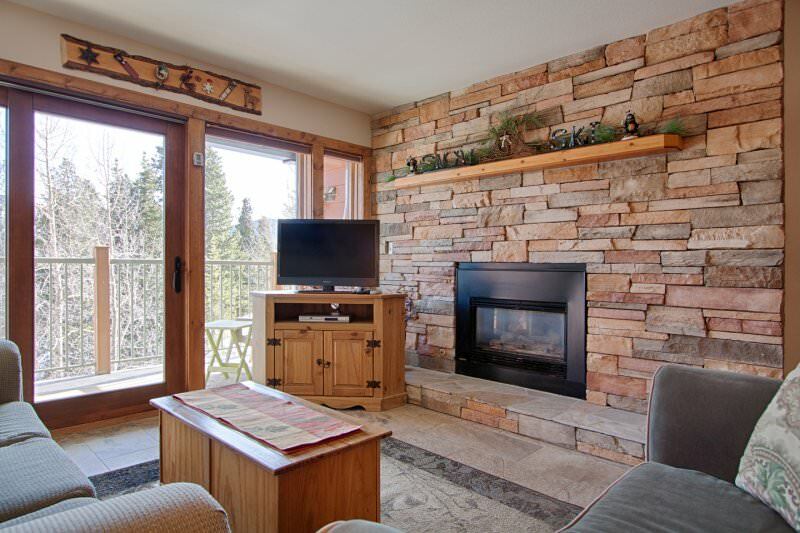 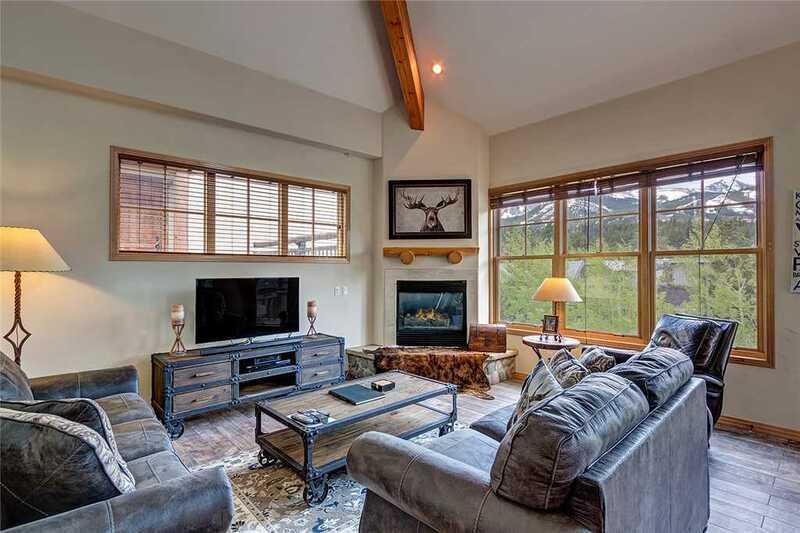 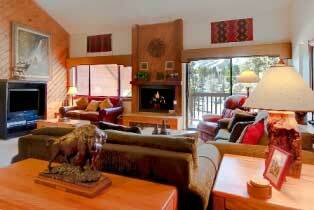 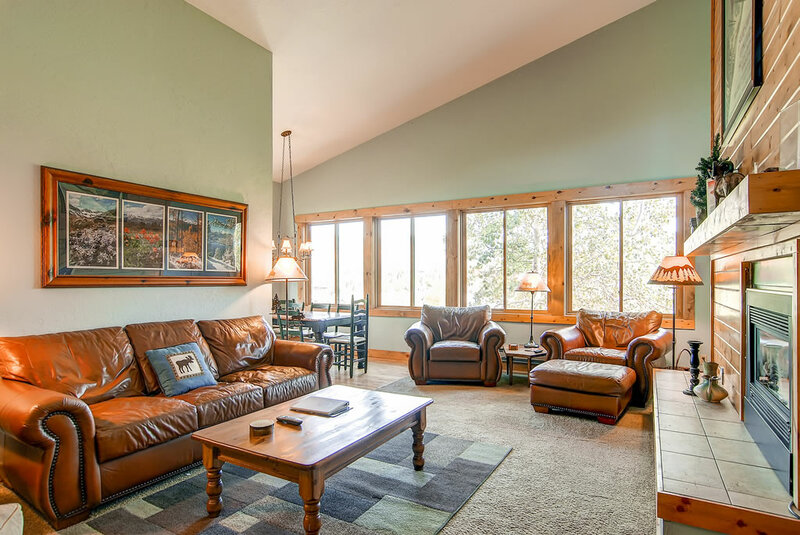 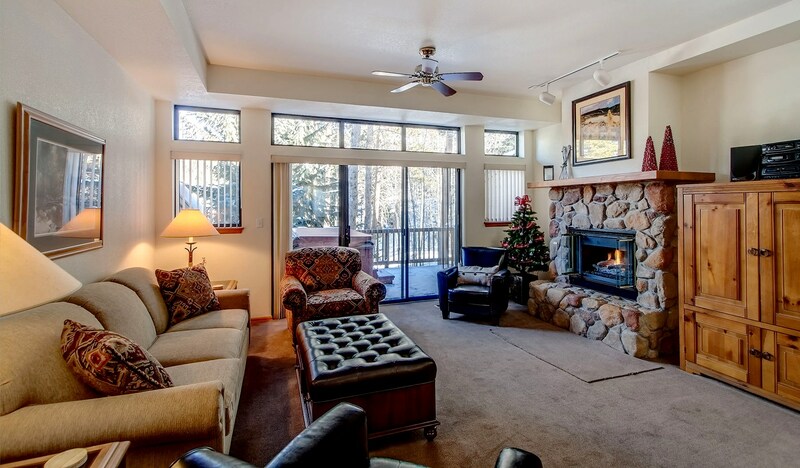 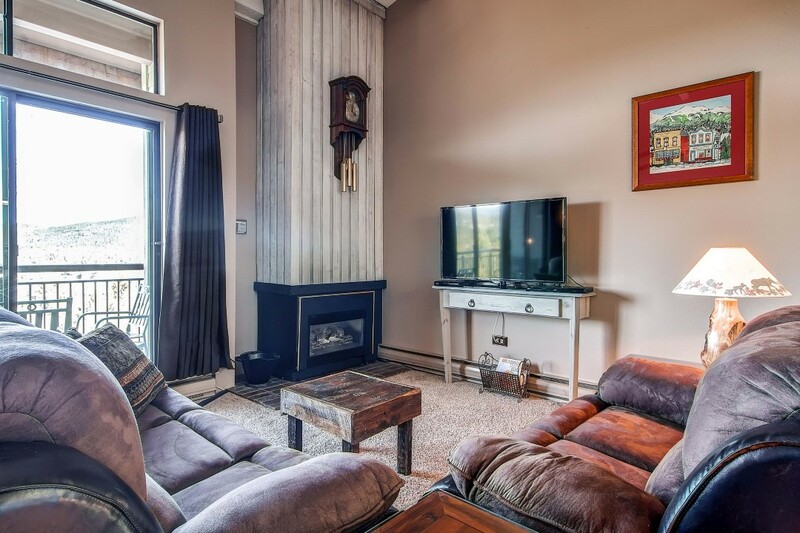 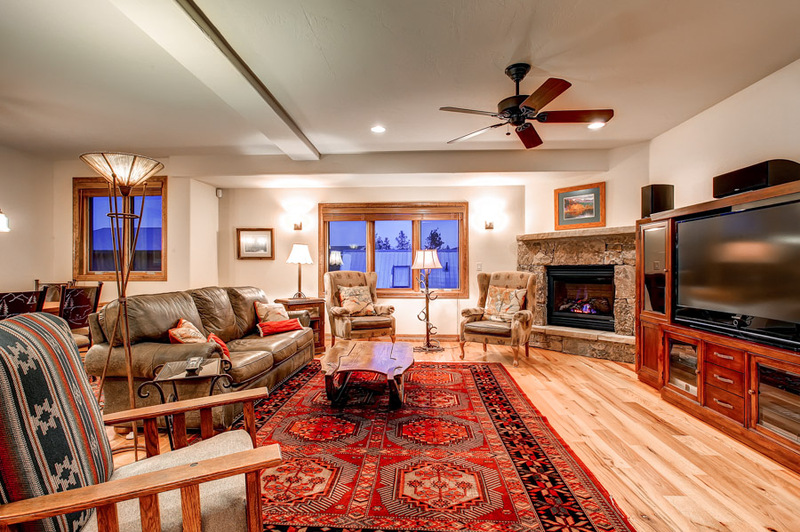 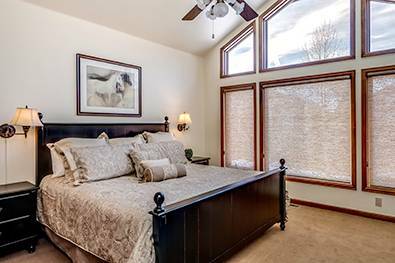 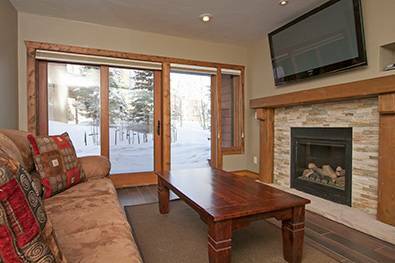 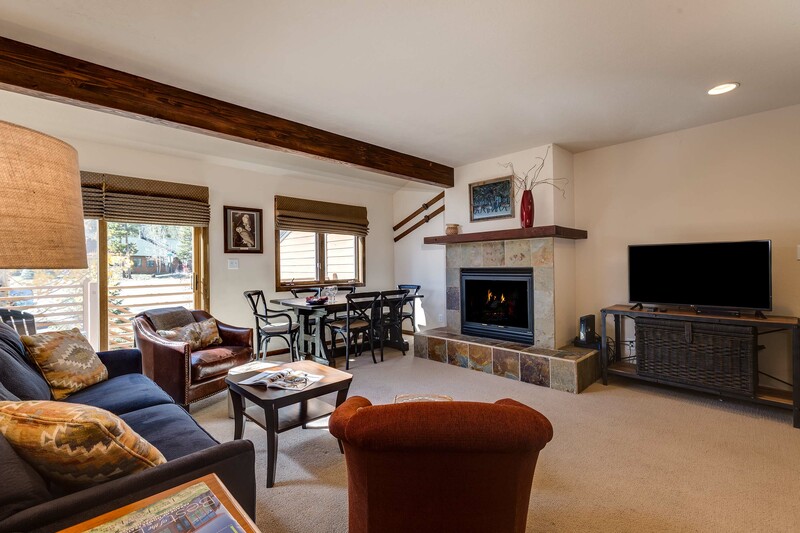 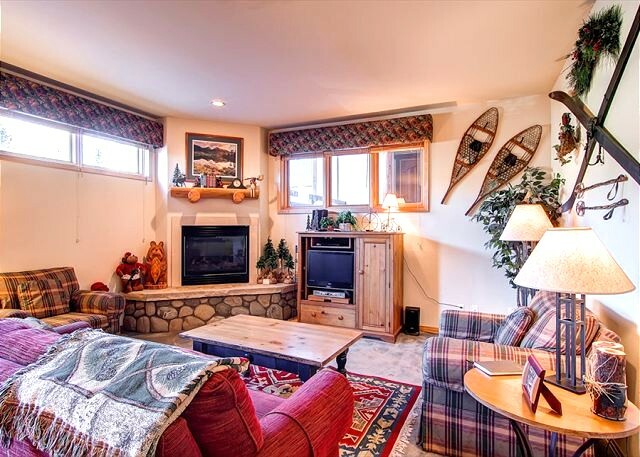 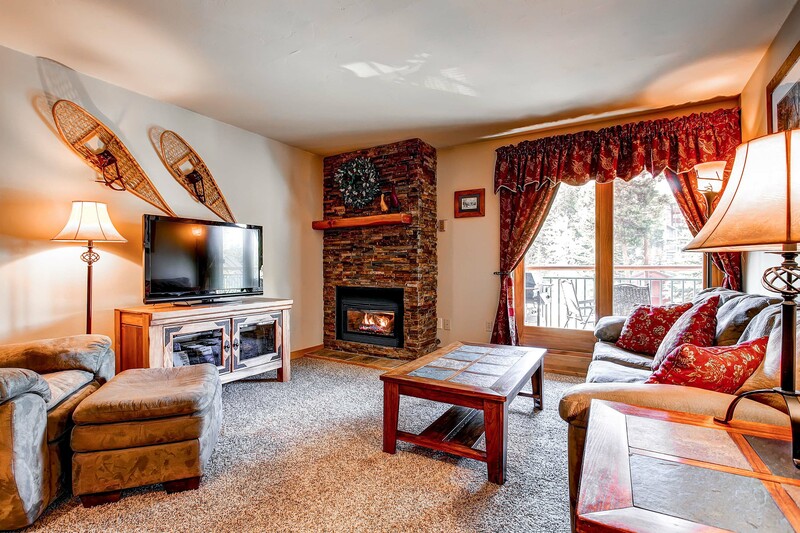 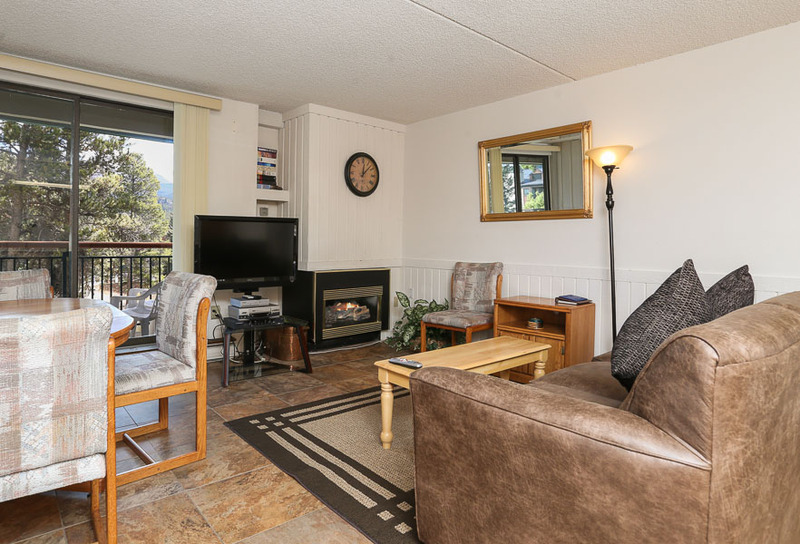 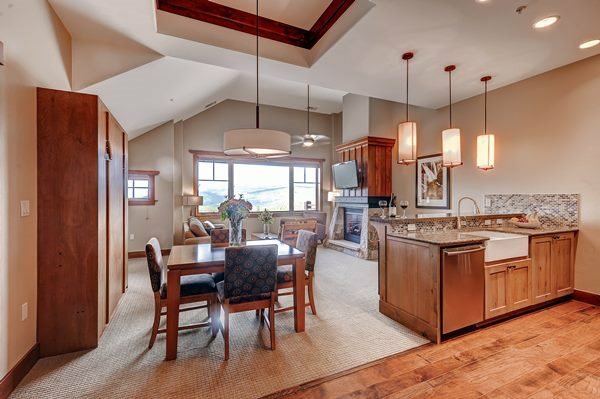 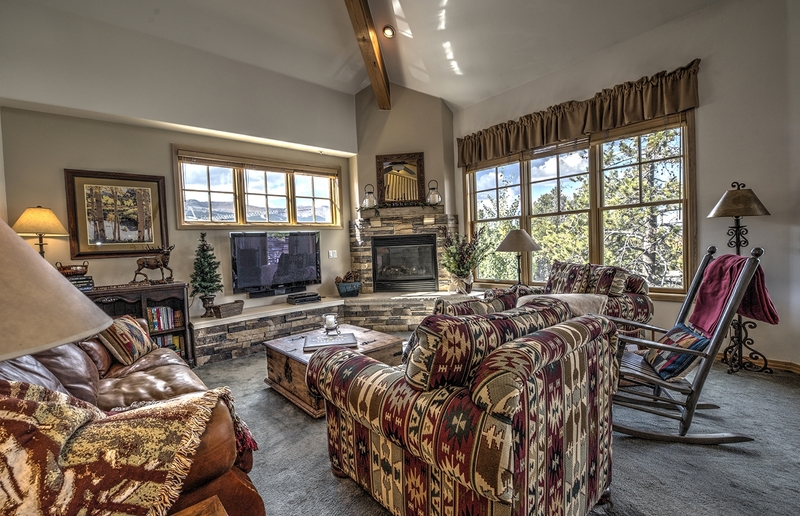 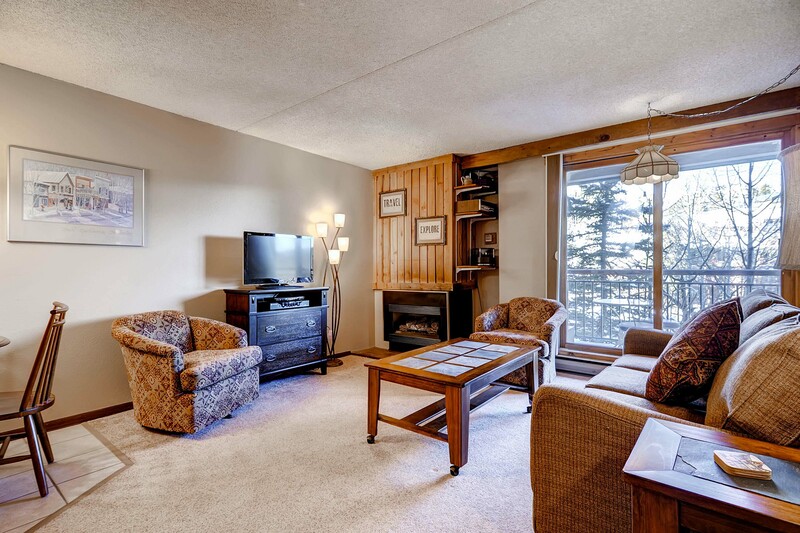 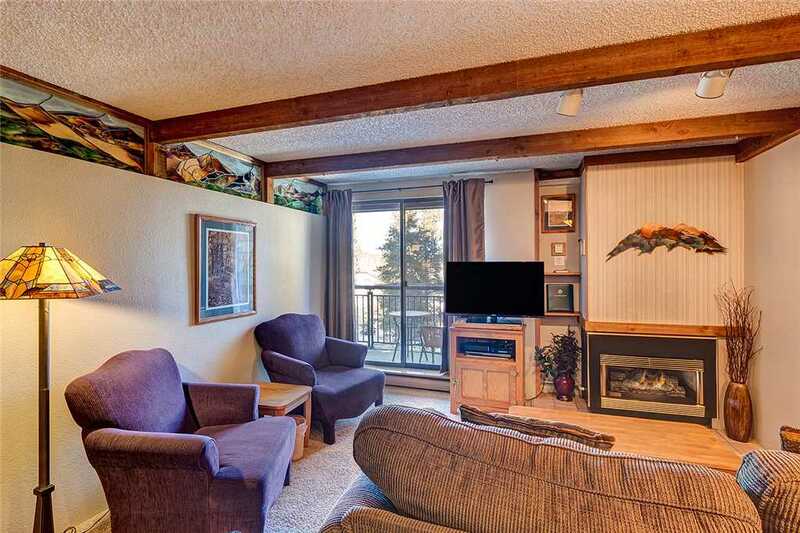 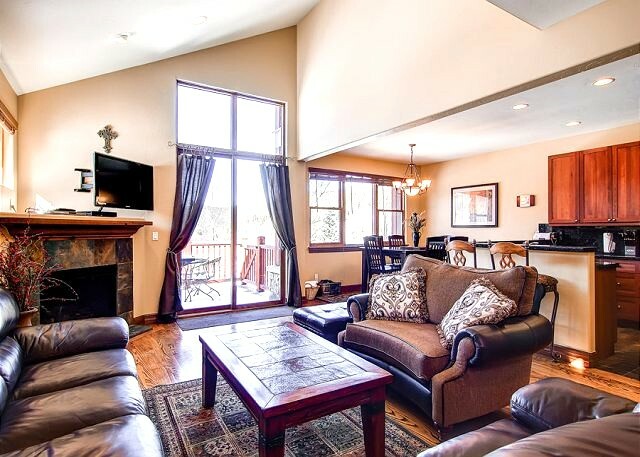 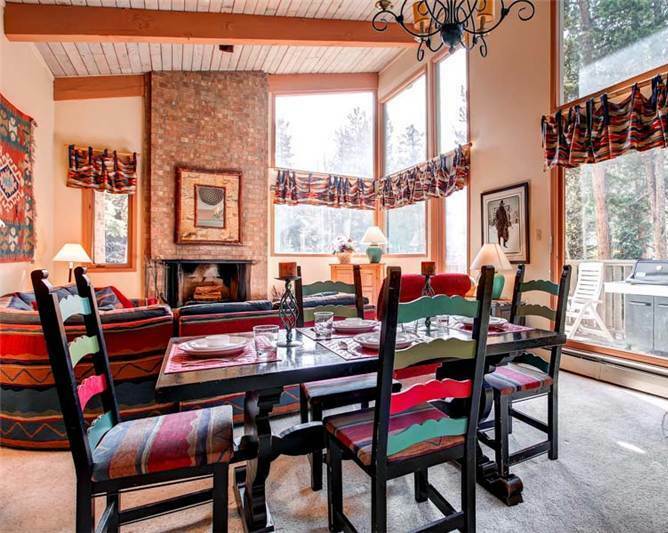 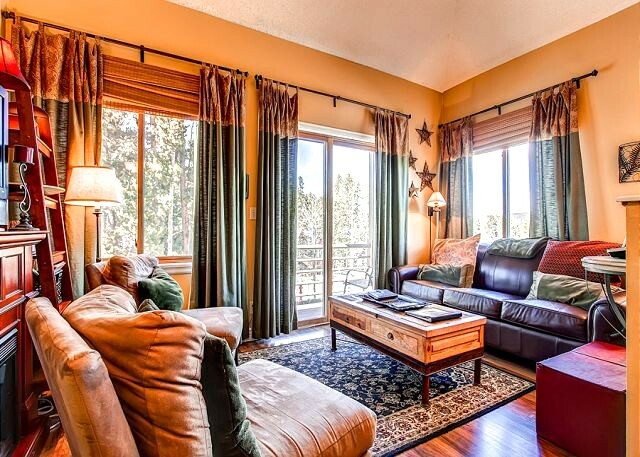 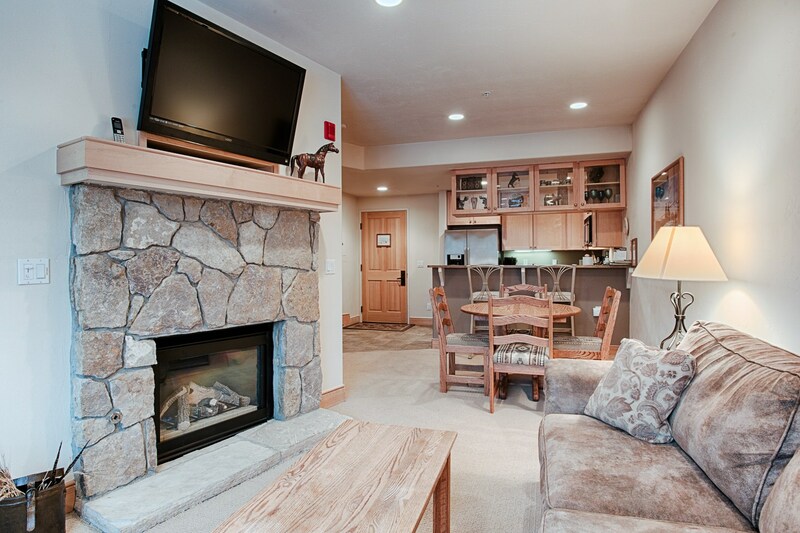 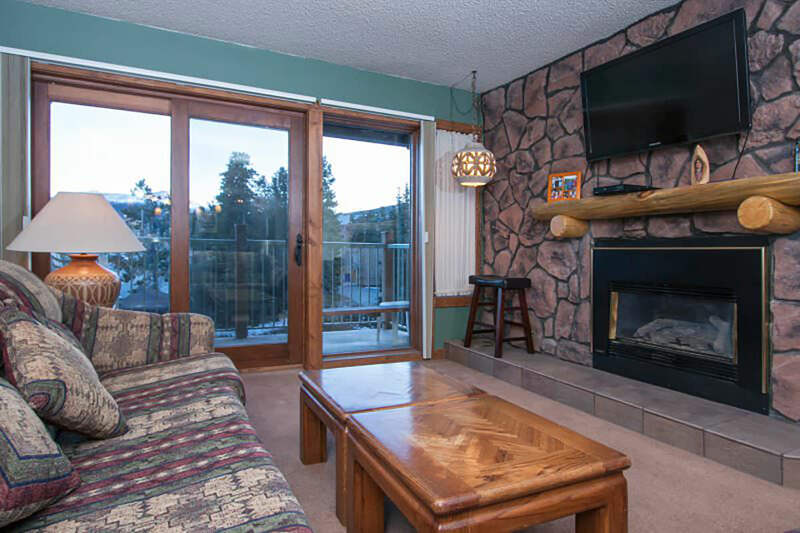 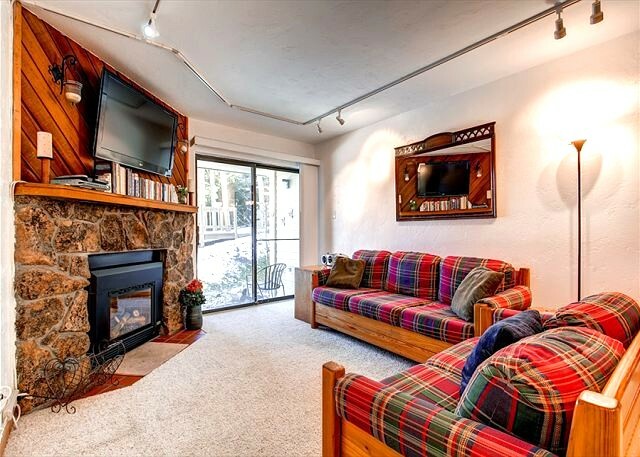 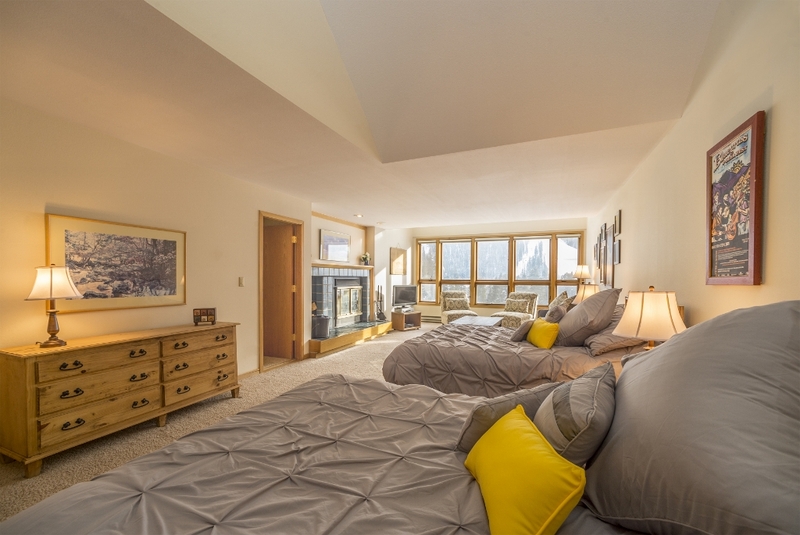 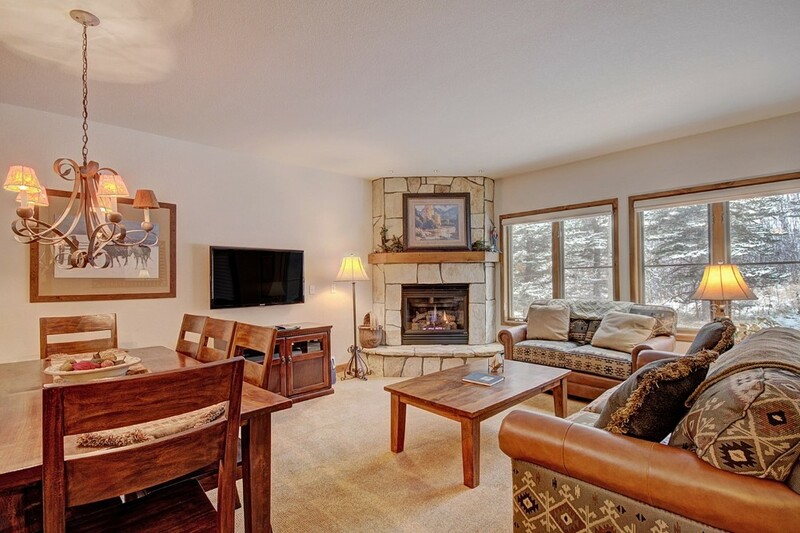 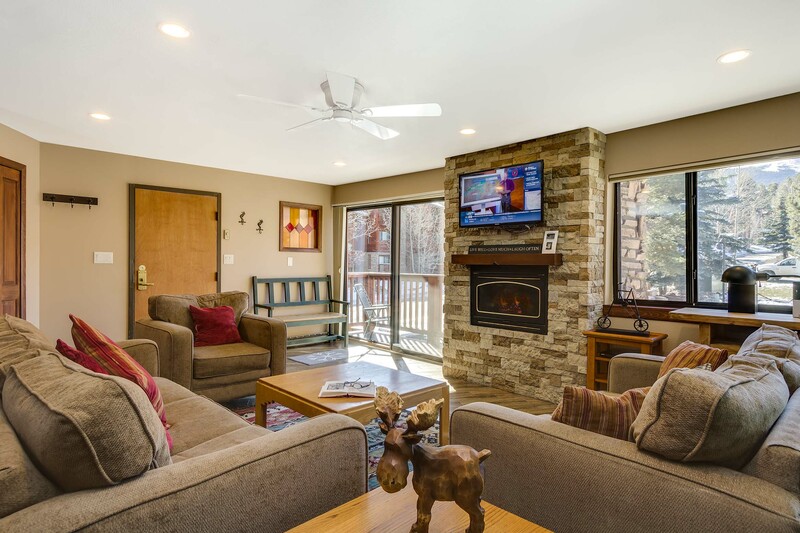 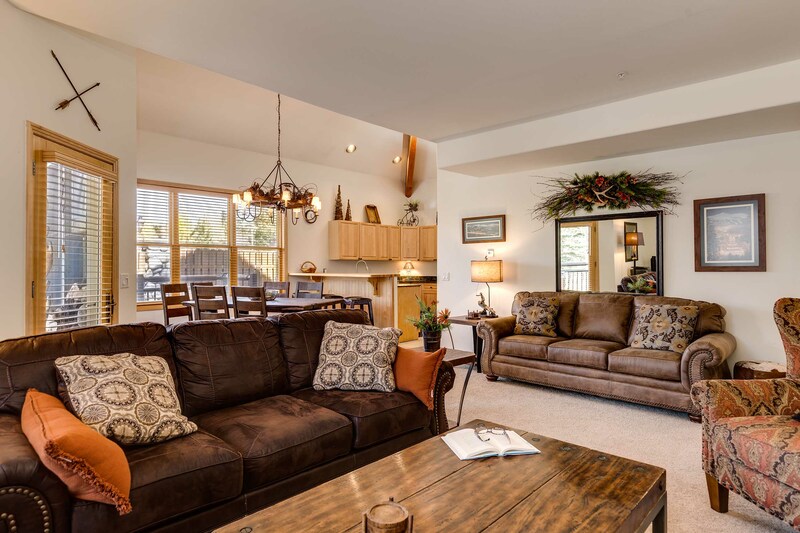 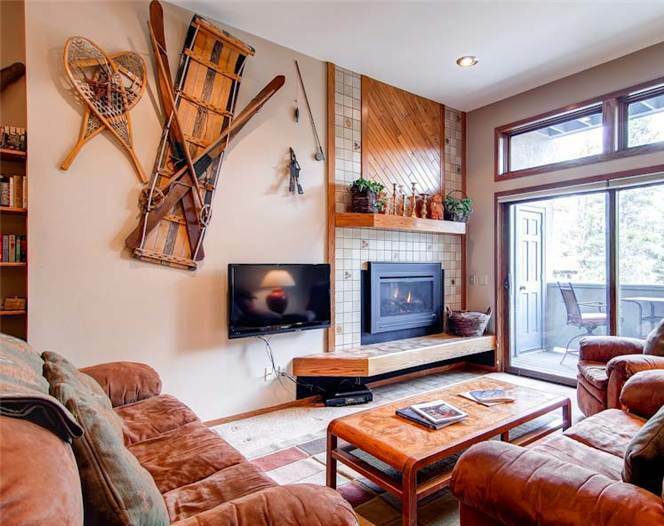 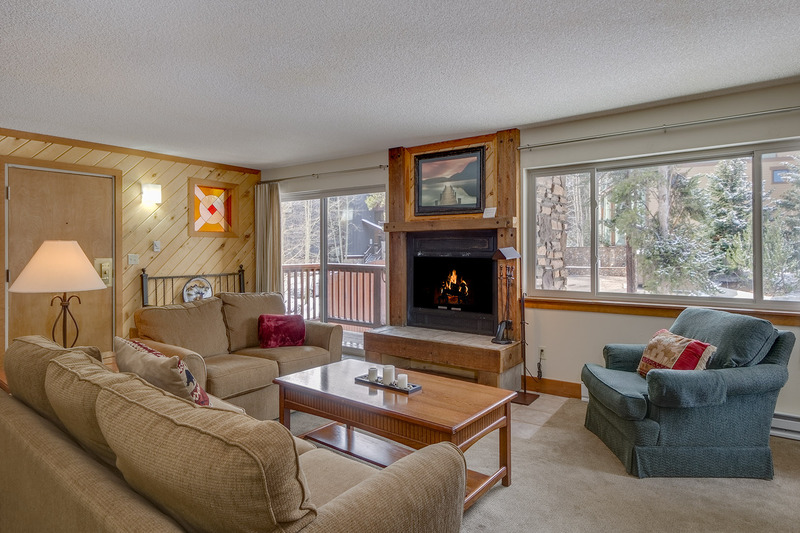 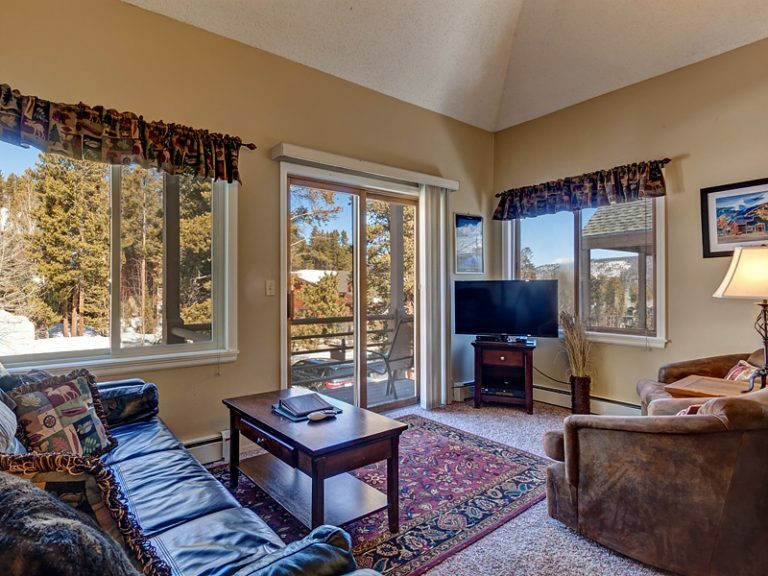 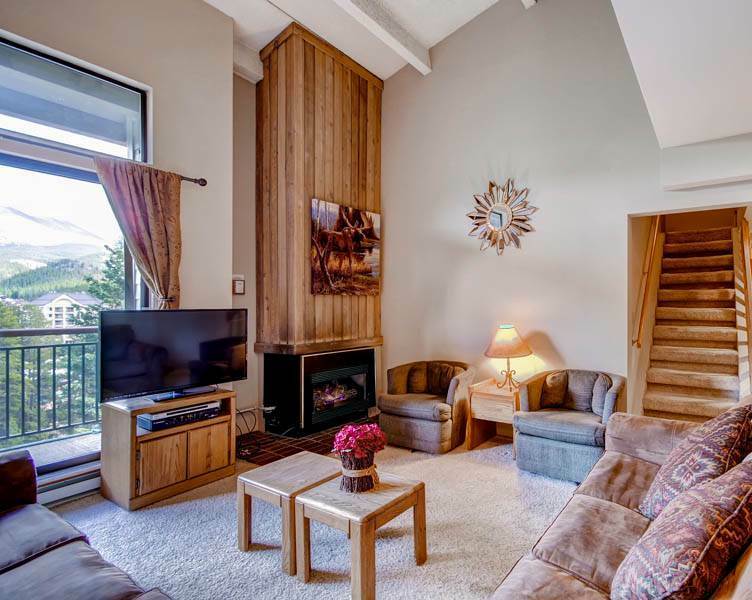 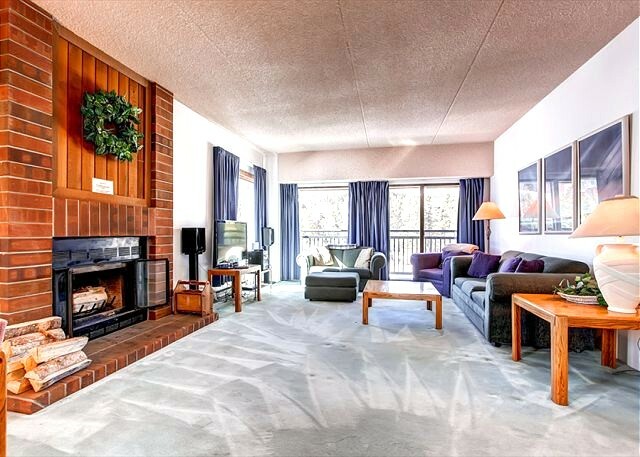 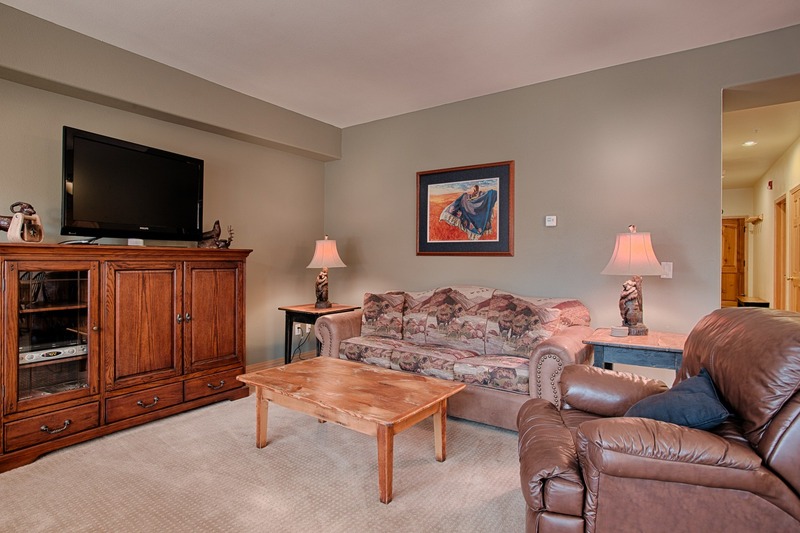 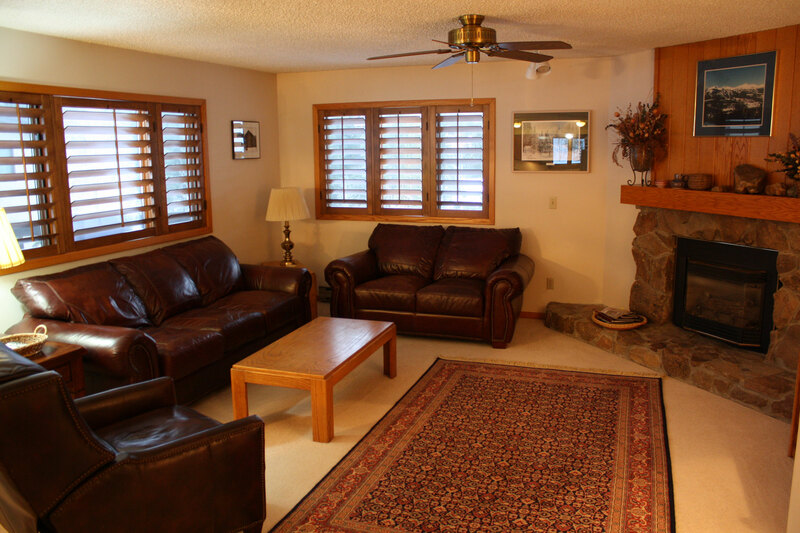 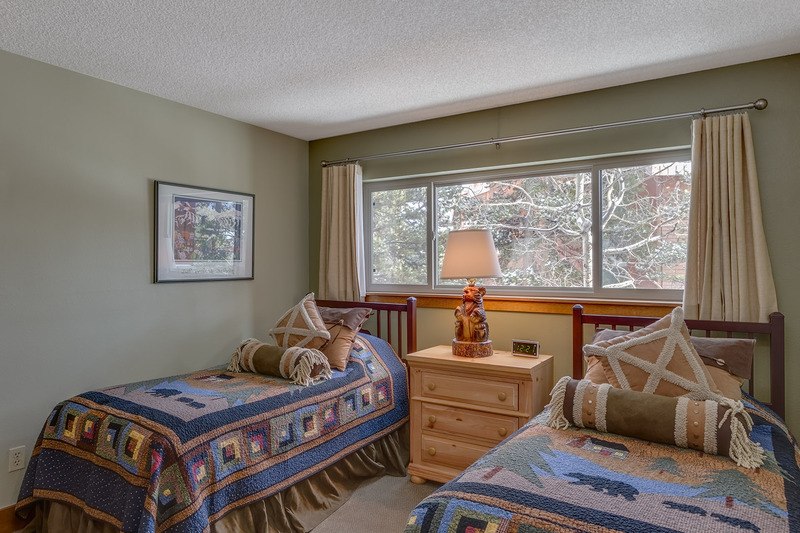 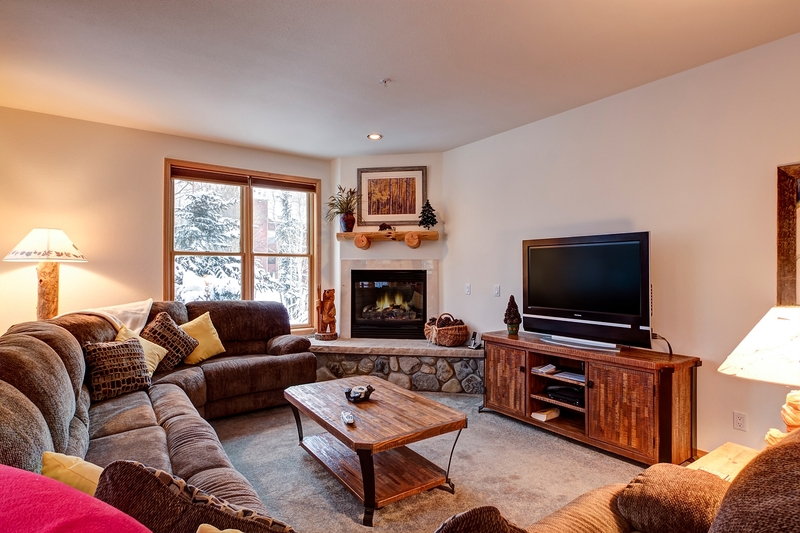 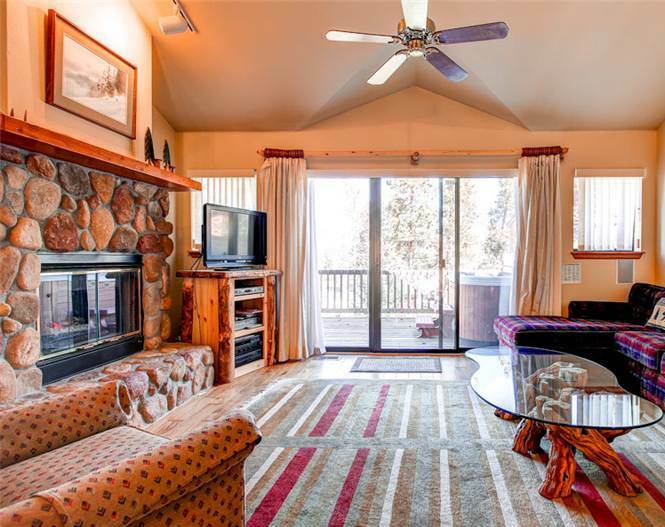 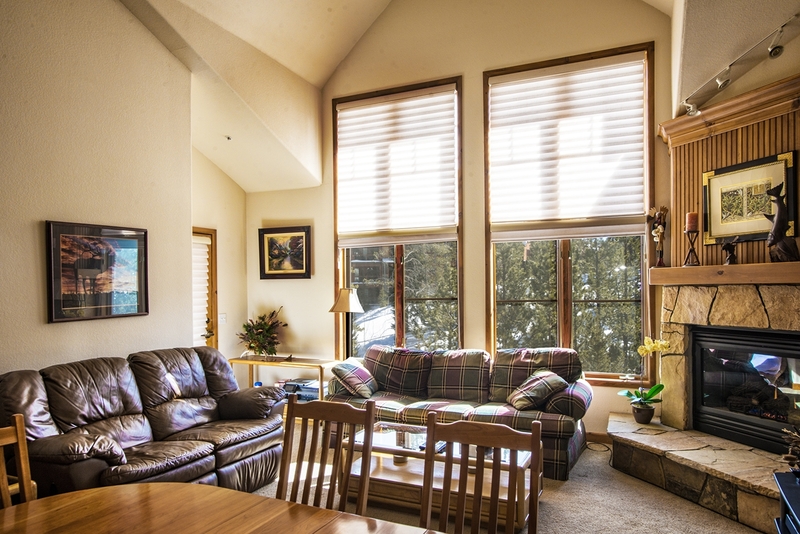 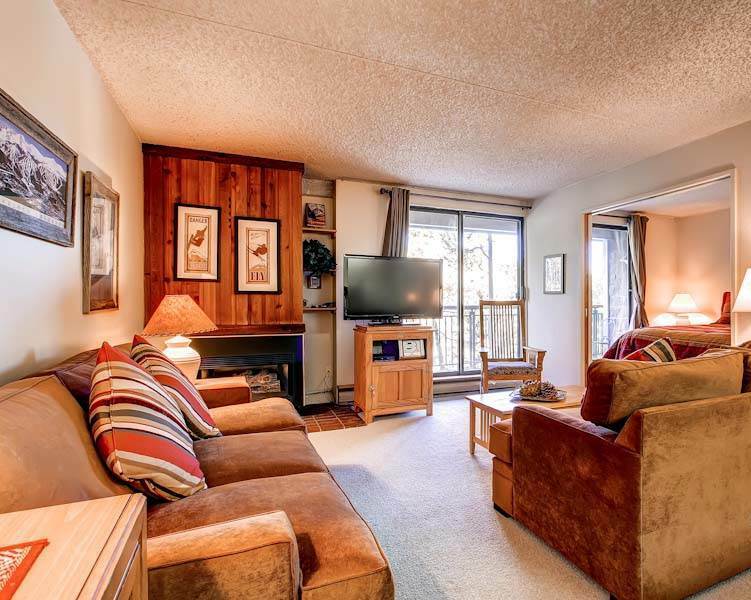 Don’t miss the great views from this cozy condo at the Ski & Racquet Club complex! 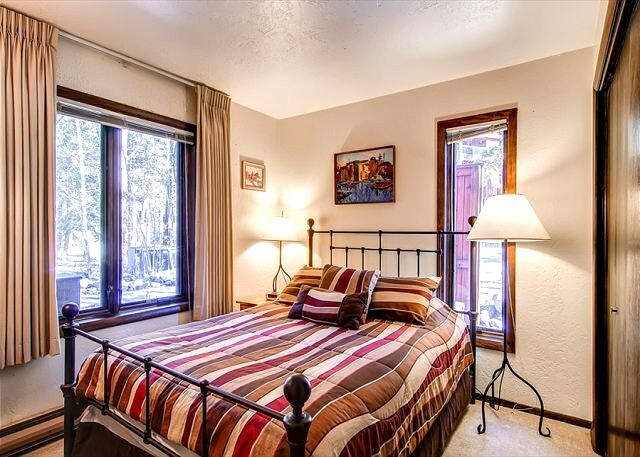 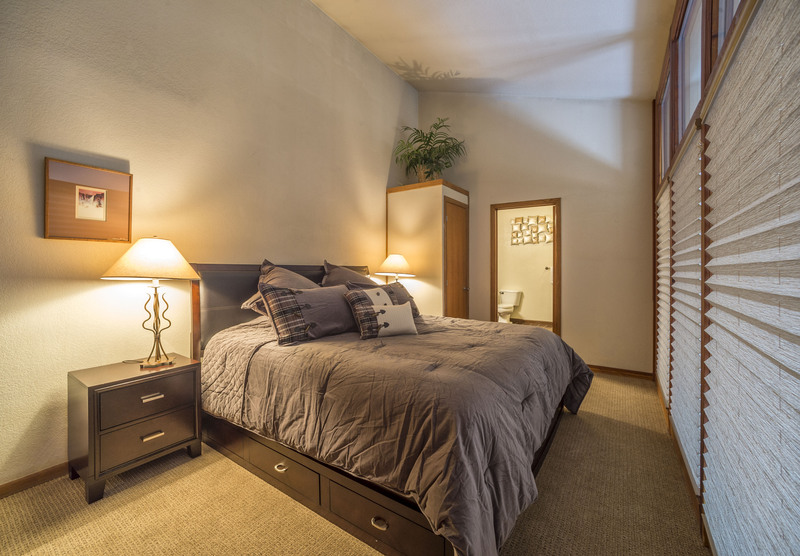 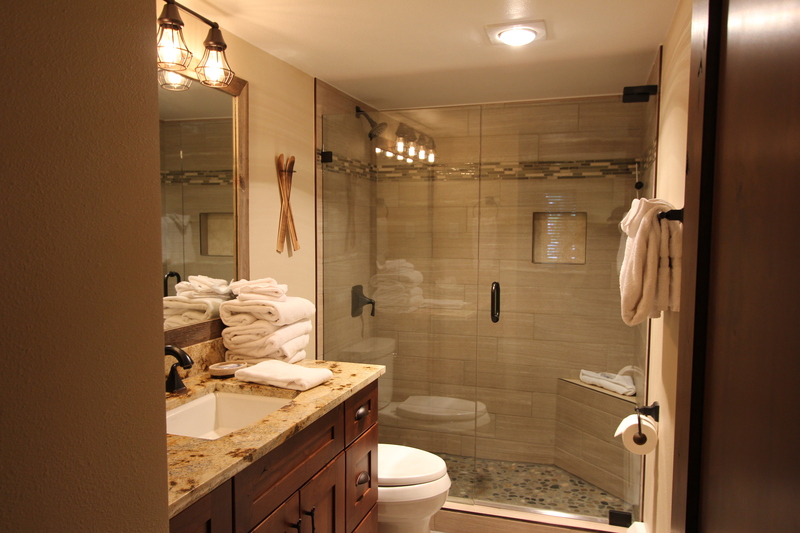 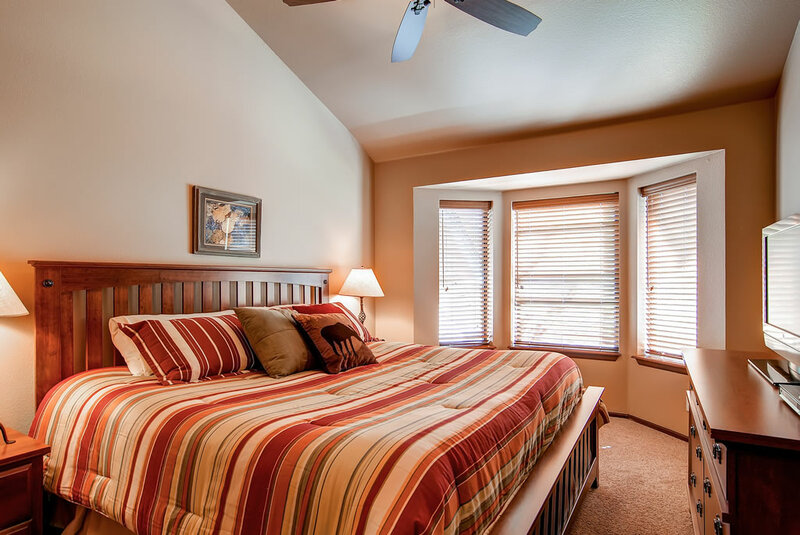 Master bedroom: queen, private bathroom with walk-in tile shower, LCD TV. 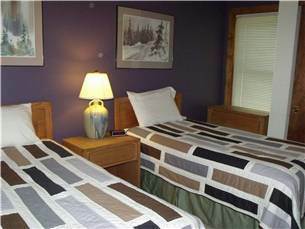 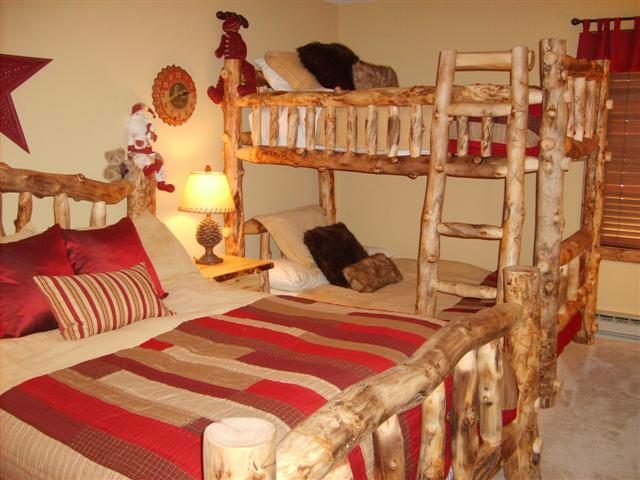 Bedroom 2: full bed, twin bed.